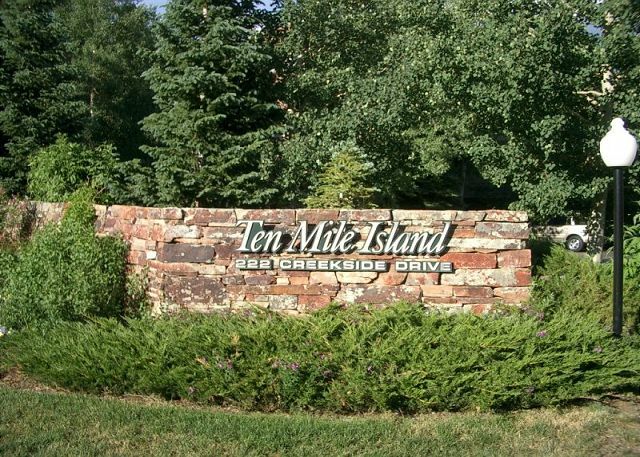 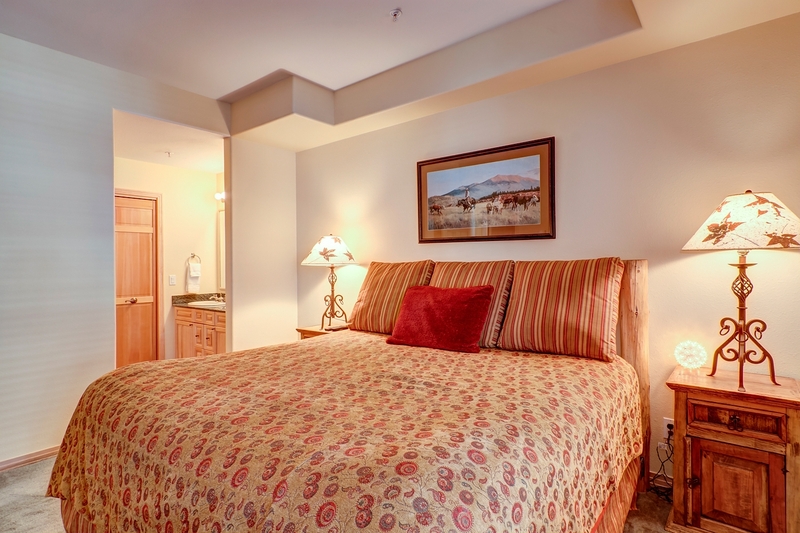 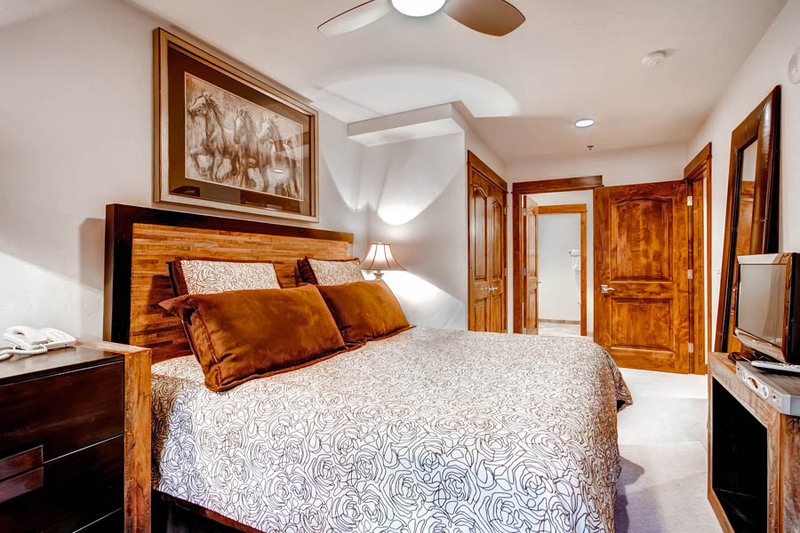 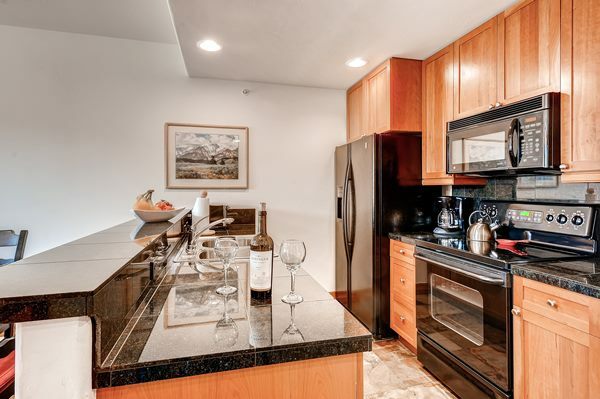 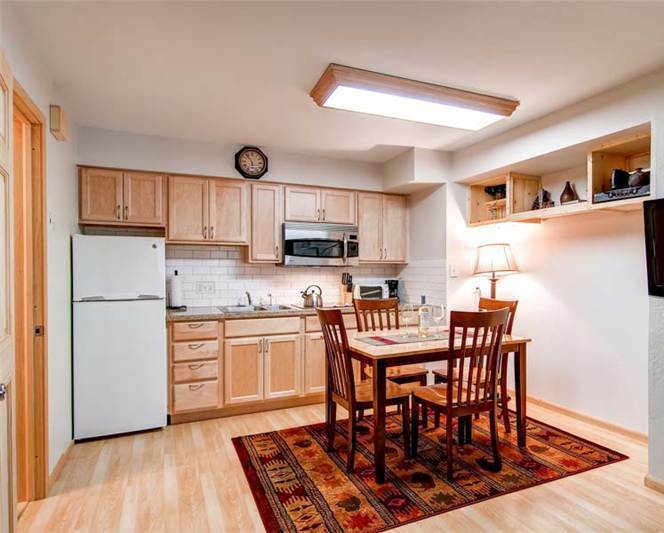 Comfortable furnishings and a convenient, quiet location are just some of the attributes of this Gold-rated condominium. 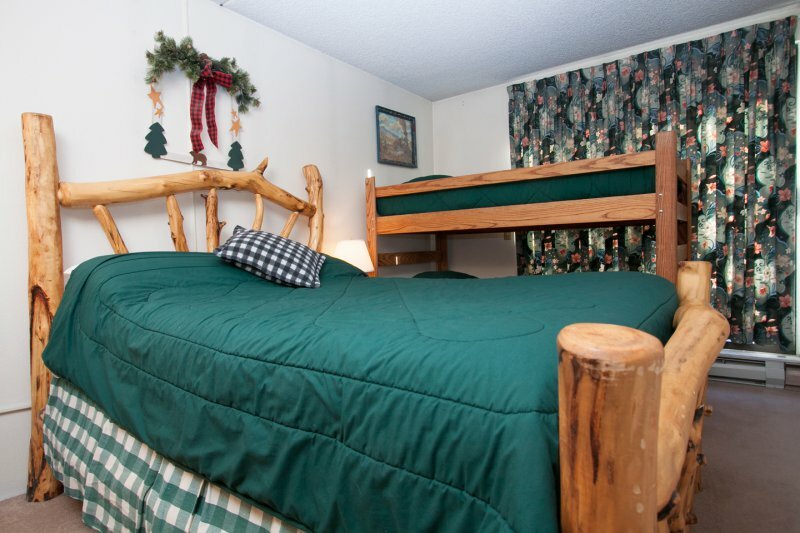 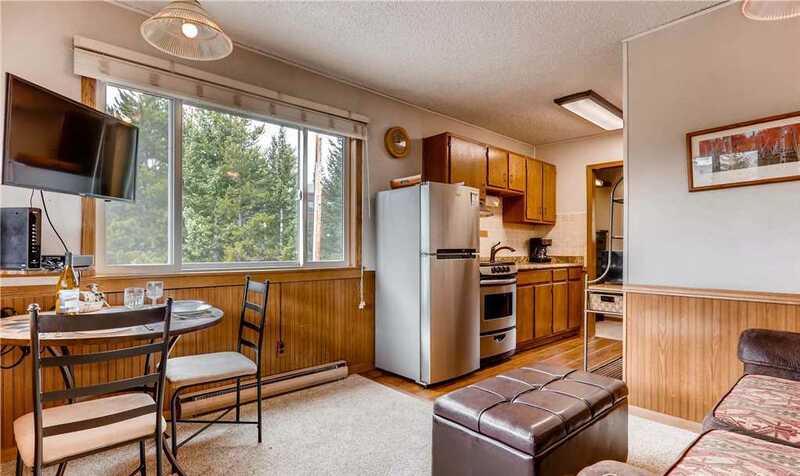 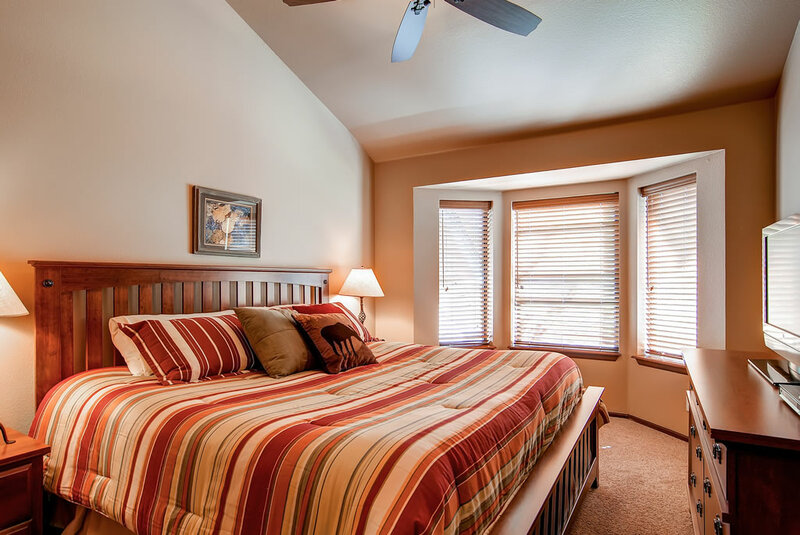 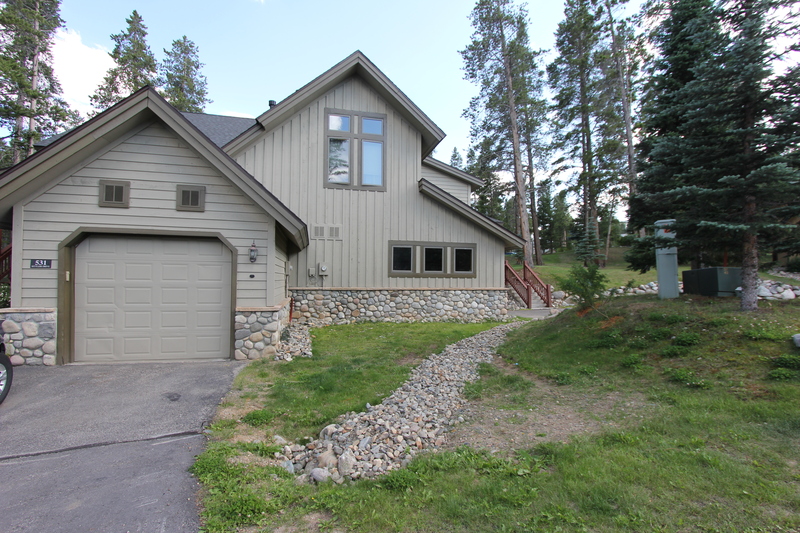 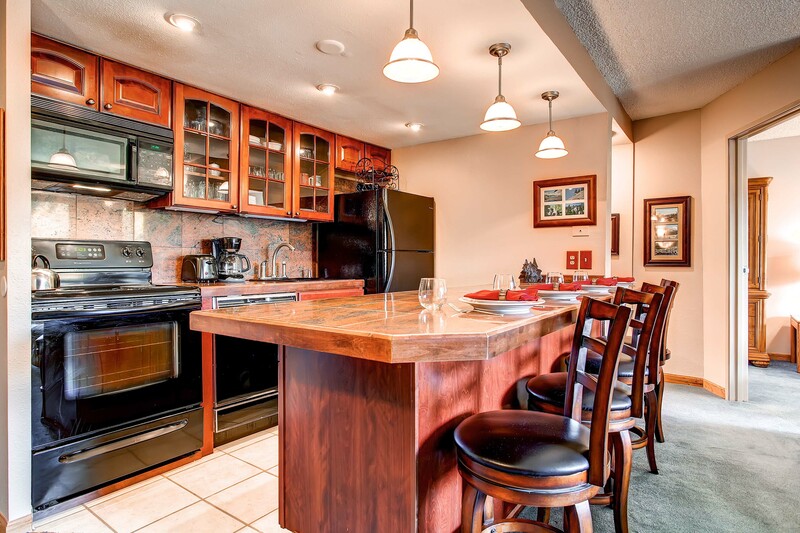 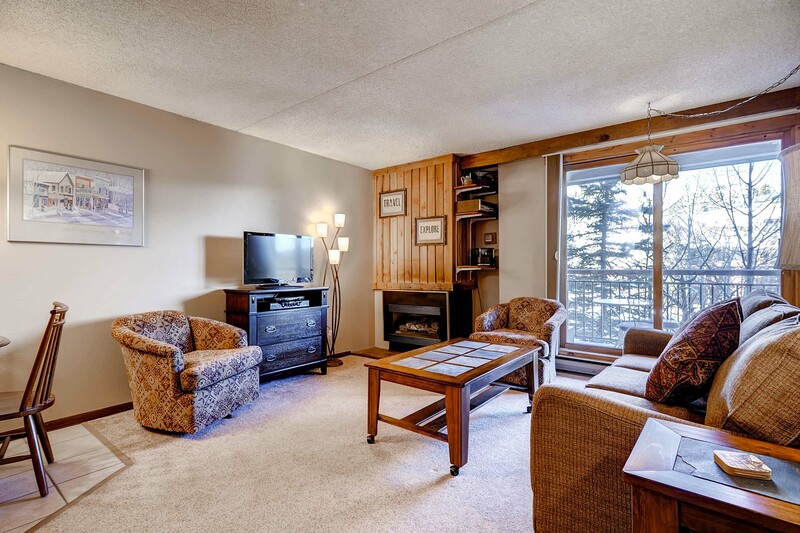 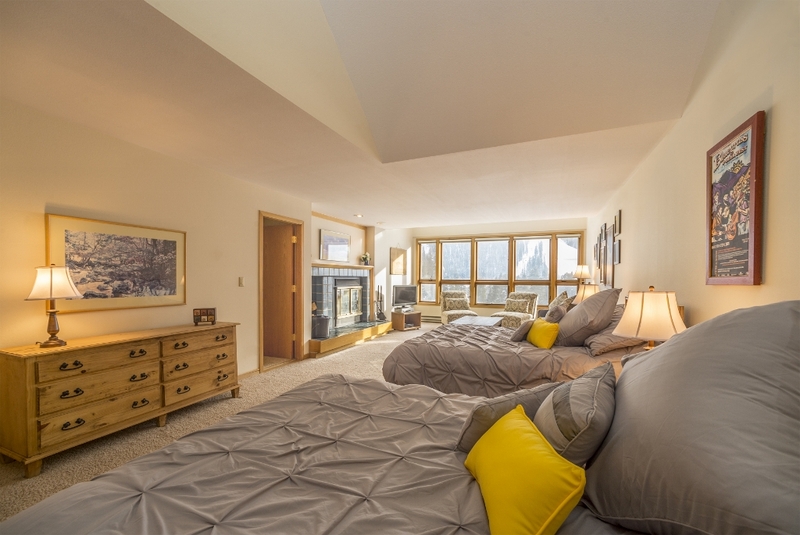 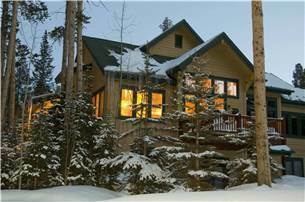 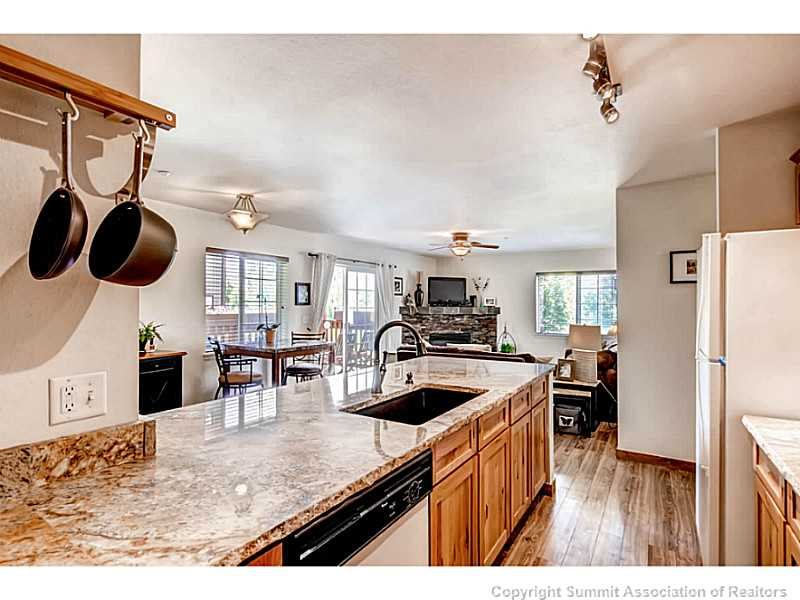 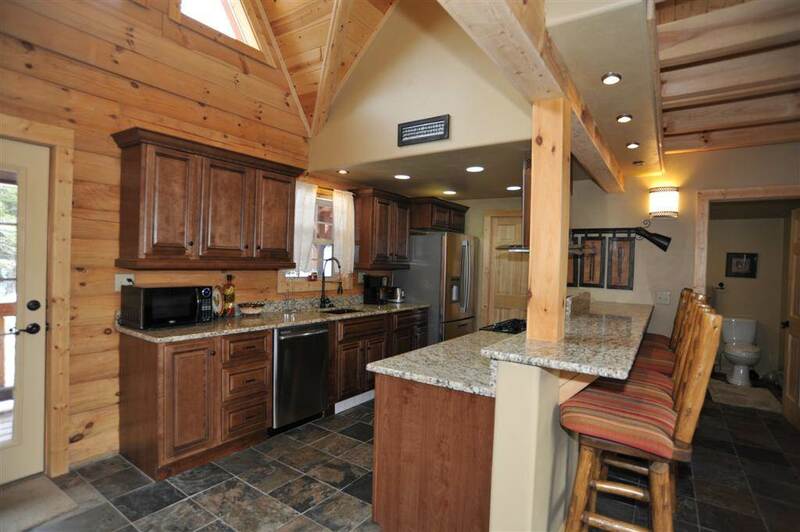 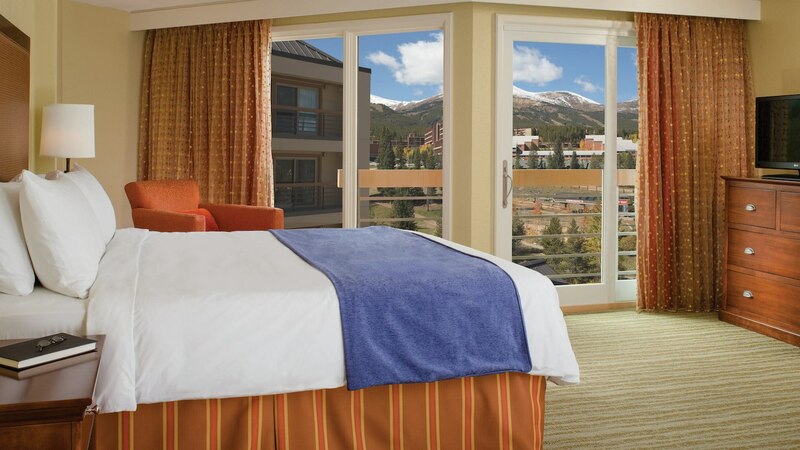 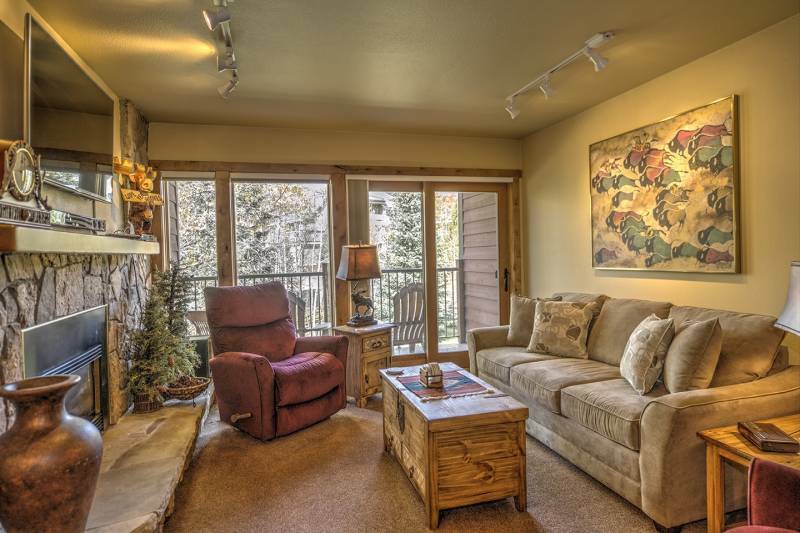 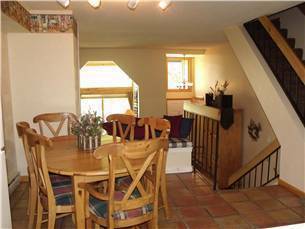 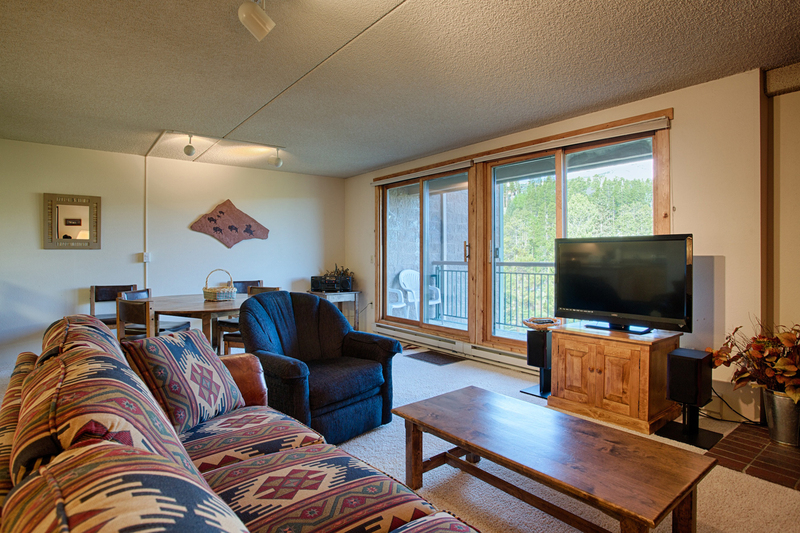 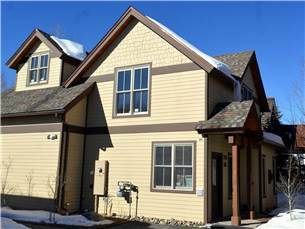 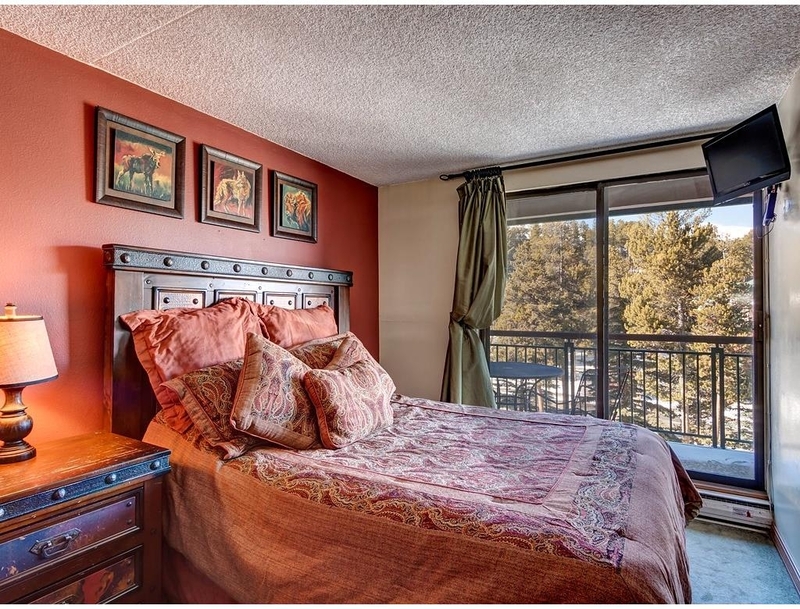 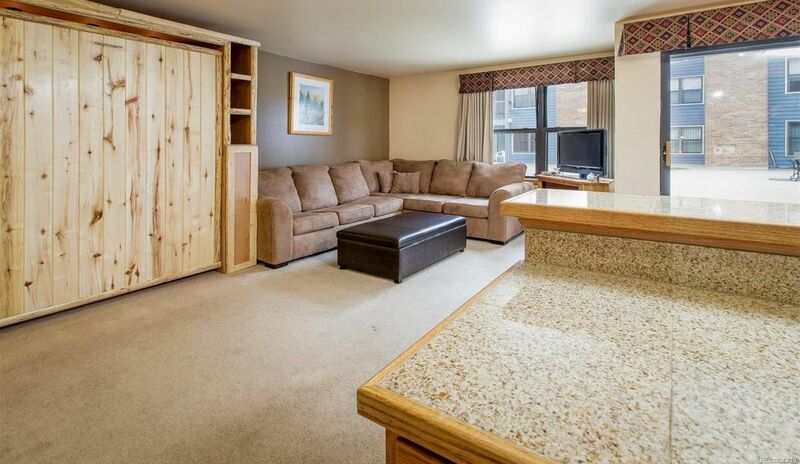 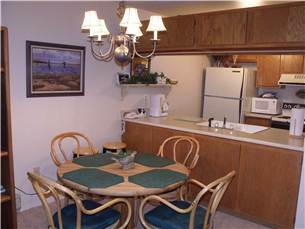 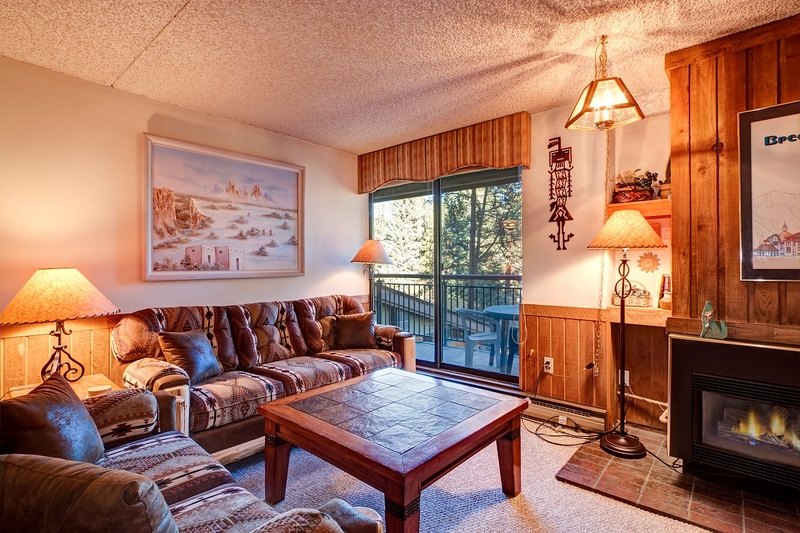 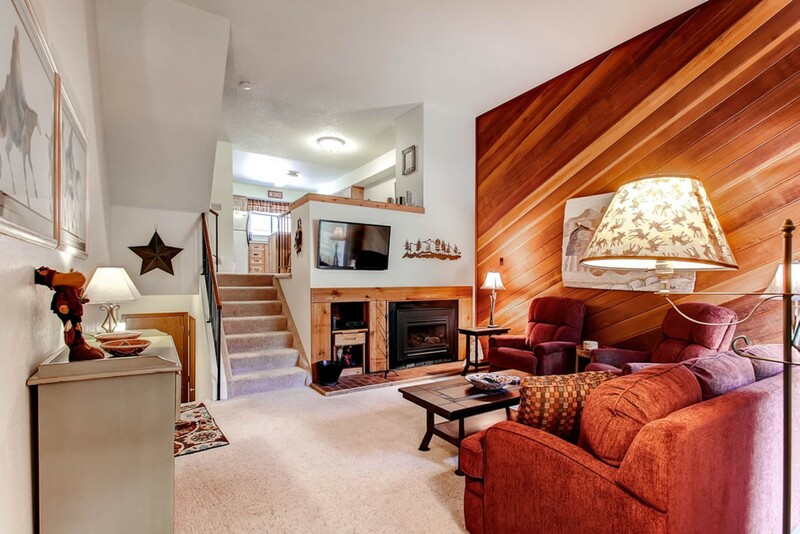 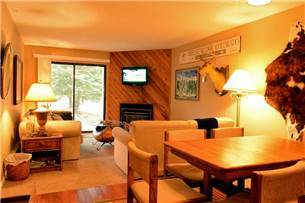 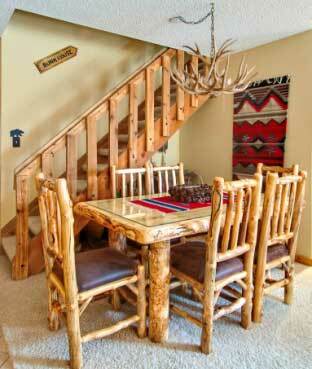 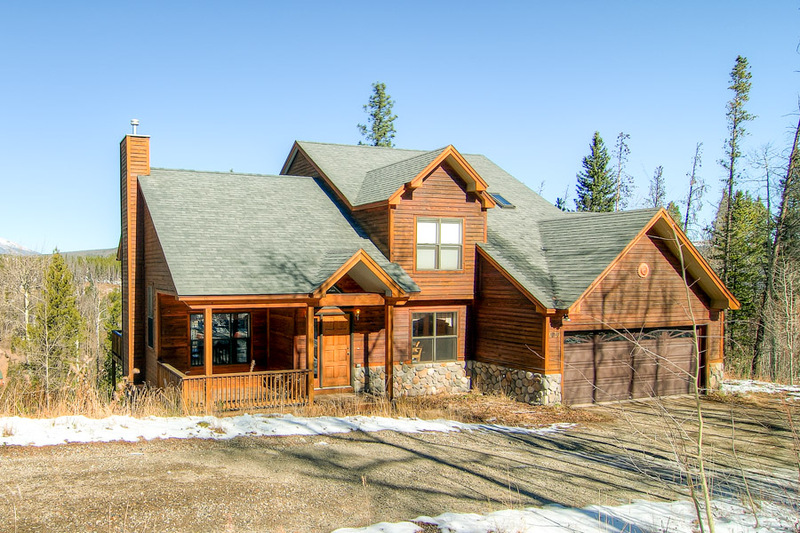 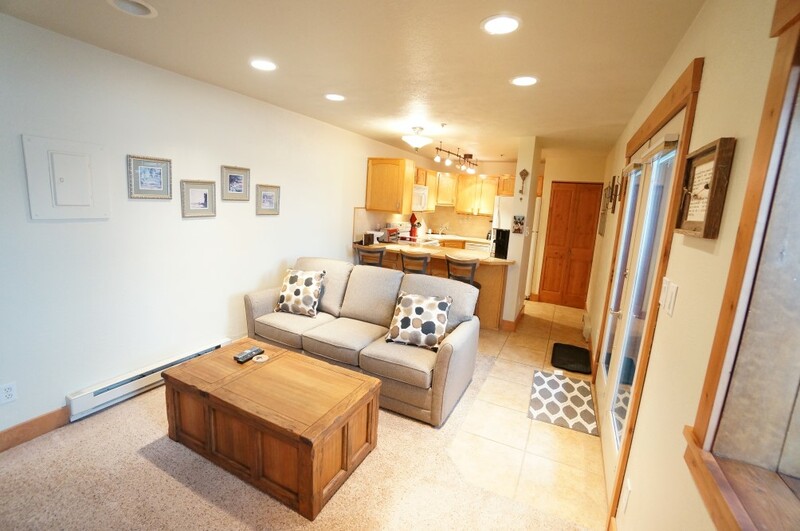 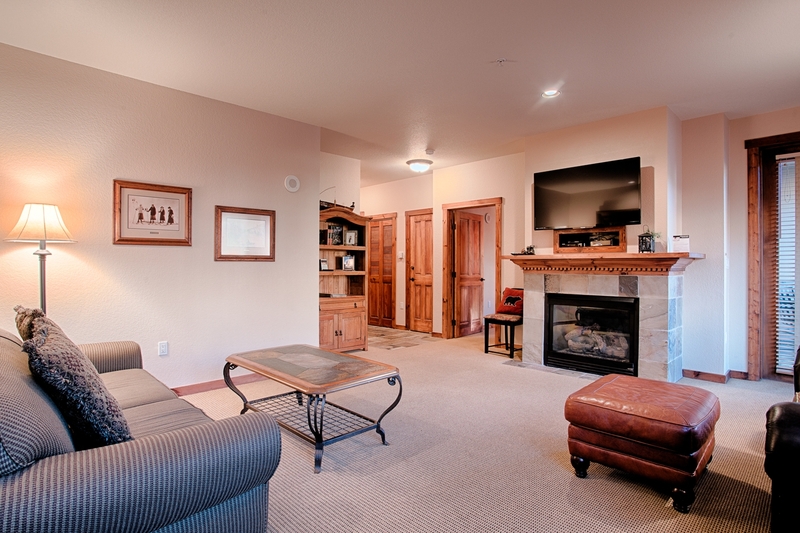 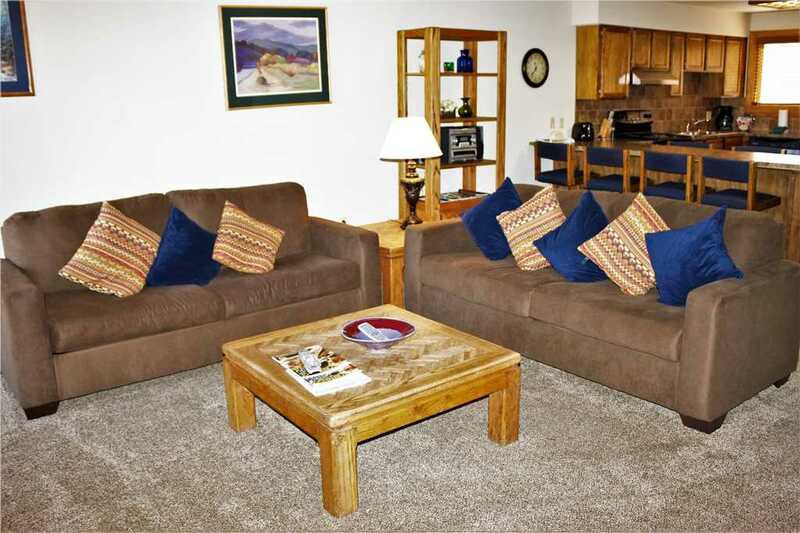 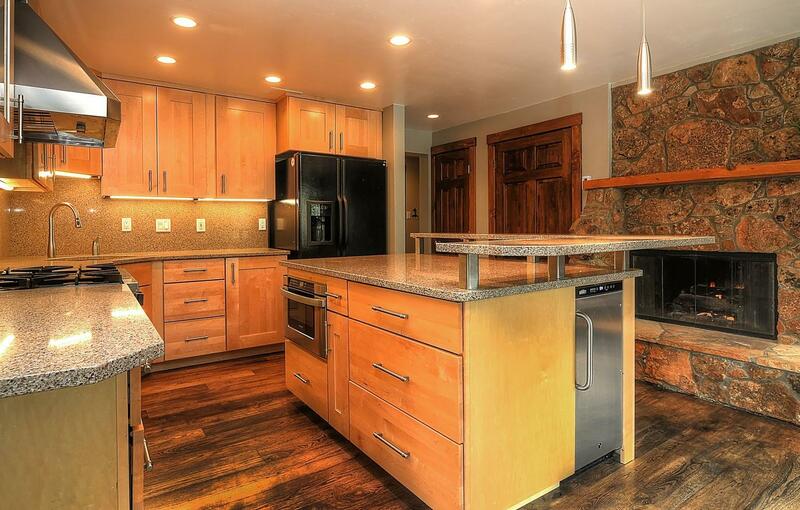 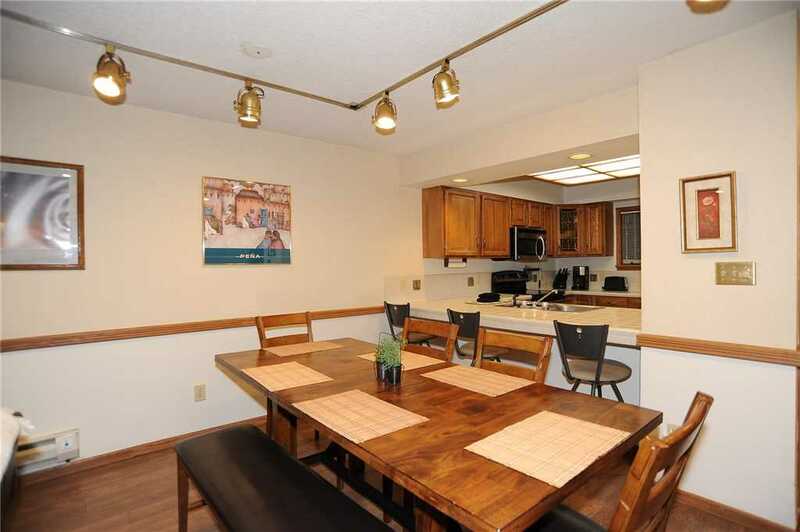 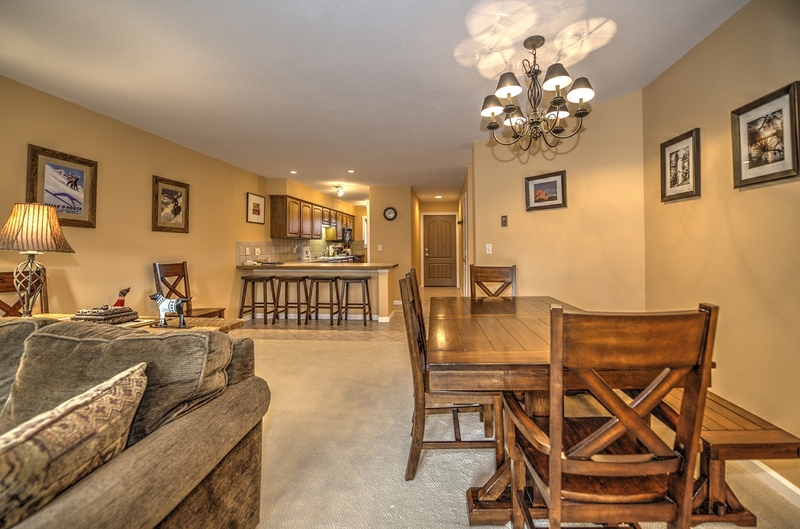 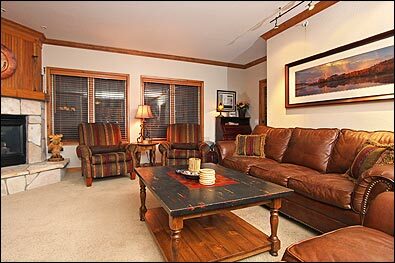 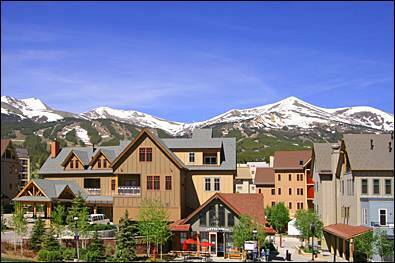 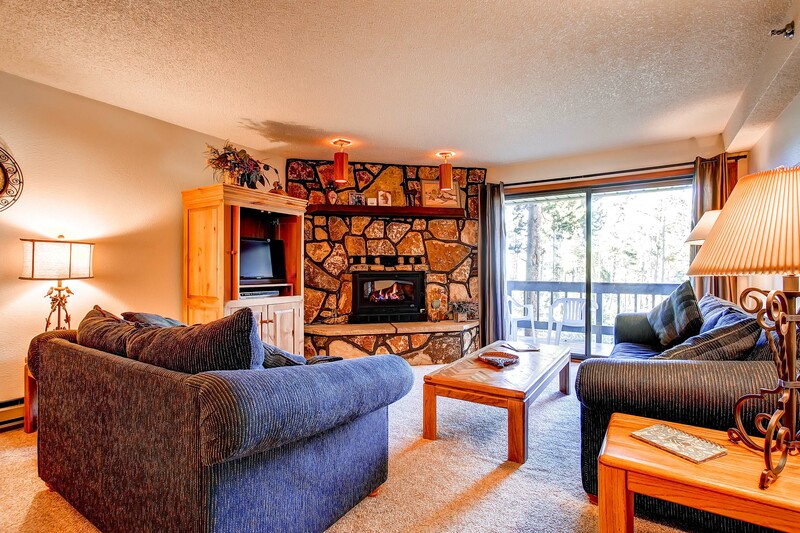 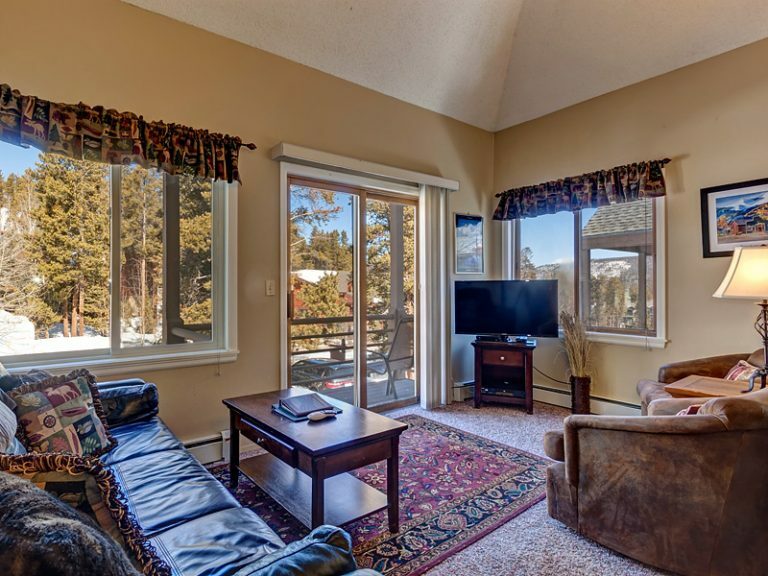 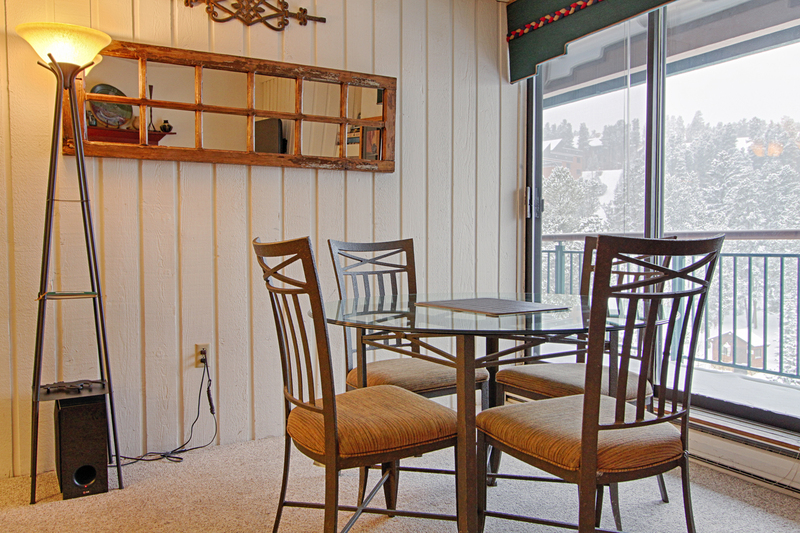 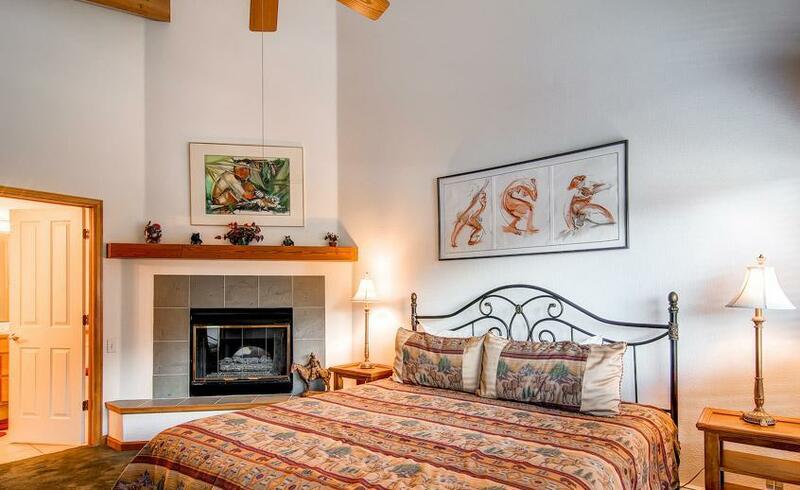 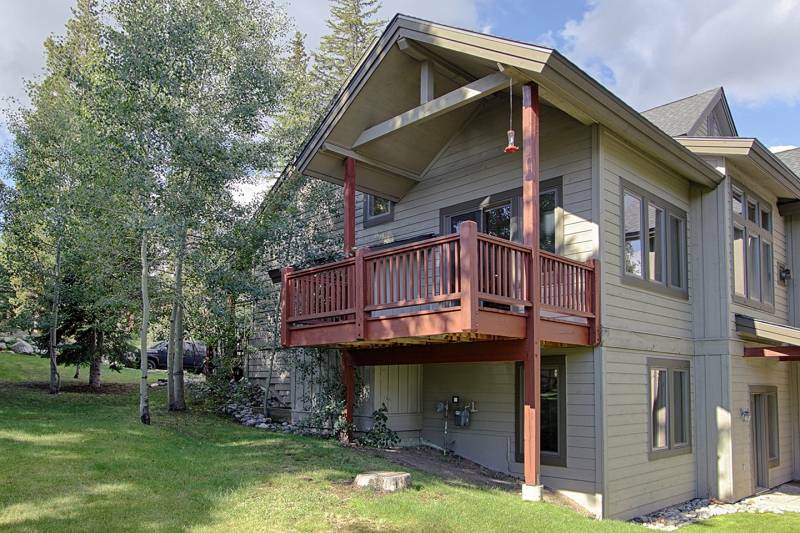 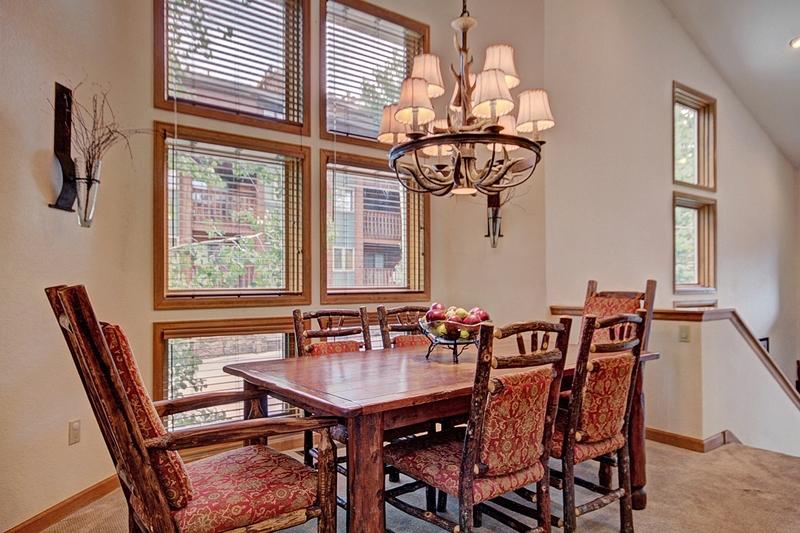 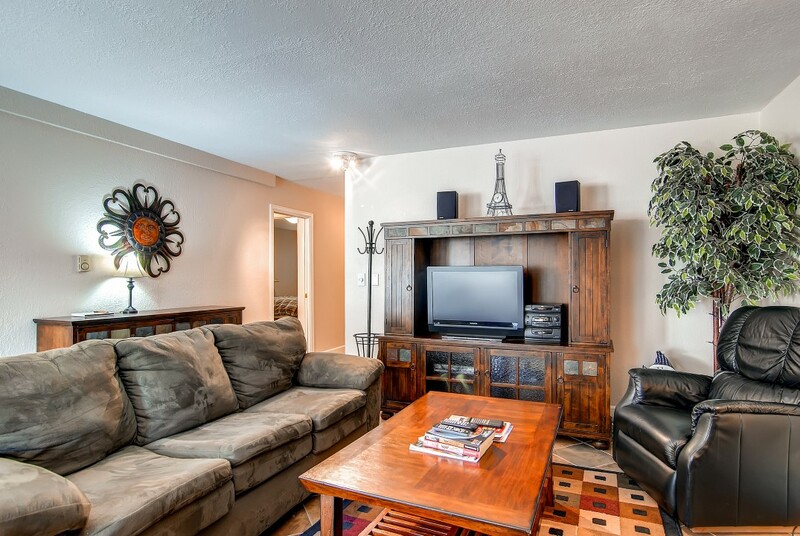 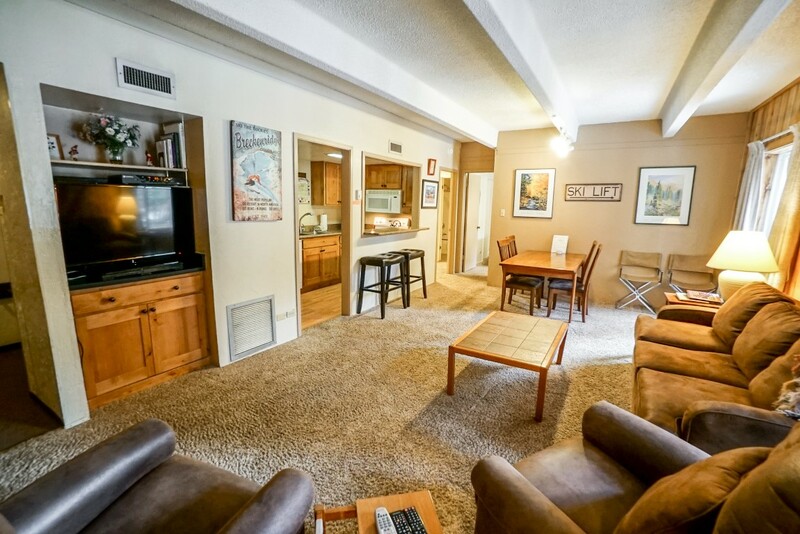 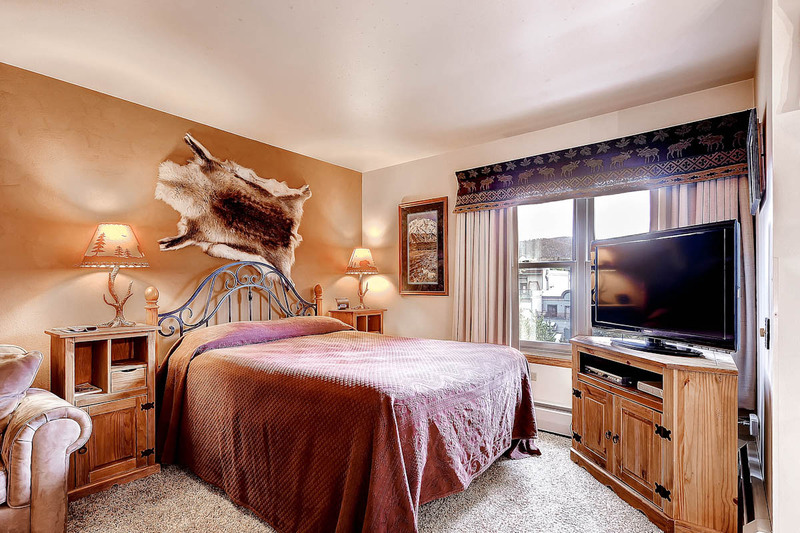 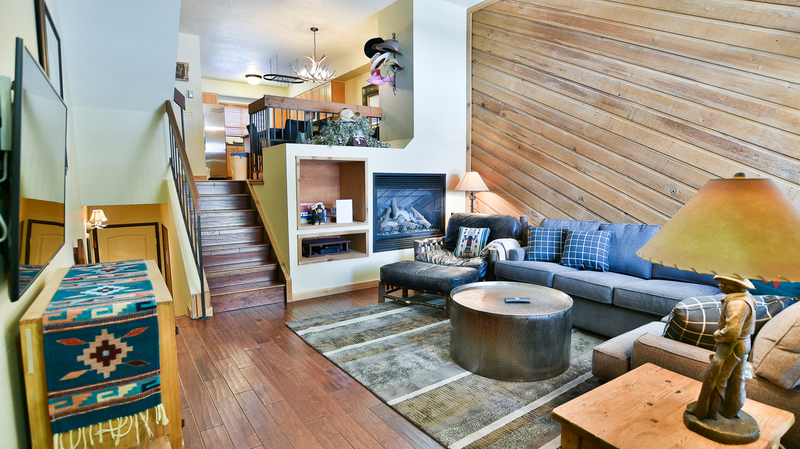 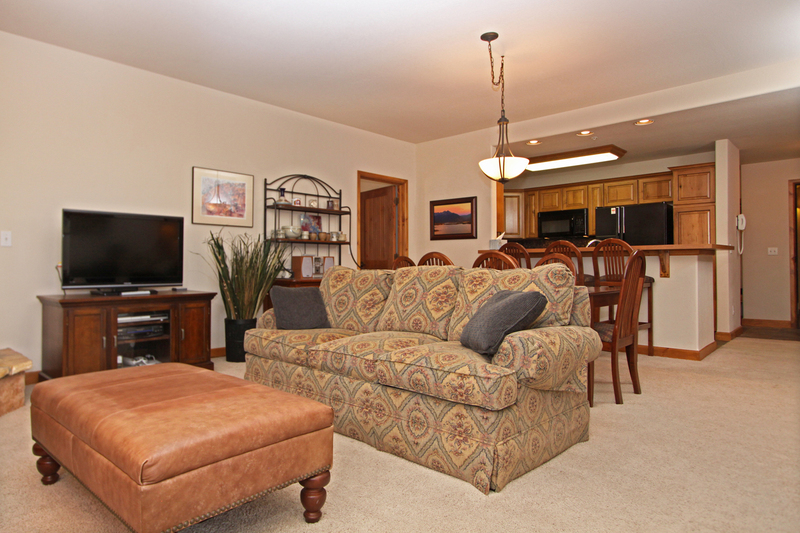 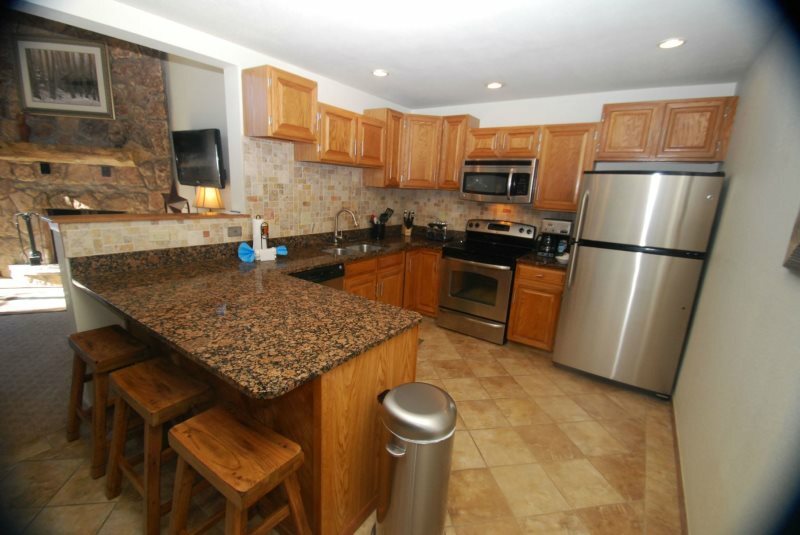 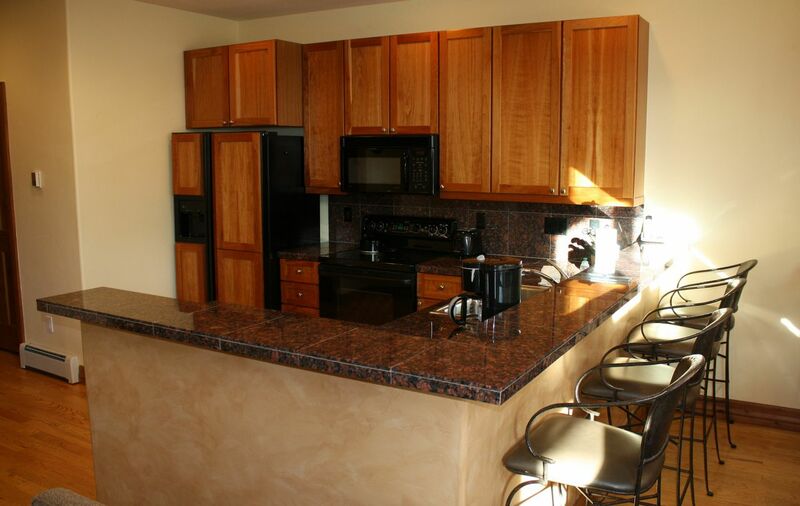 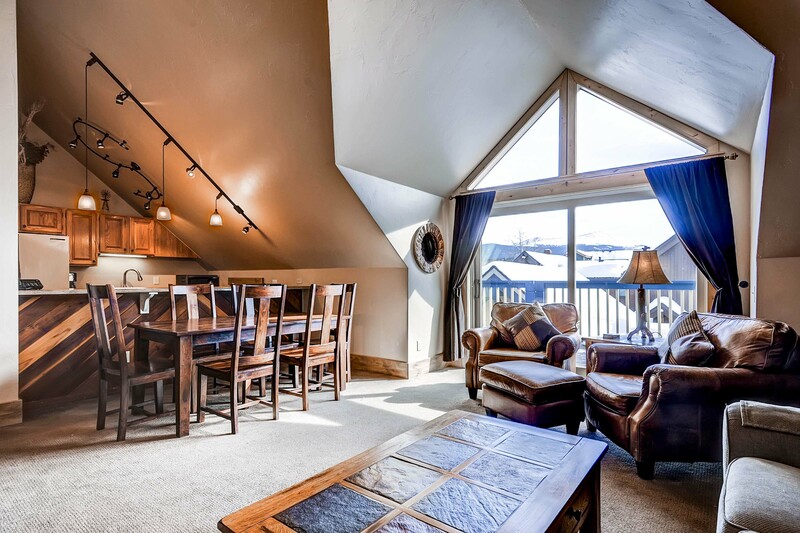 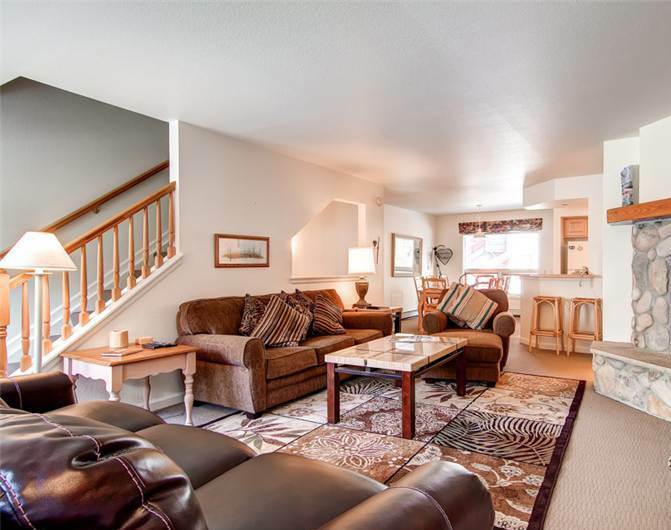 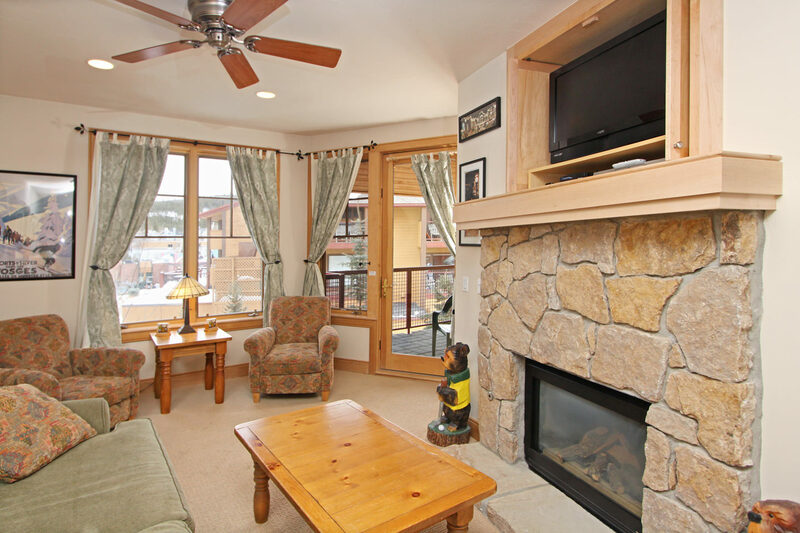 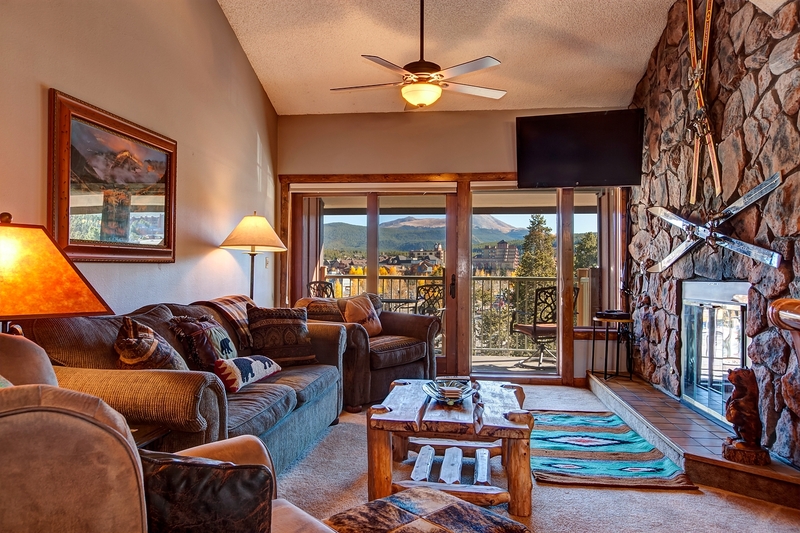 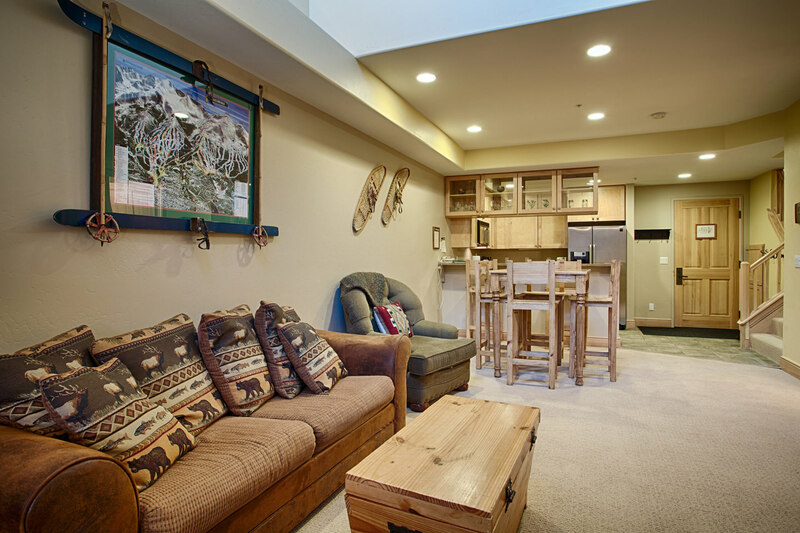 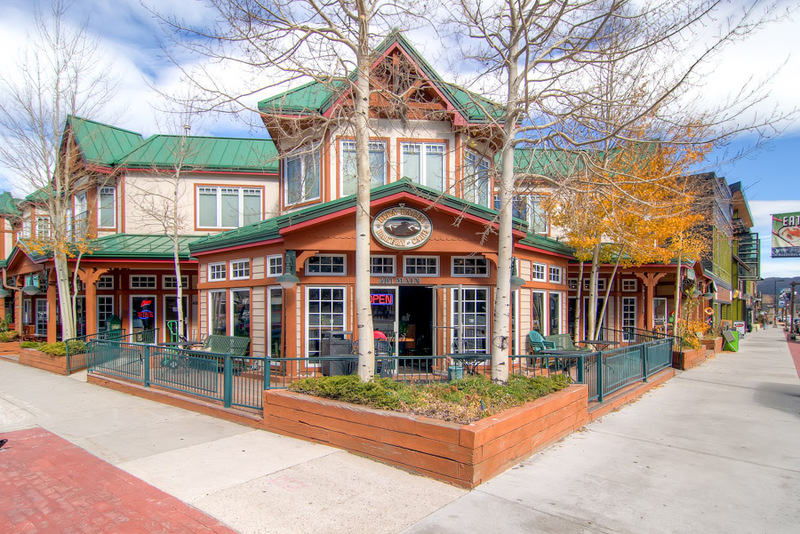 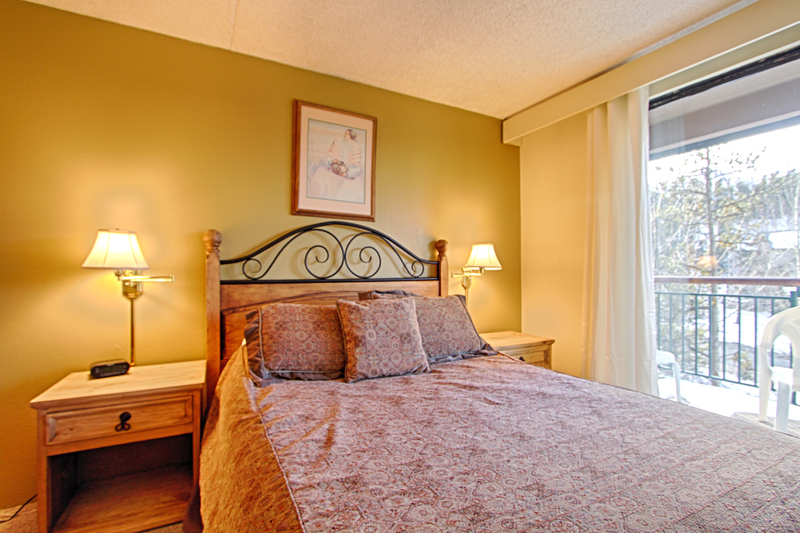 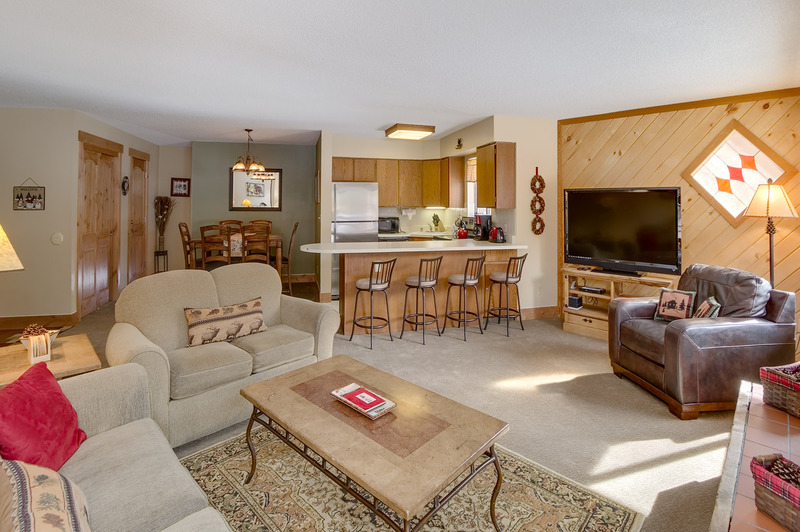 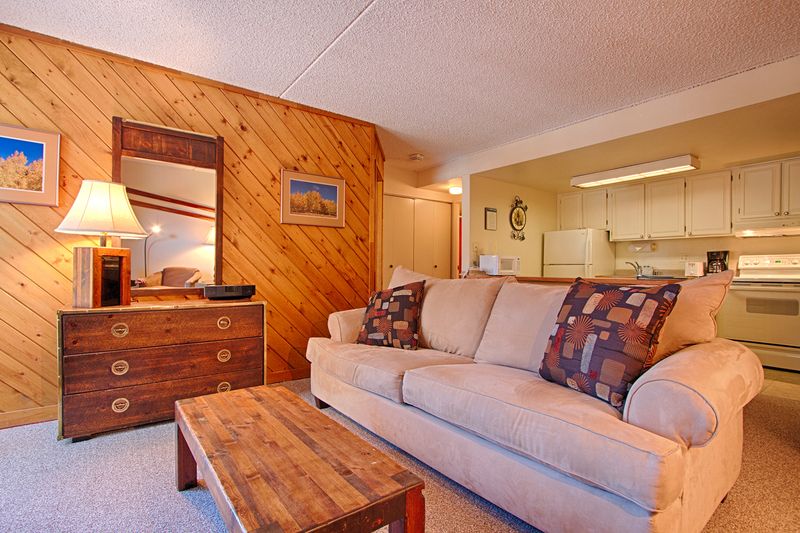 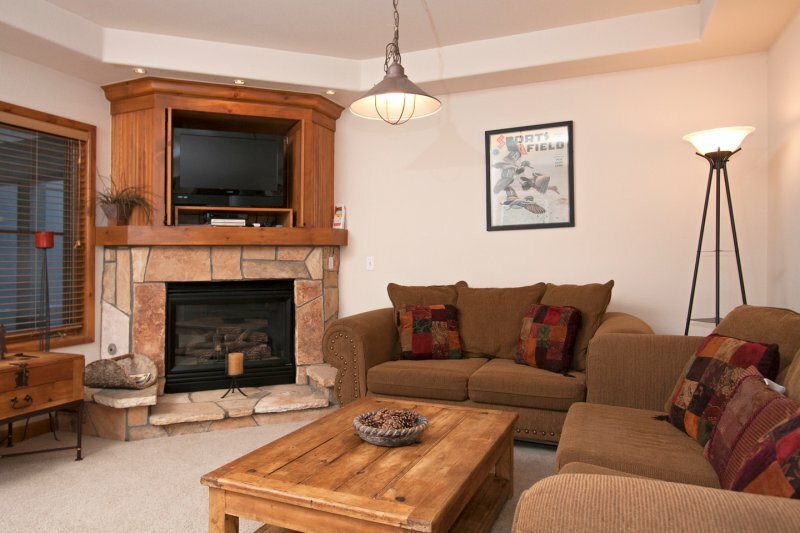 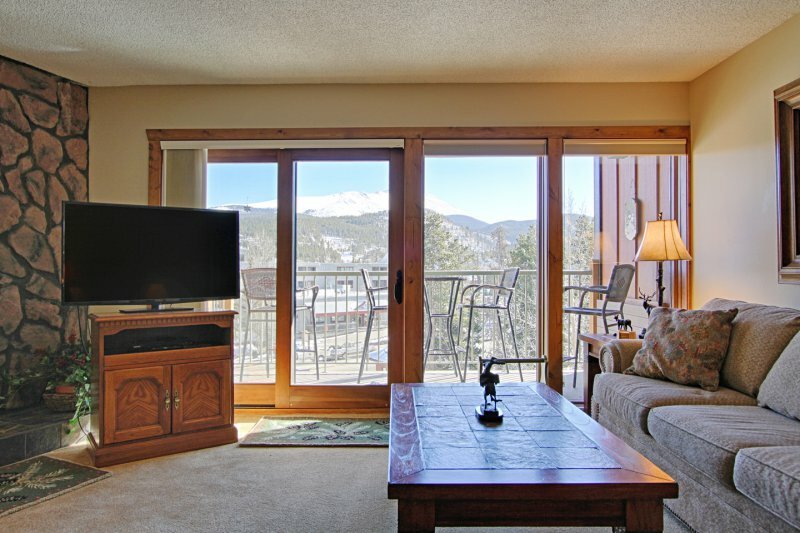 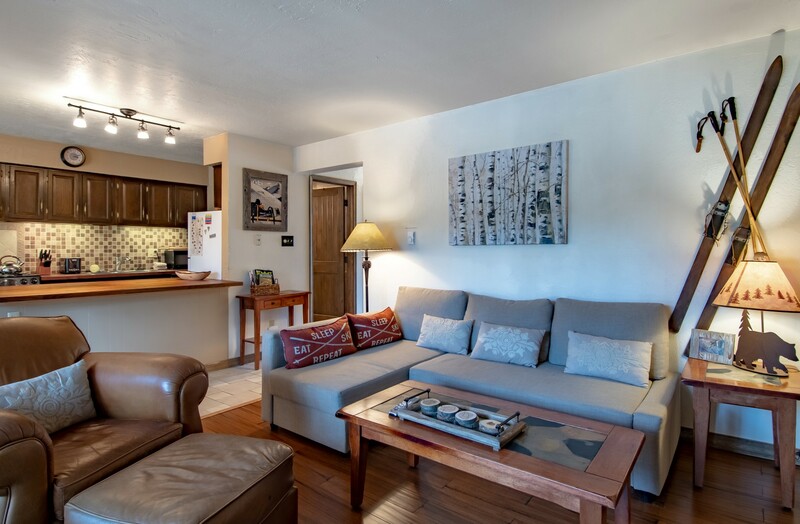 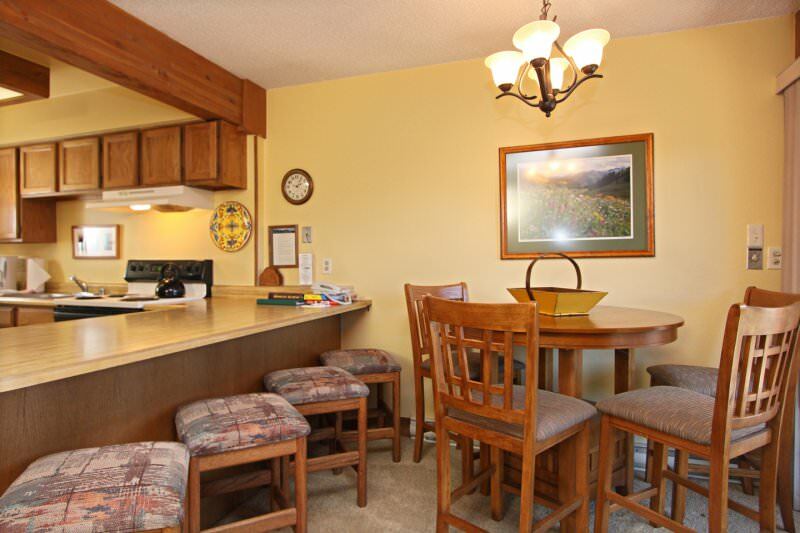 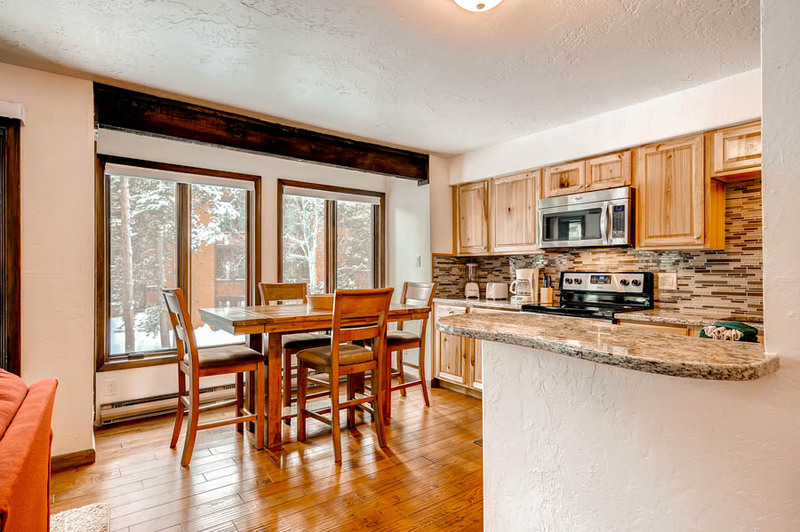 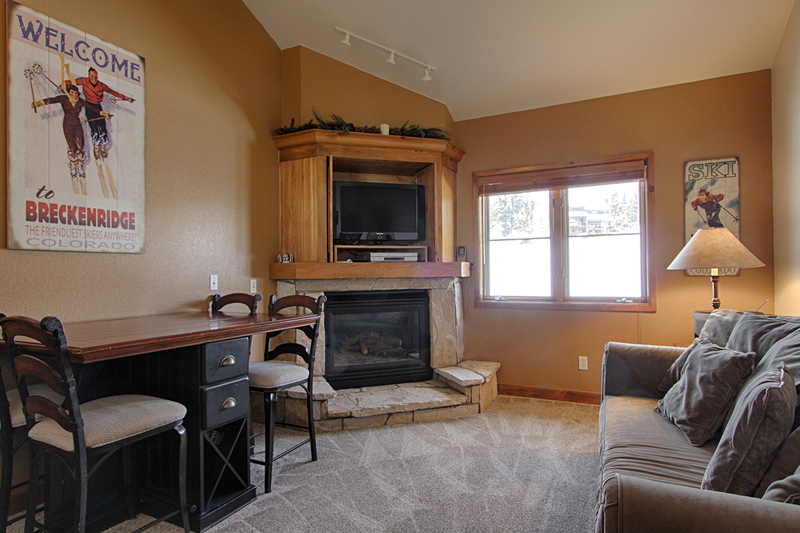 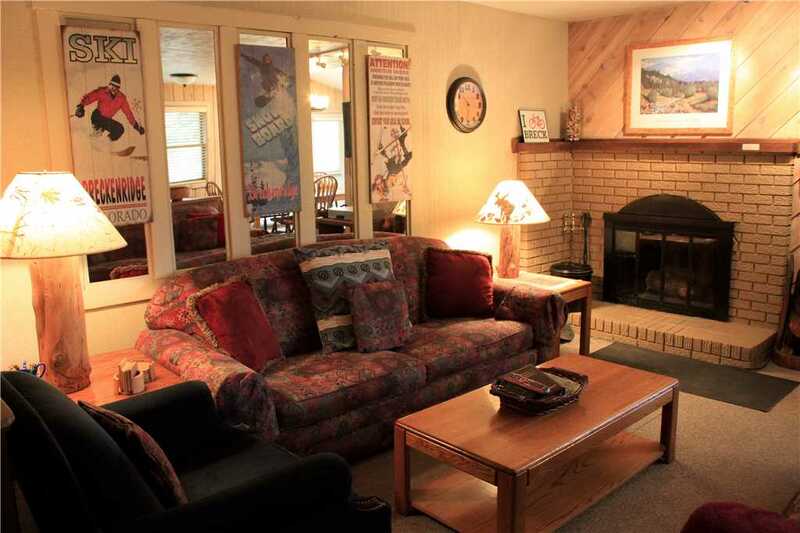 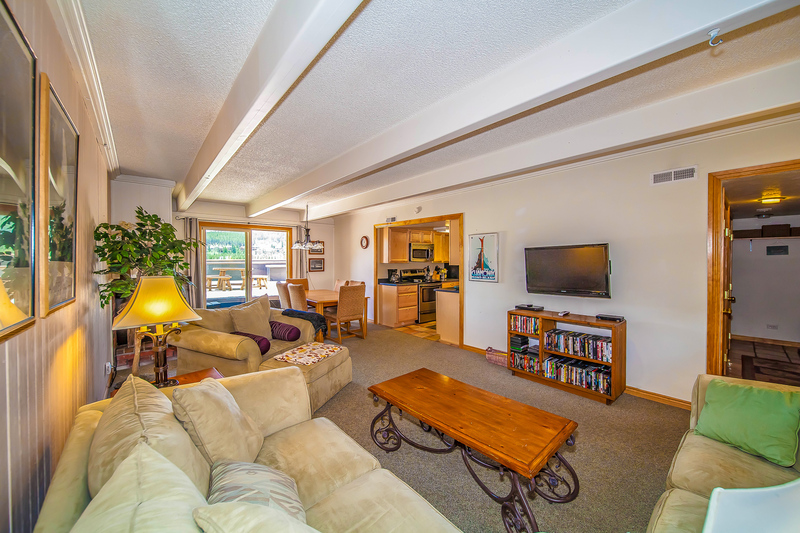 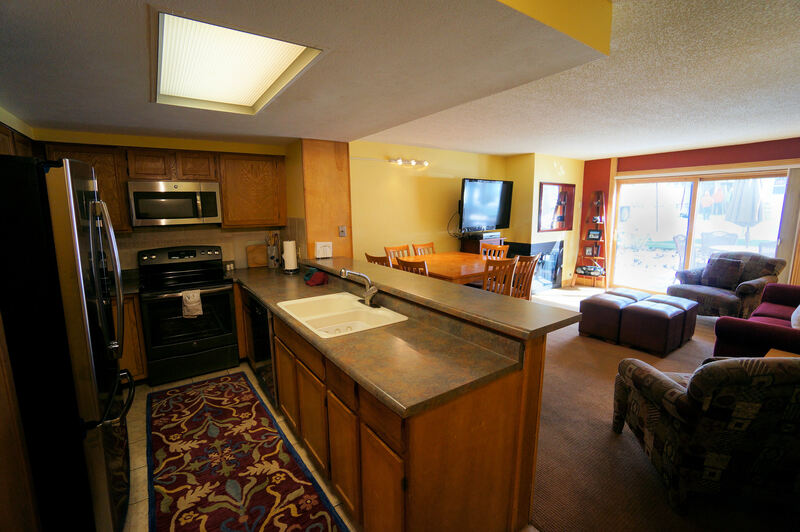 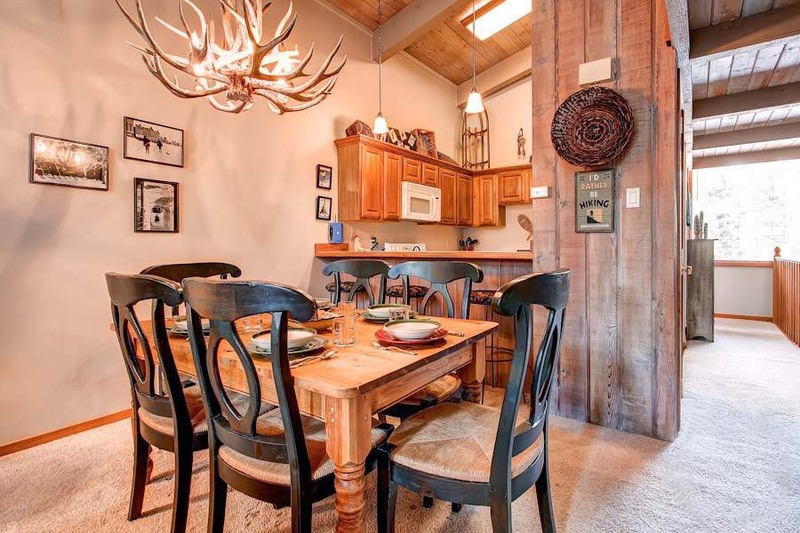 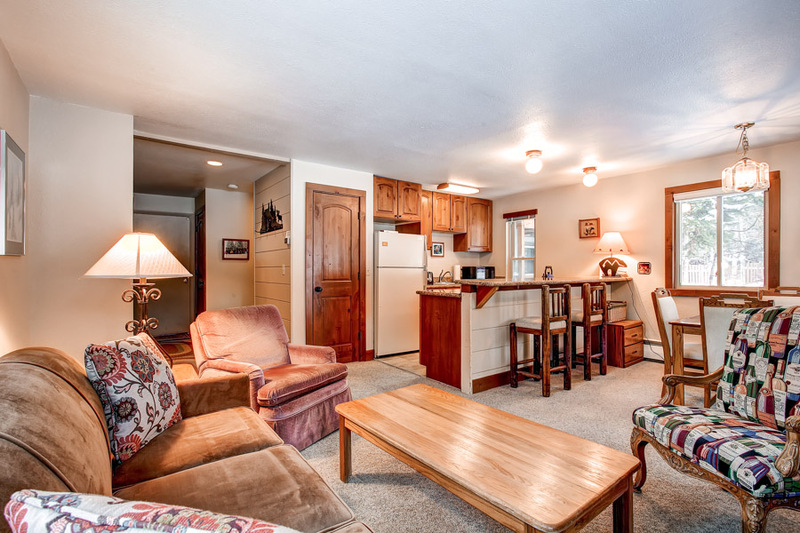 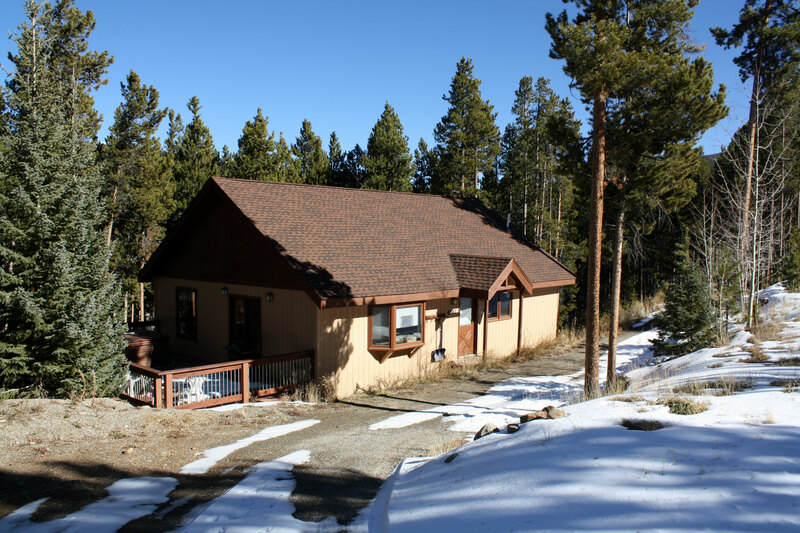 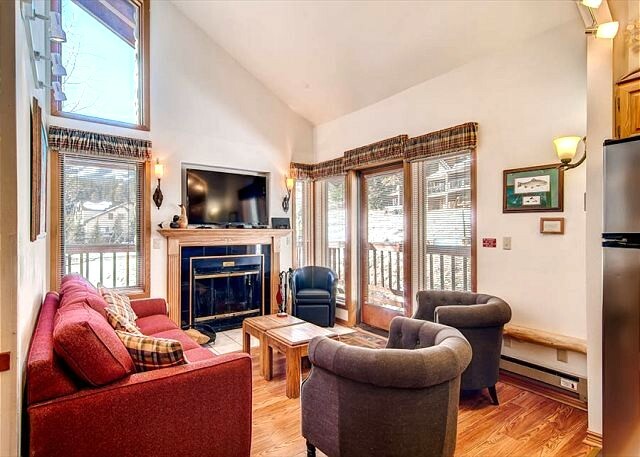 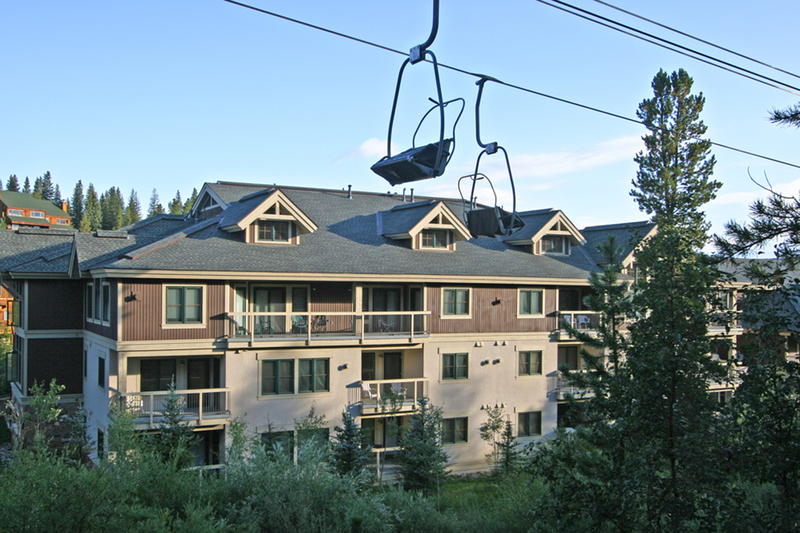 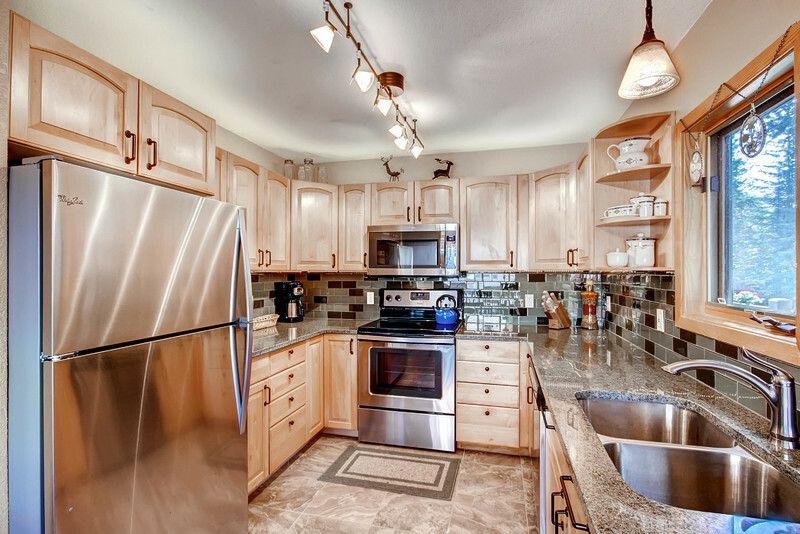 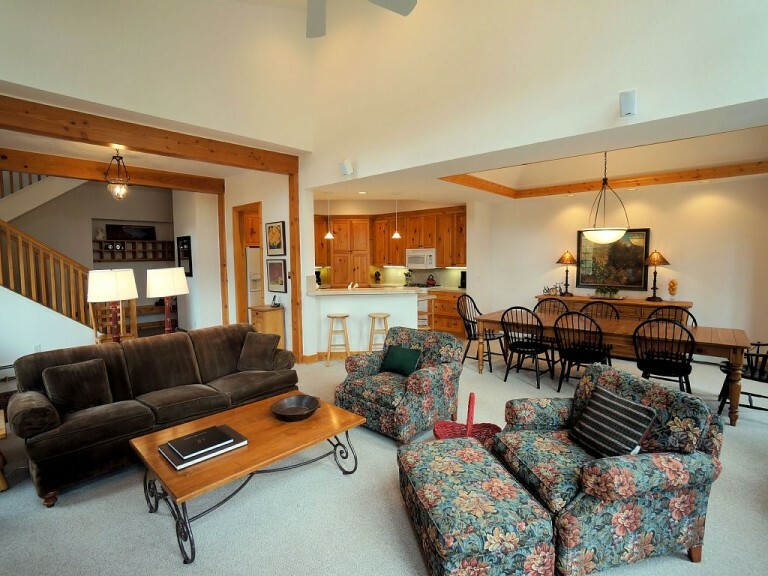 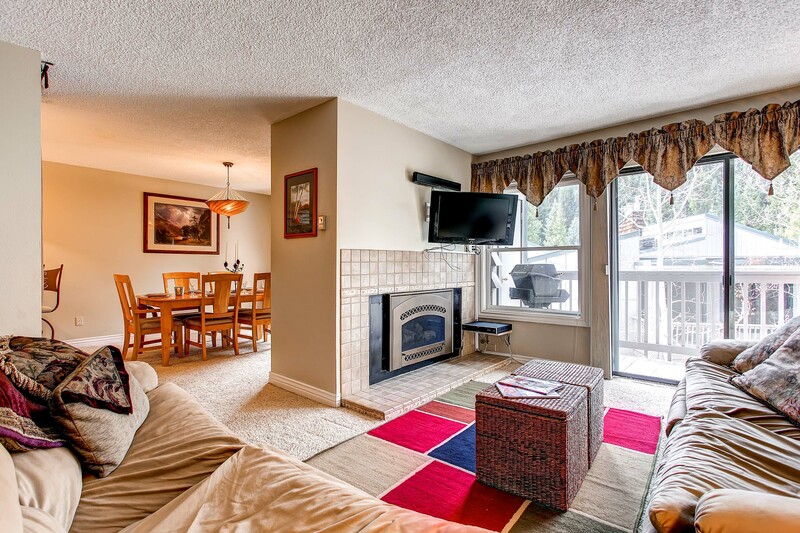 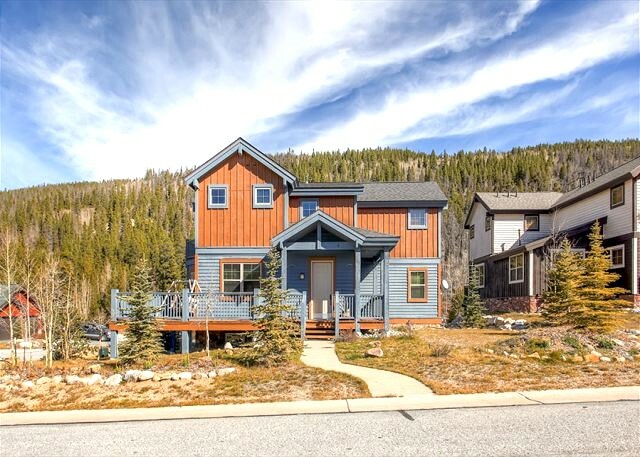 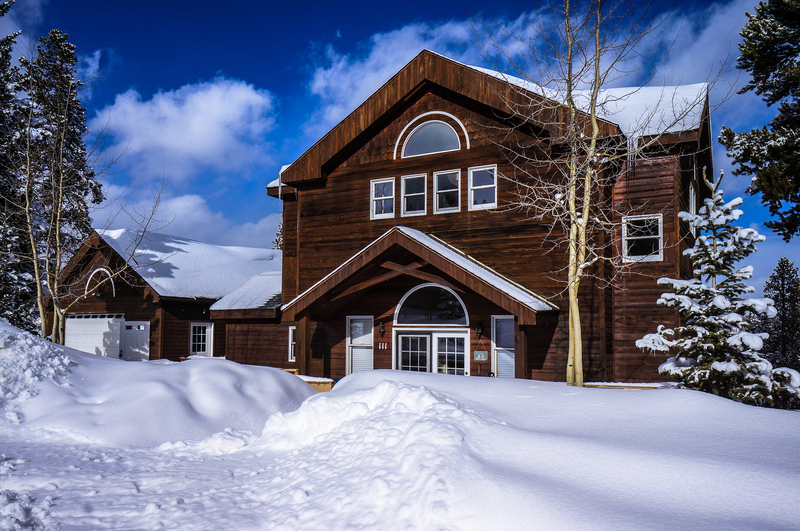 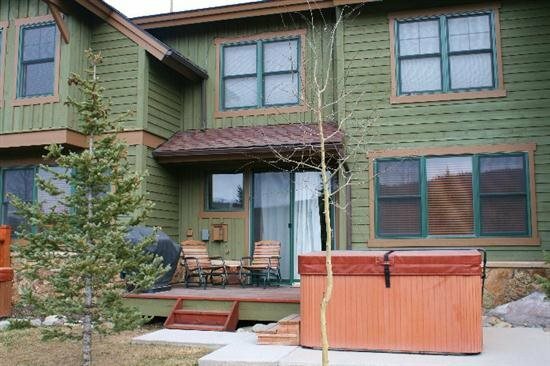 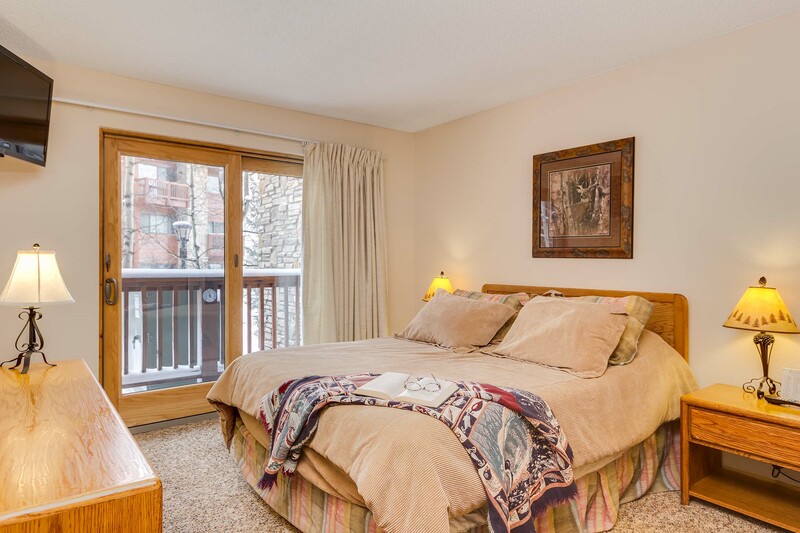 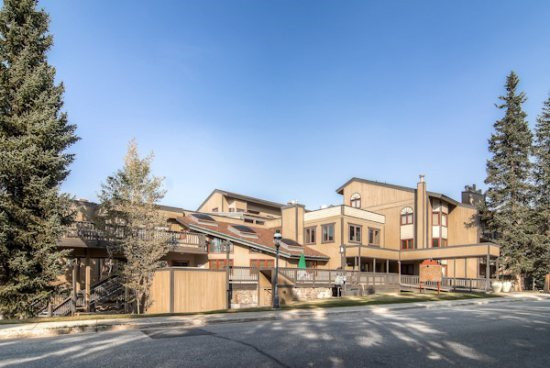 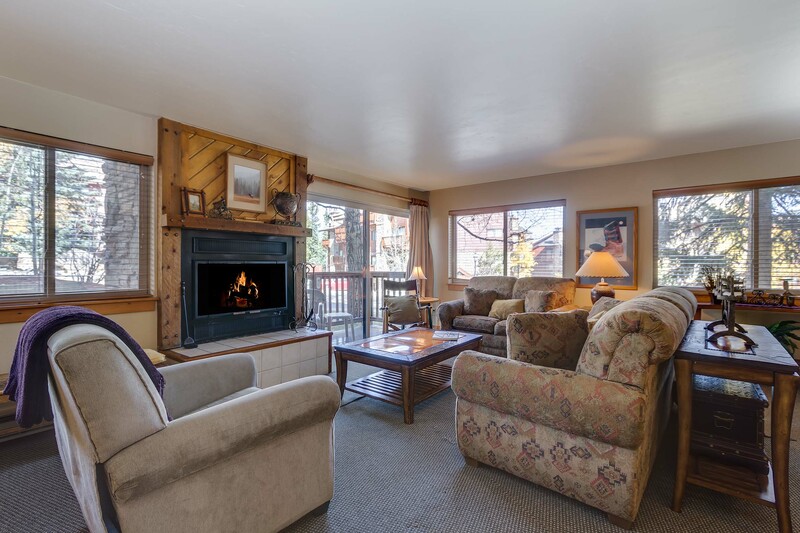 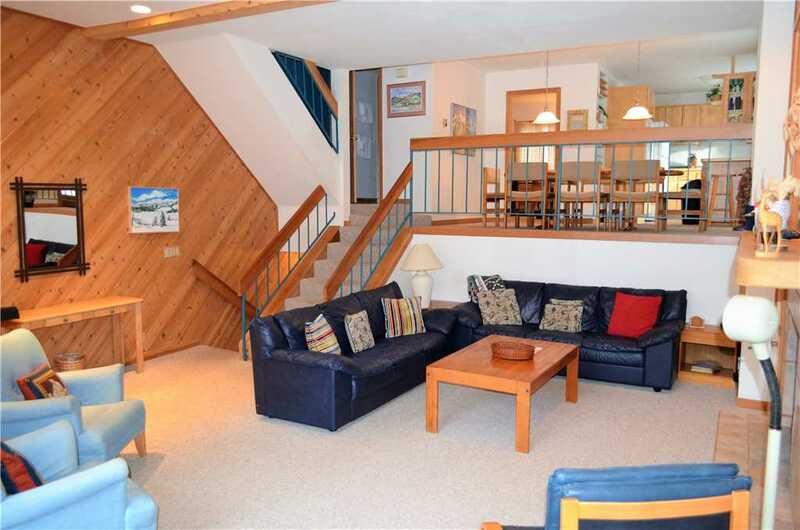 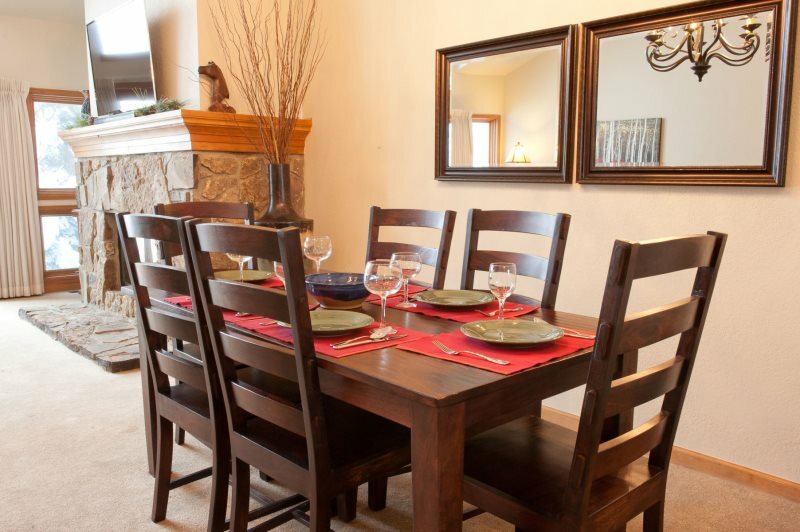 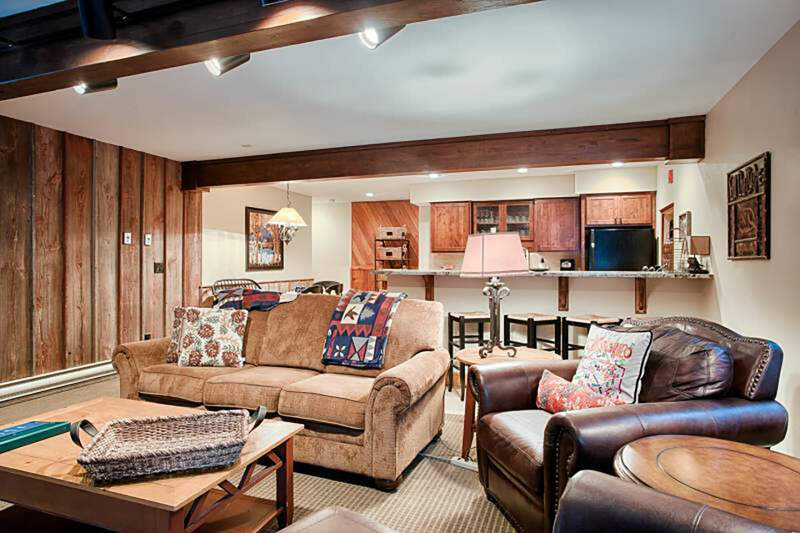 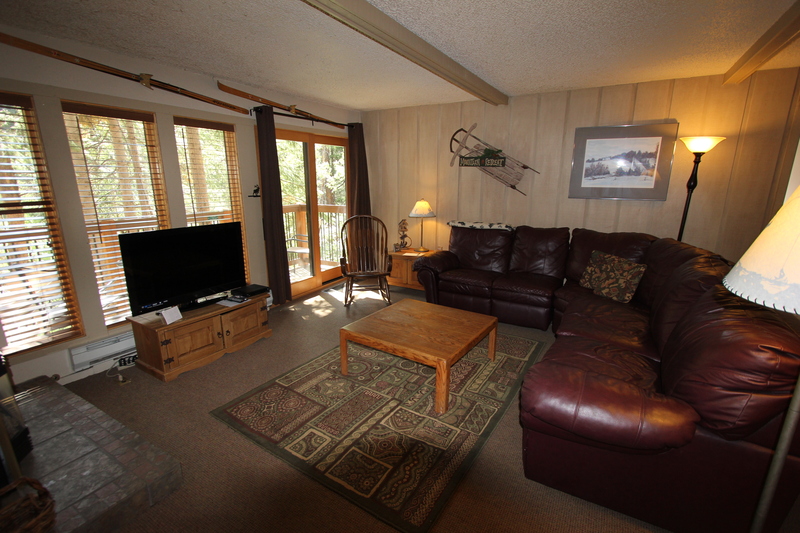 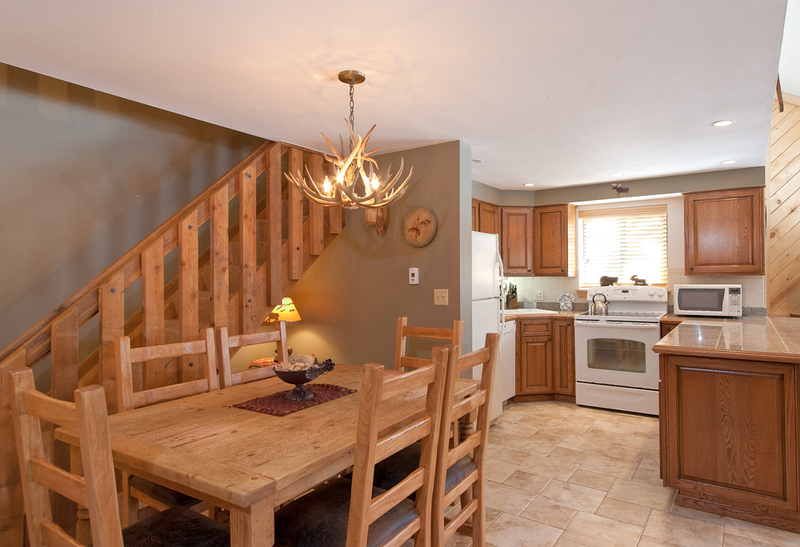 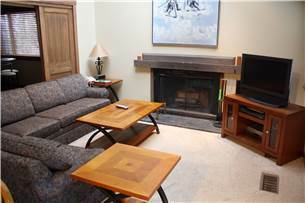 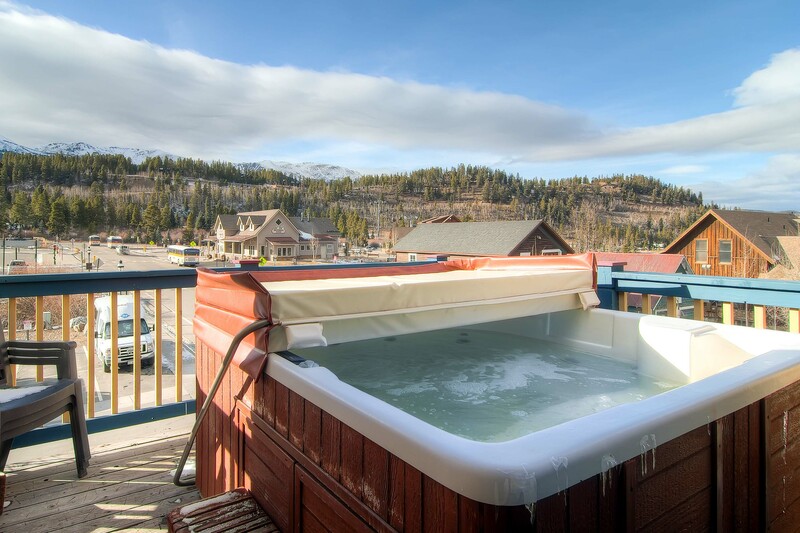 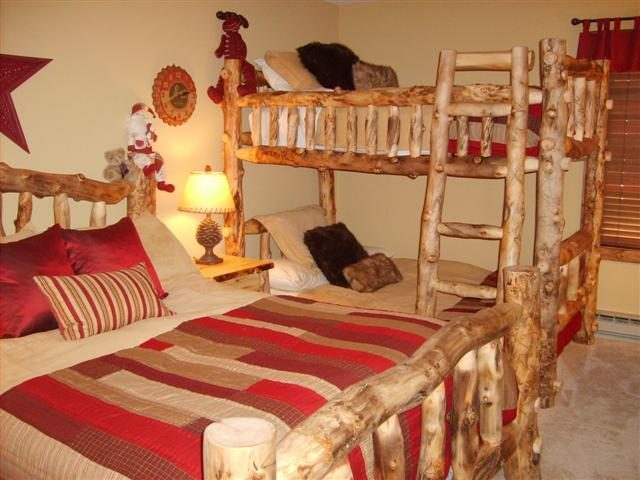 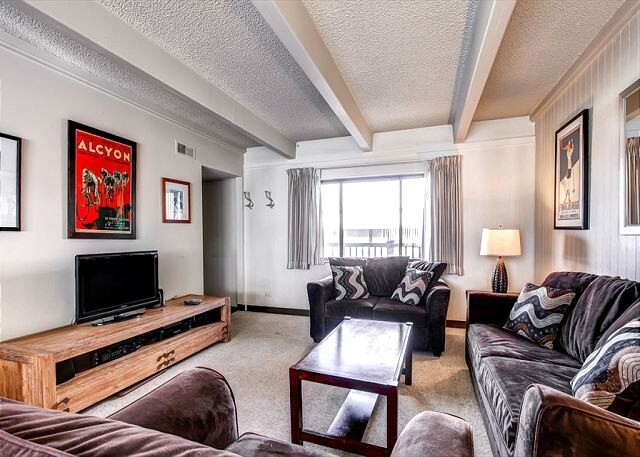 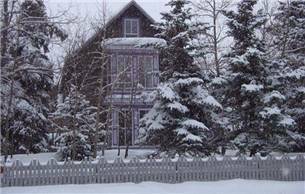 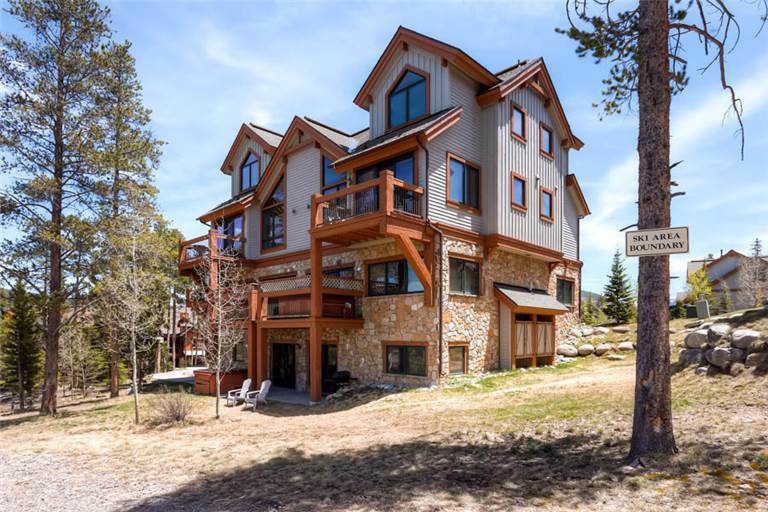 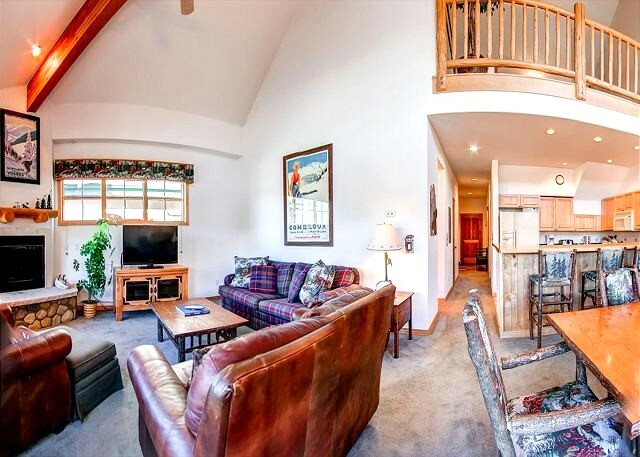 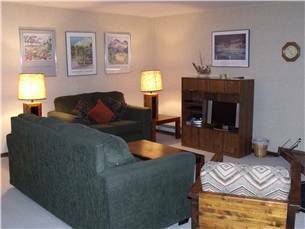 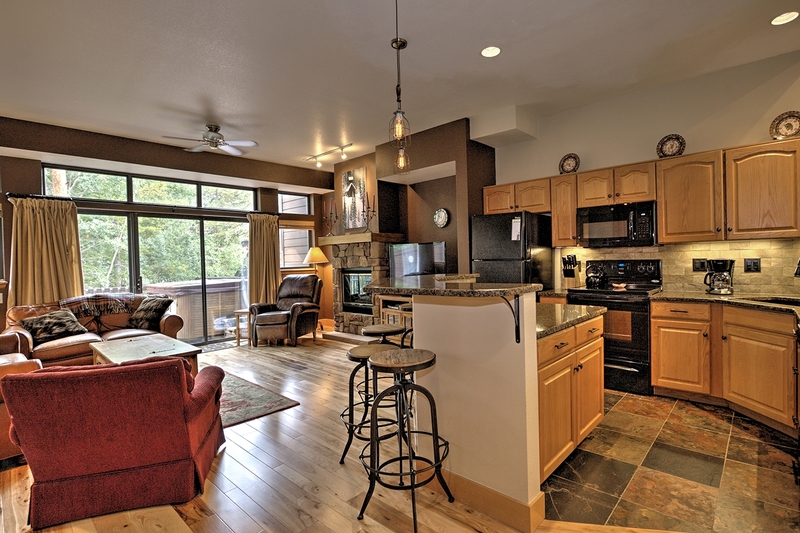 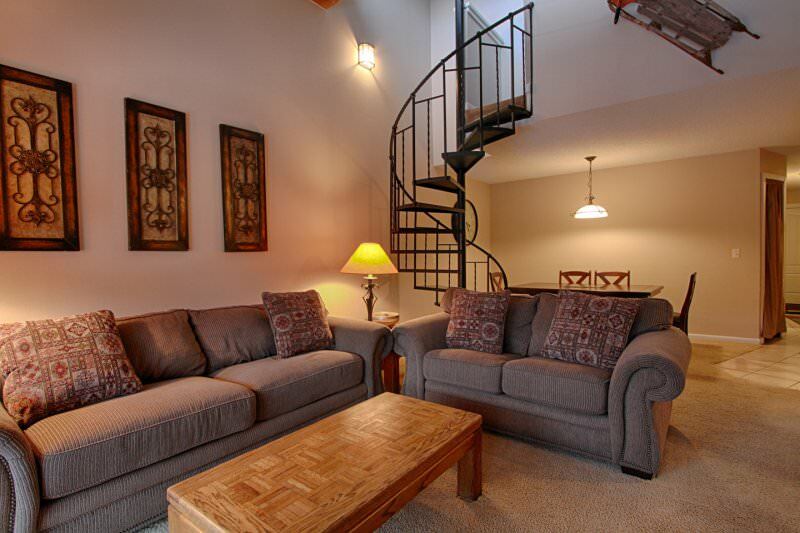 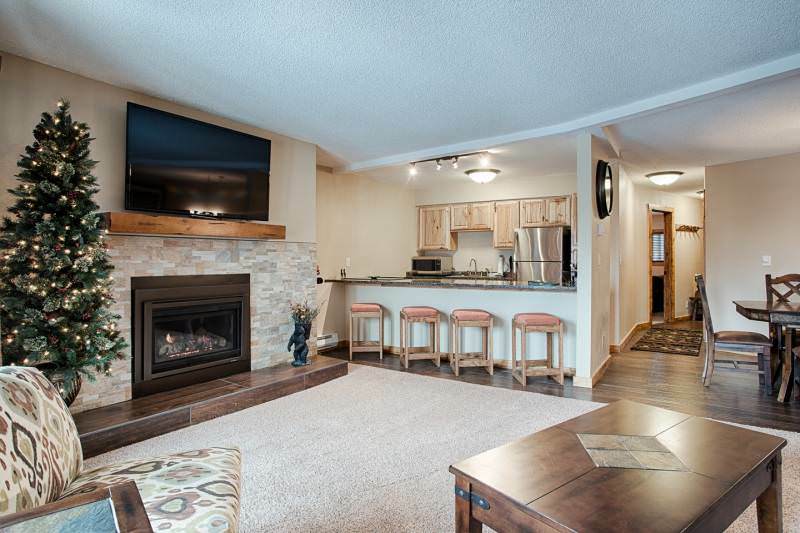 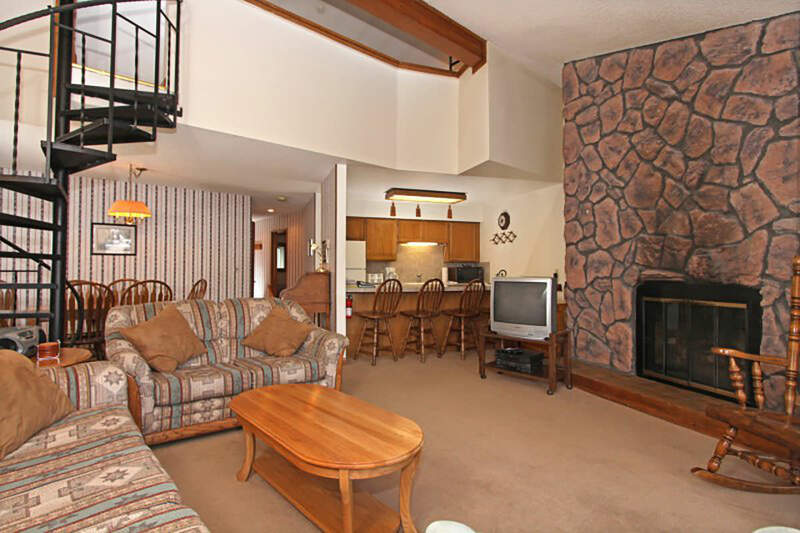 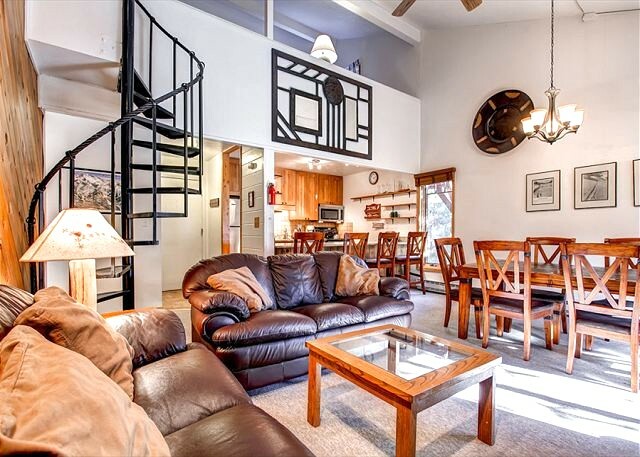 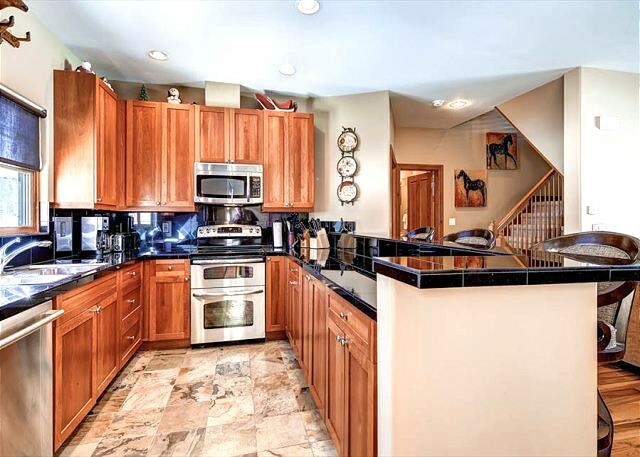 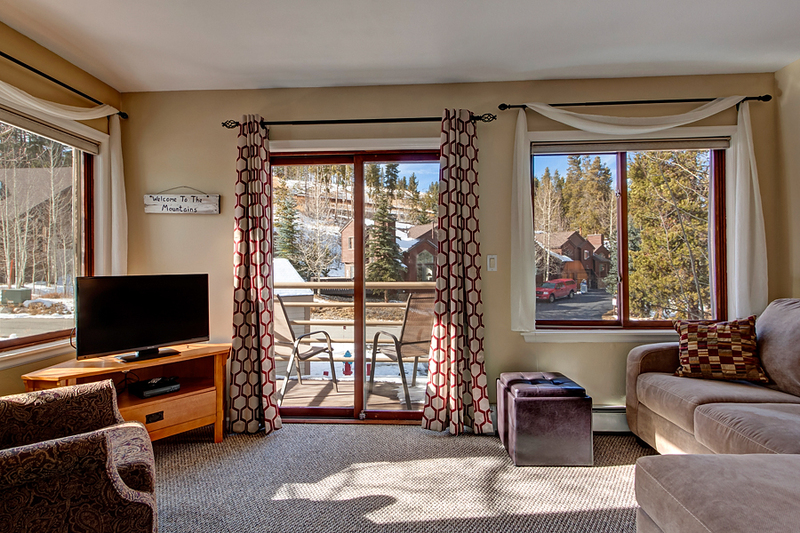 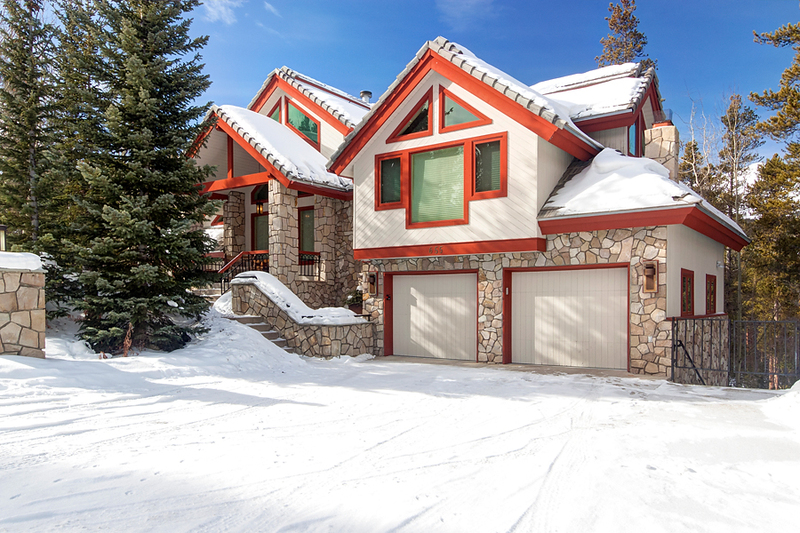 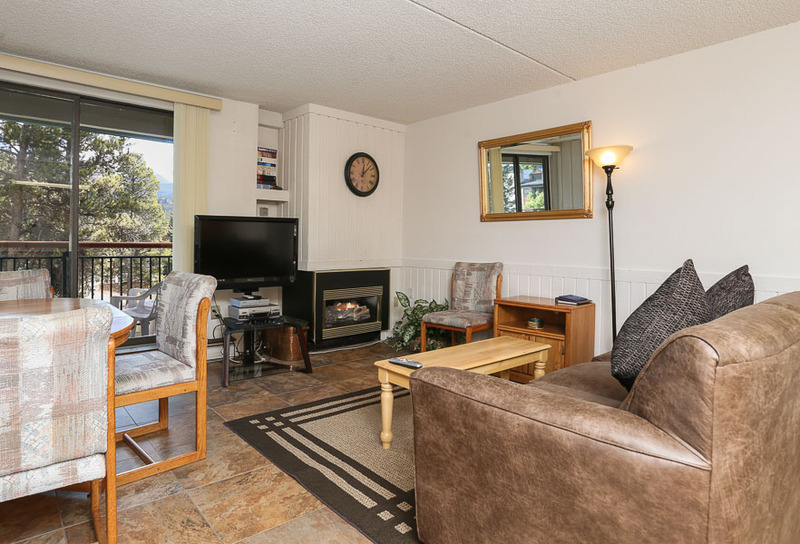 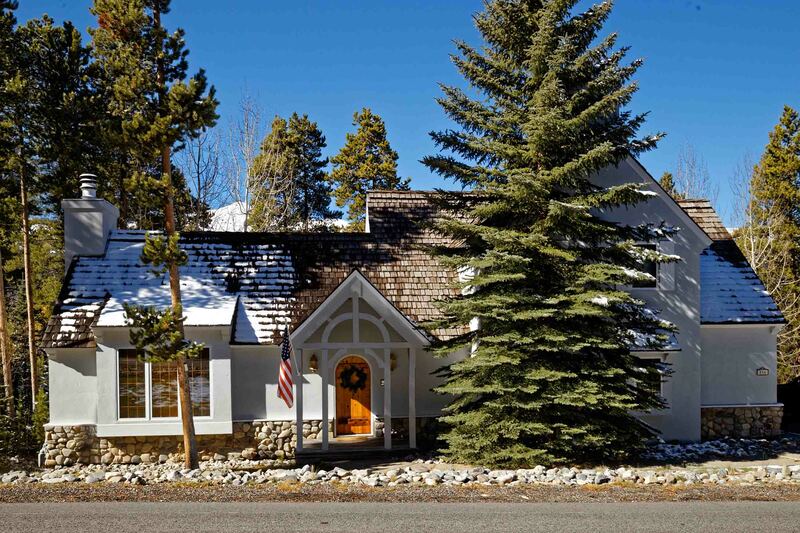 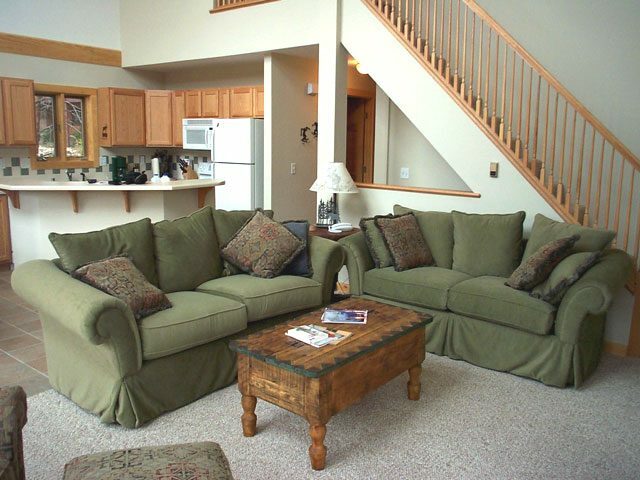 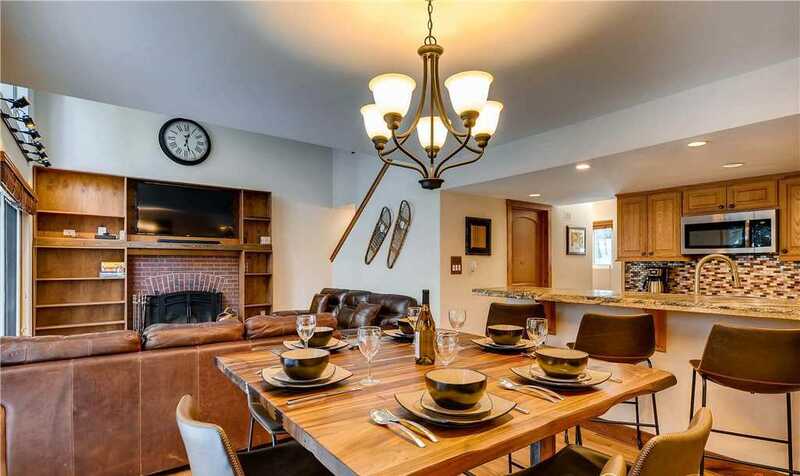 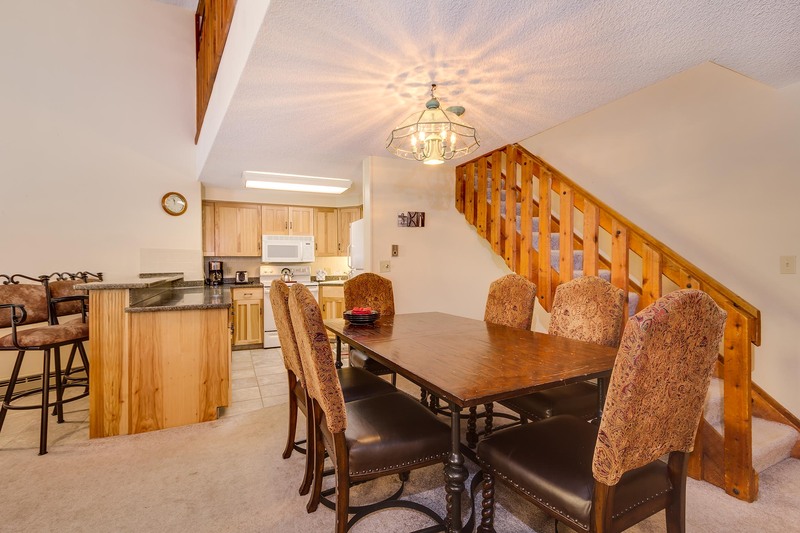 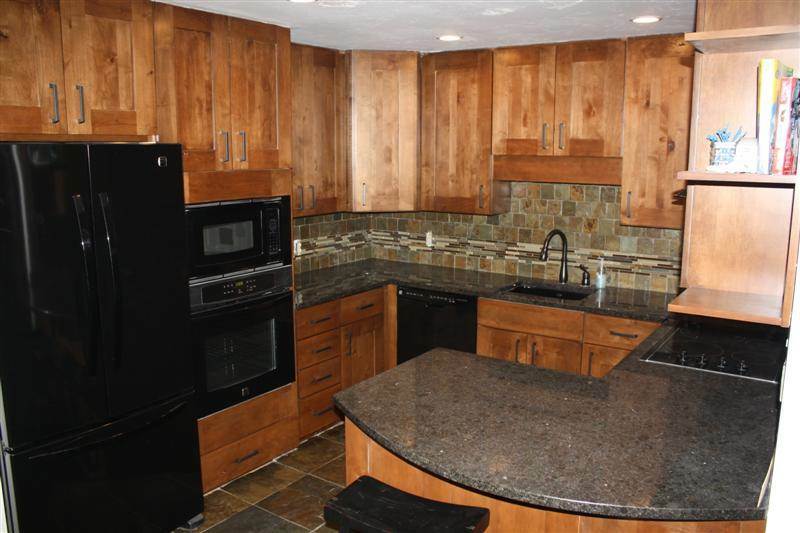 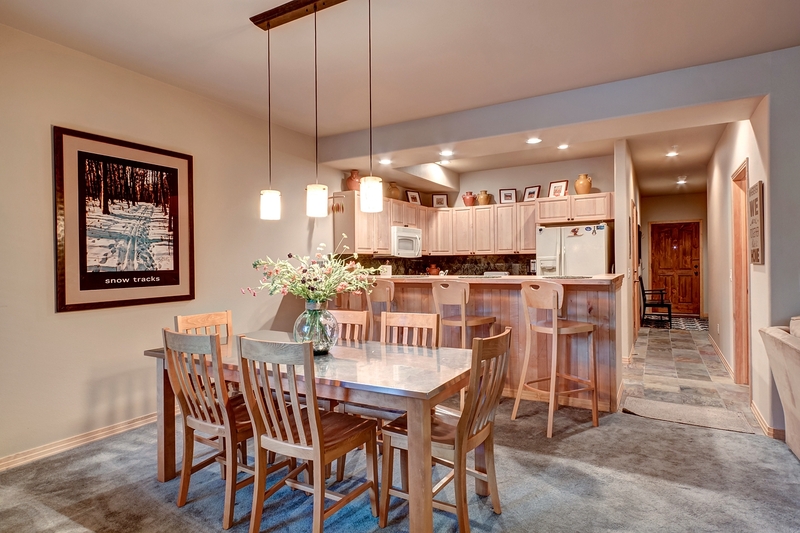 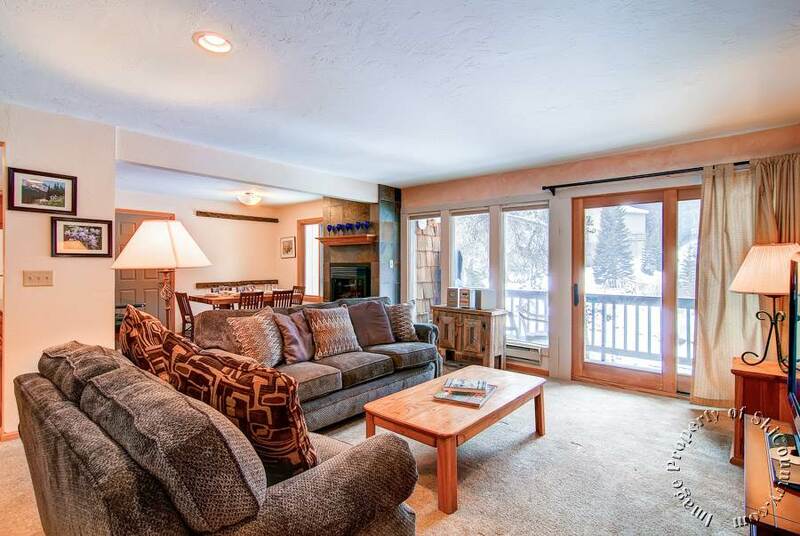 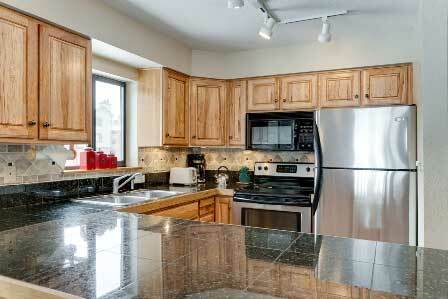 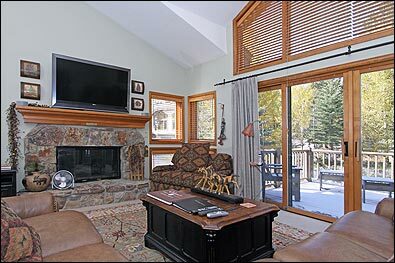 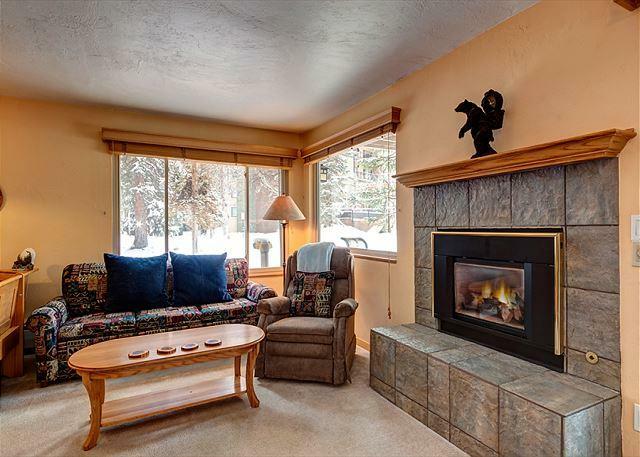 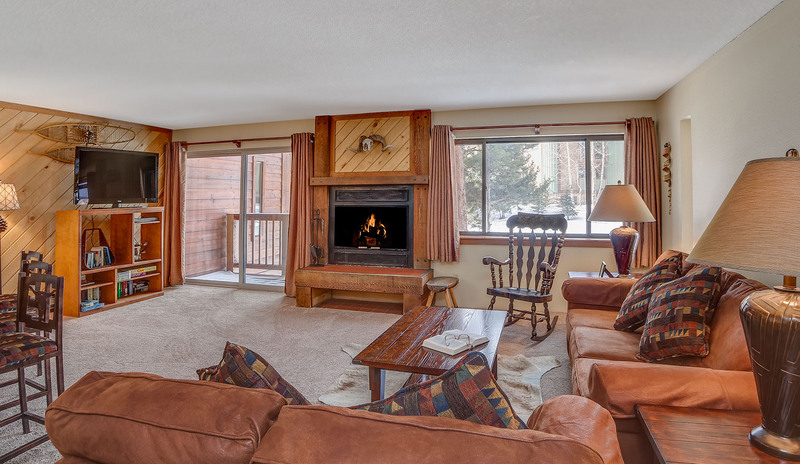 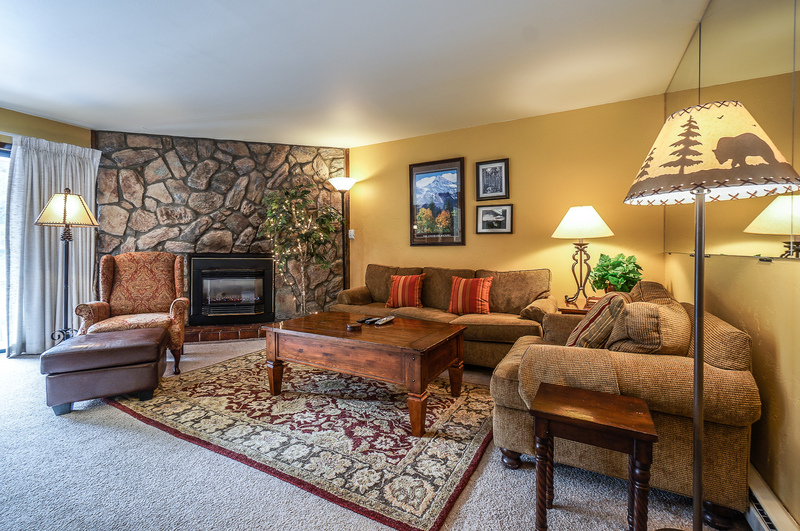 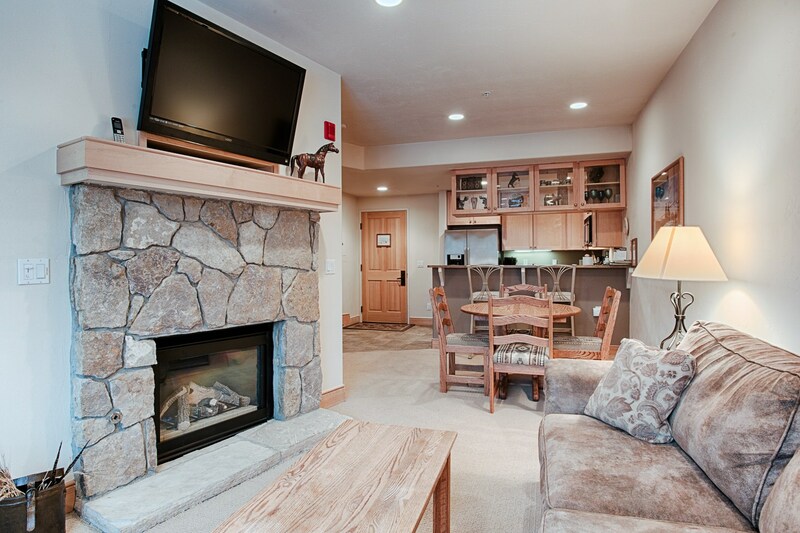 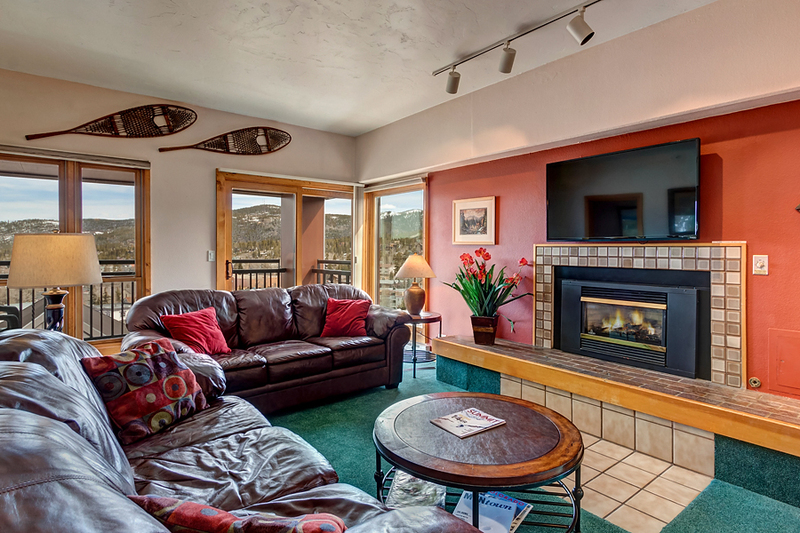 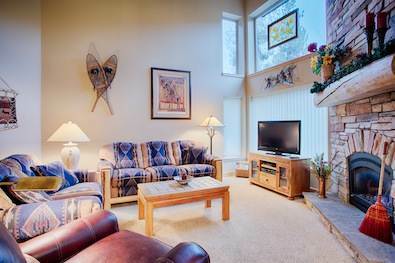 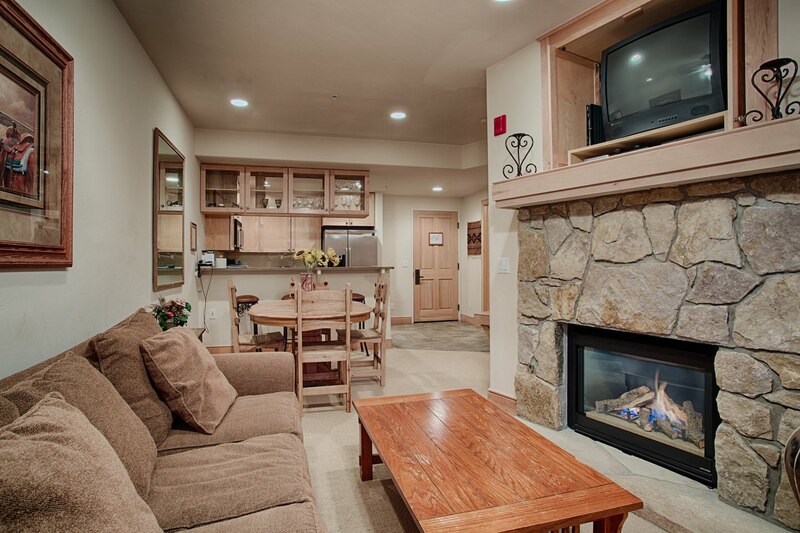 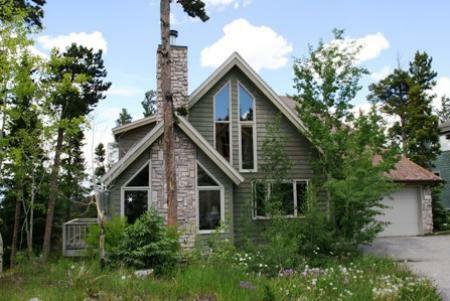 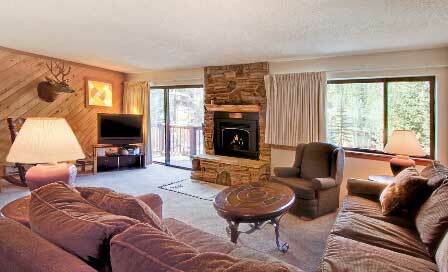 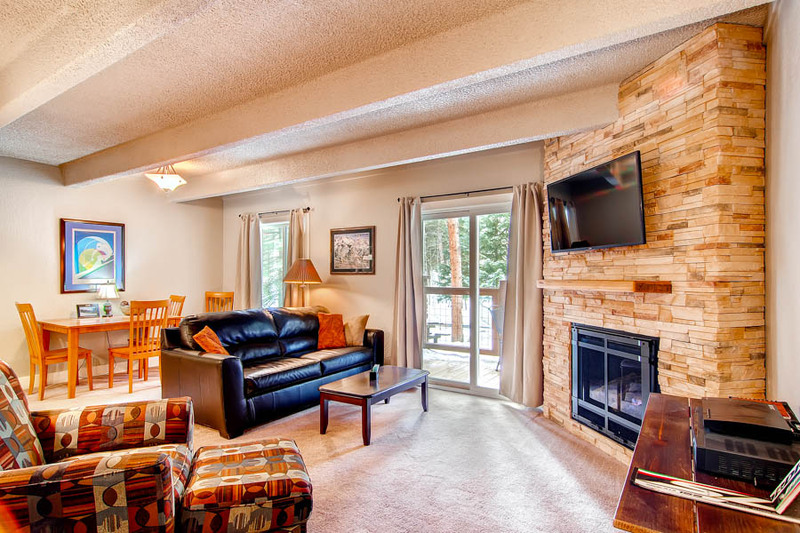 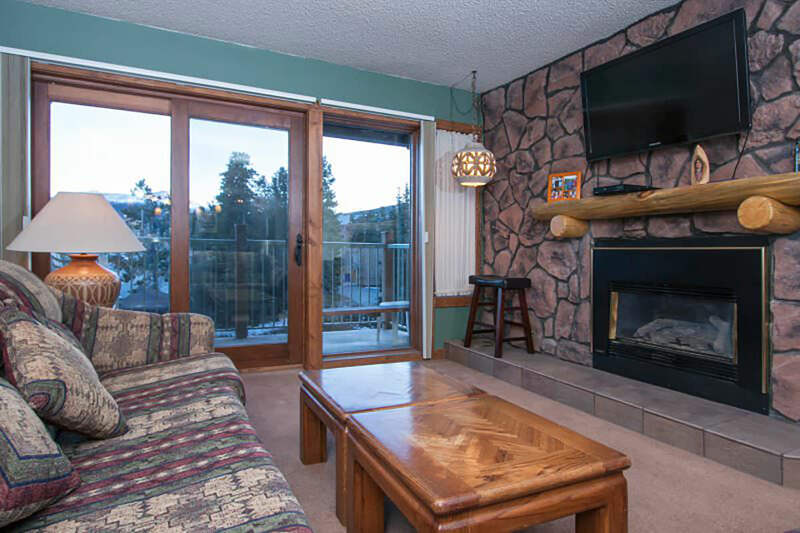 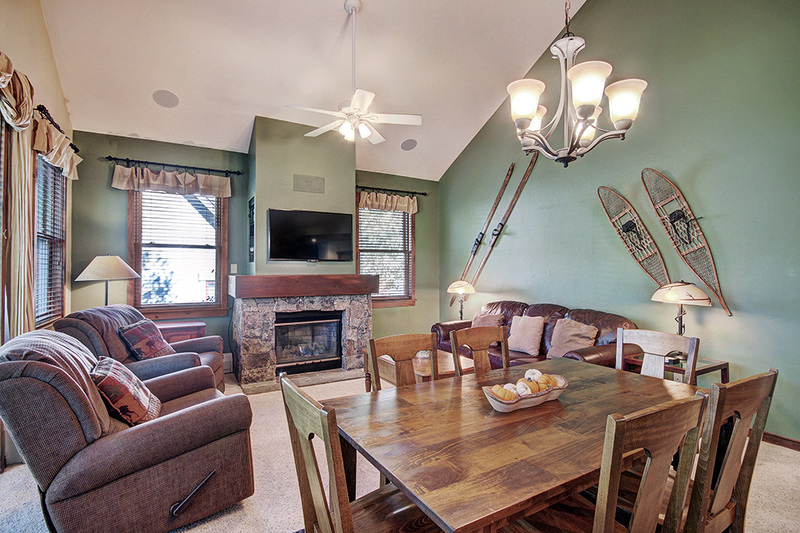 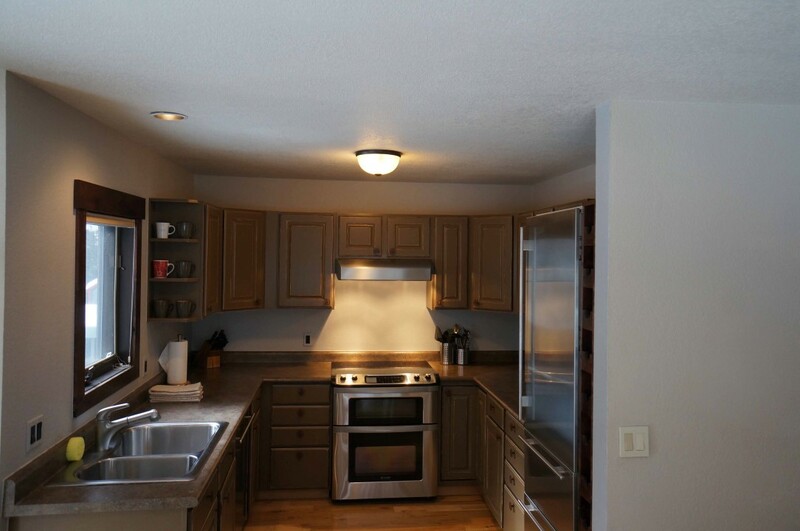 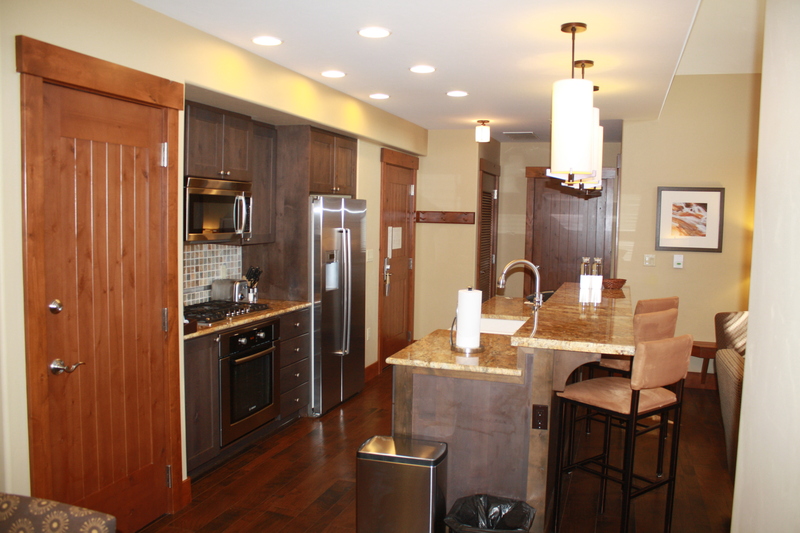 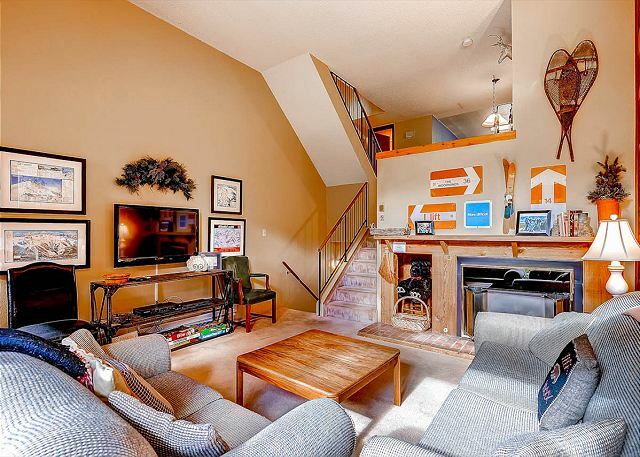 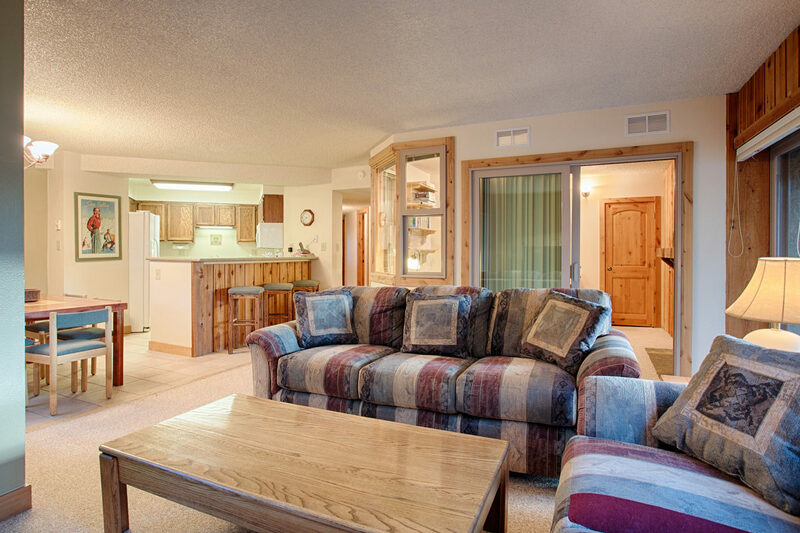 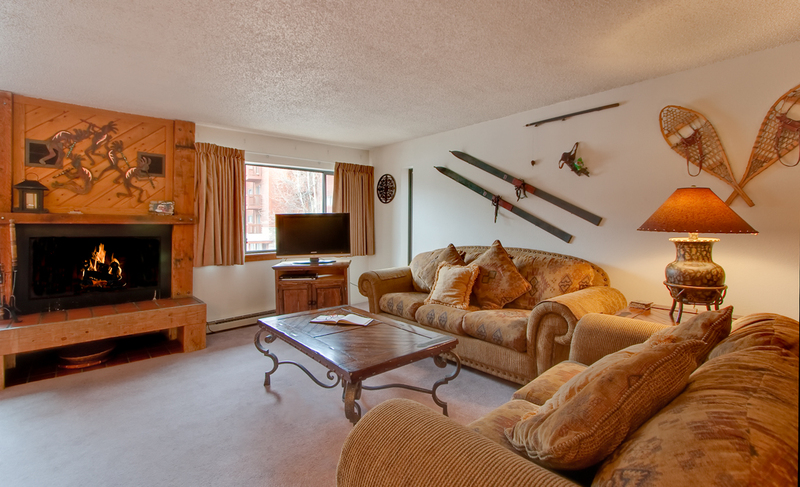 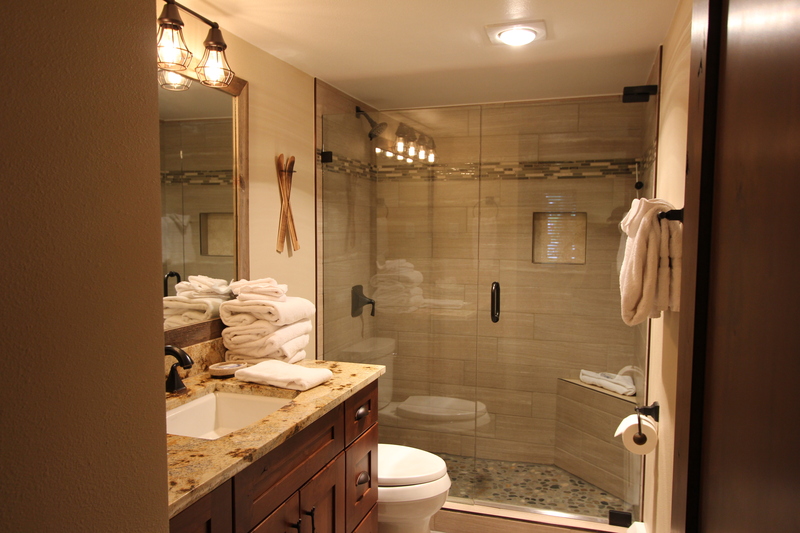 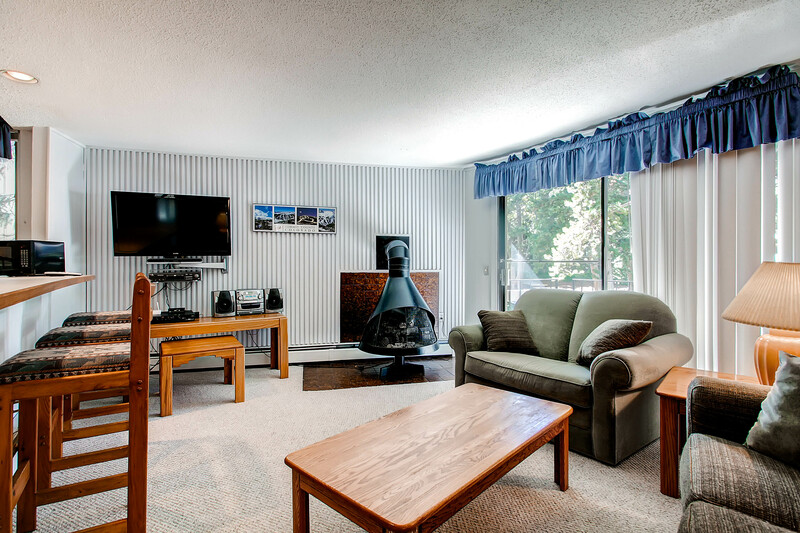 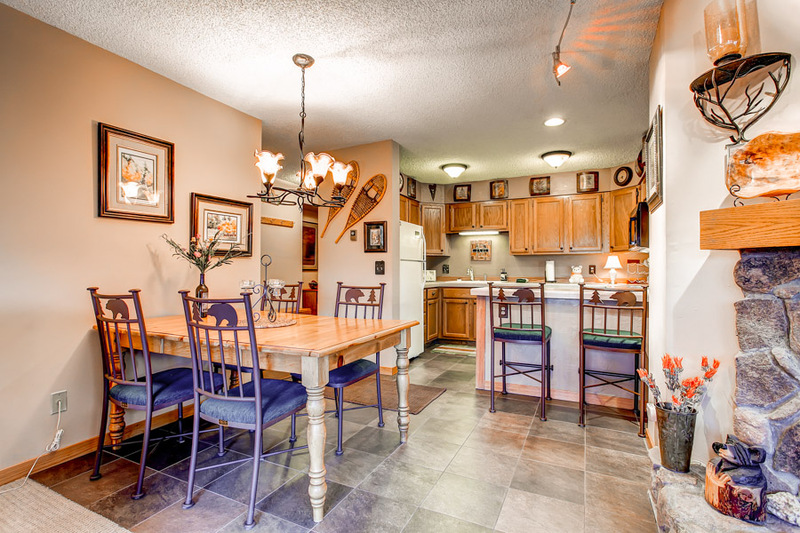 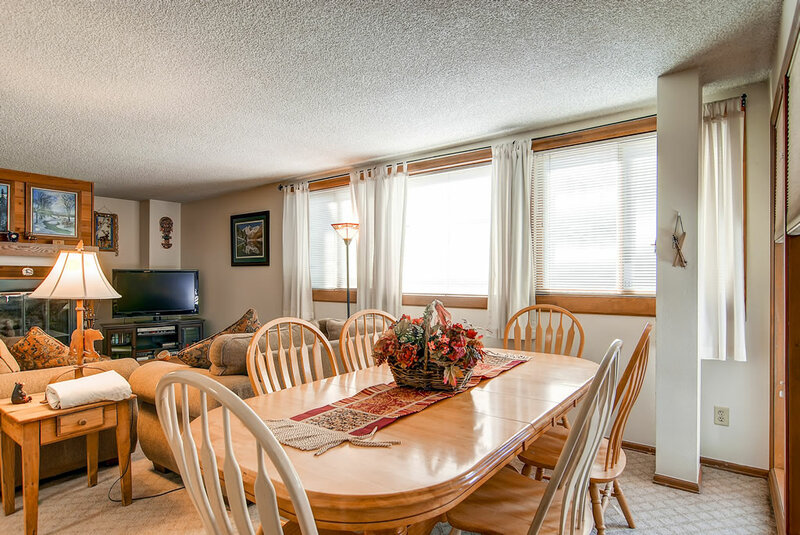 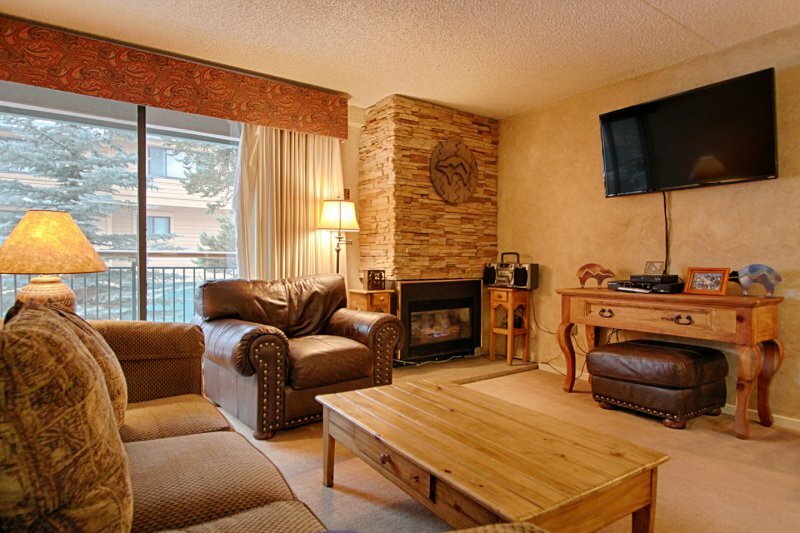 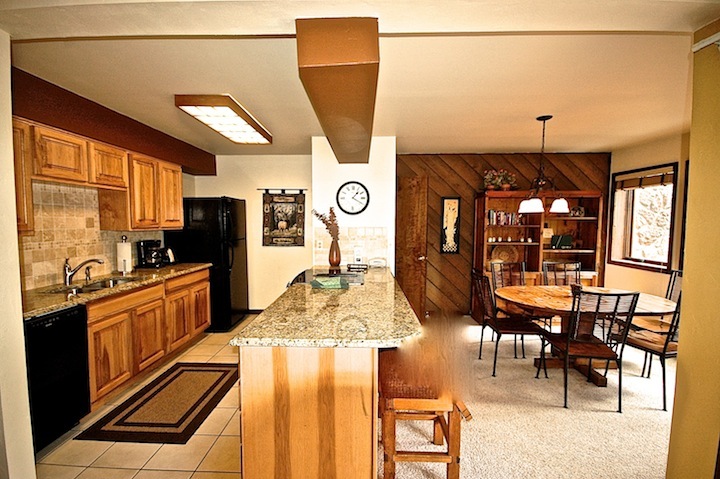 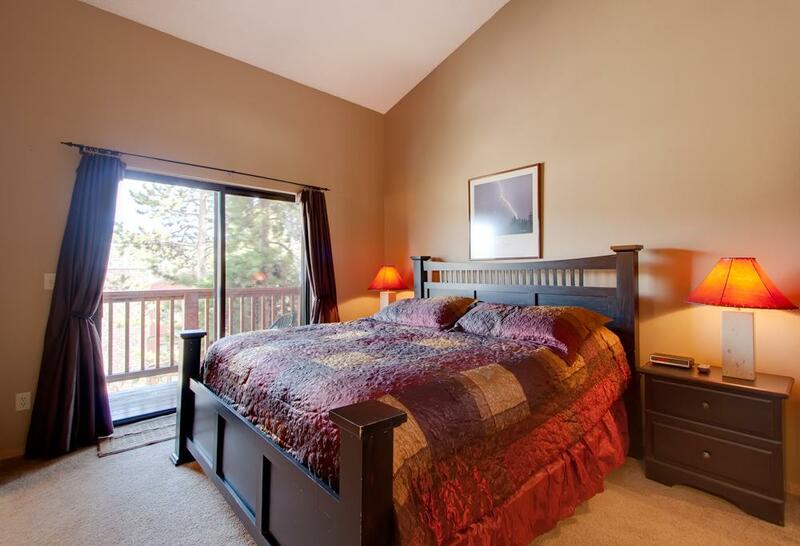 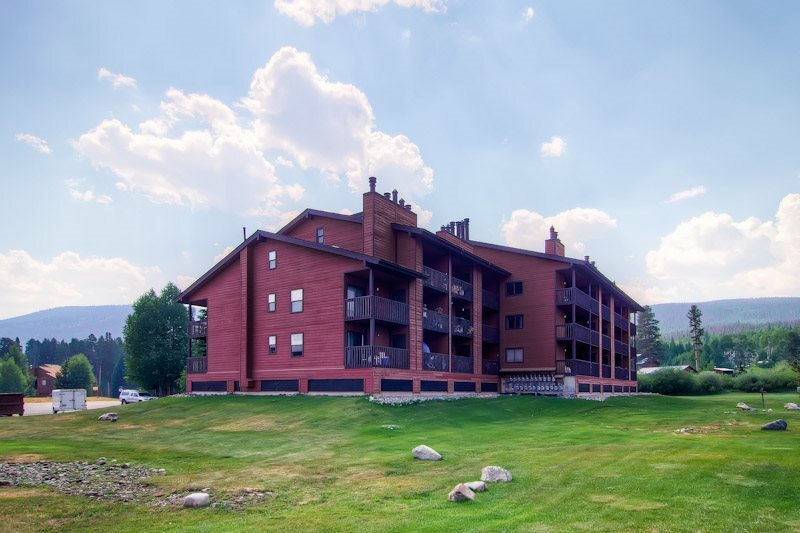 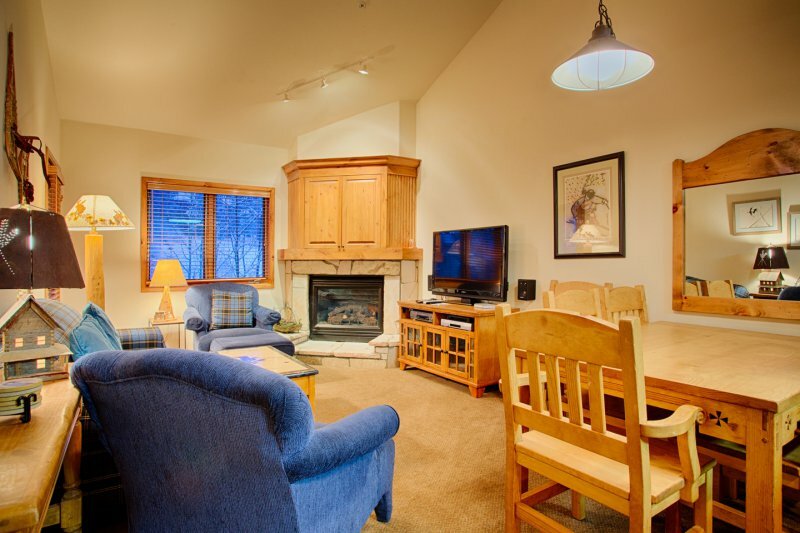 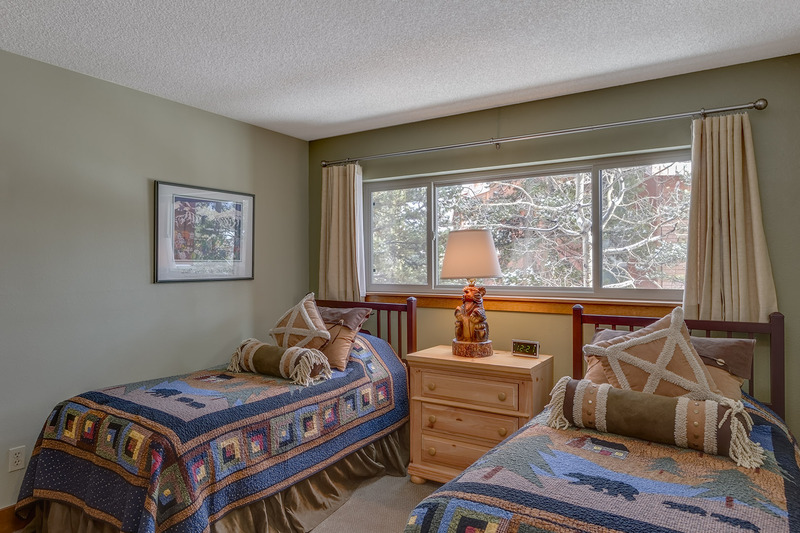 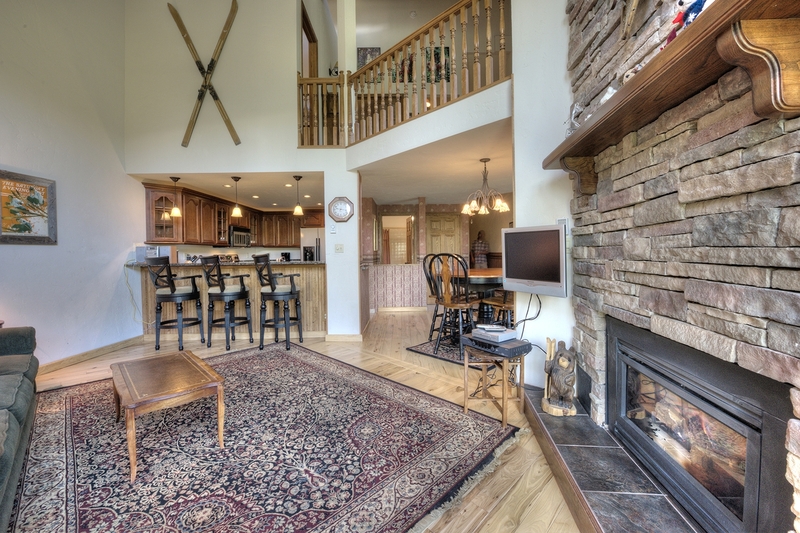 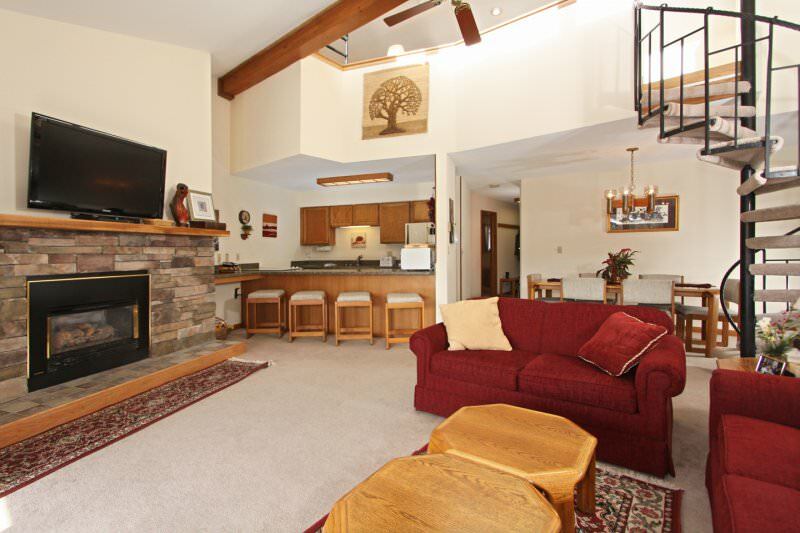 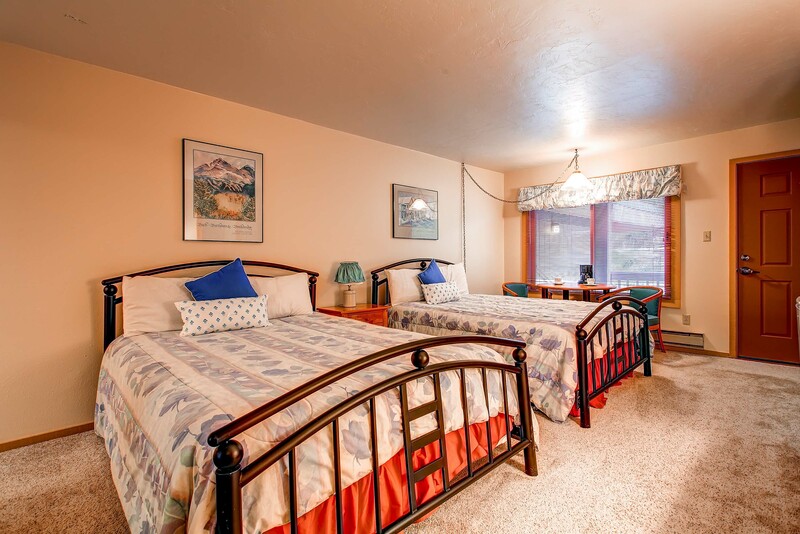 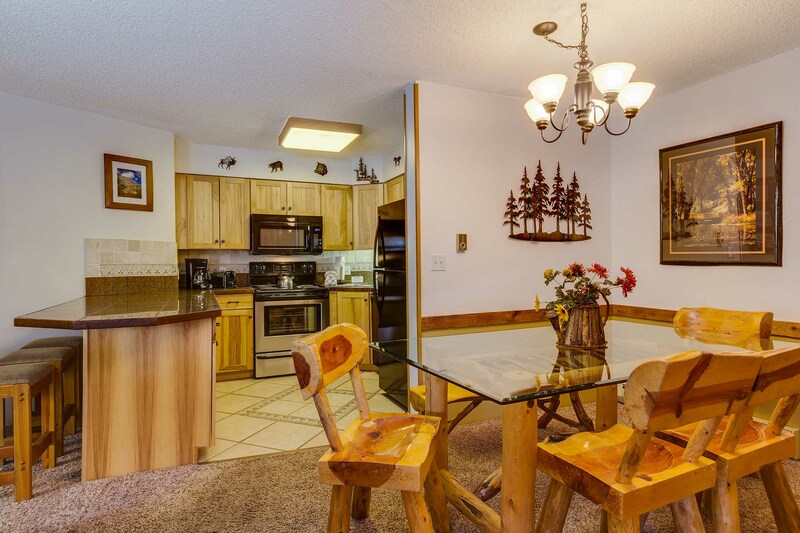 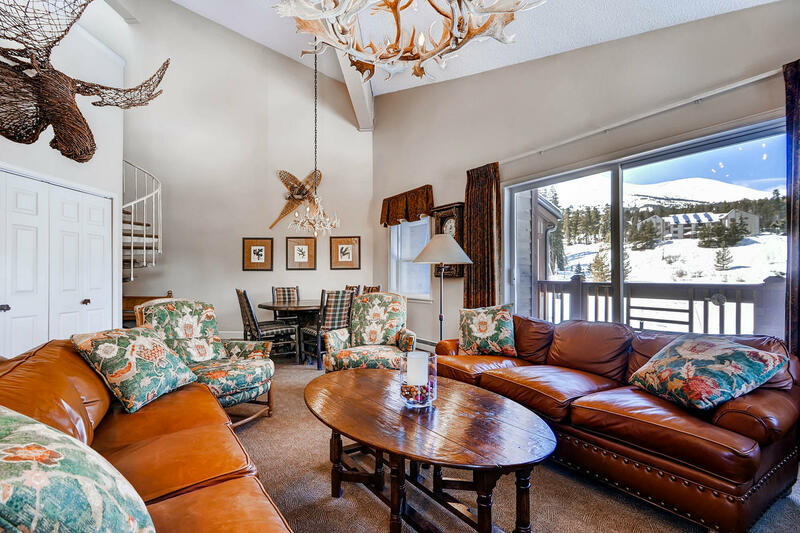 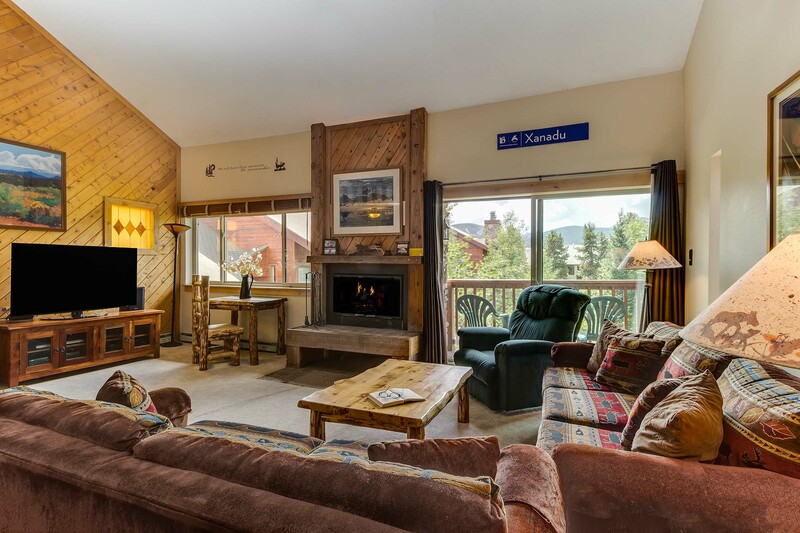 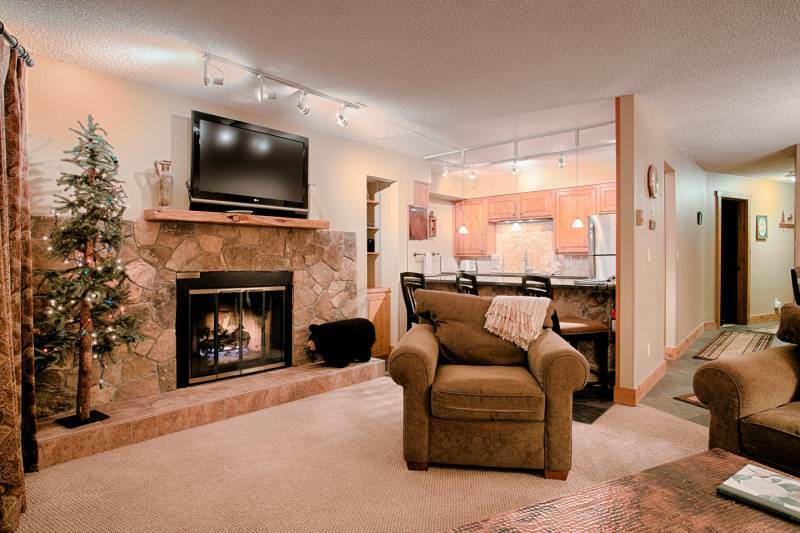 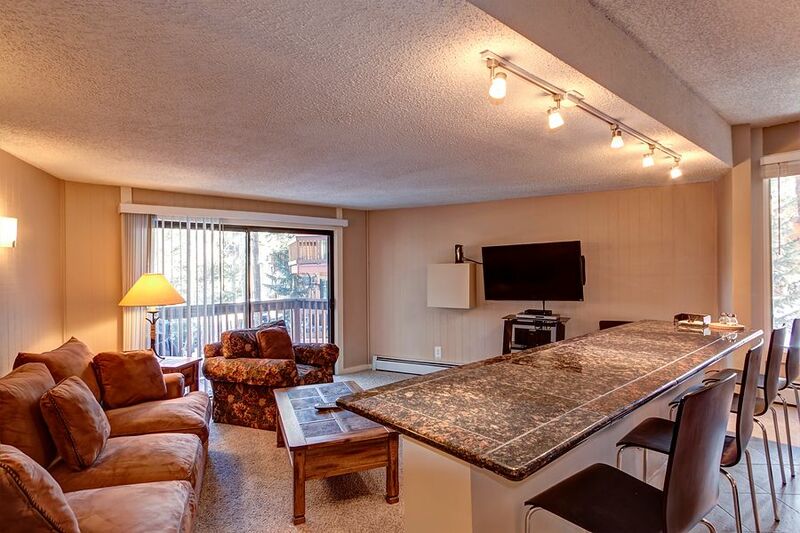 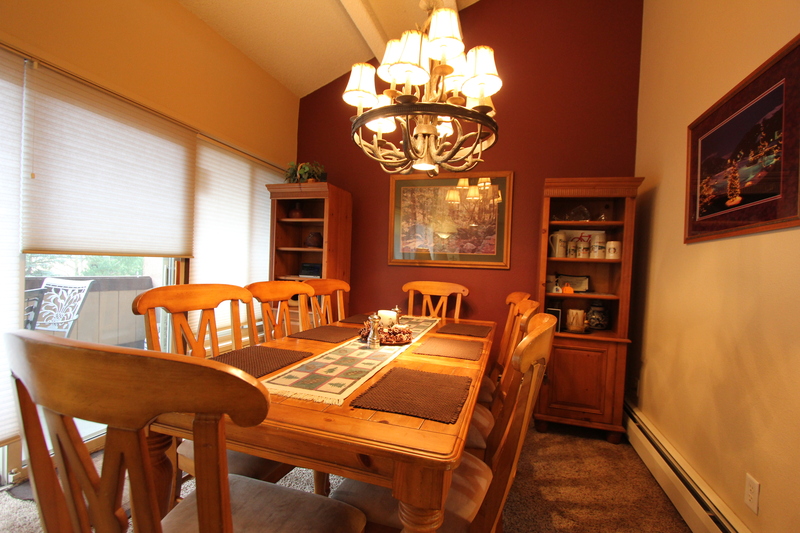 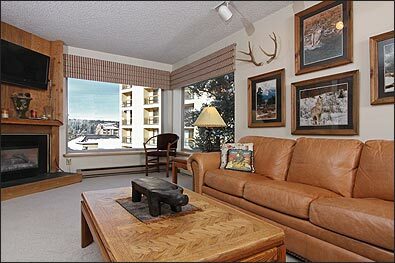 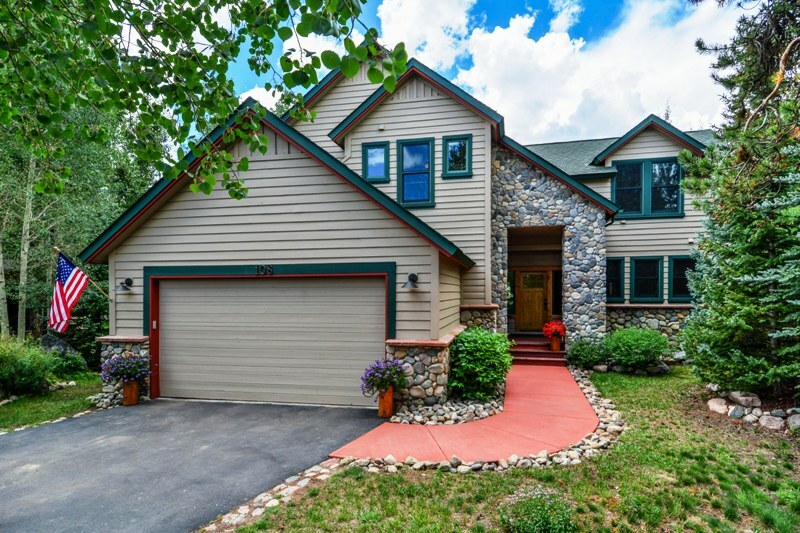 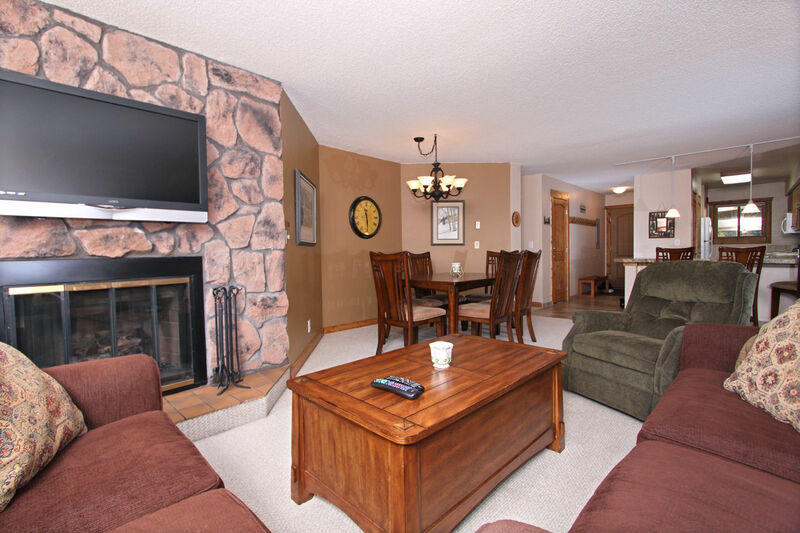 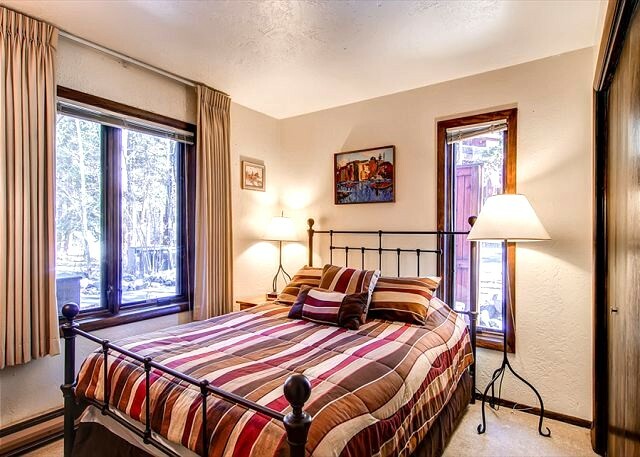 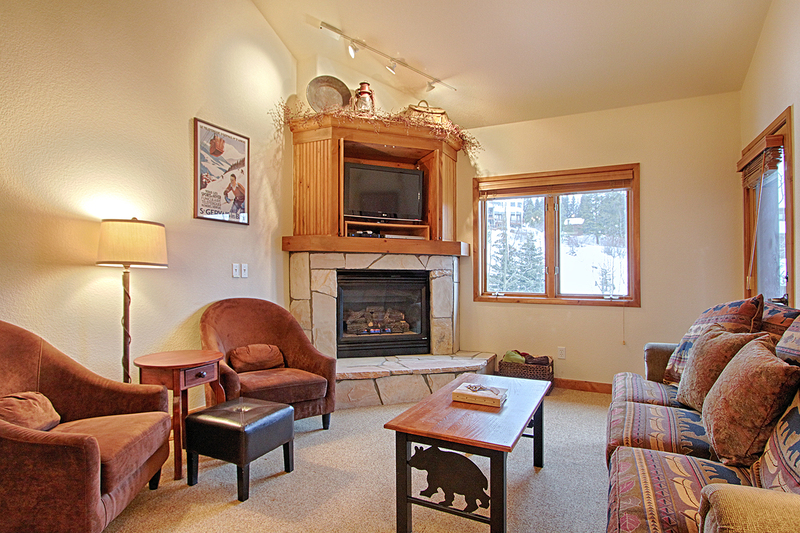 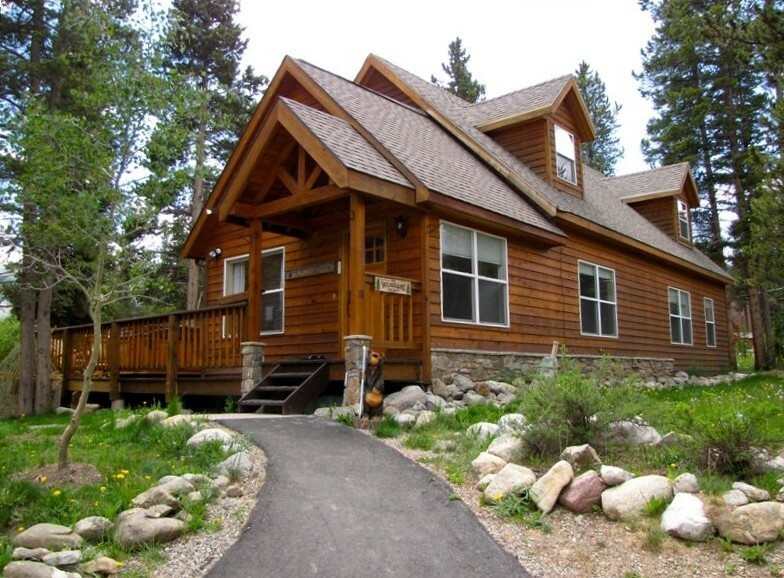 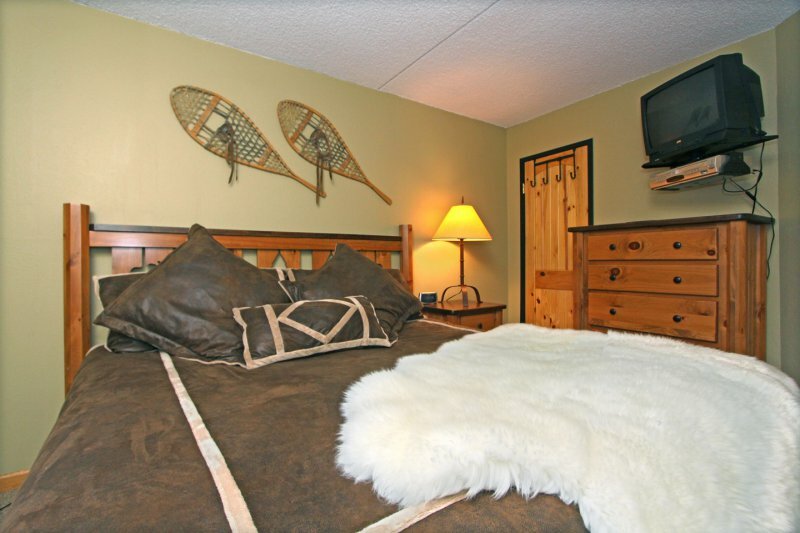 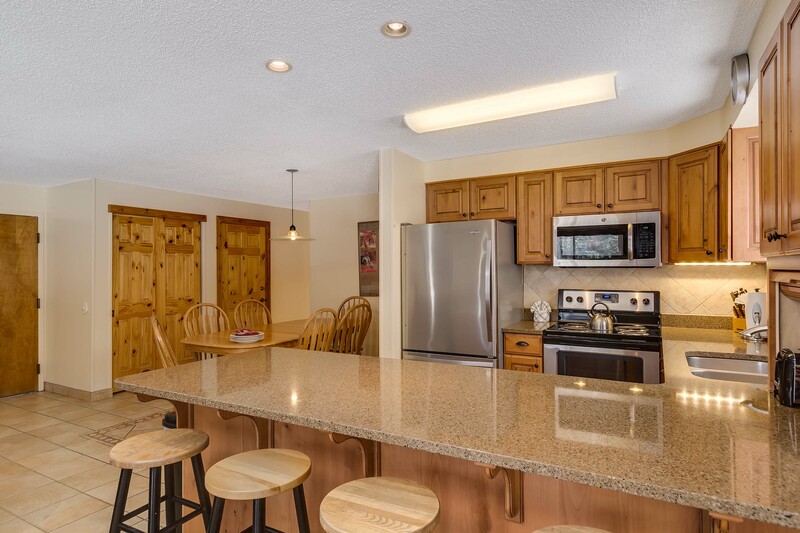 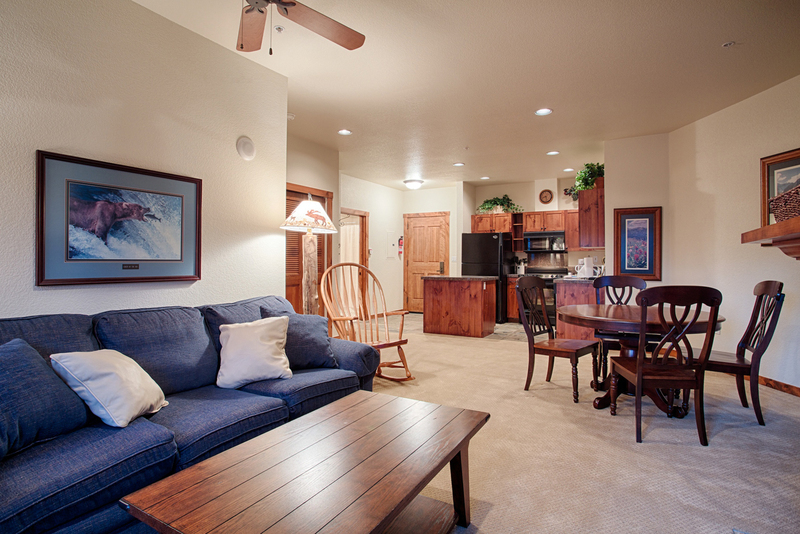 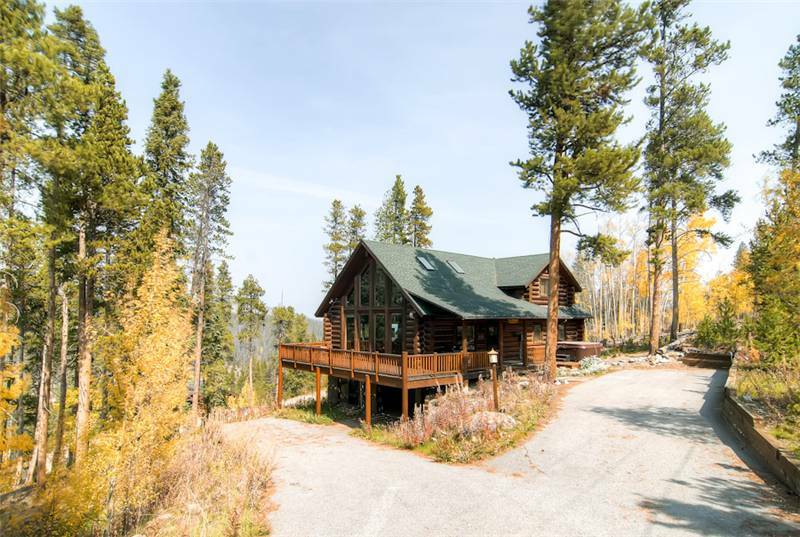 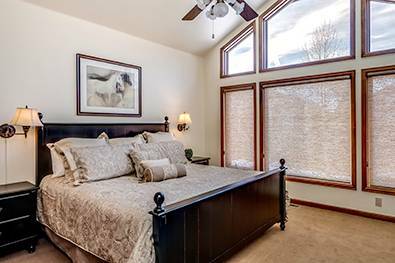 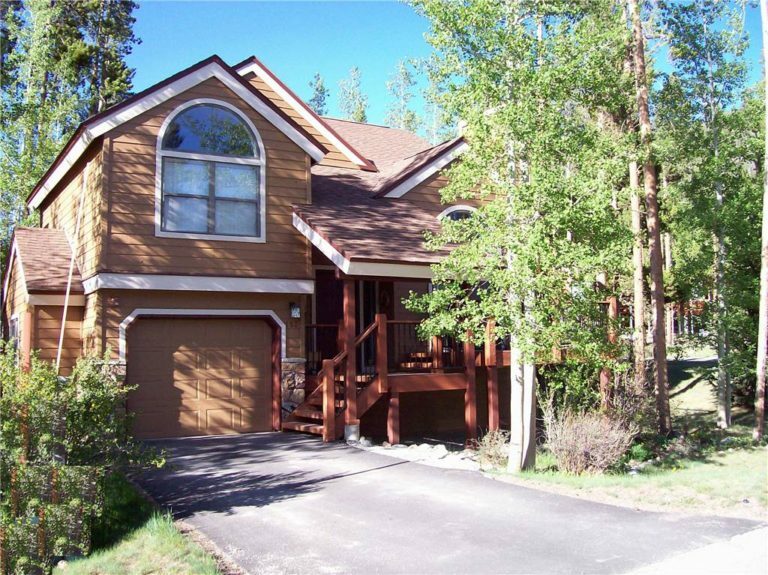 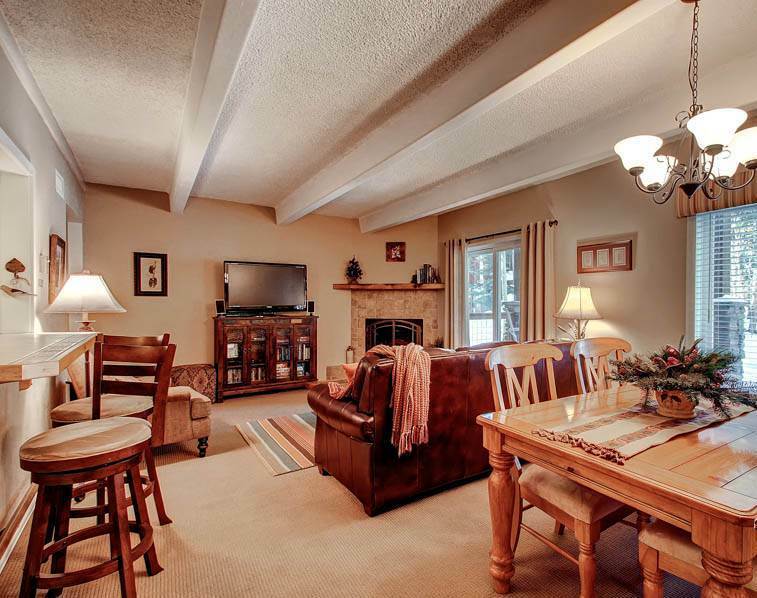 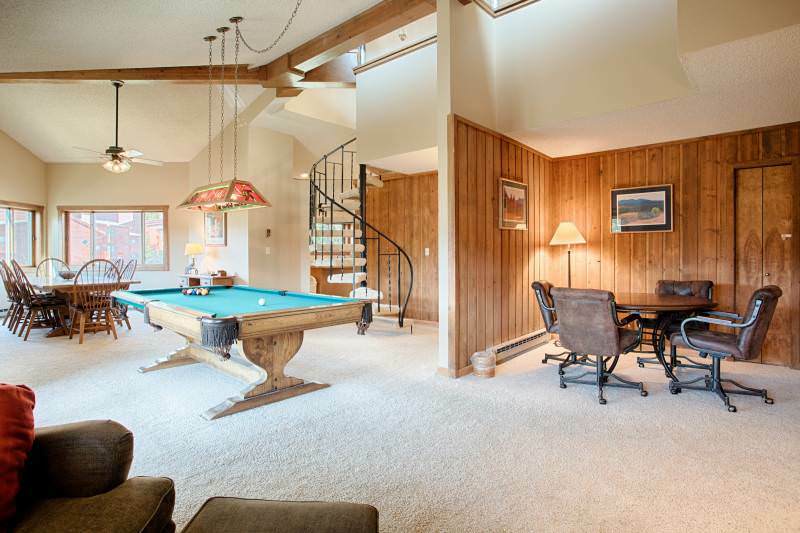 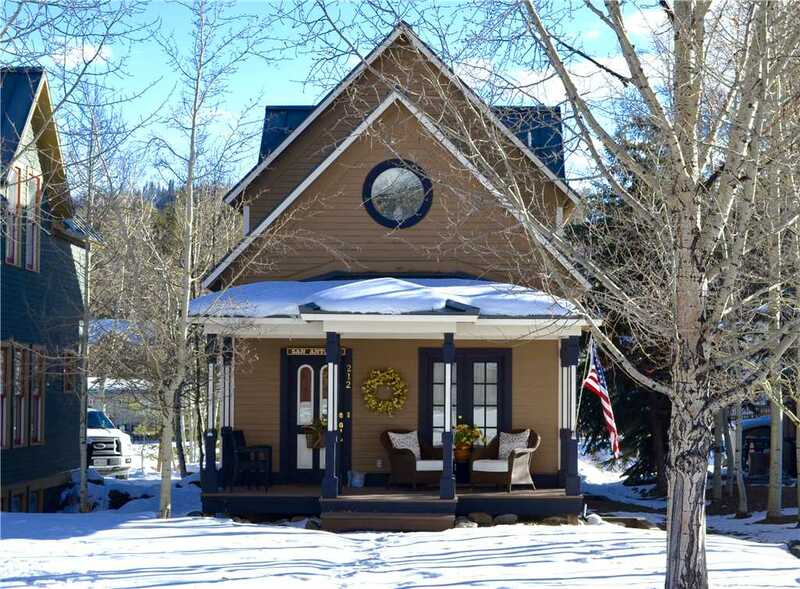 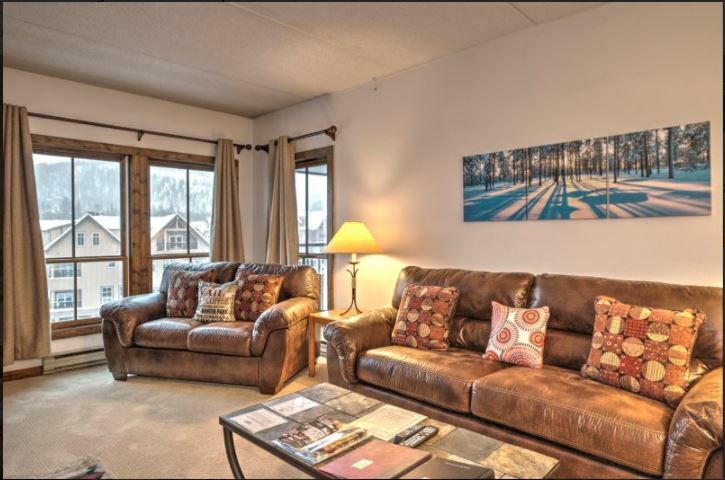 12B is located just steps from the hot tub and 50 yards from the Upper Village community pool. 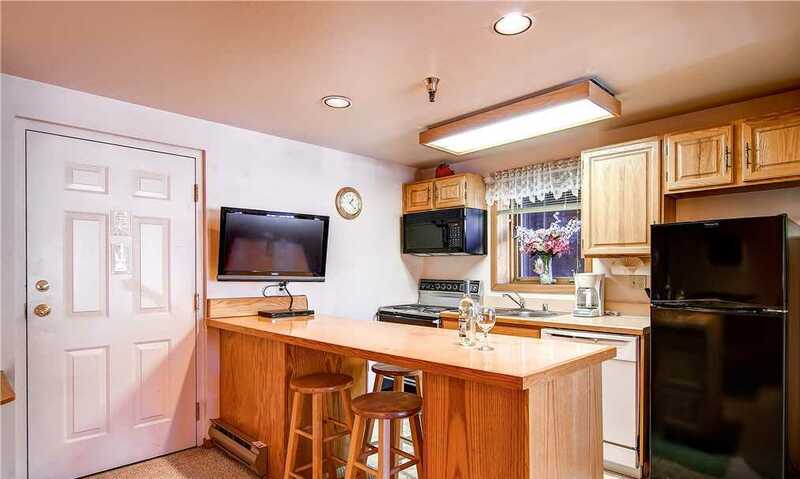 In the summer, step outside to use the gas grill. 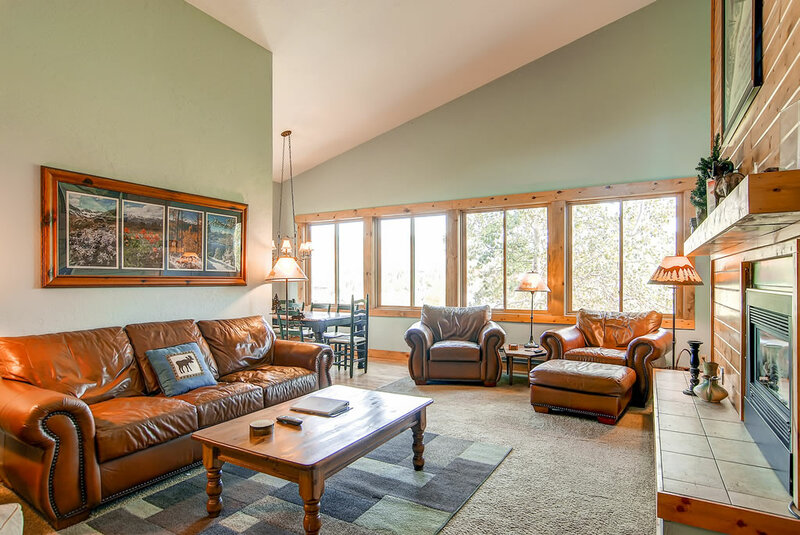 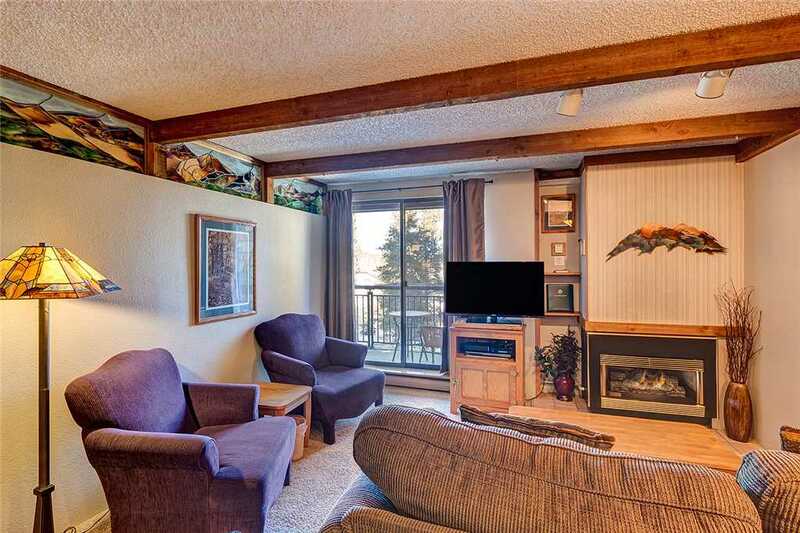 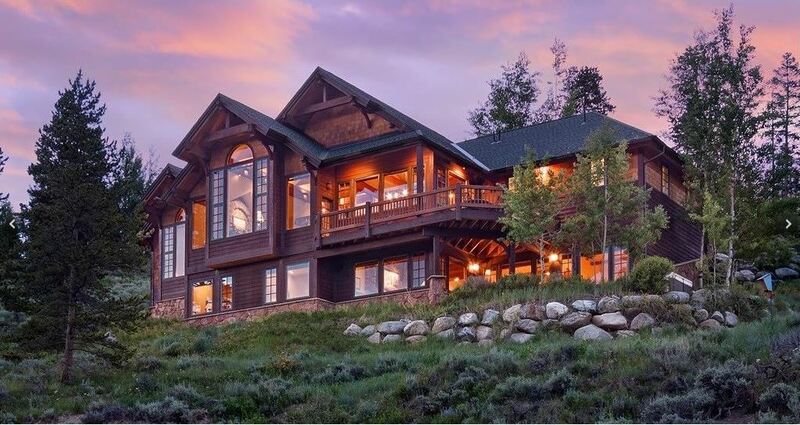 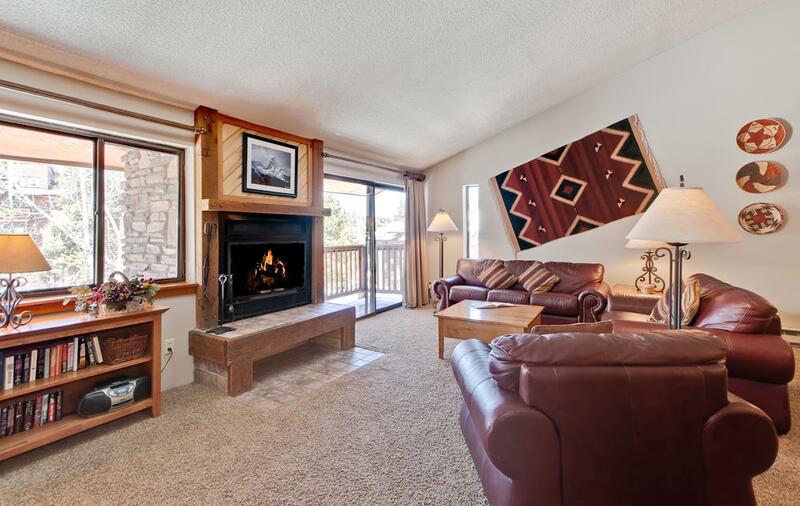 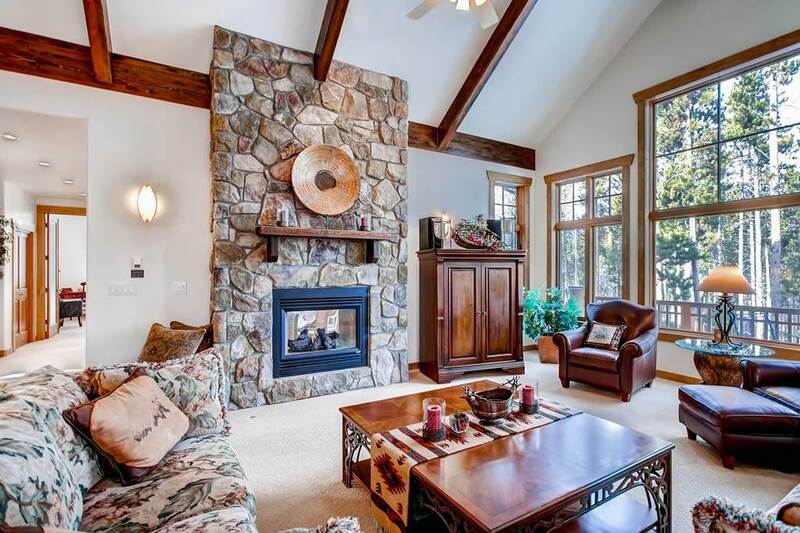 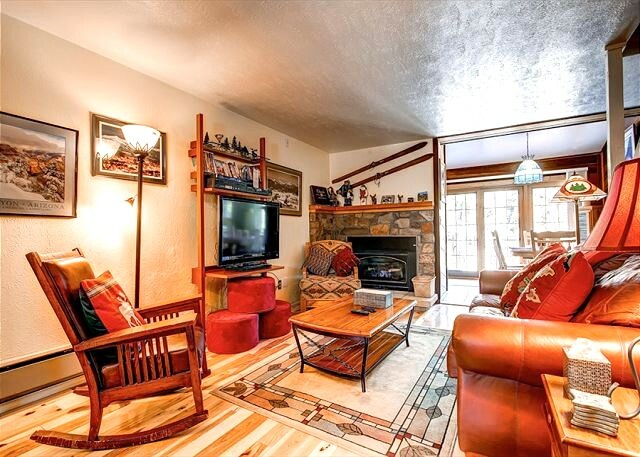 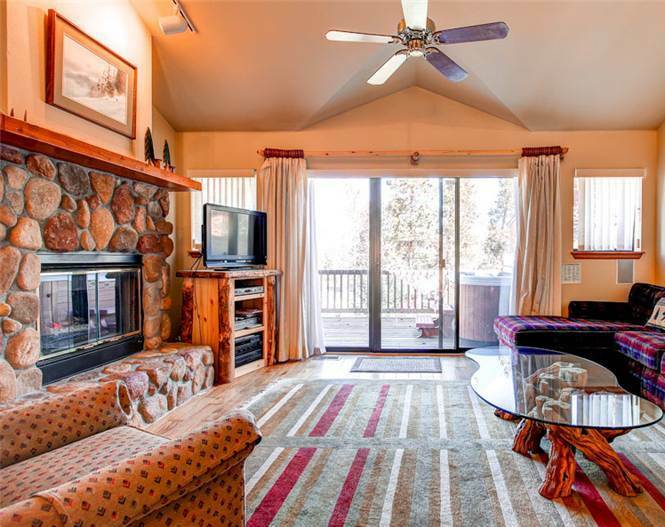 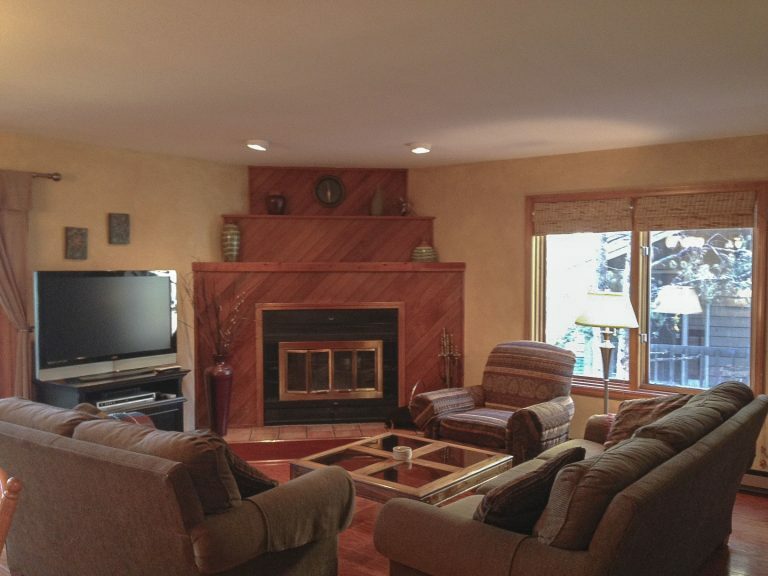 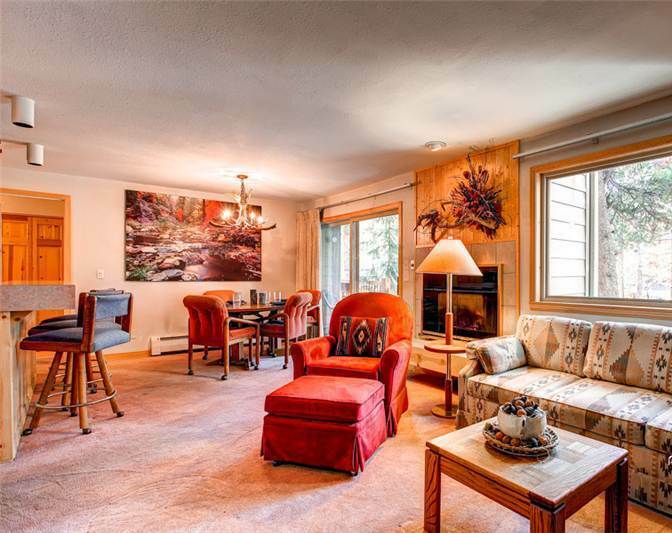 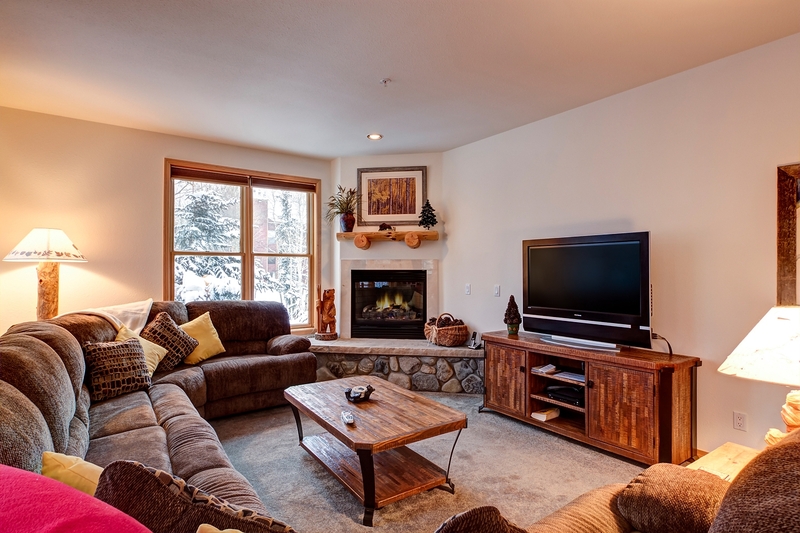 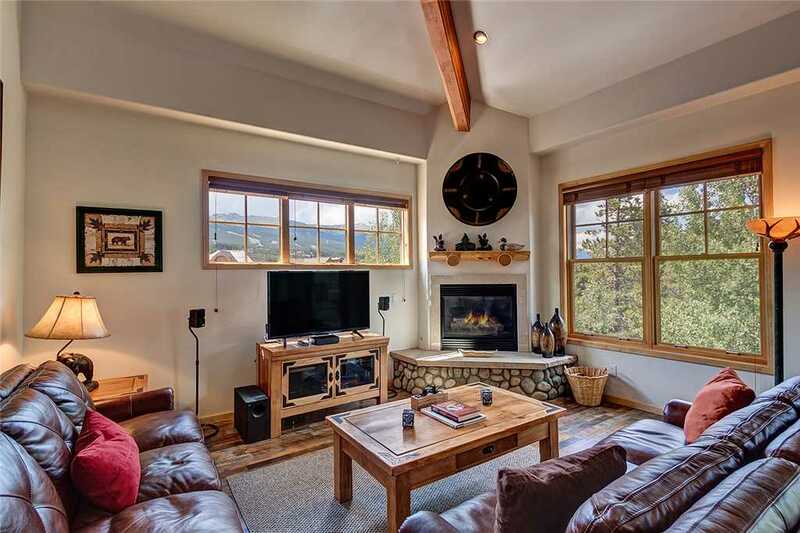 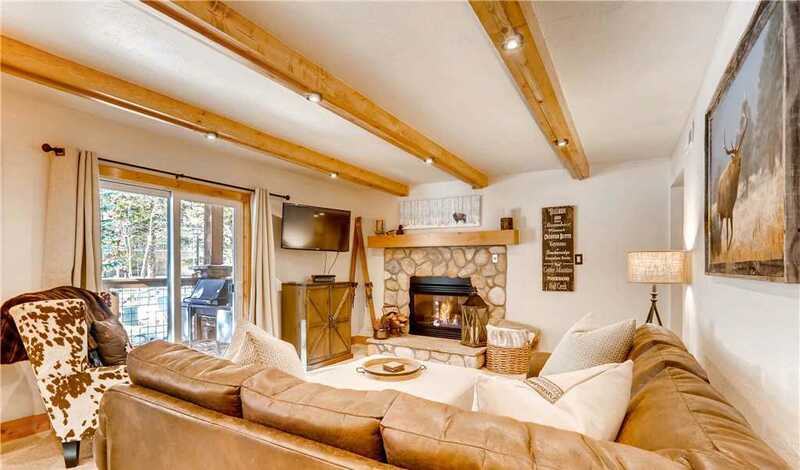 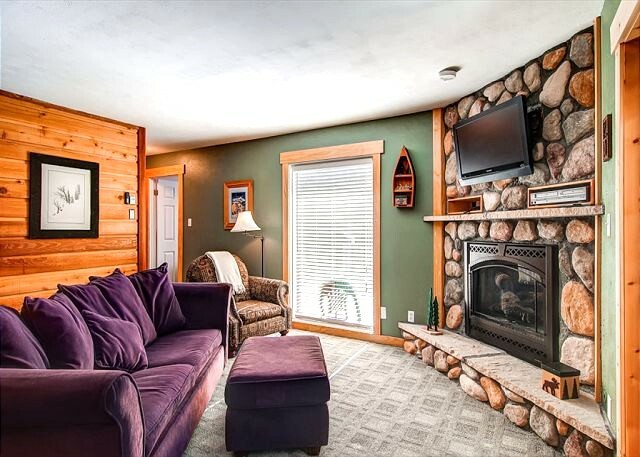 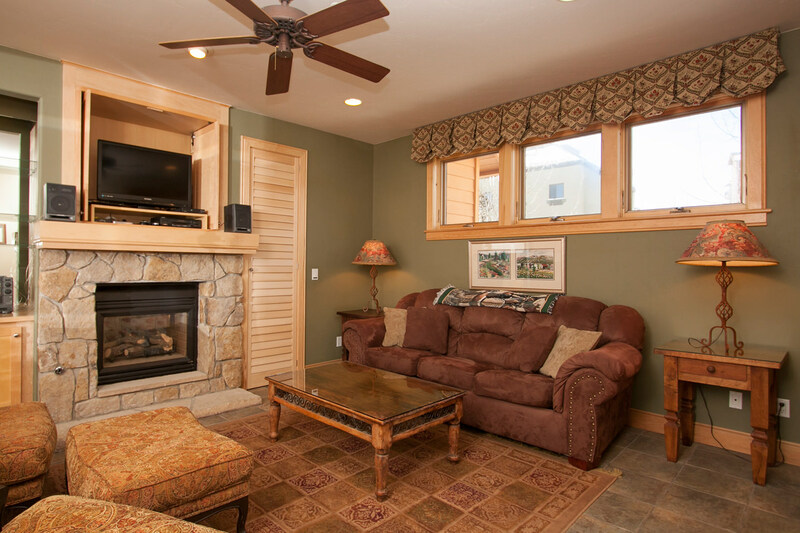 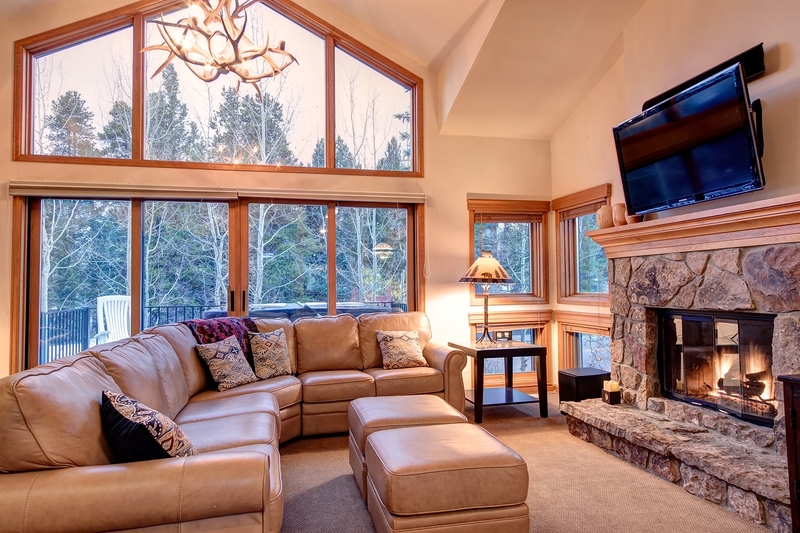 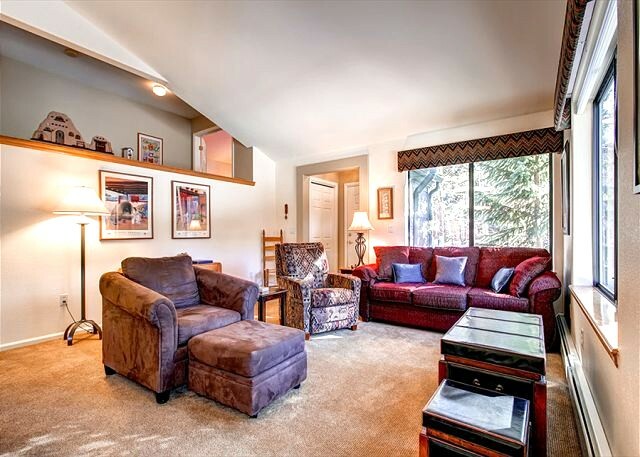 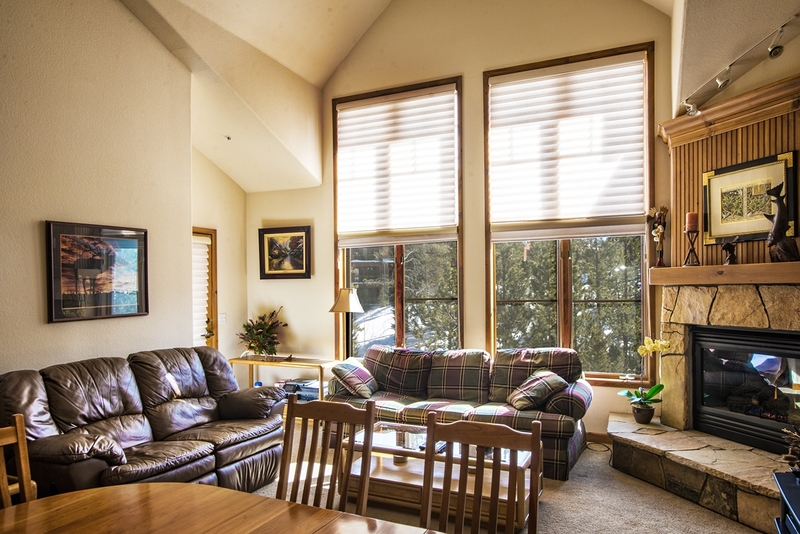 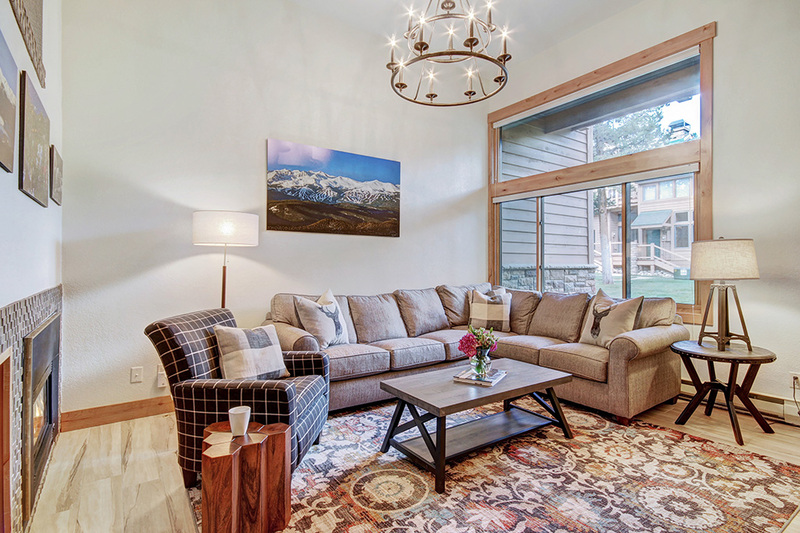 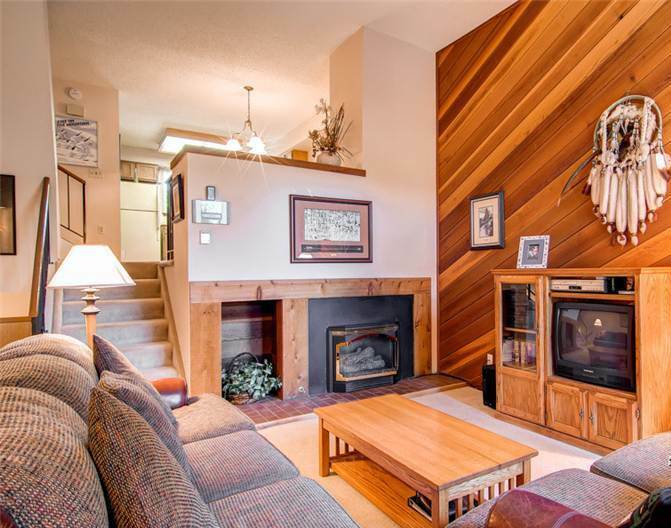 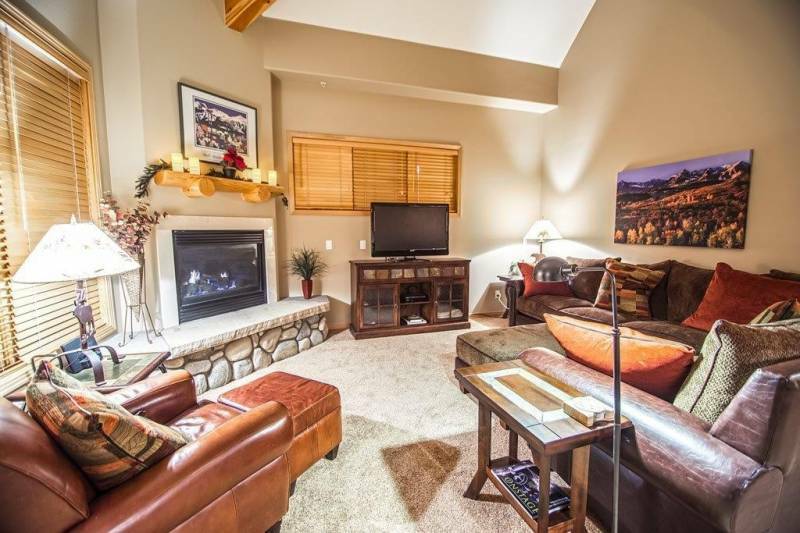 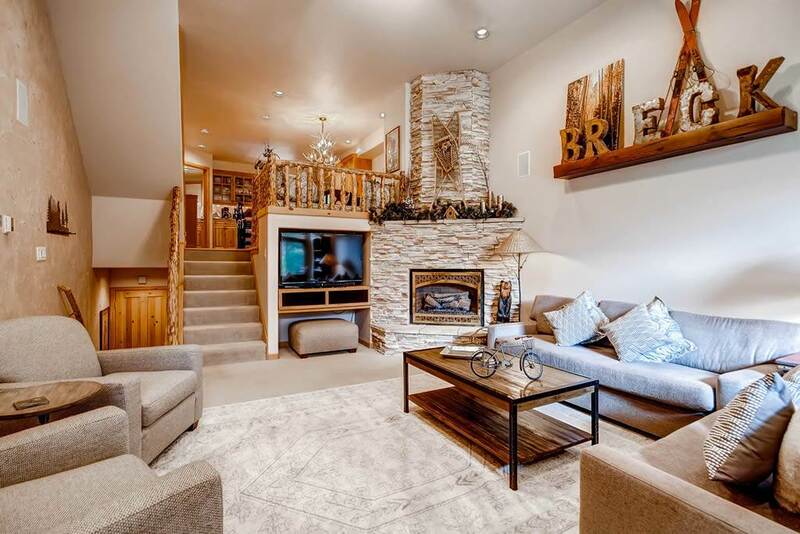 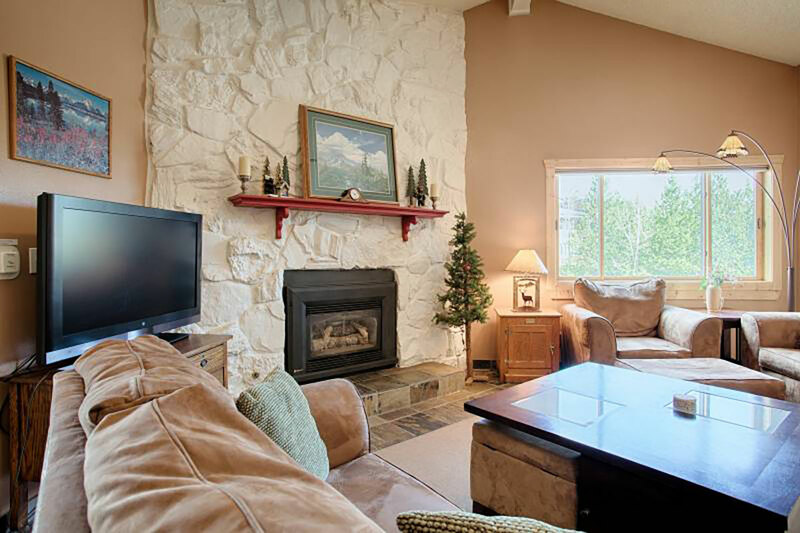 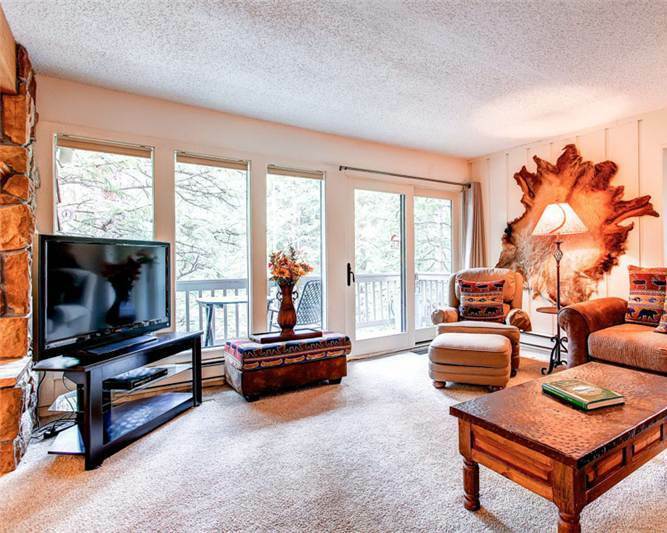 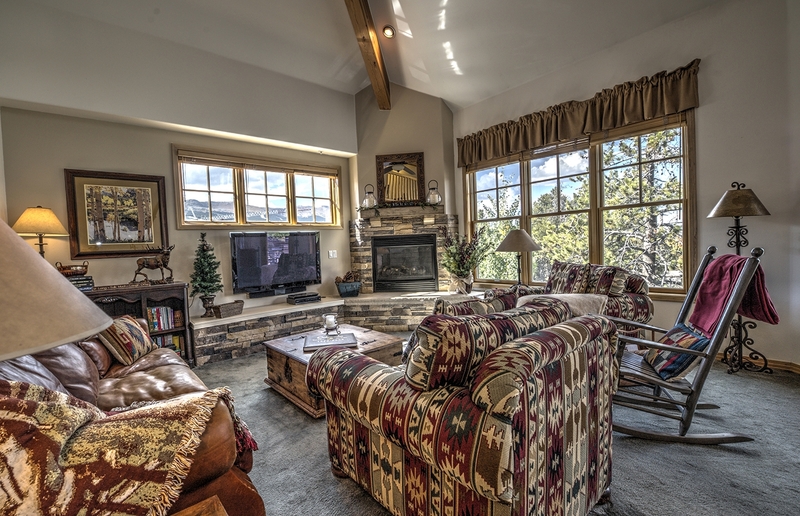 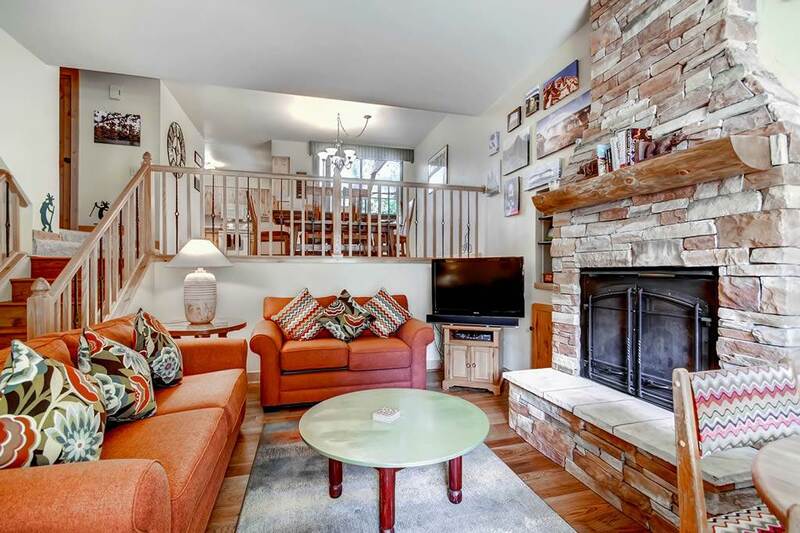 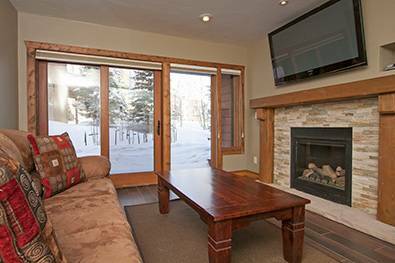 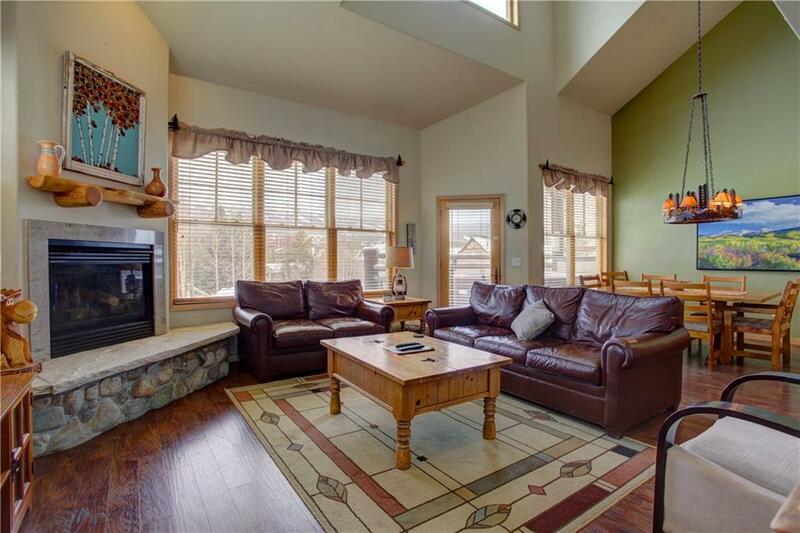 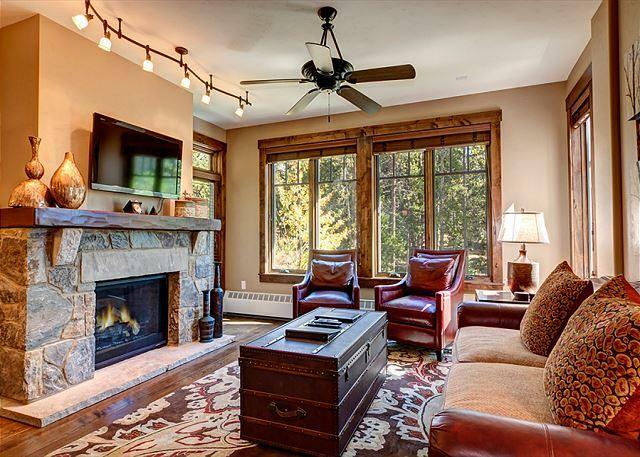 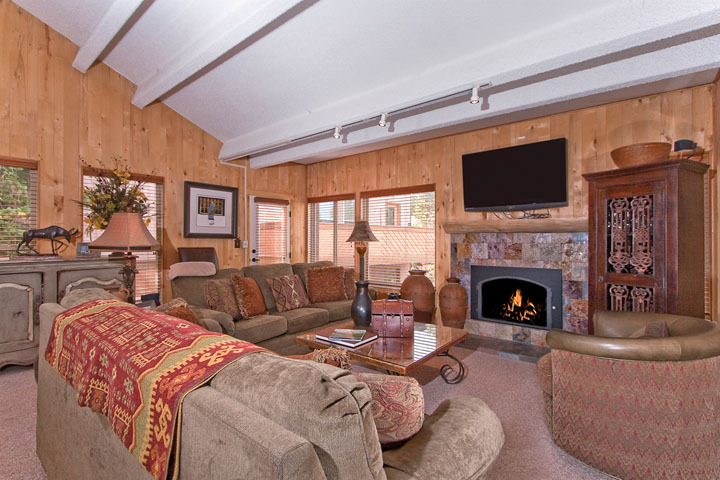 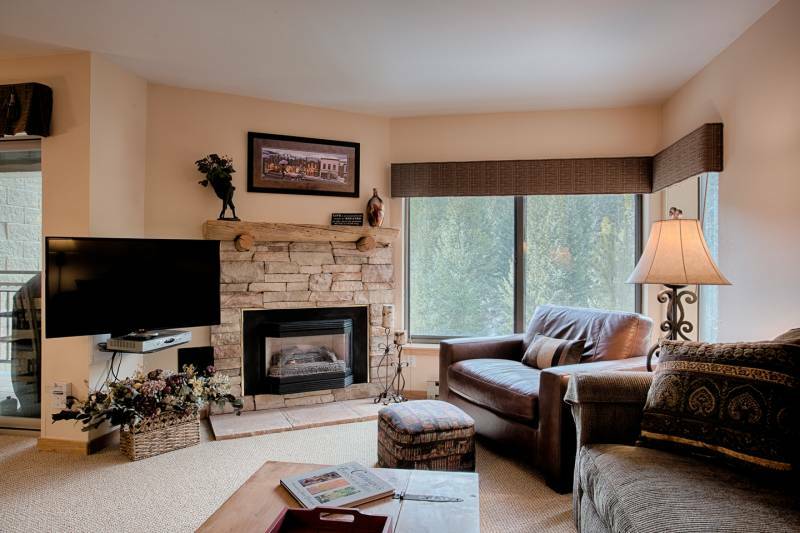 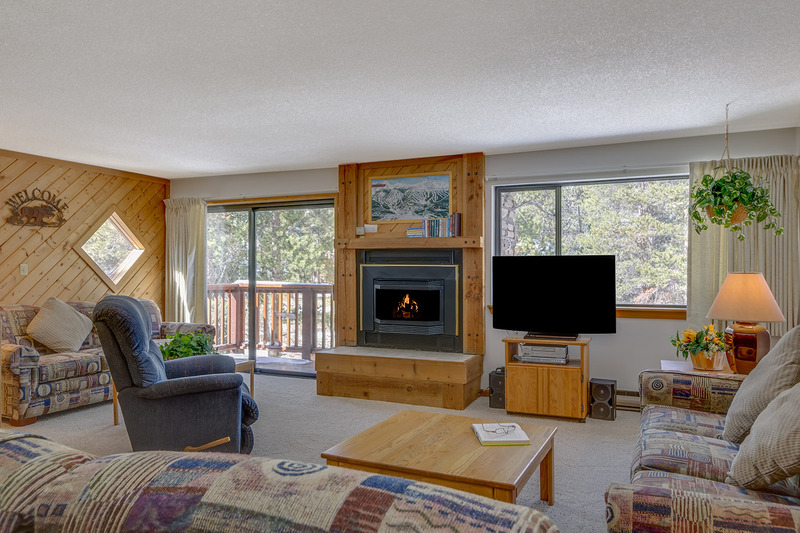 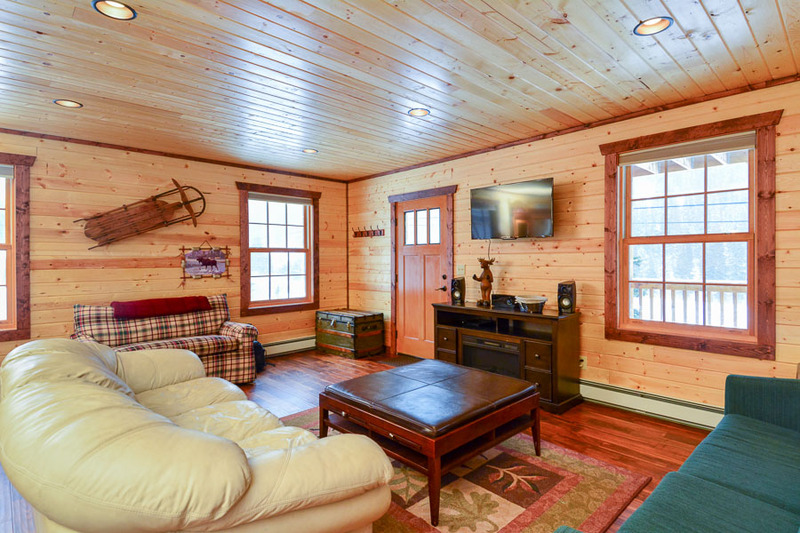 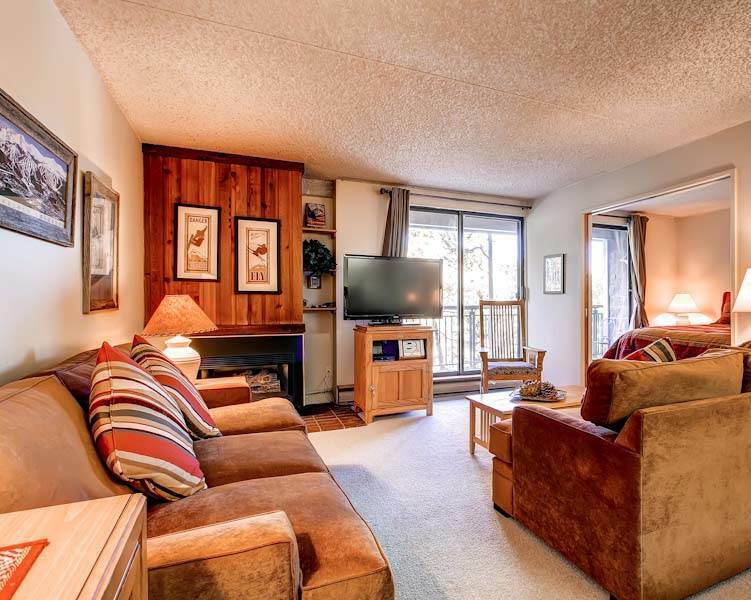 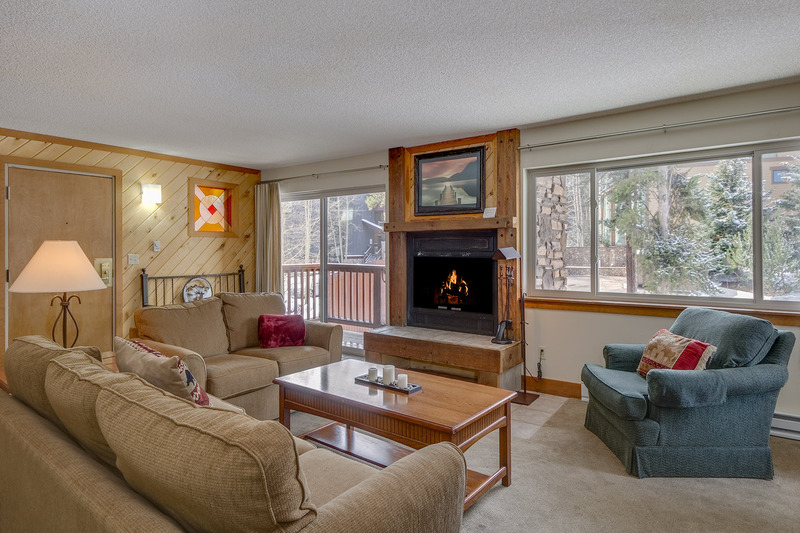 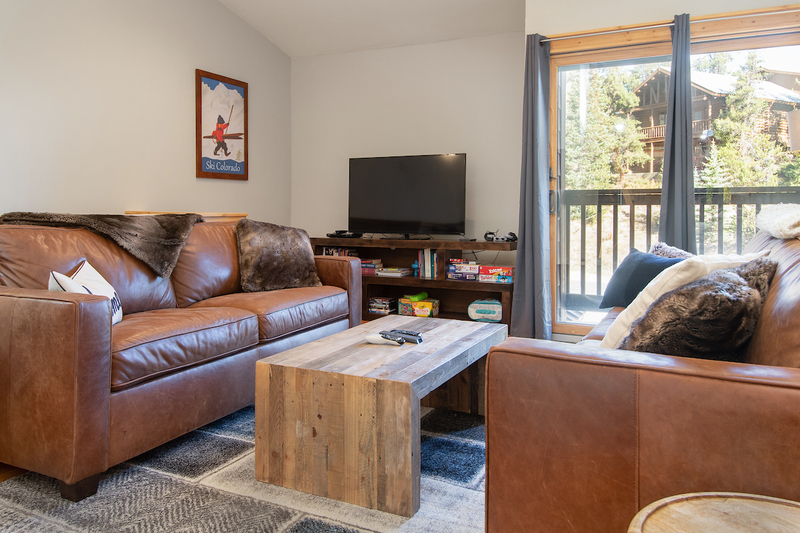 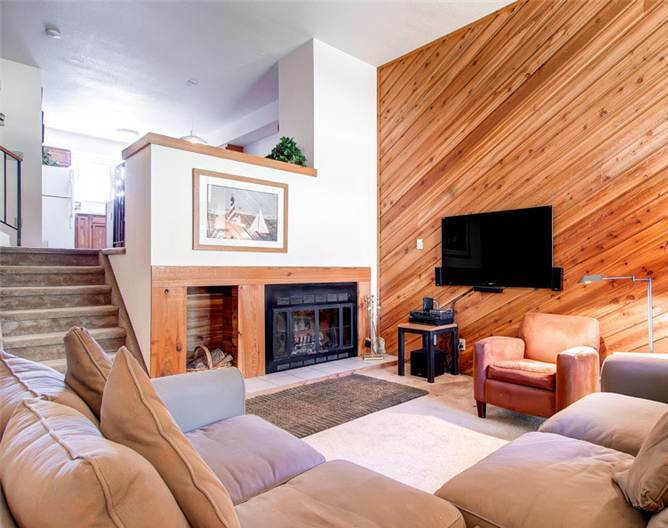 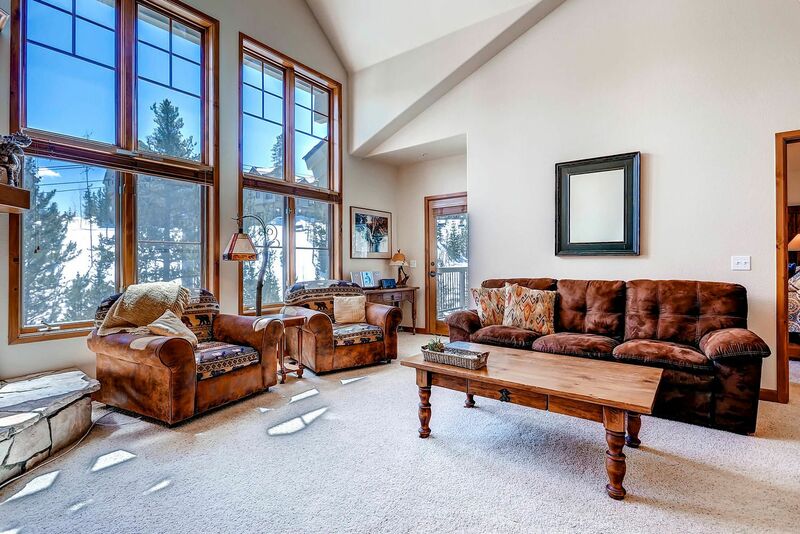 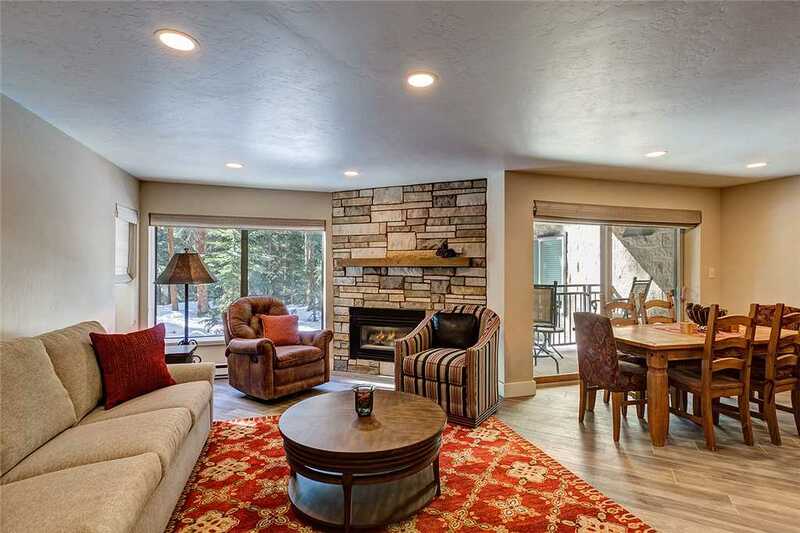 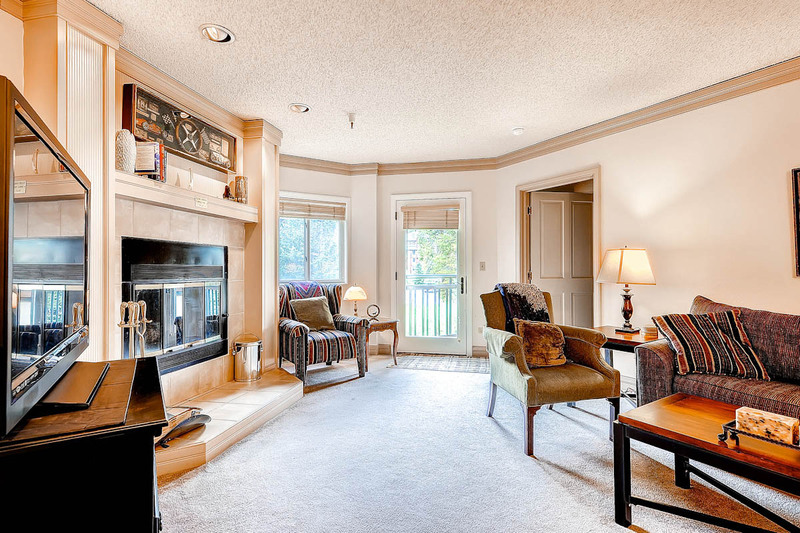 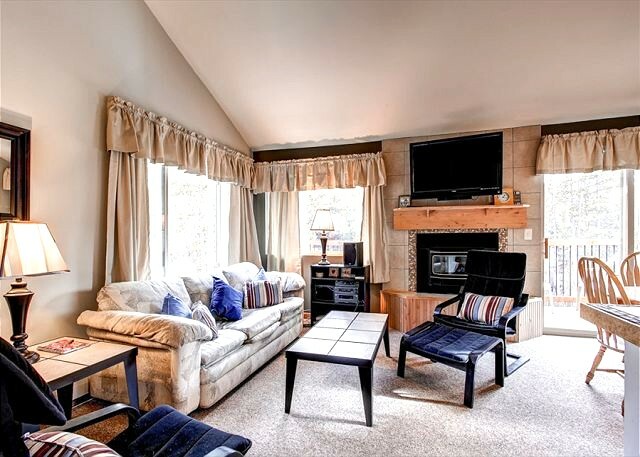 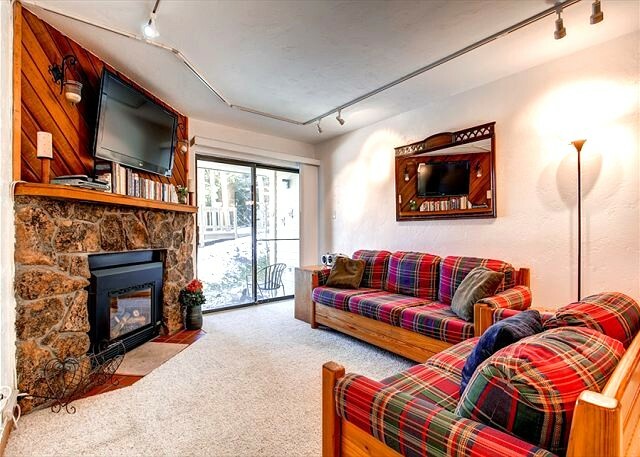 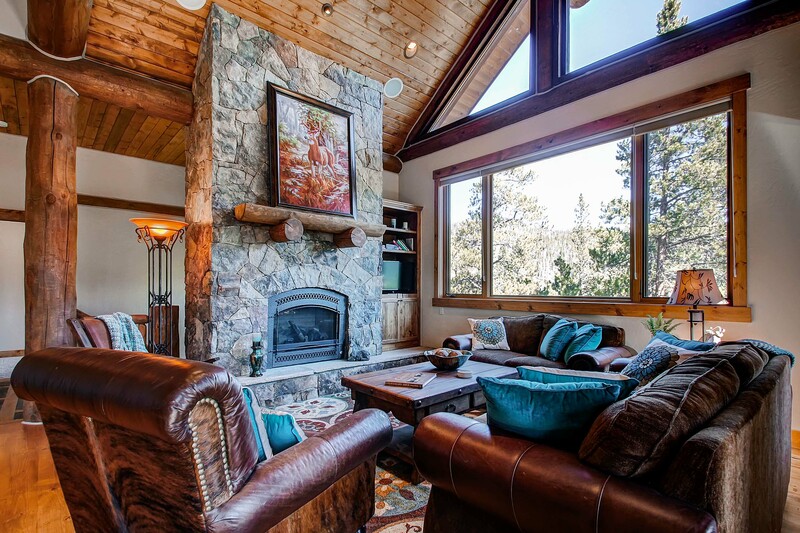 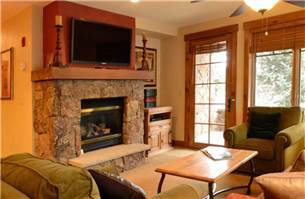 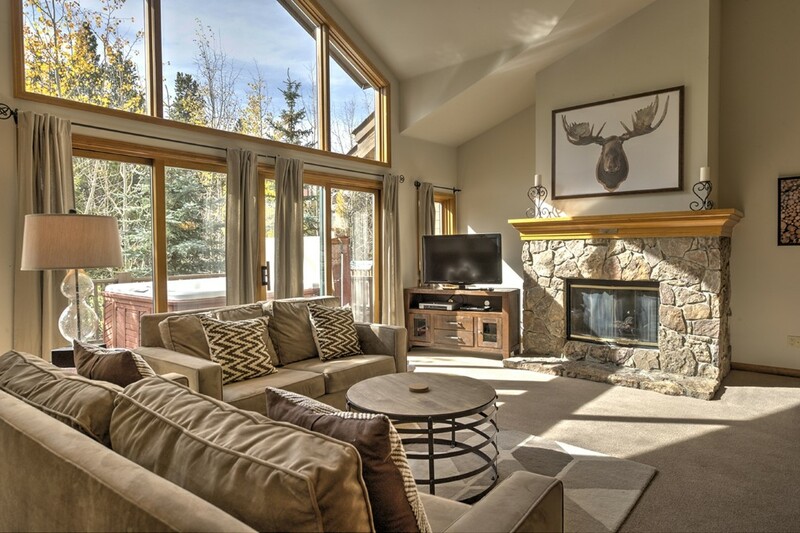 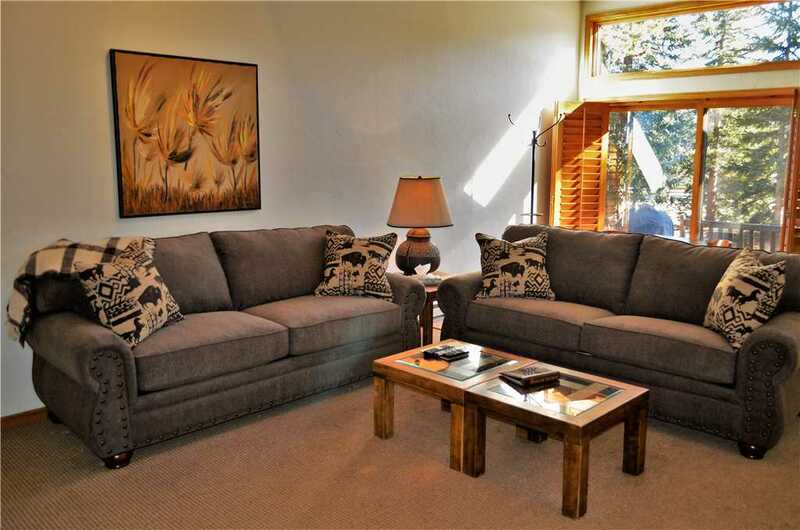 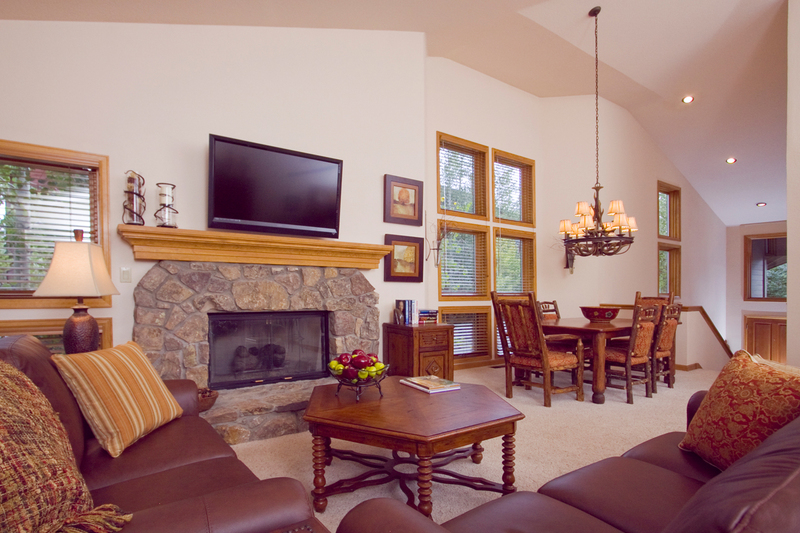 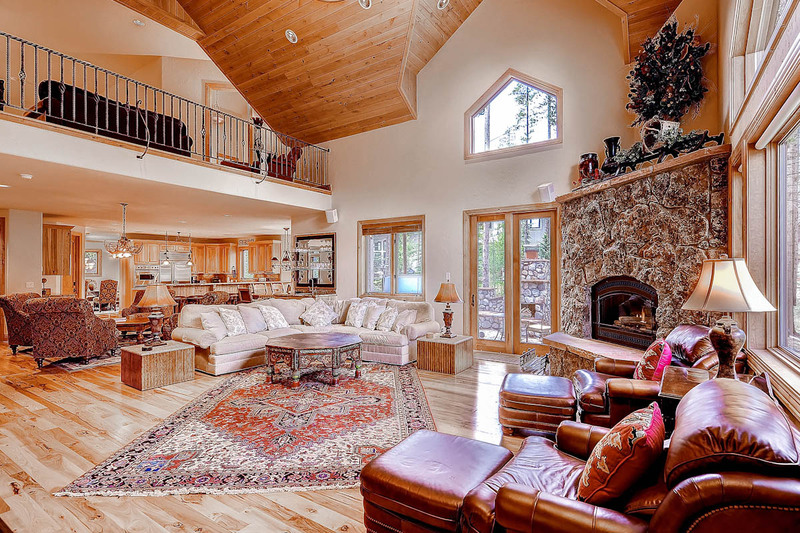 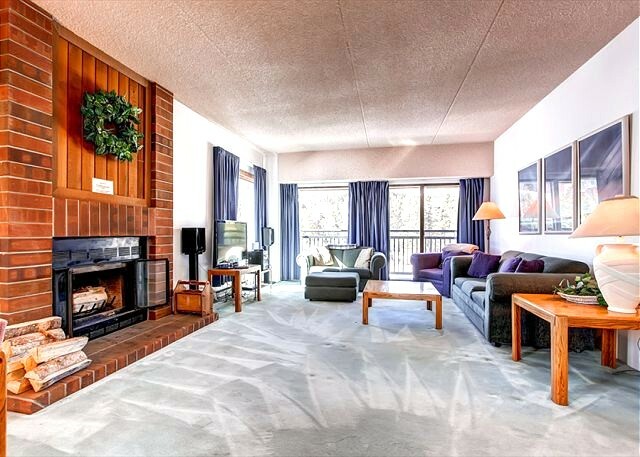 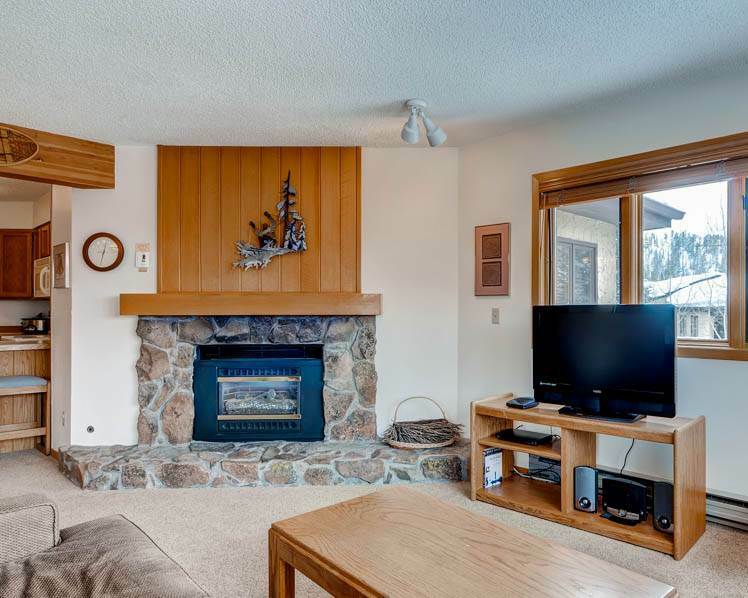 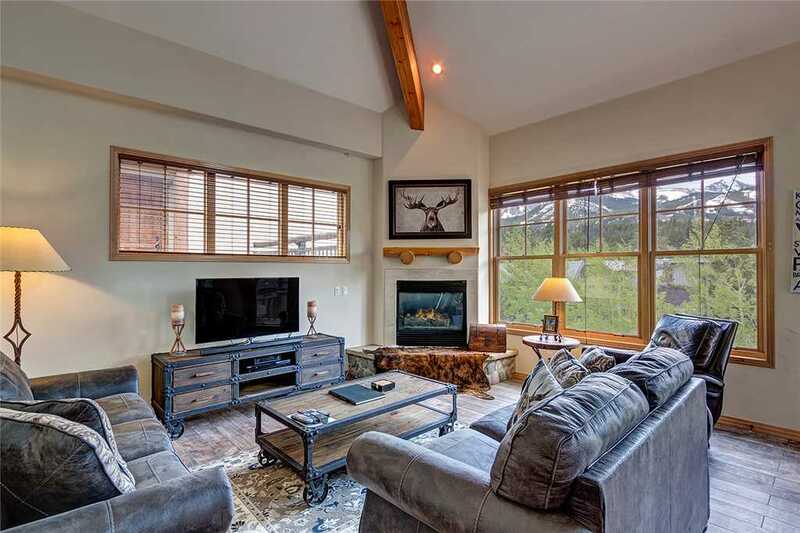 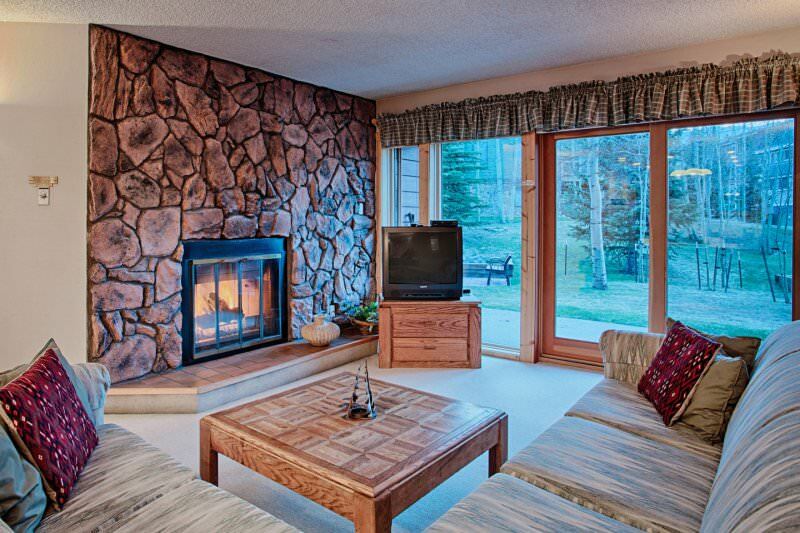 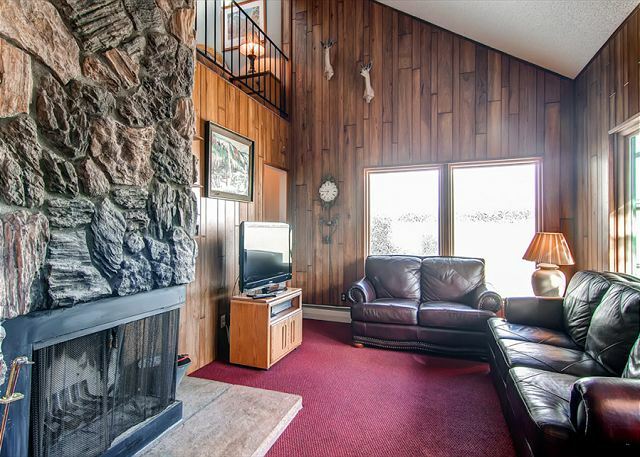 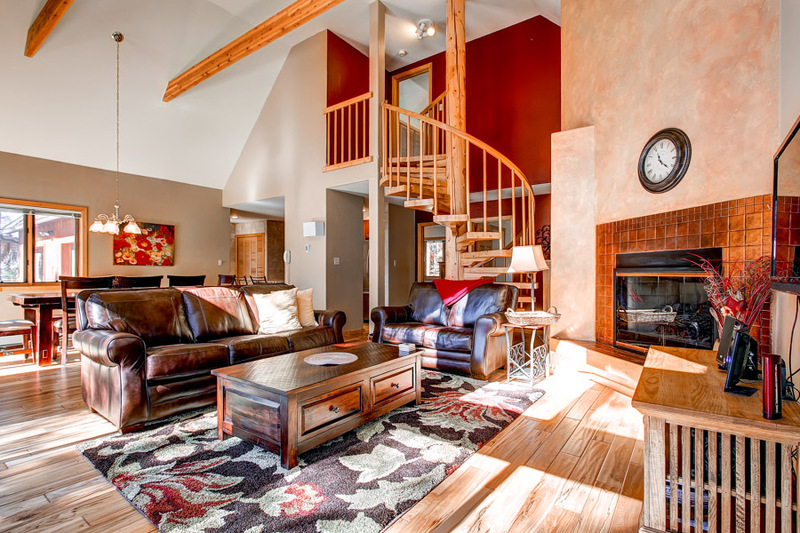 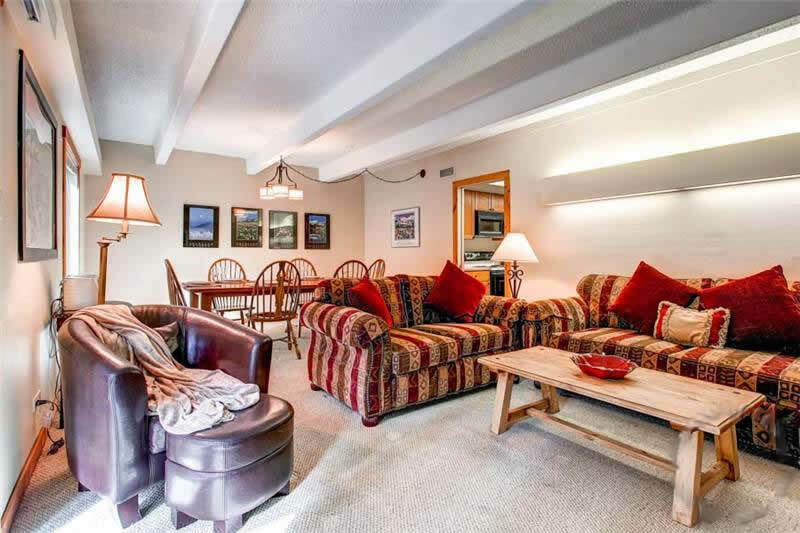 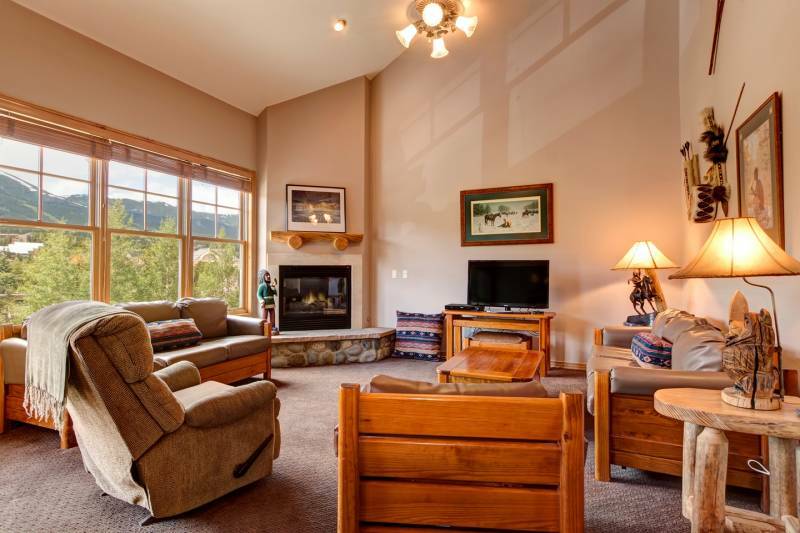 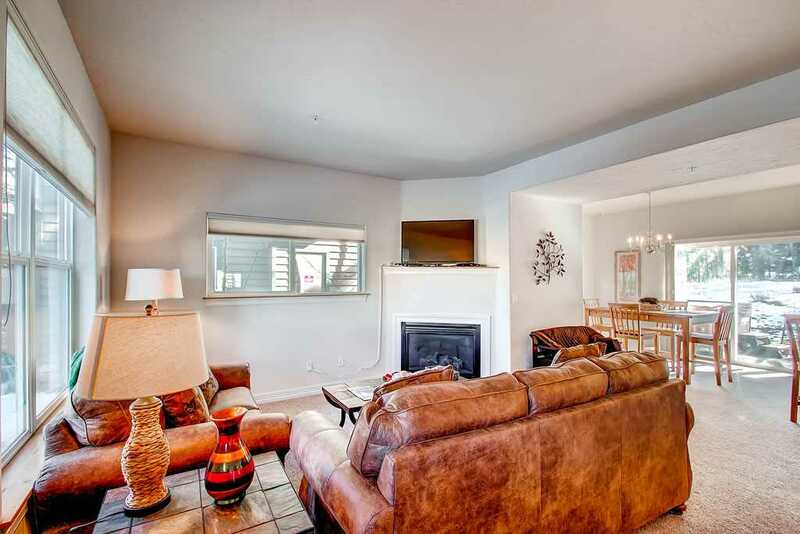 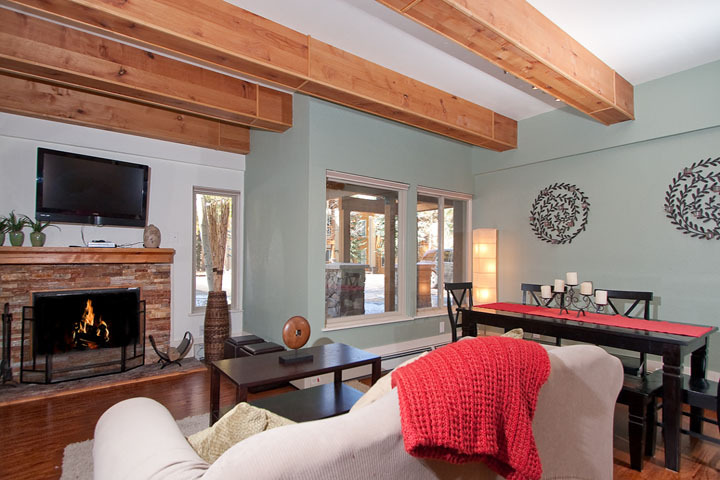 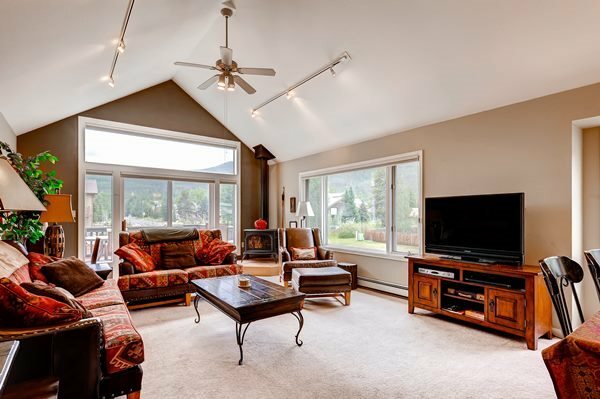 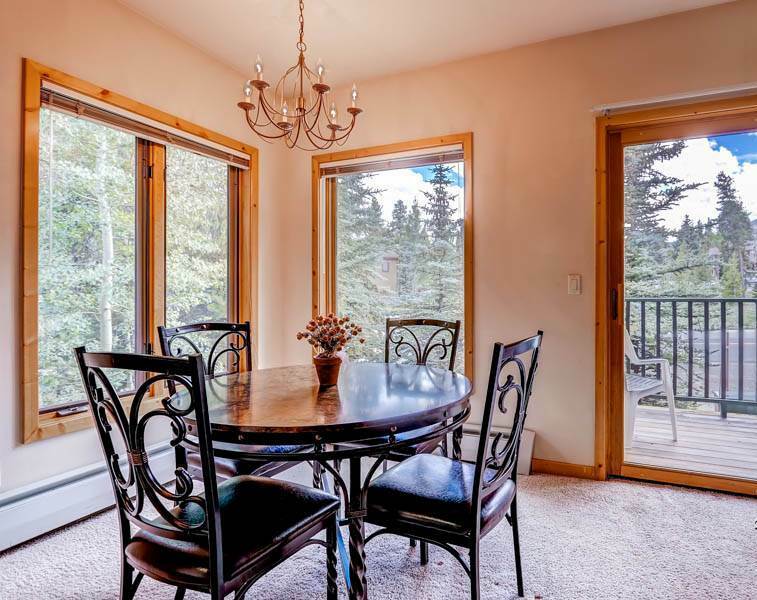 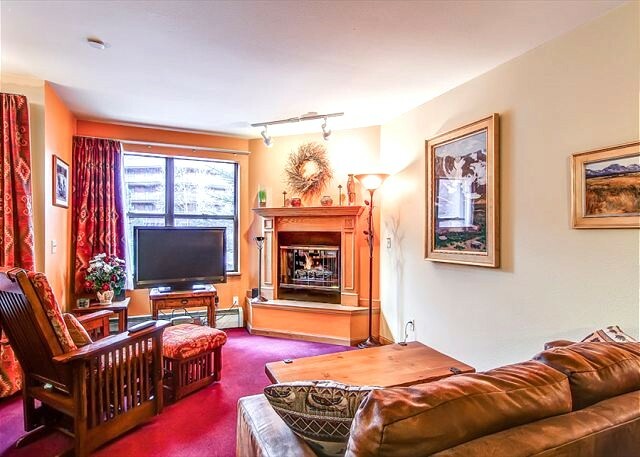 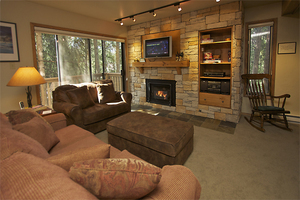 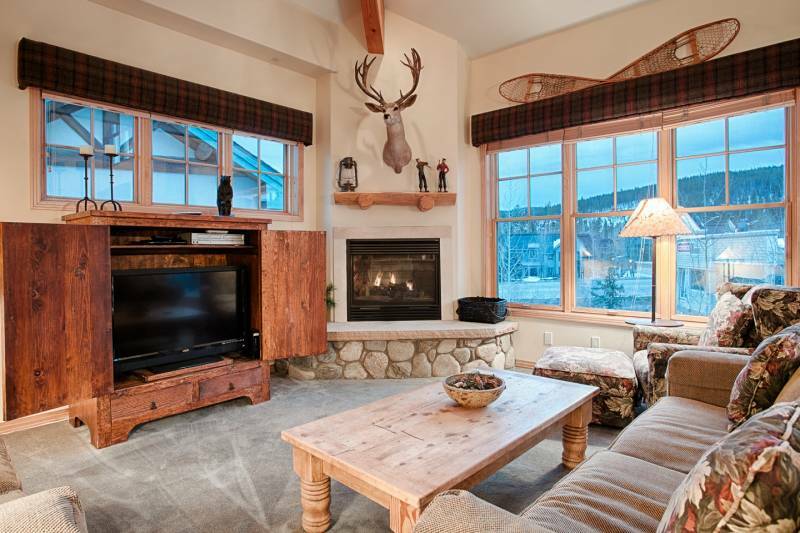 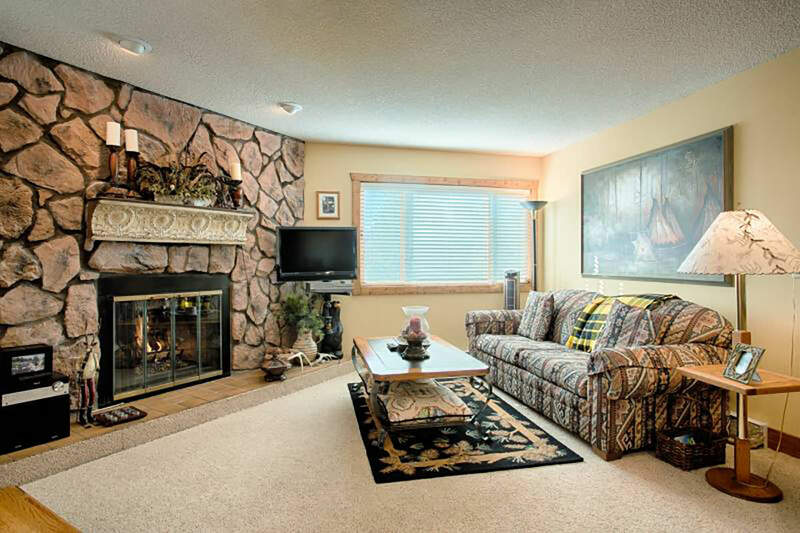 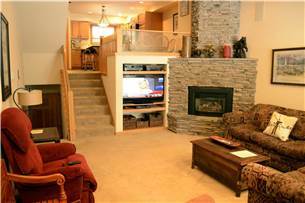 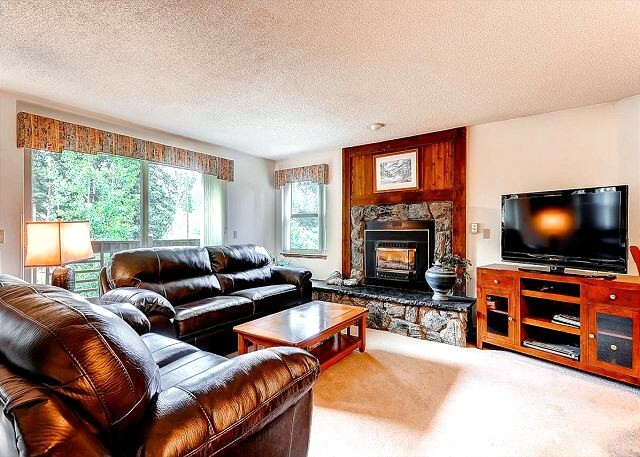 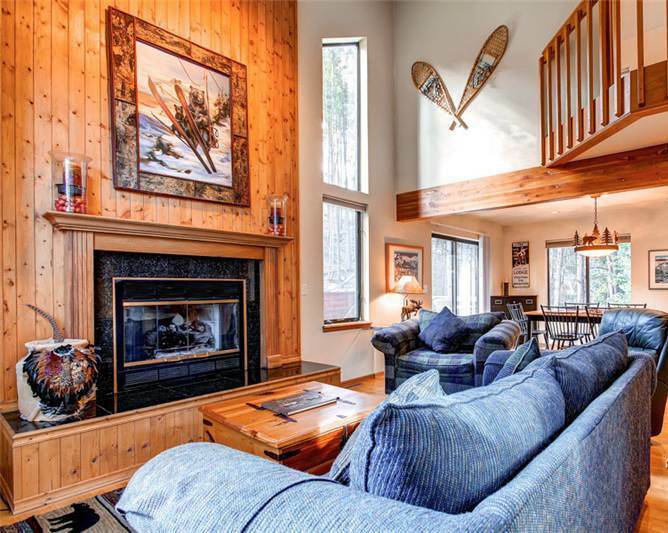 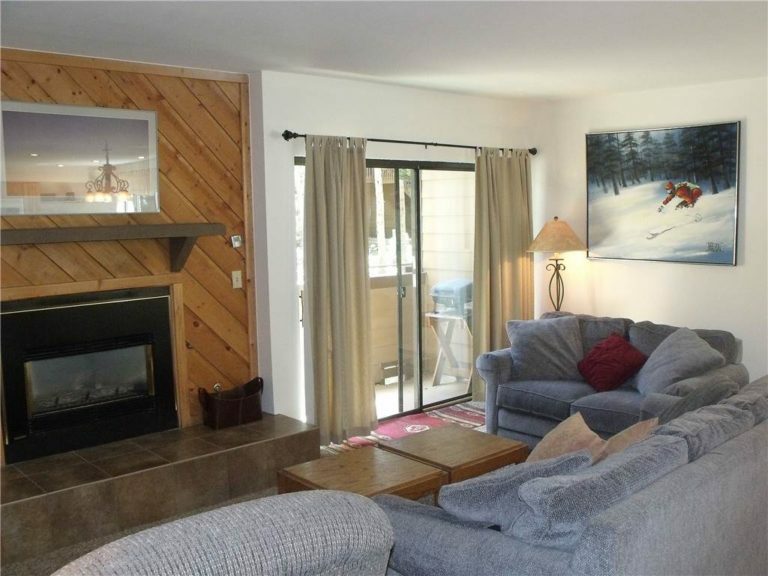 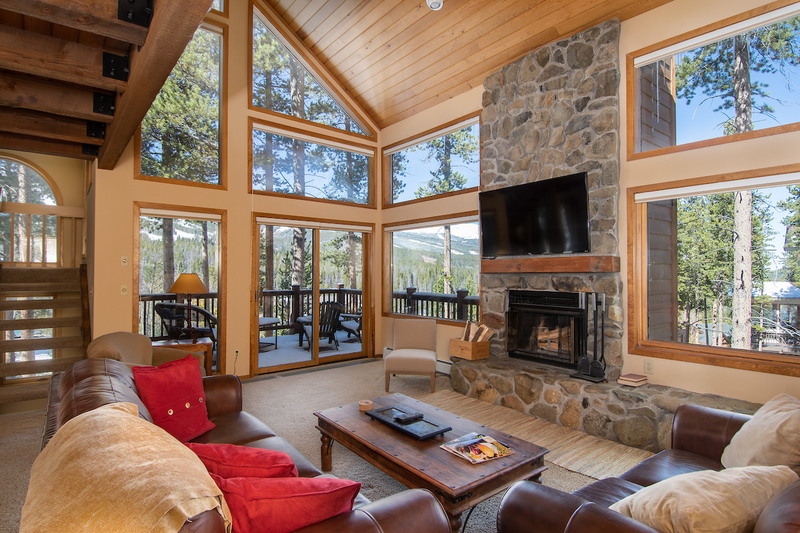 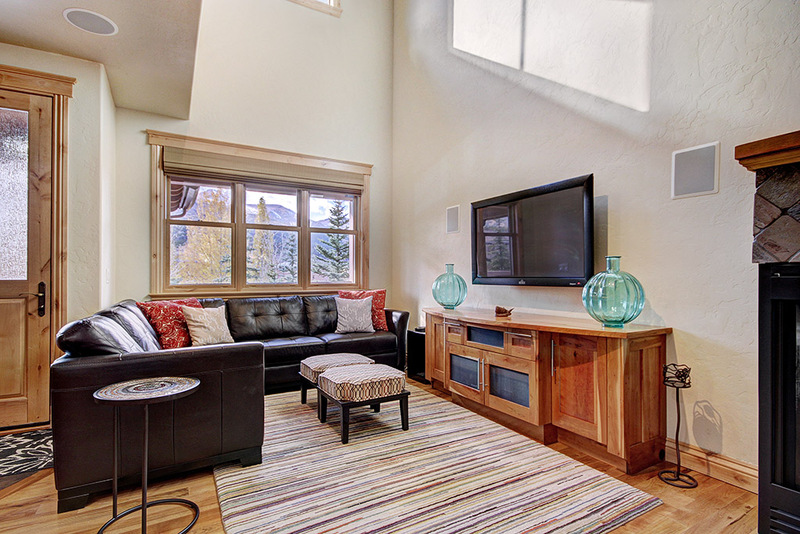 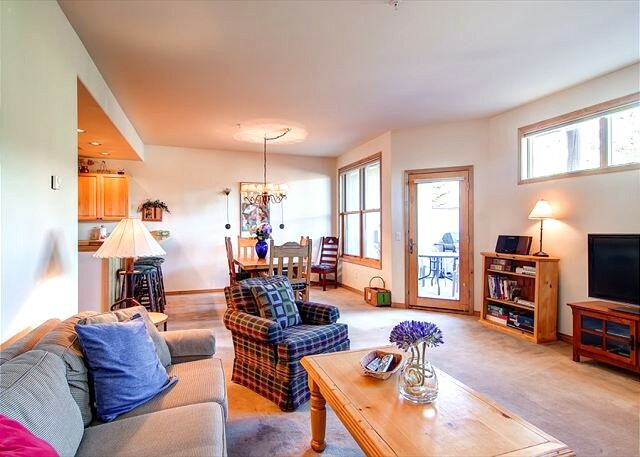 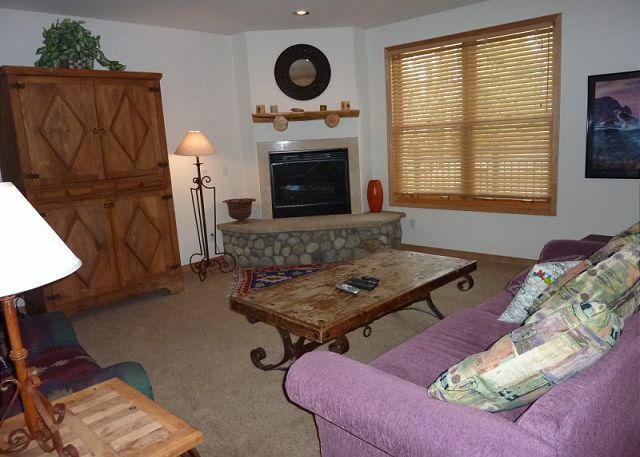 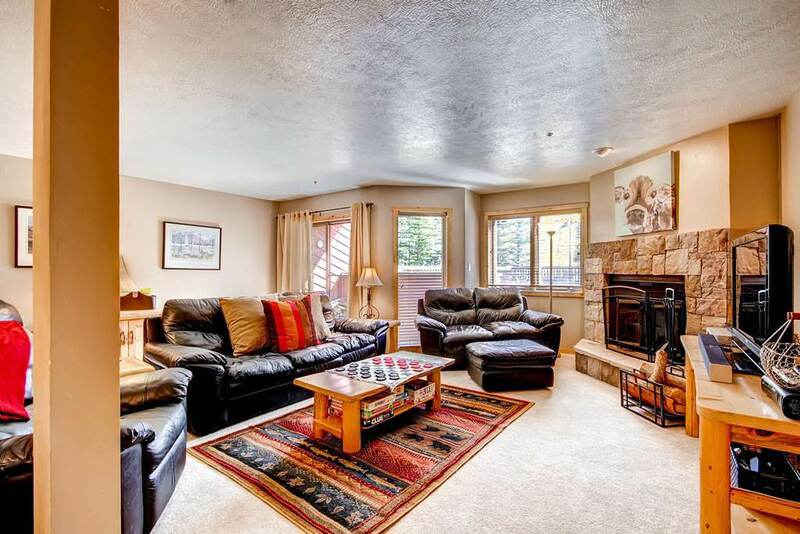 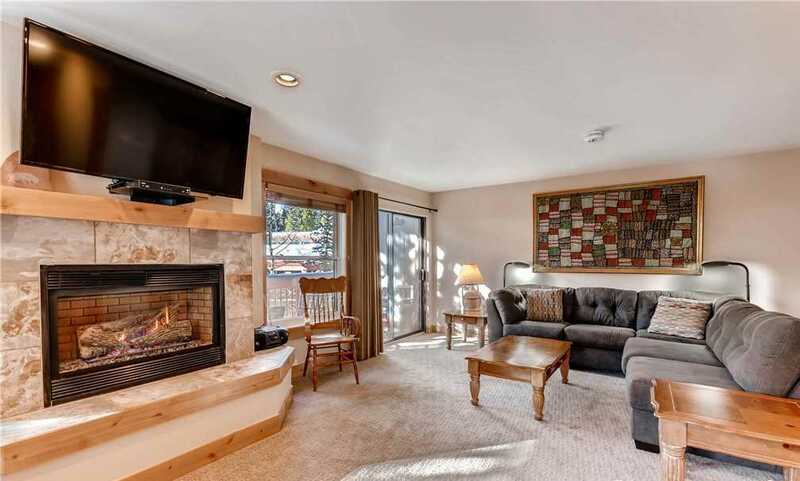 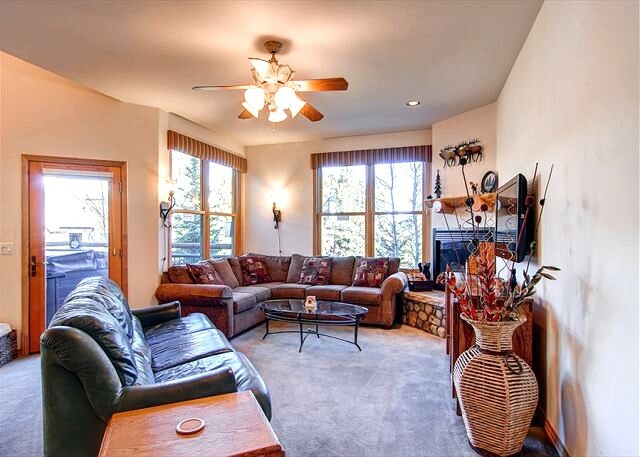 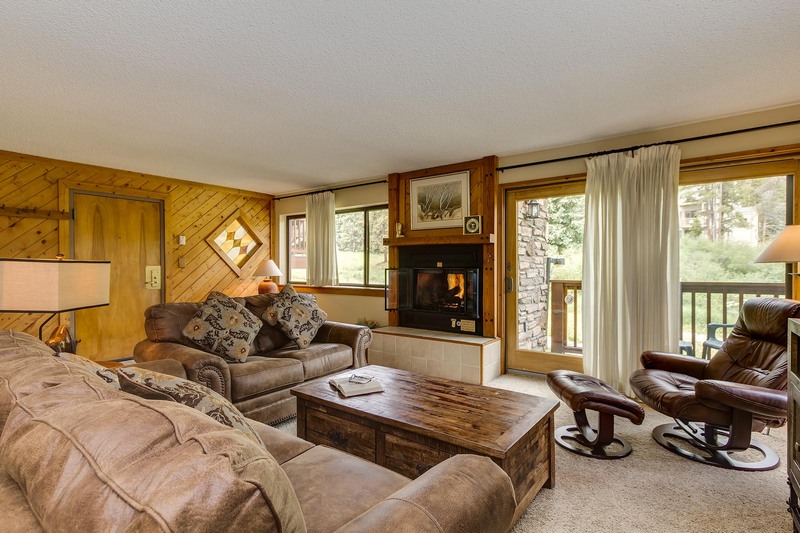 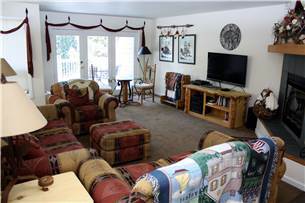 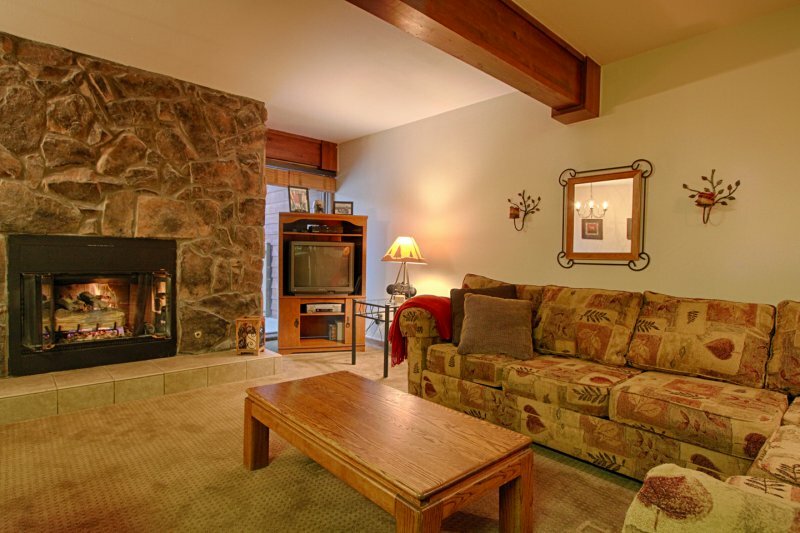 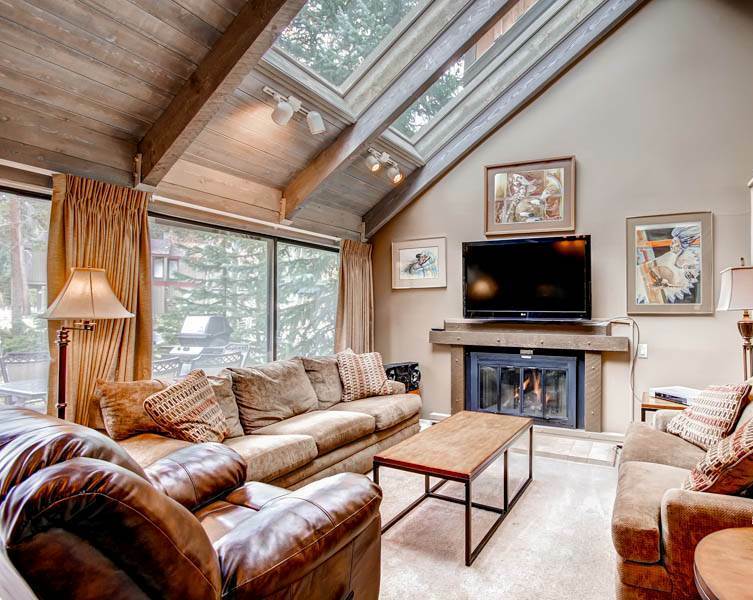 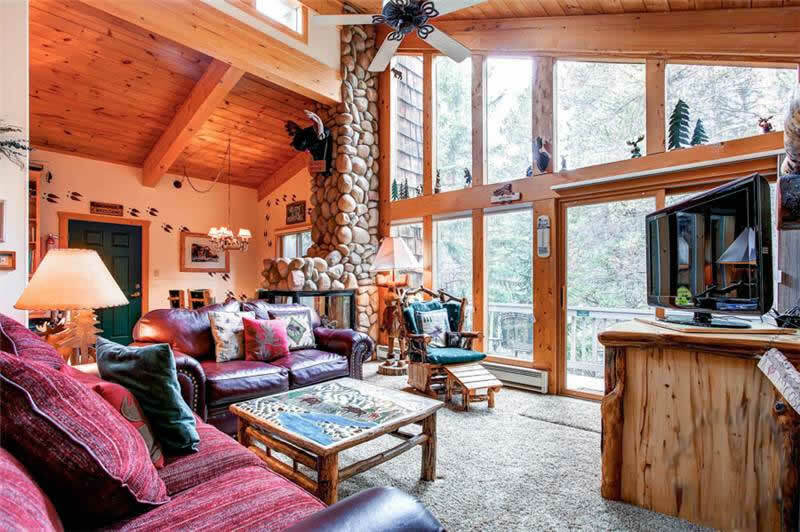 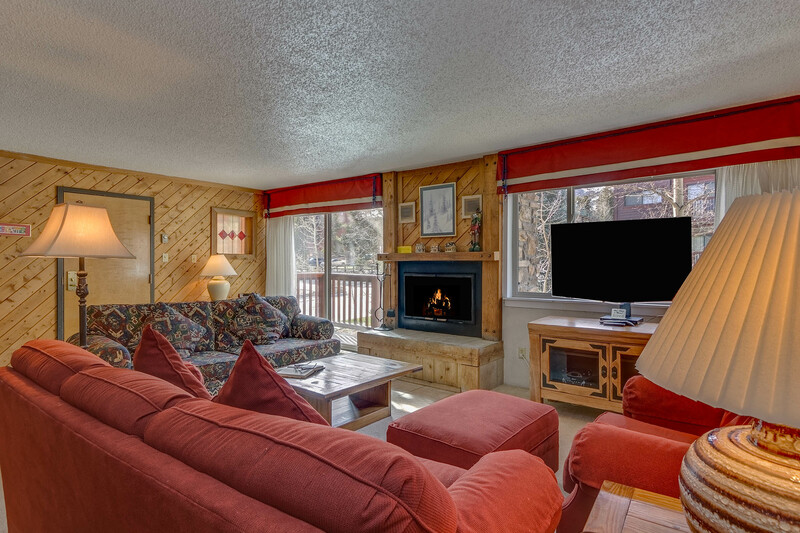 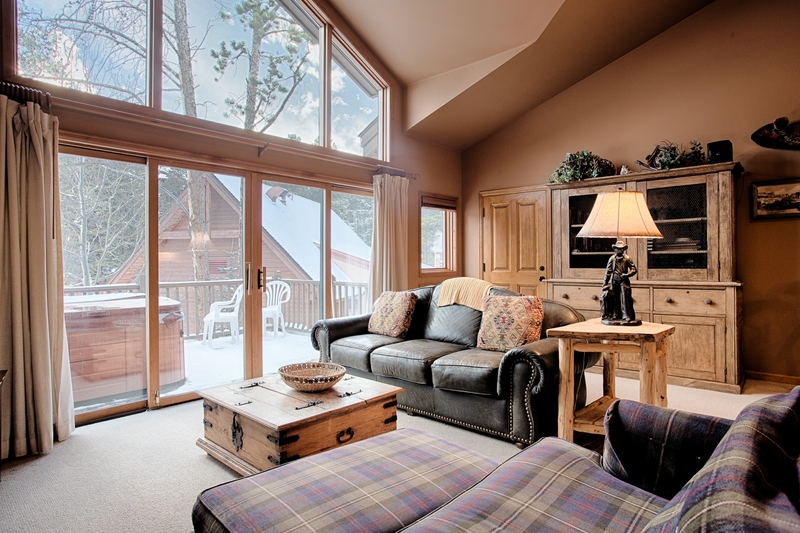 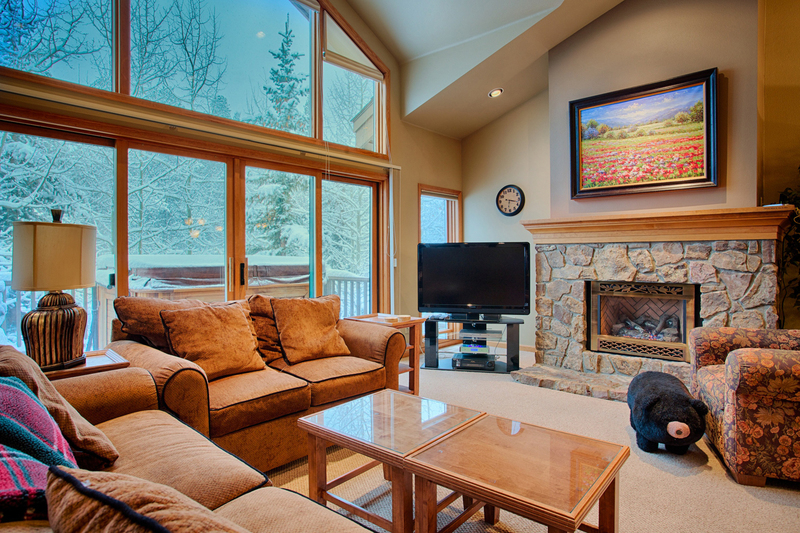 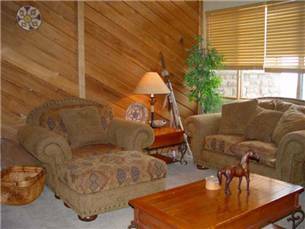 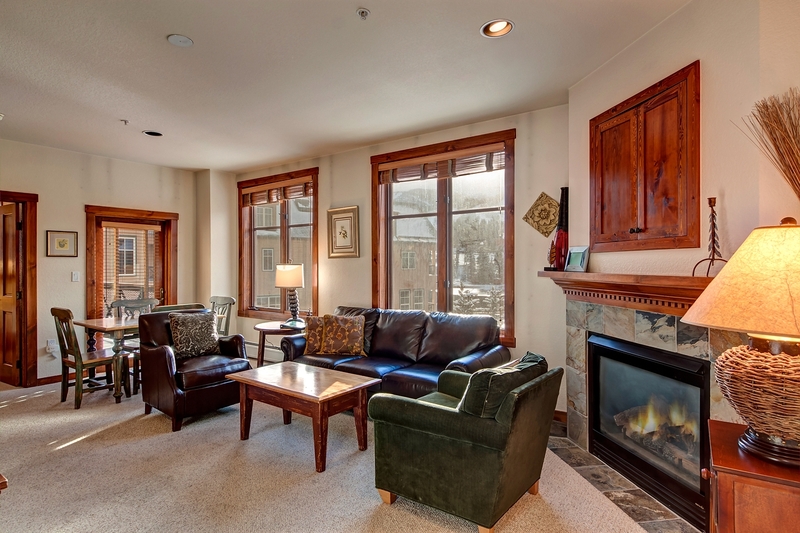 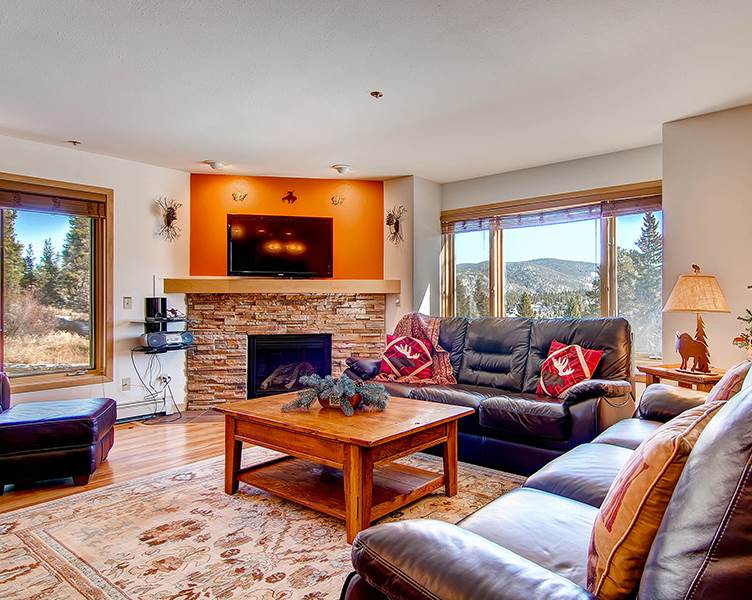 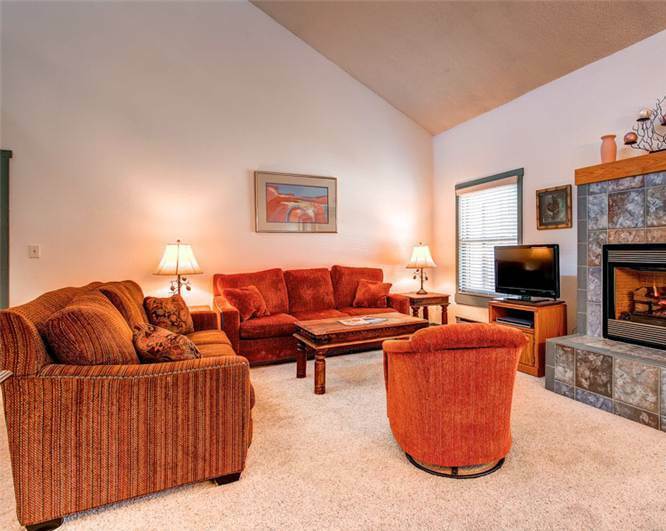 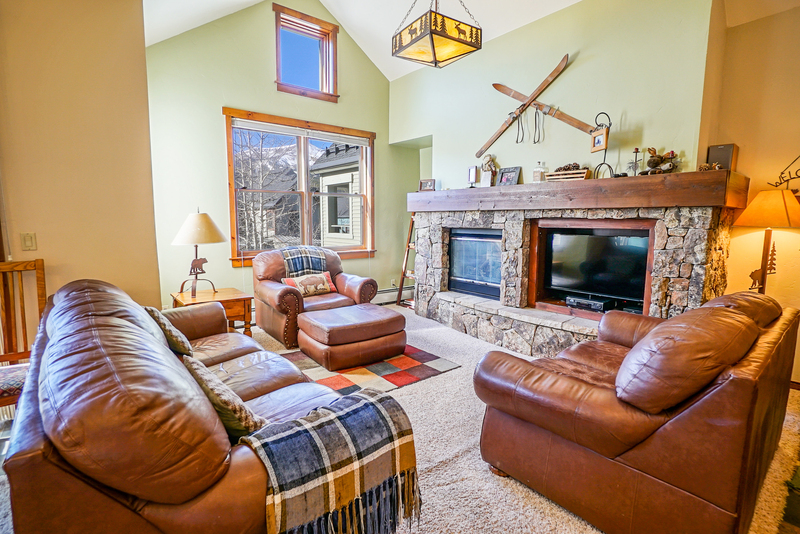 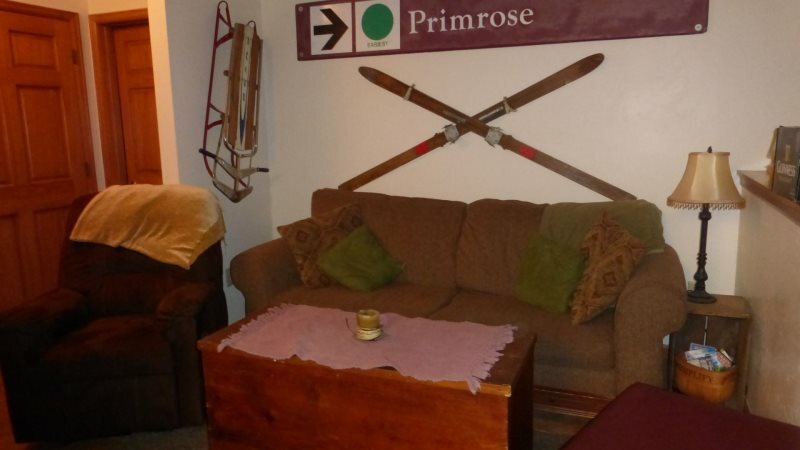 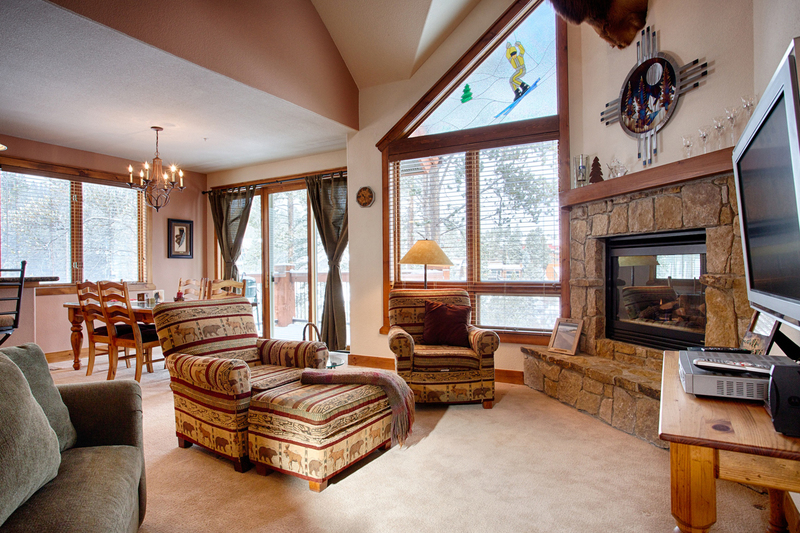 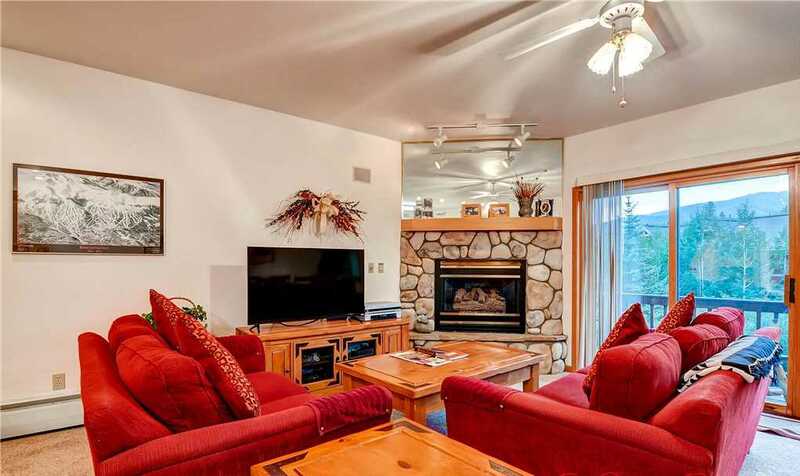 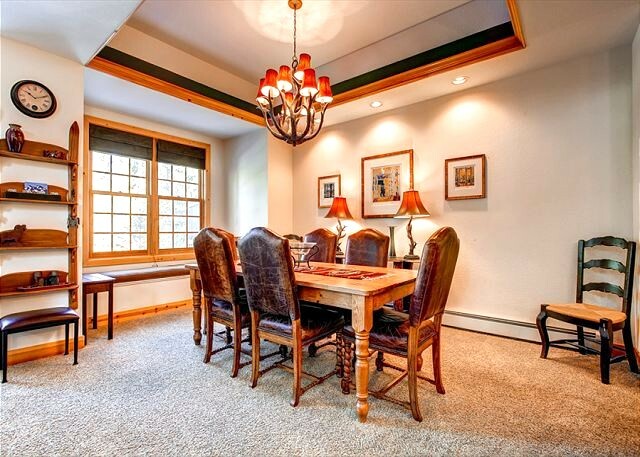 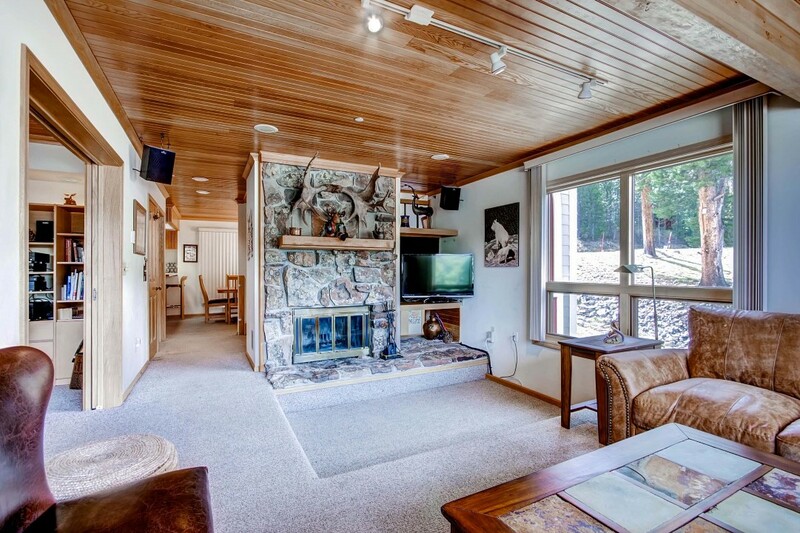 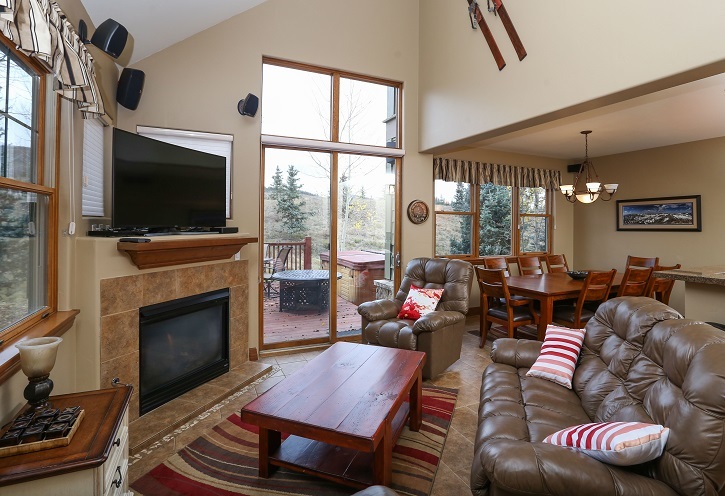 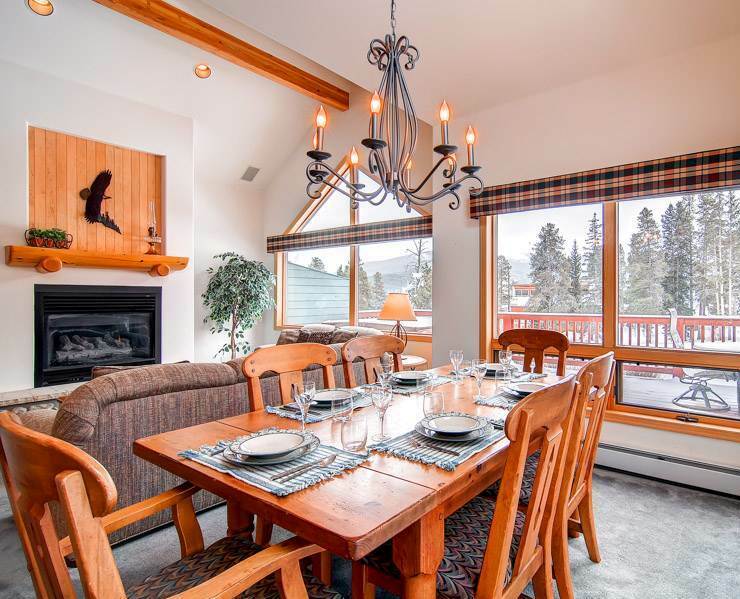 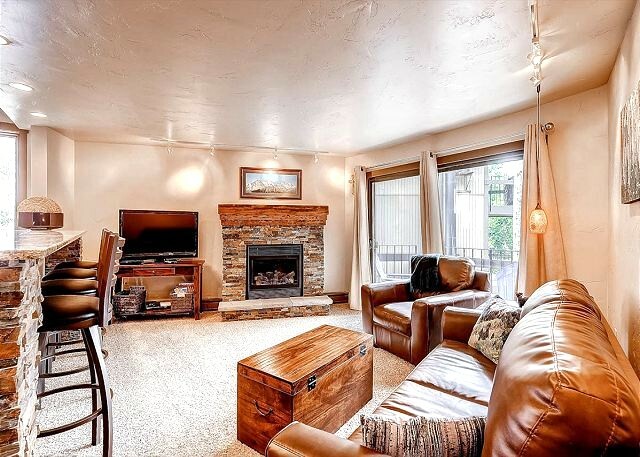 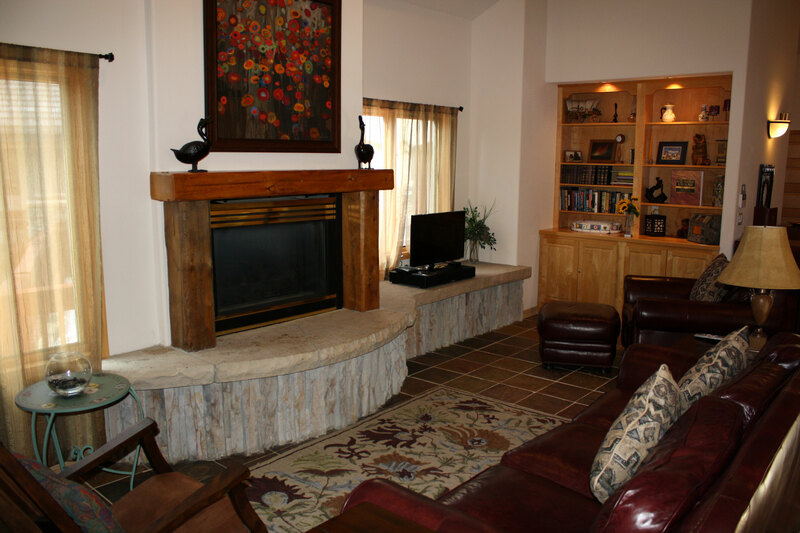 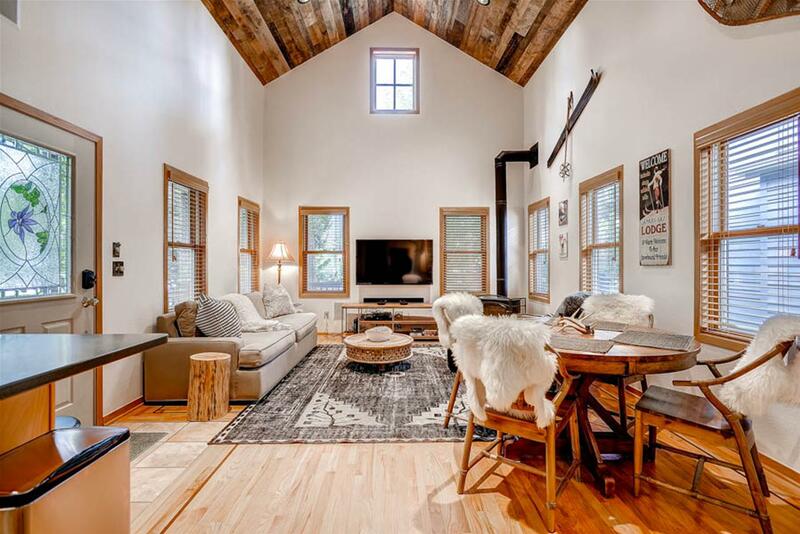 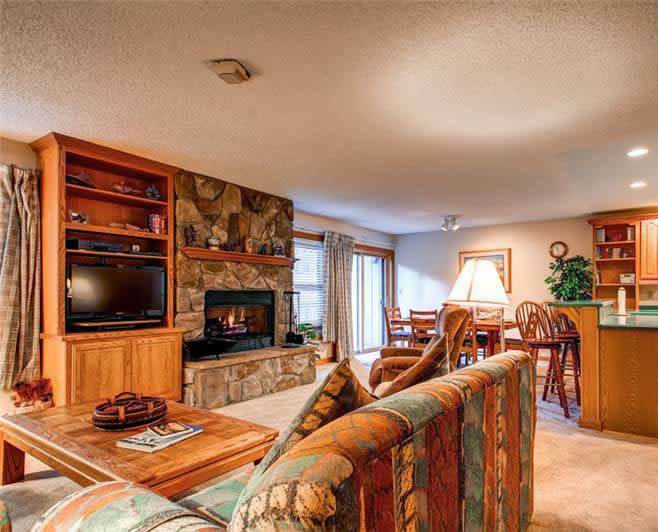 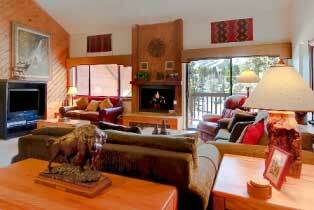 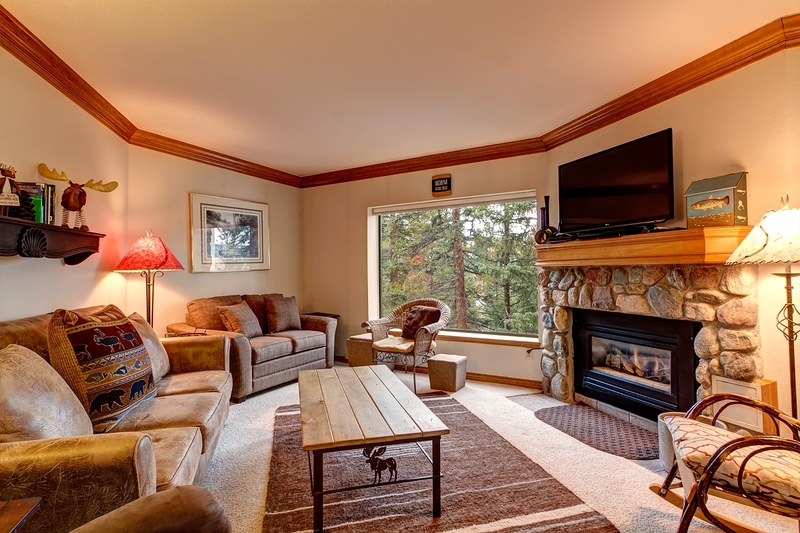 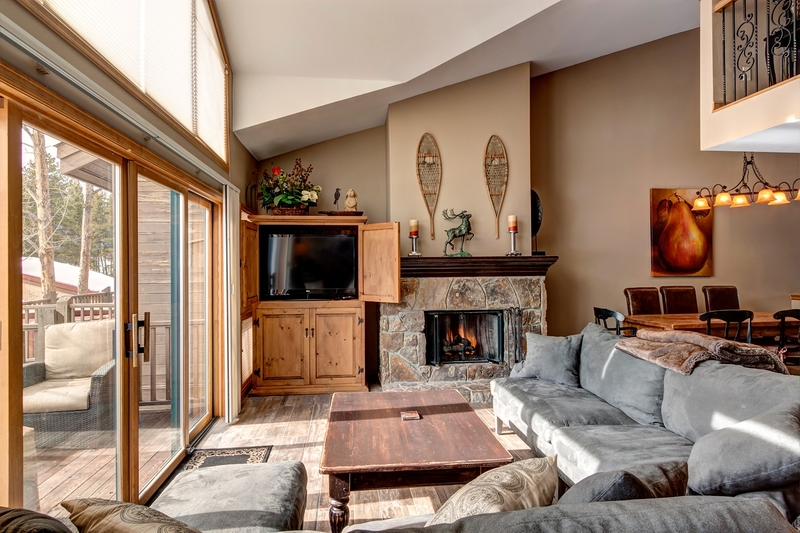 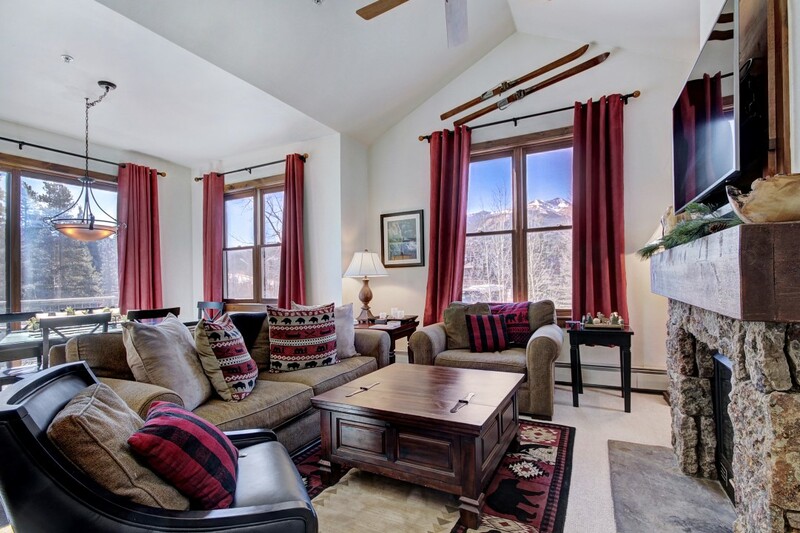 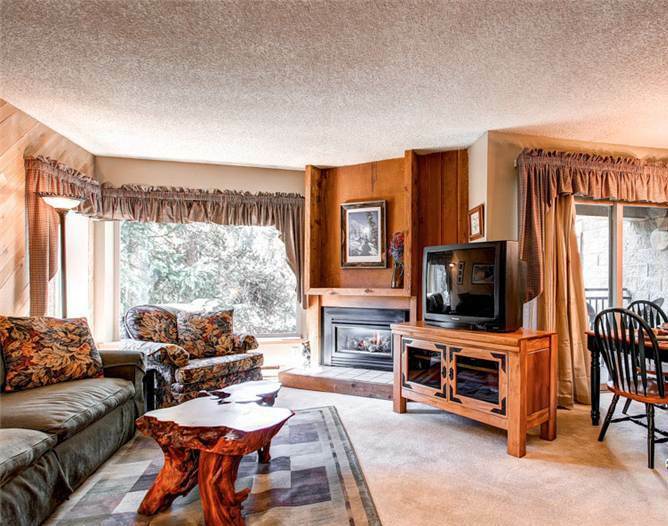 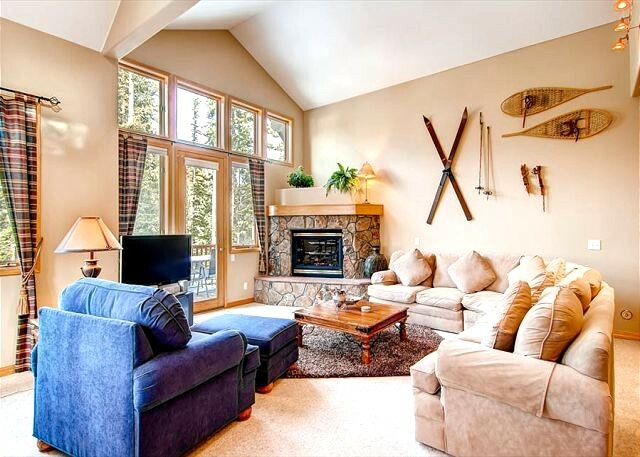 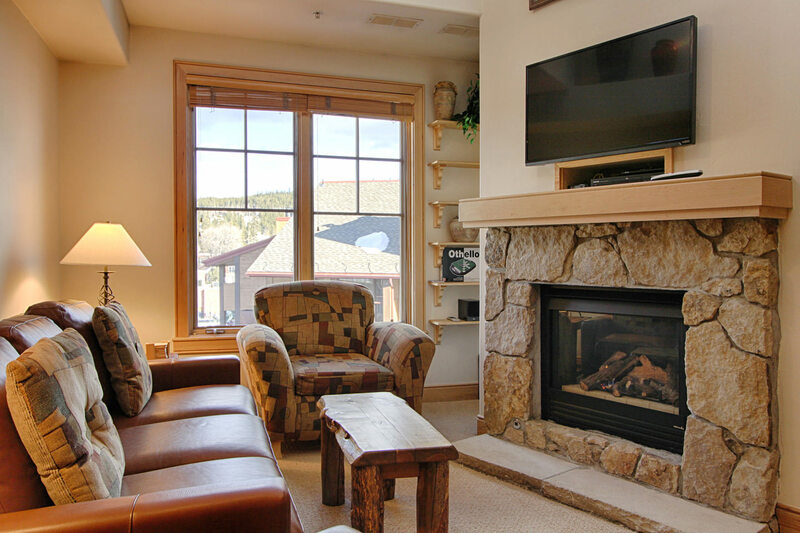 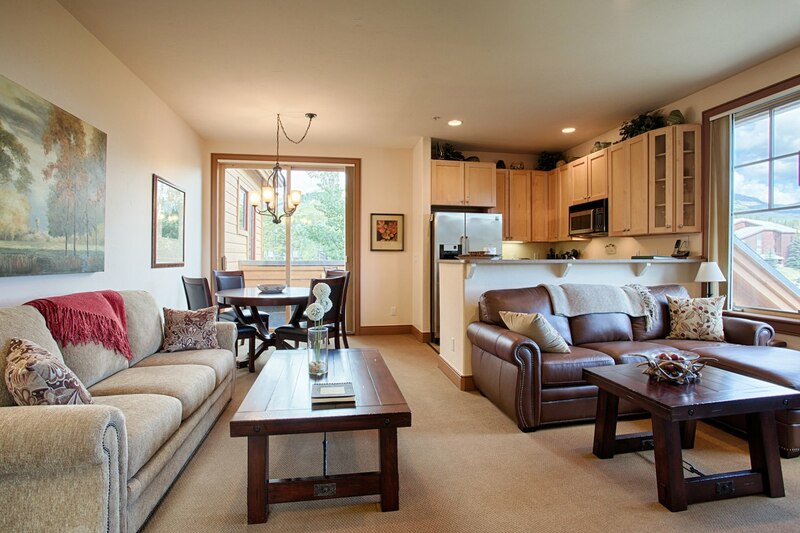 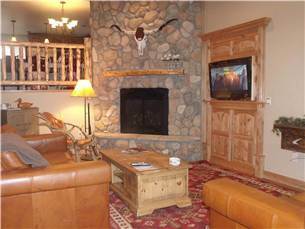 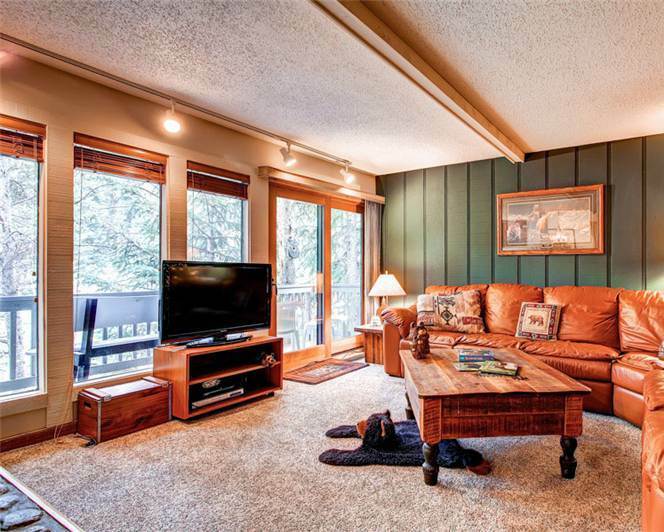 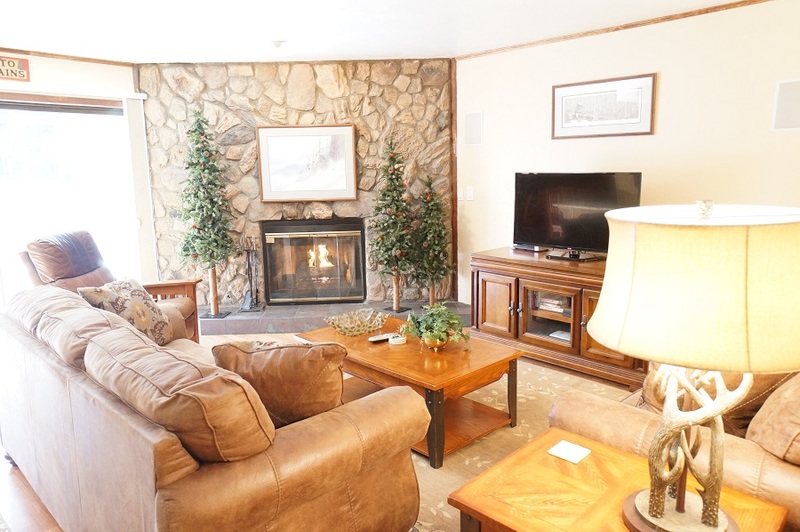 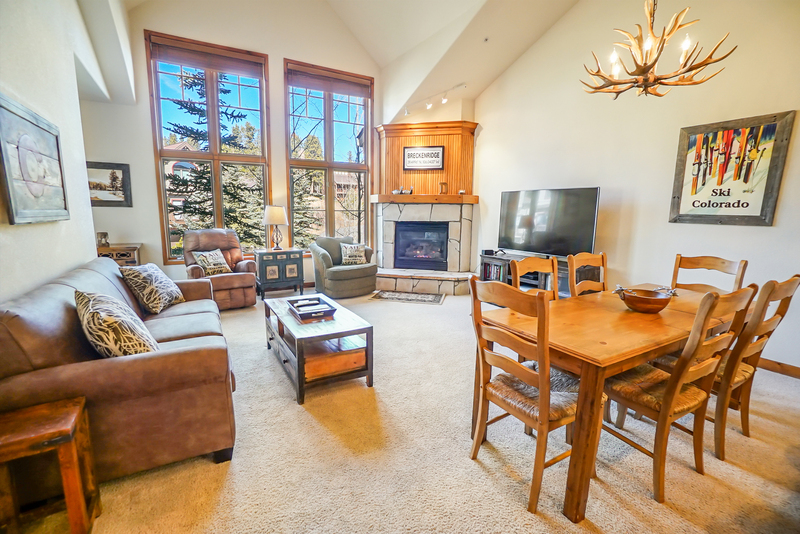 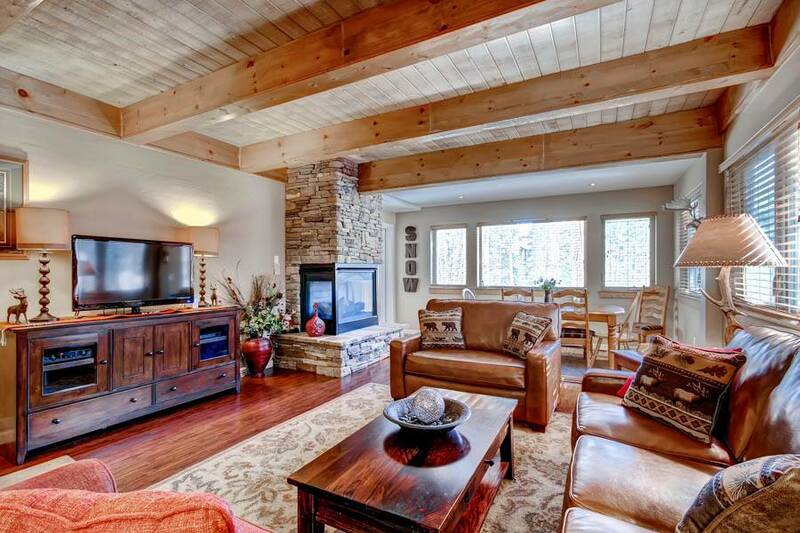 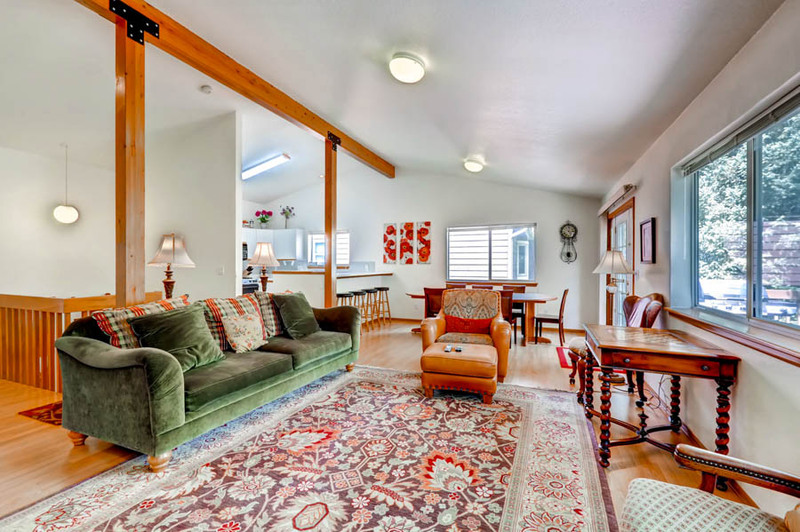 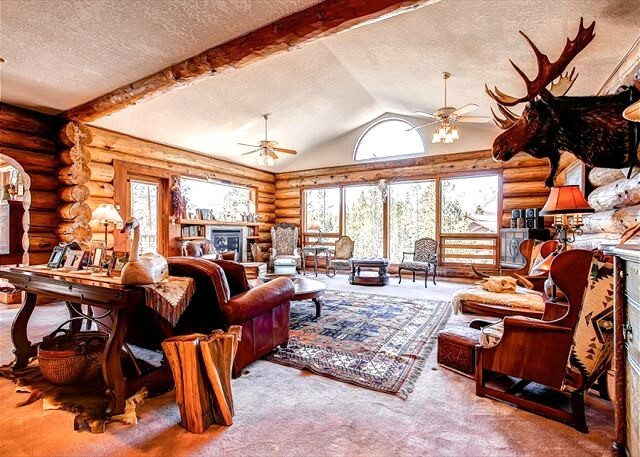 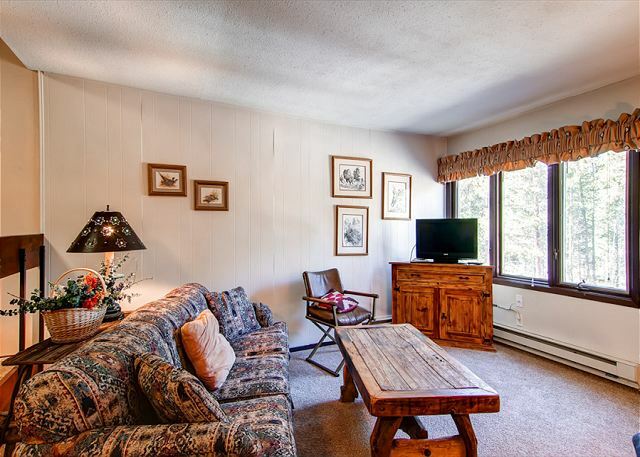 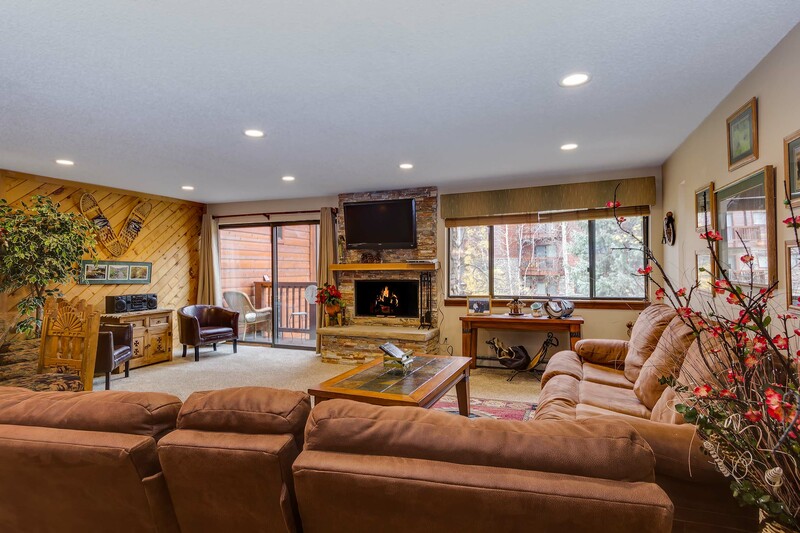 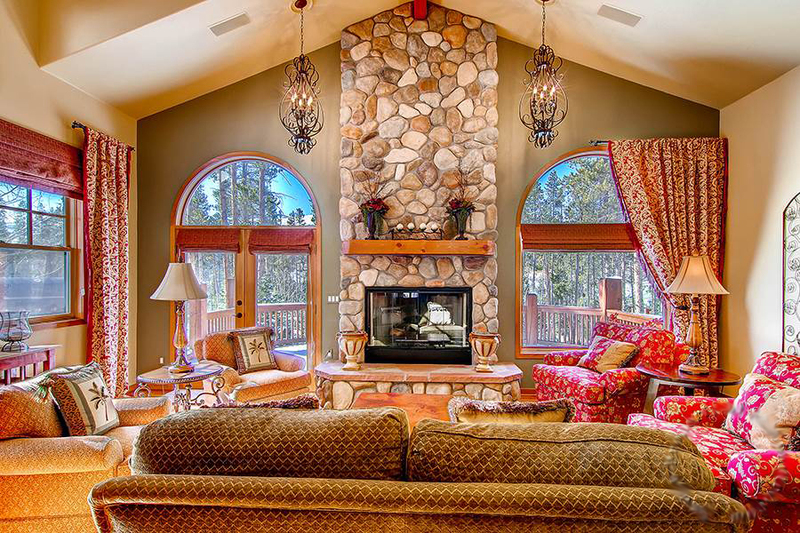 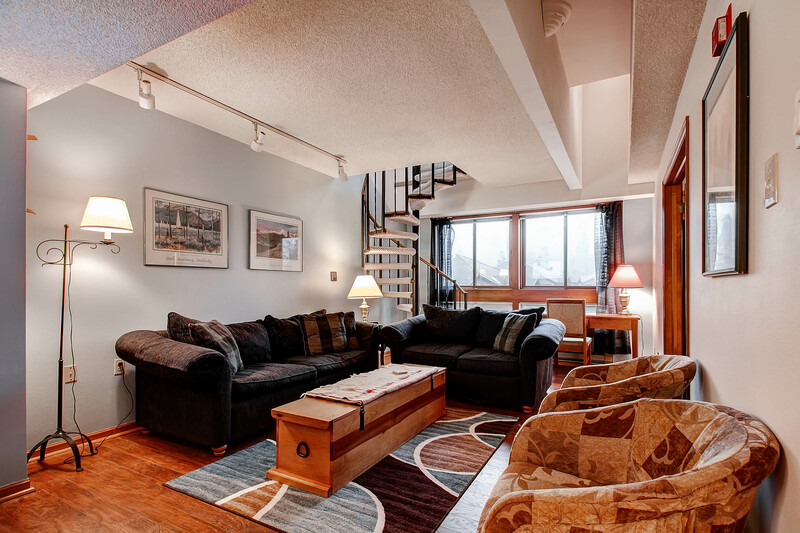 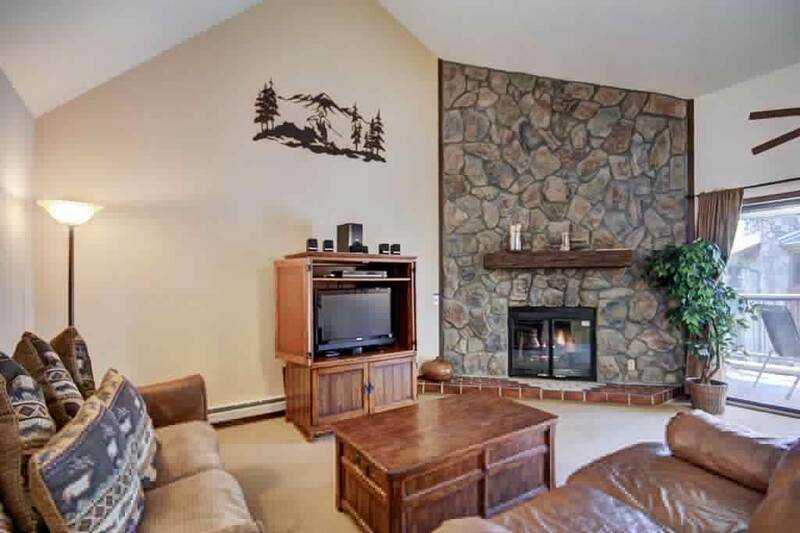 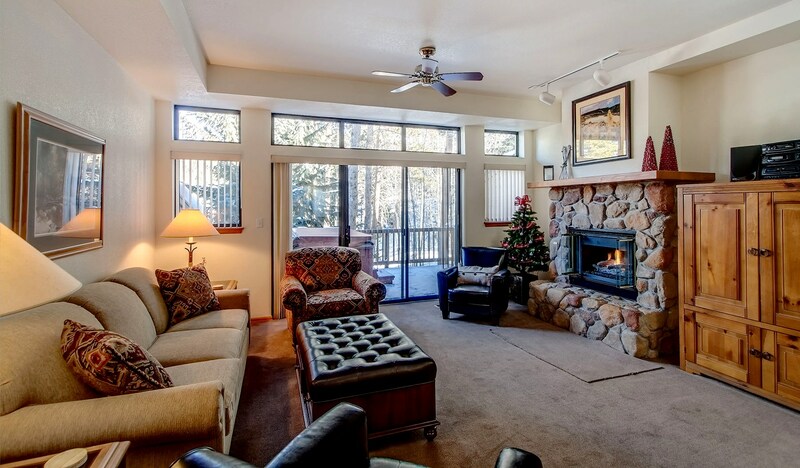 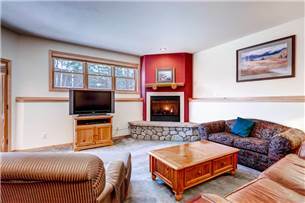 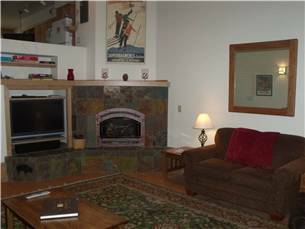 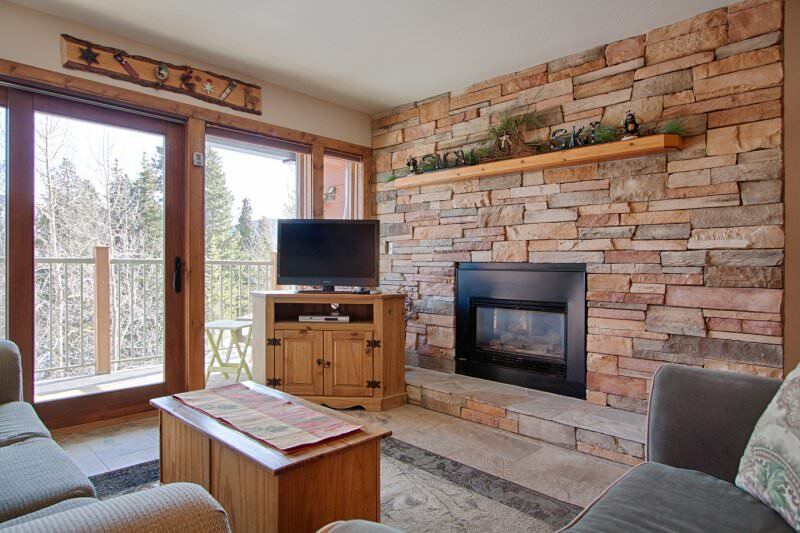 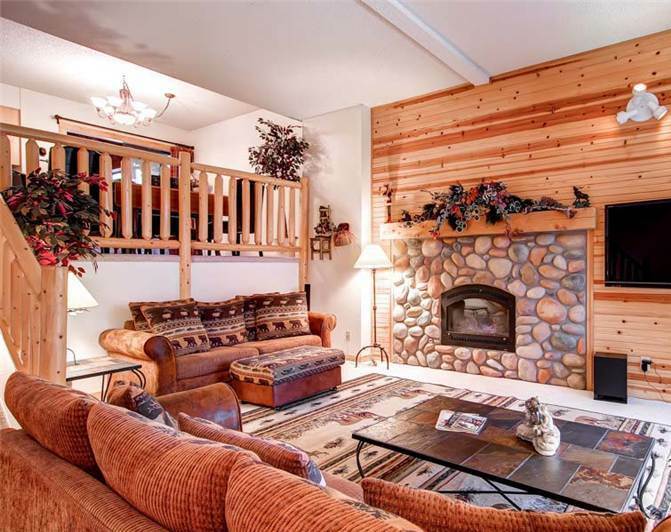 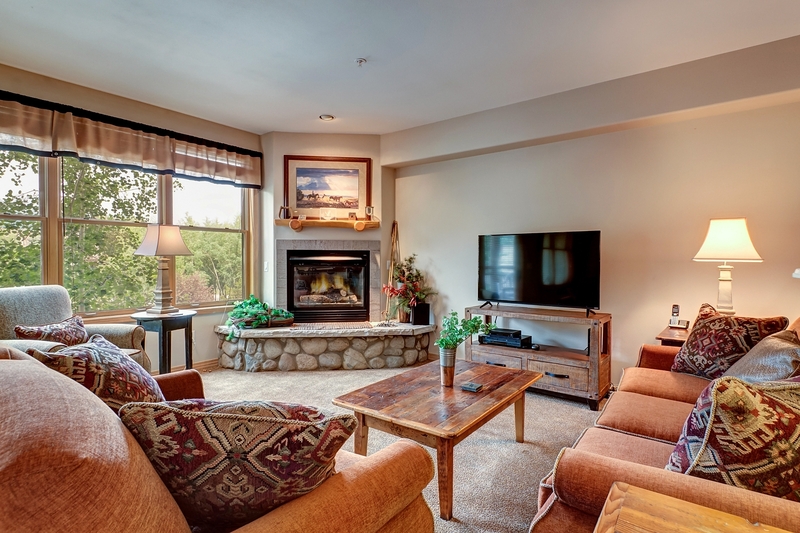 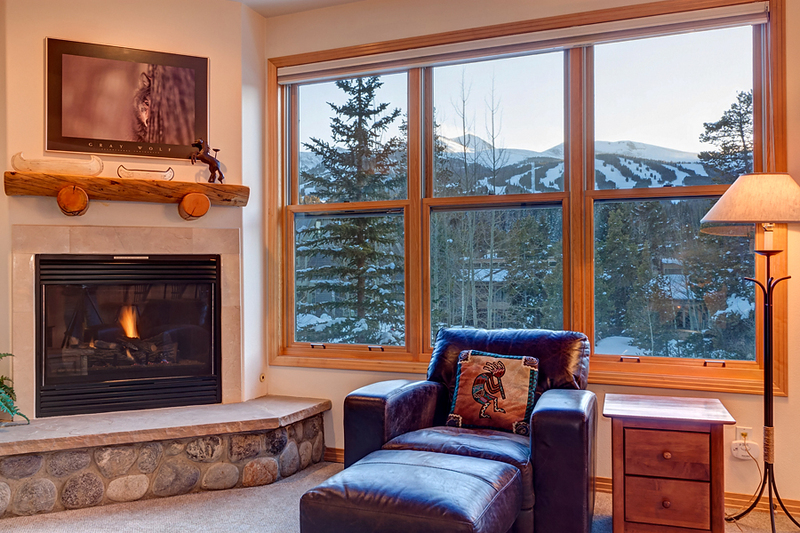 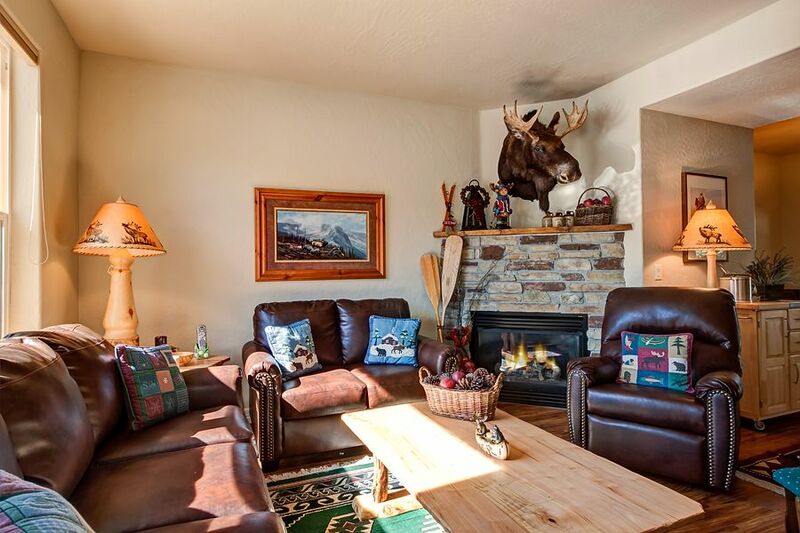 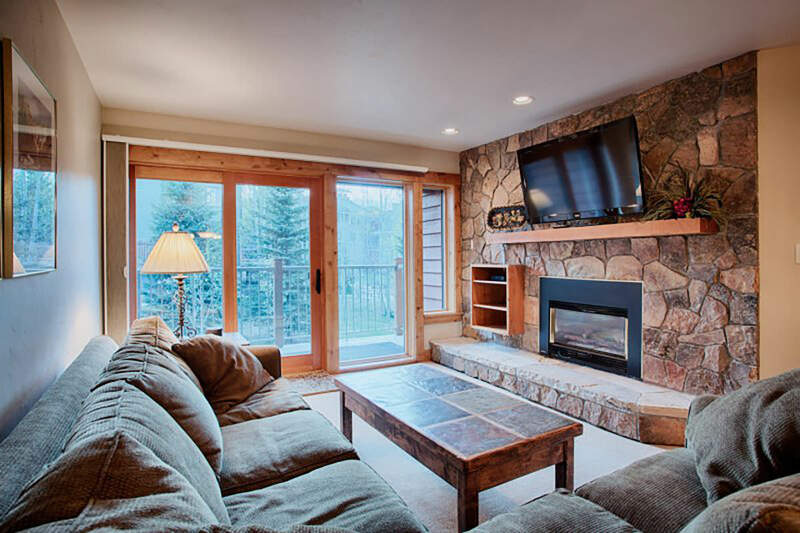 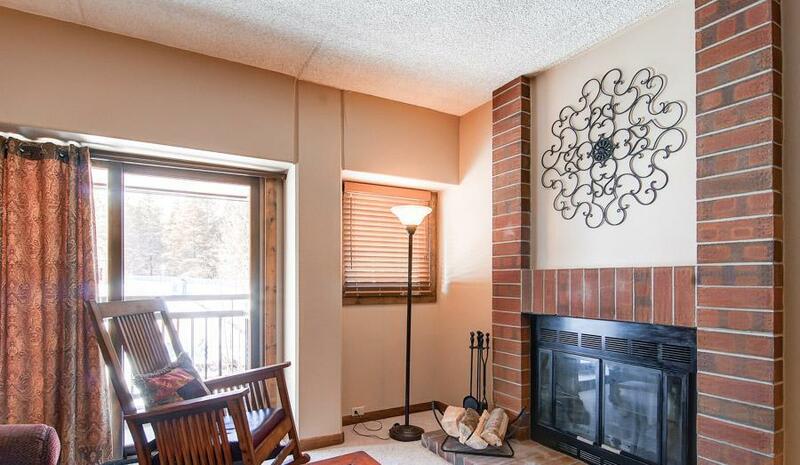 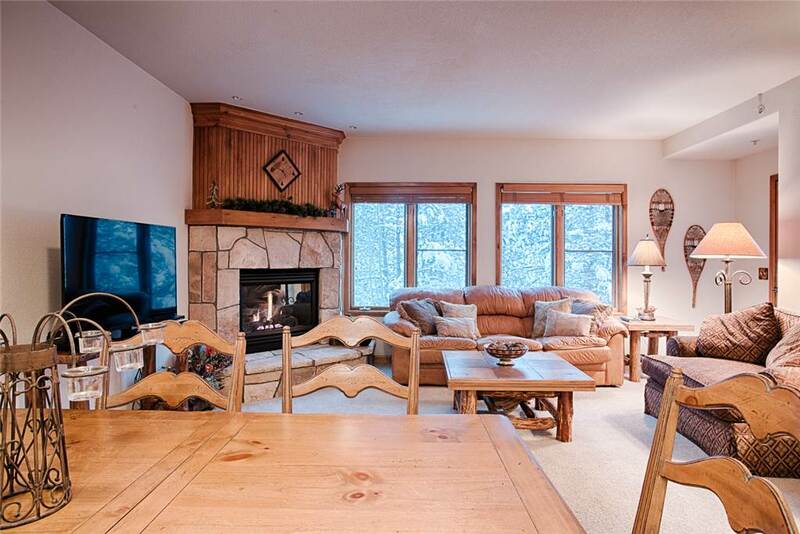 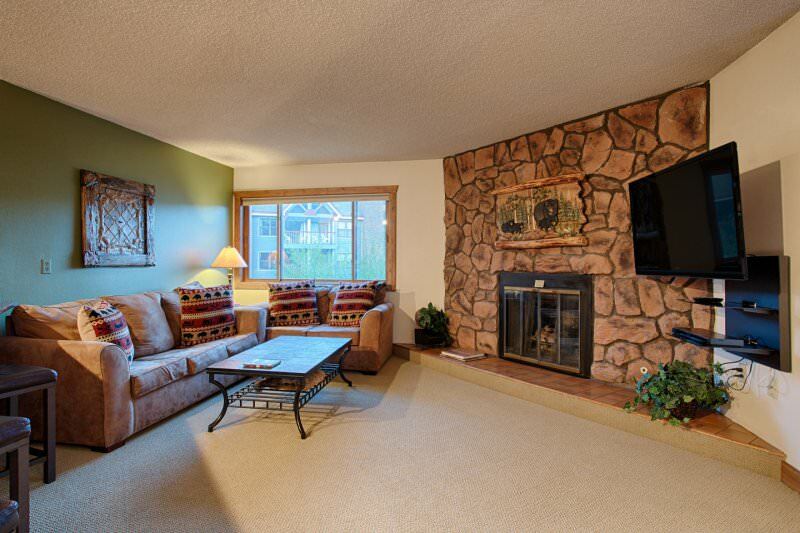 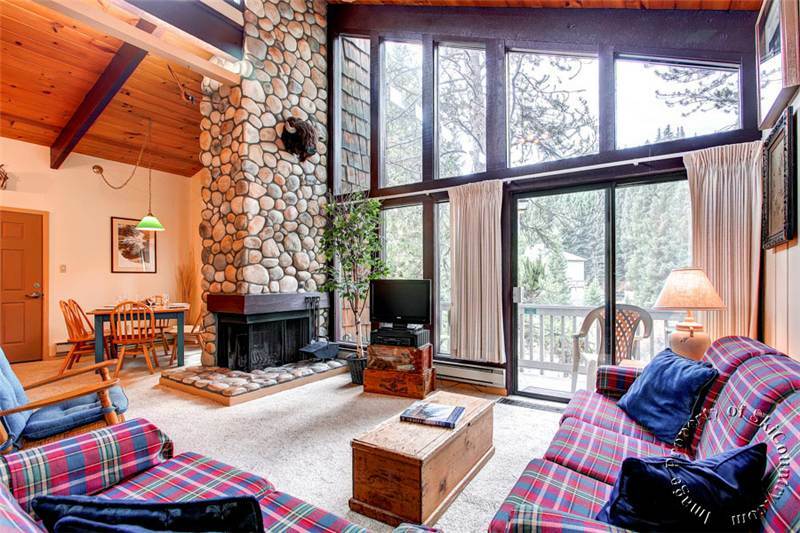 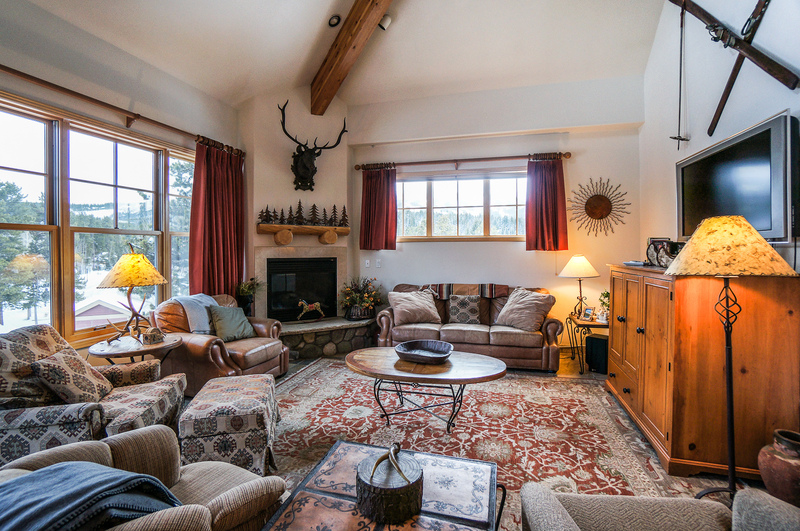 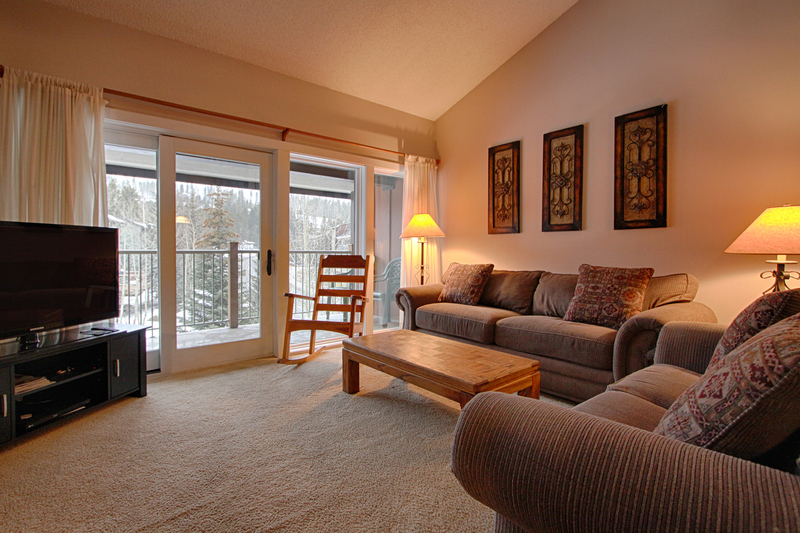 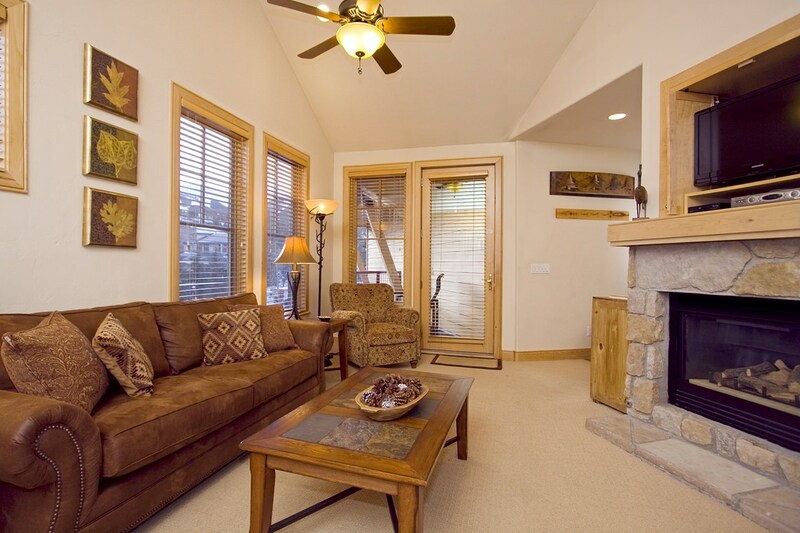 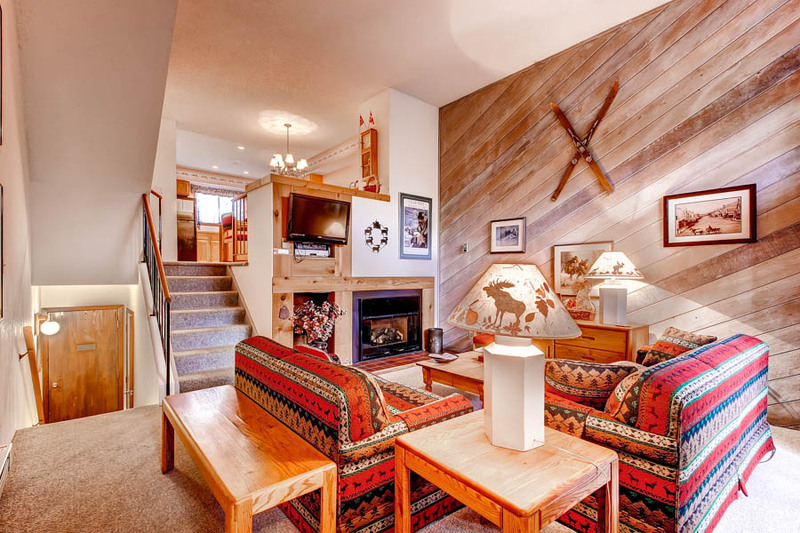 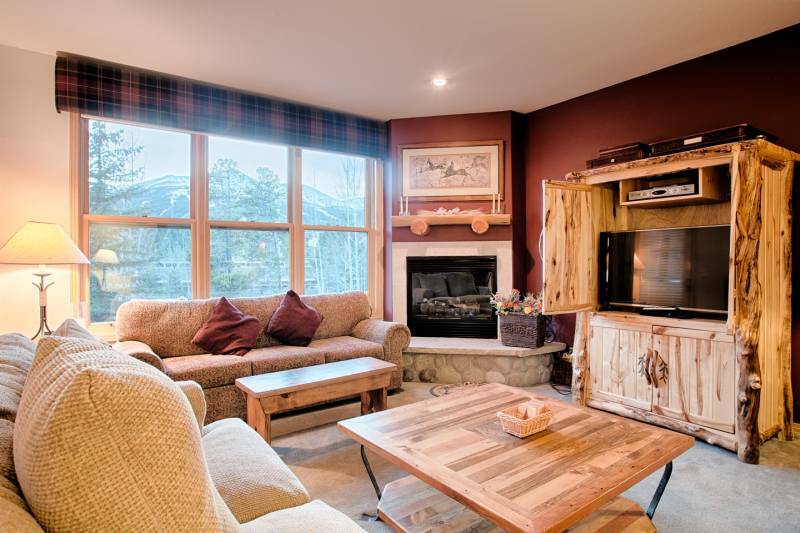 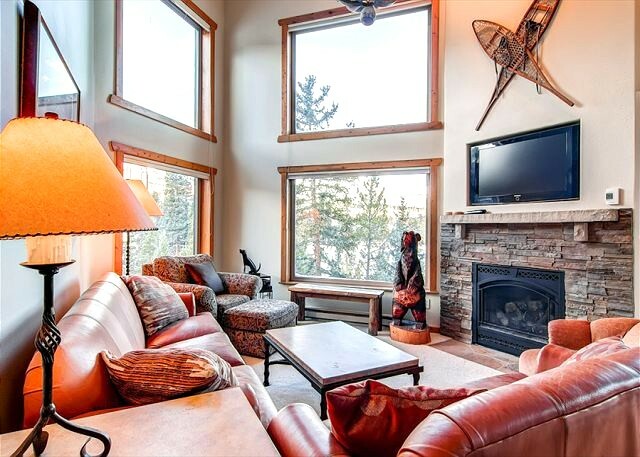 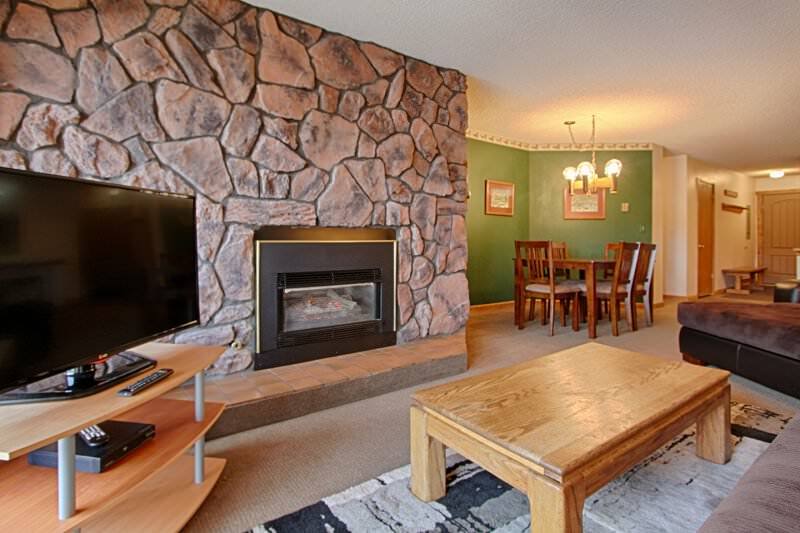 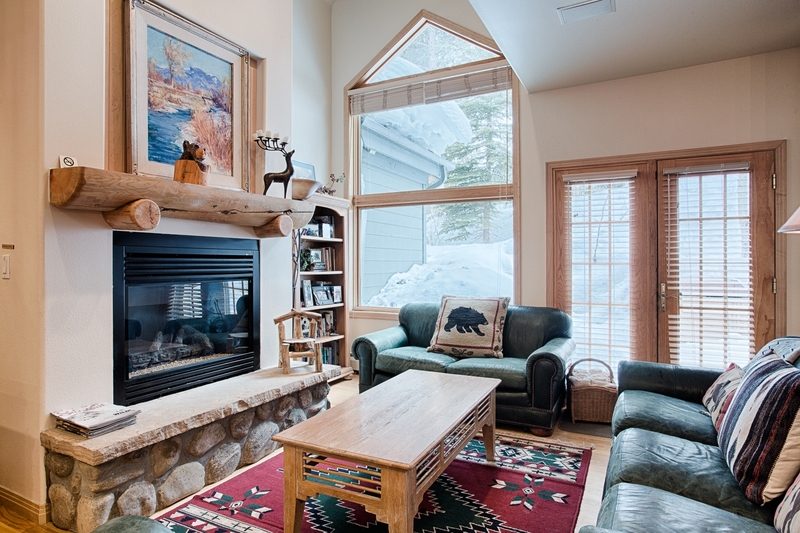 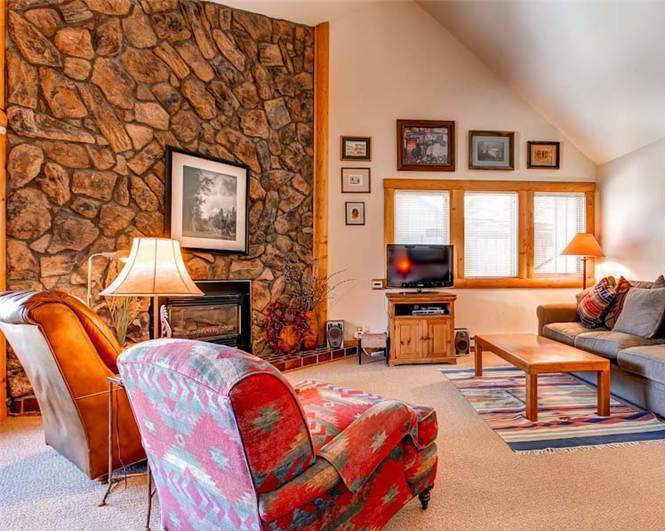 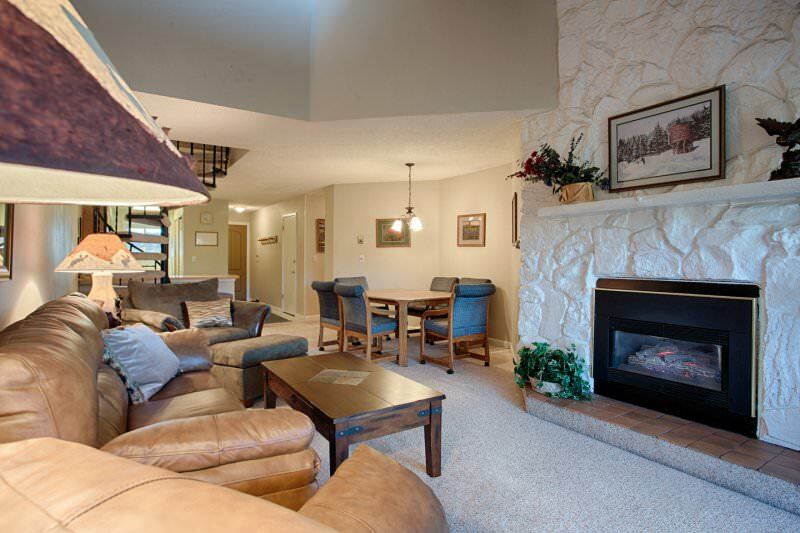 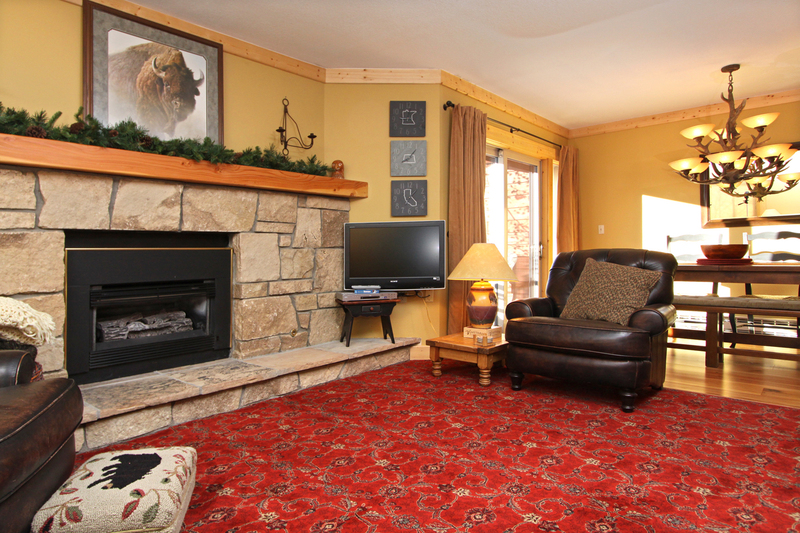 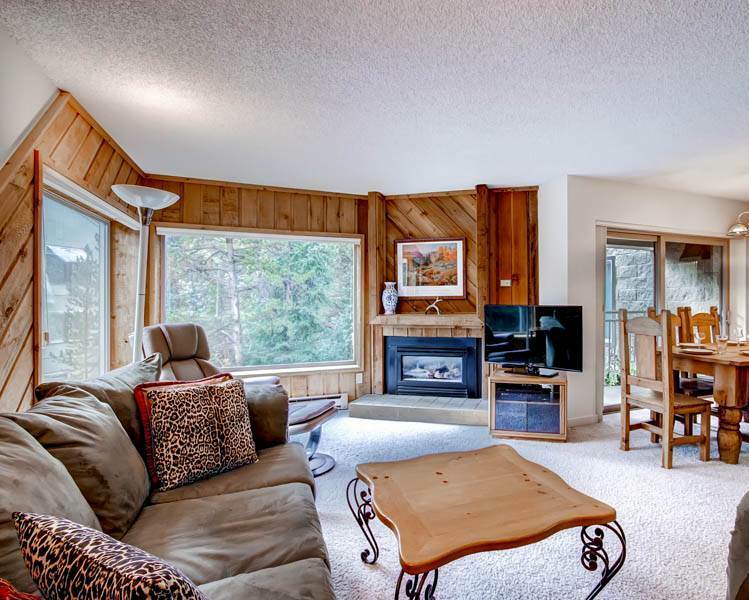 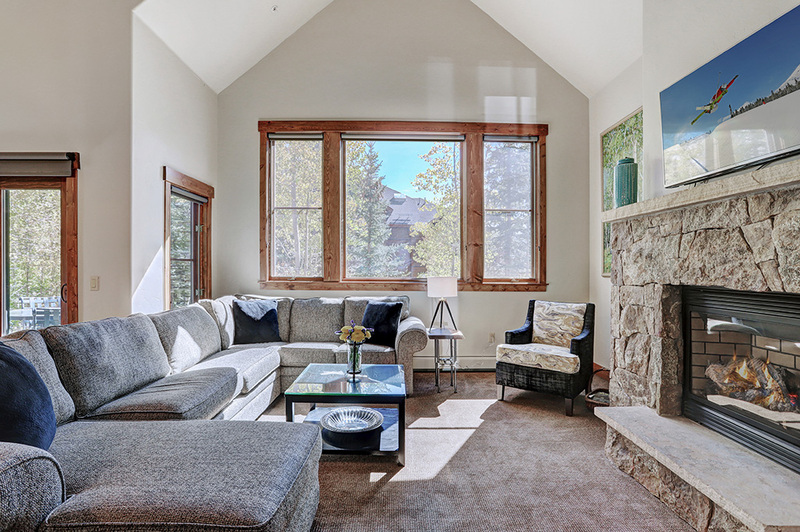 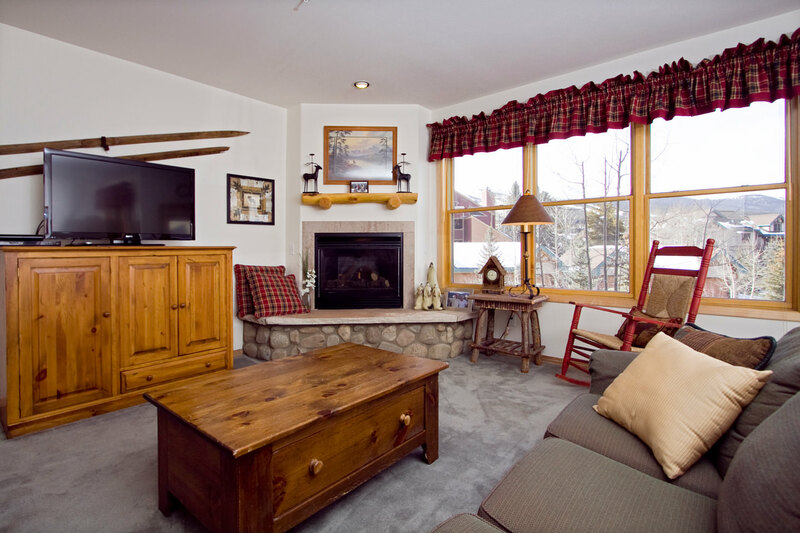 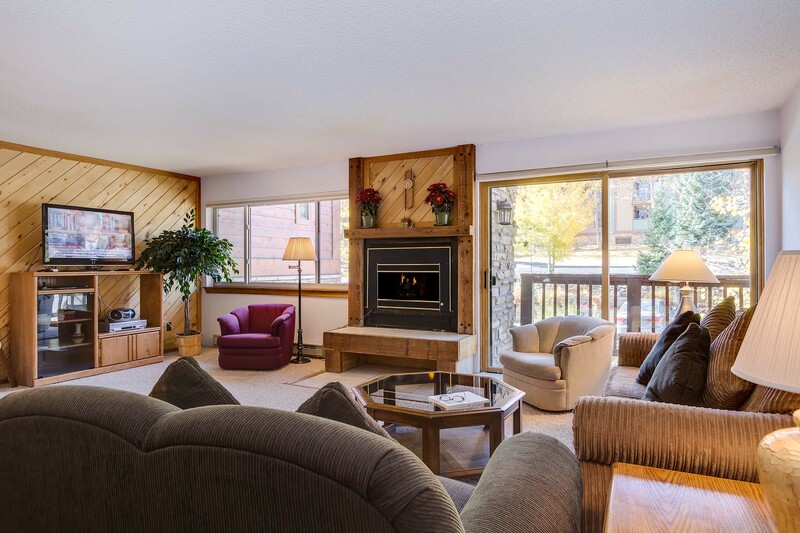 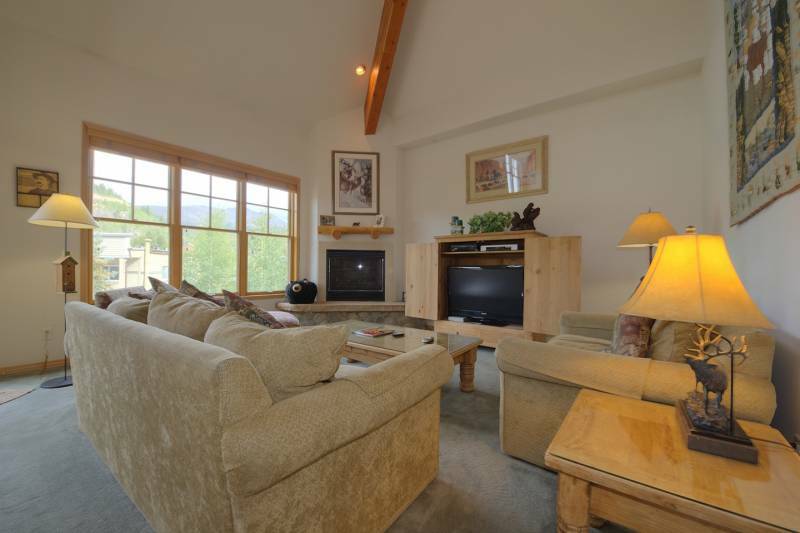 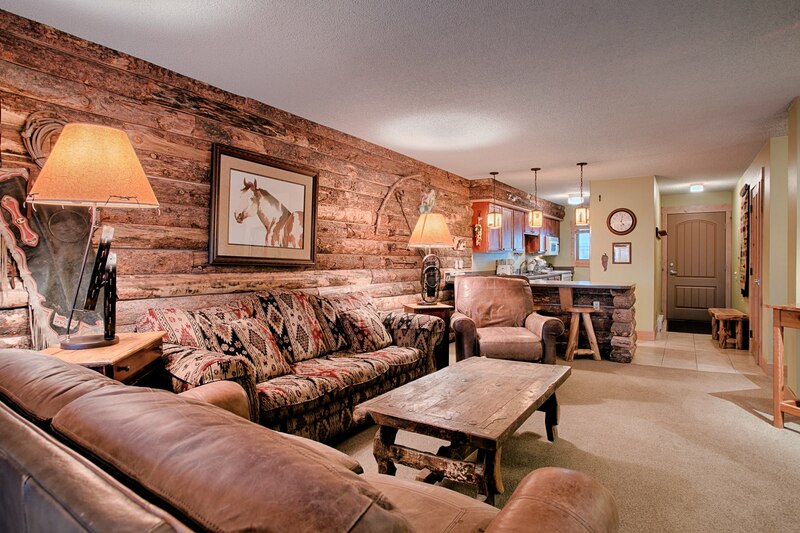 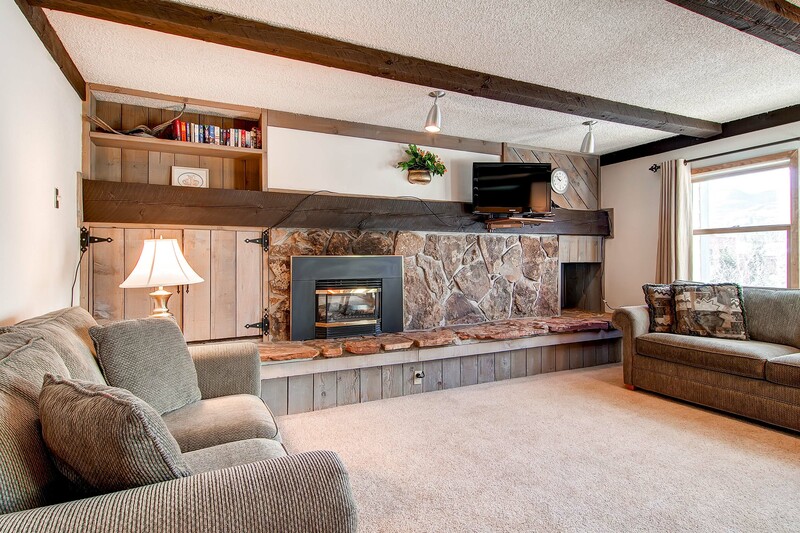 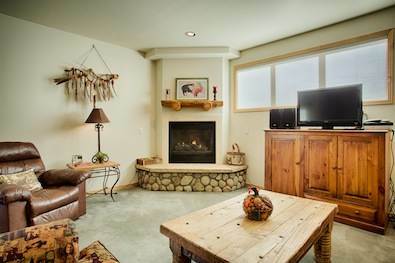 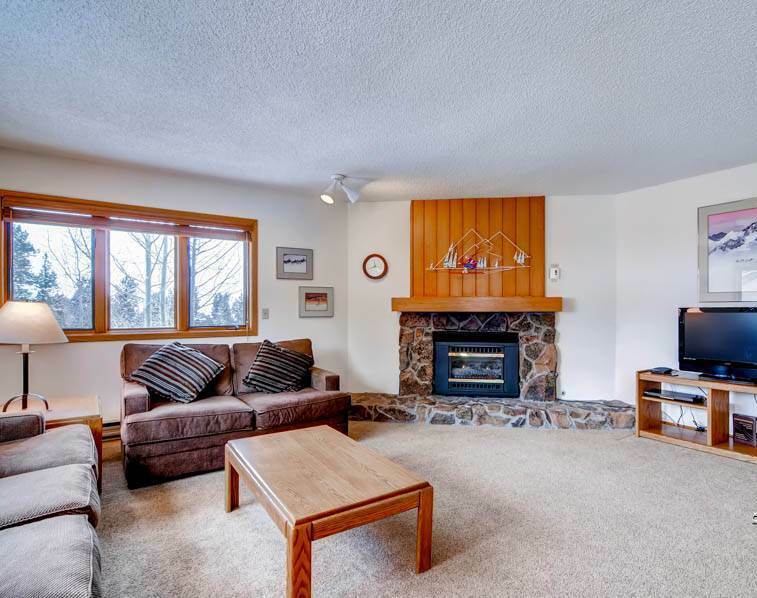 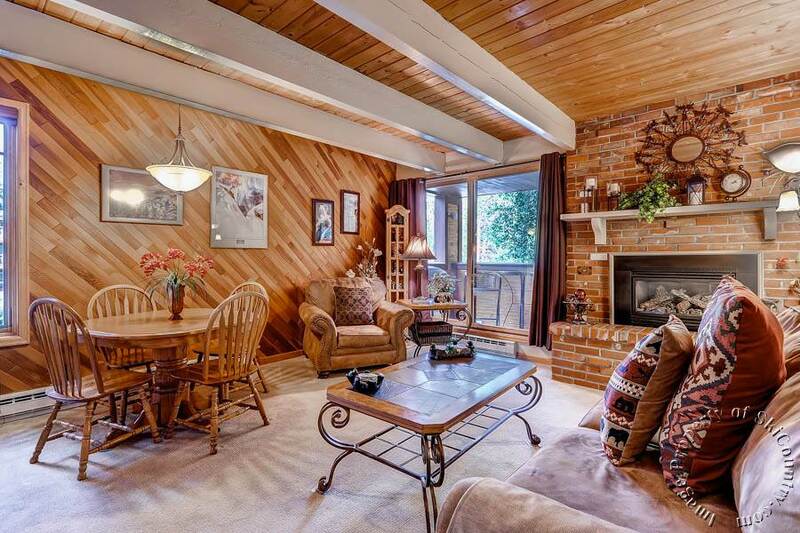 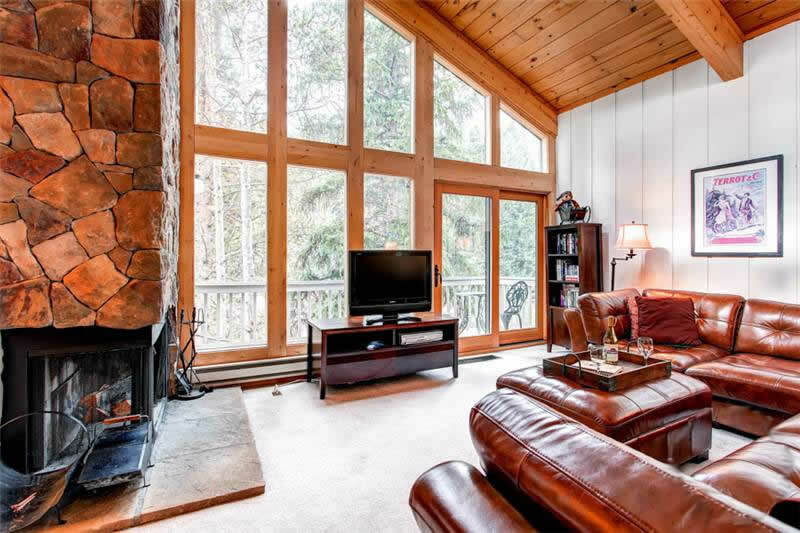 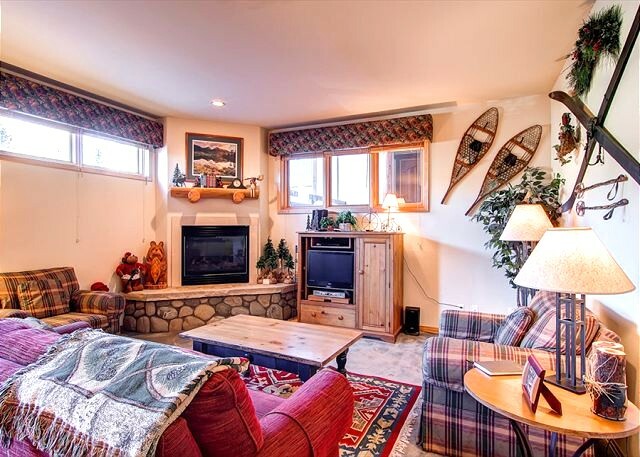 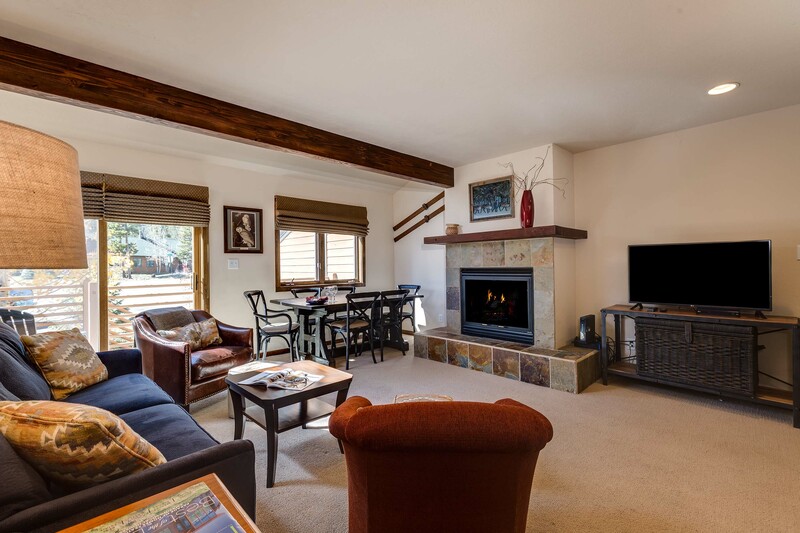 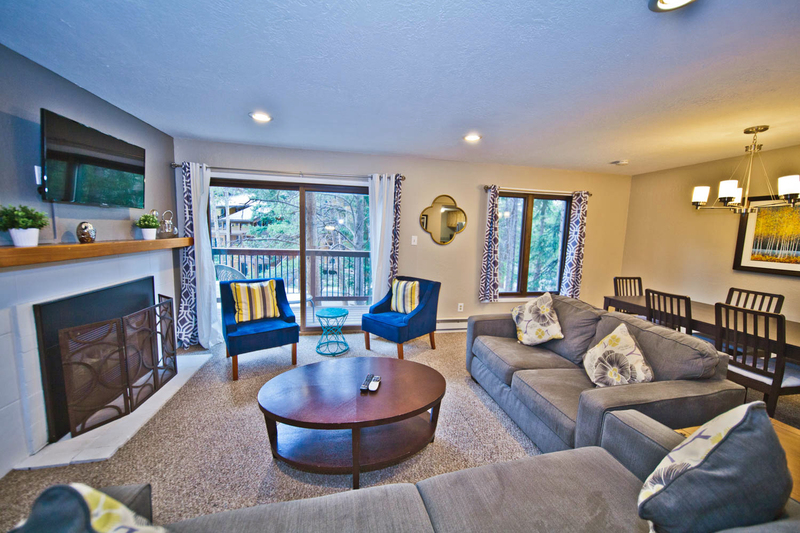 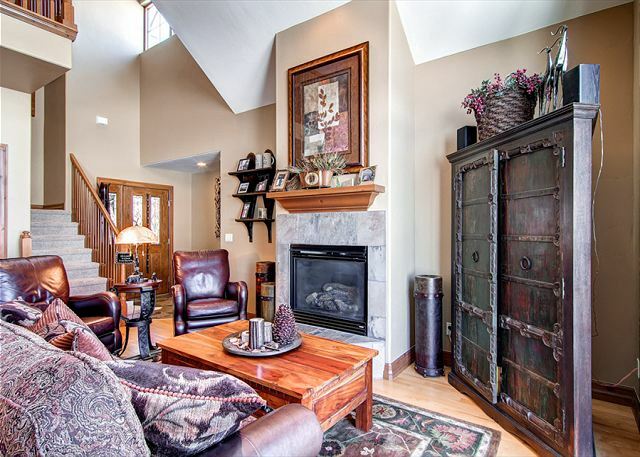 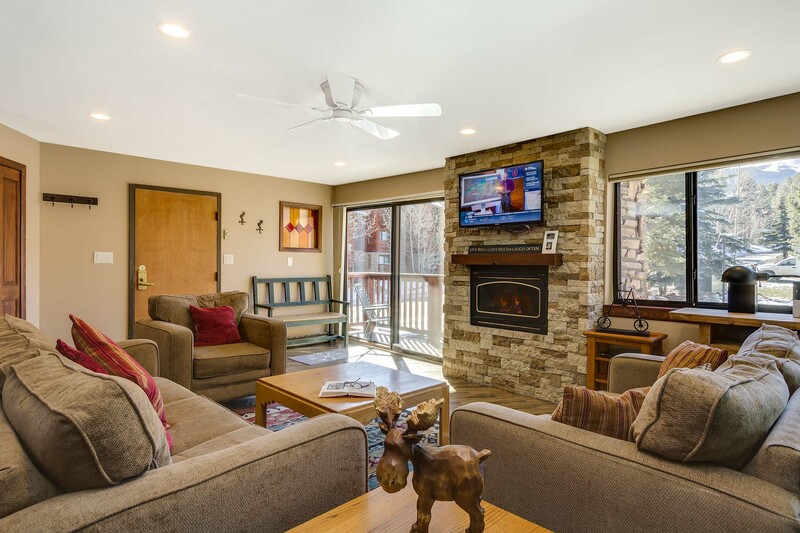 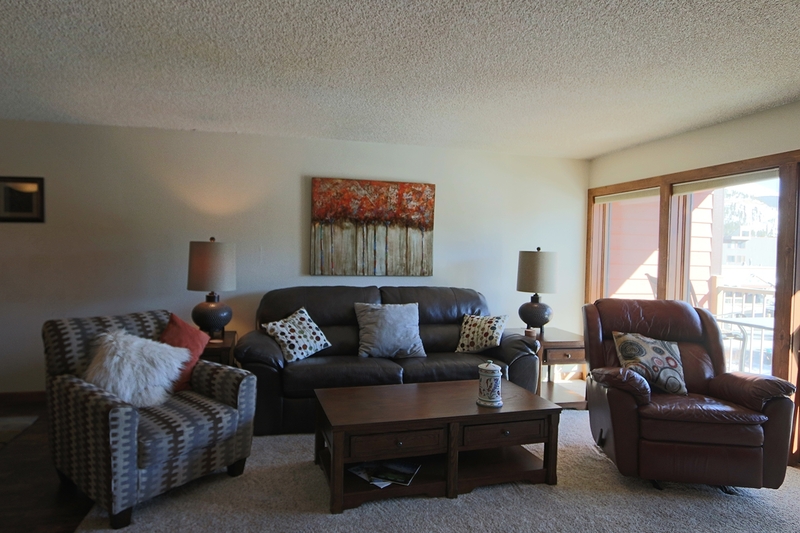 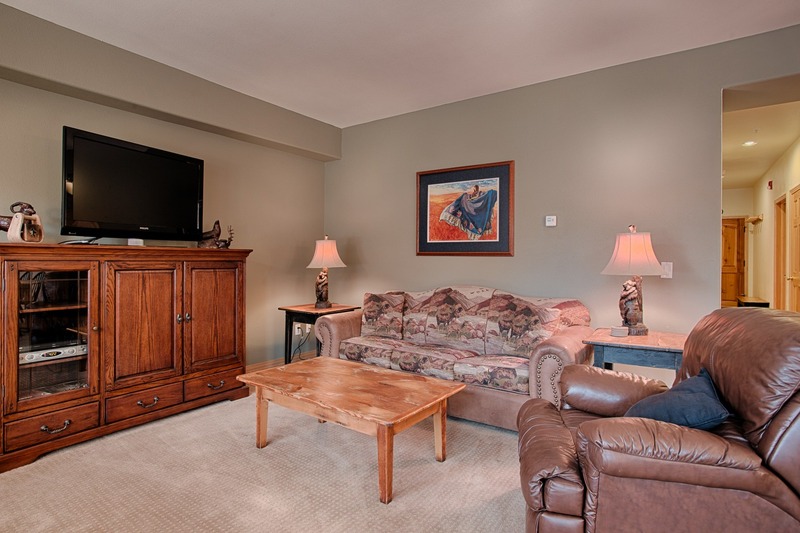 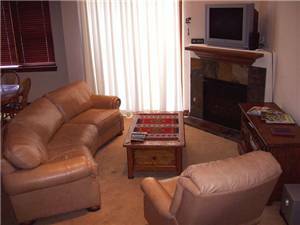 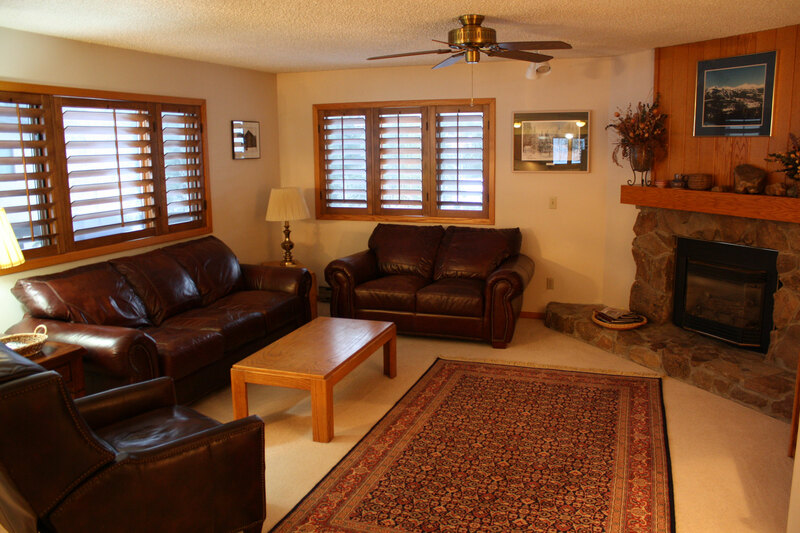 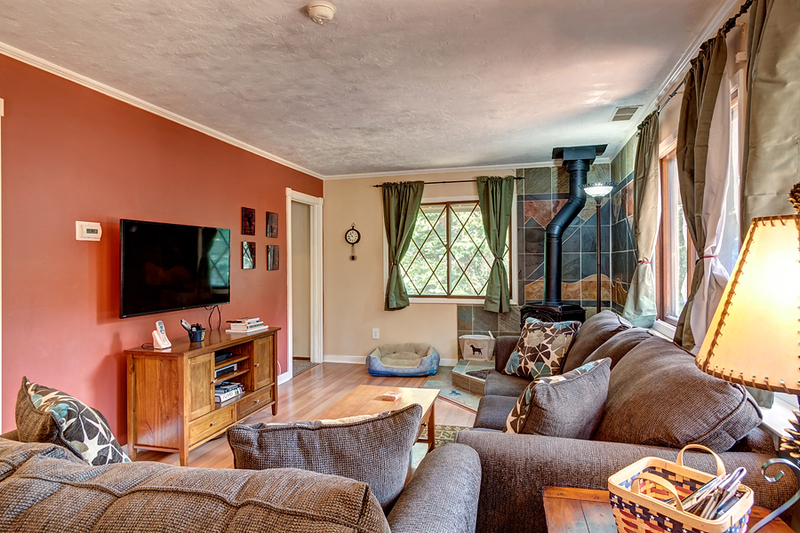 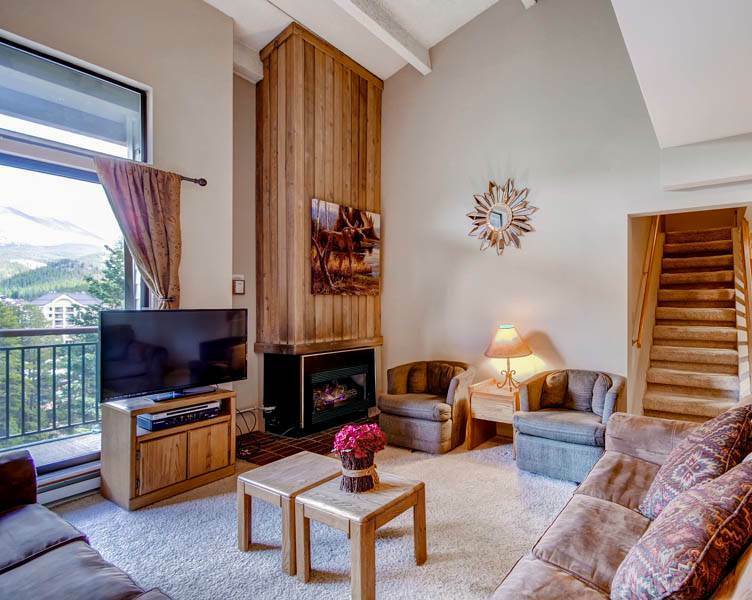 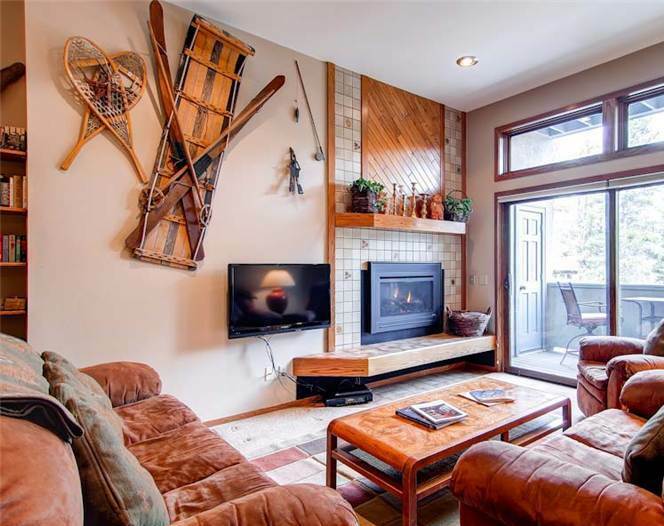 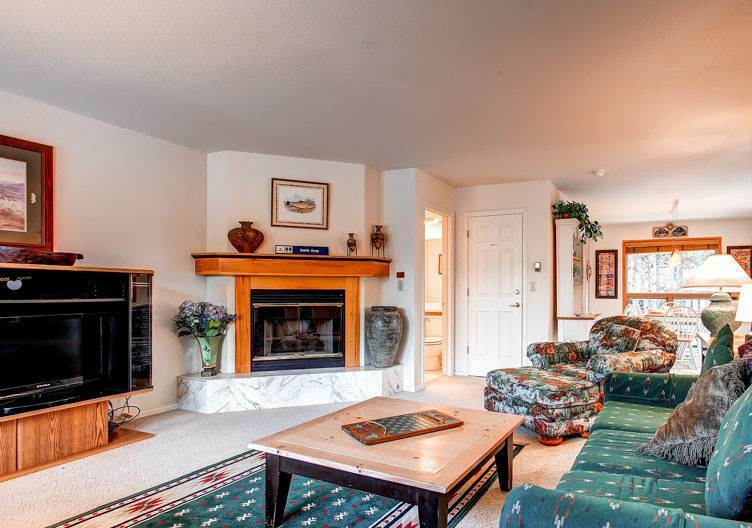 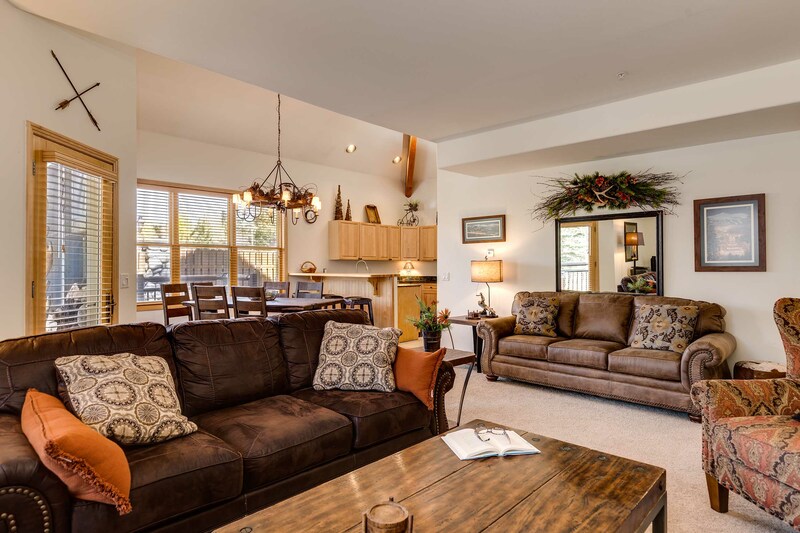 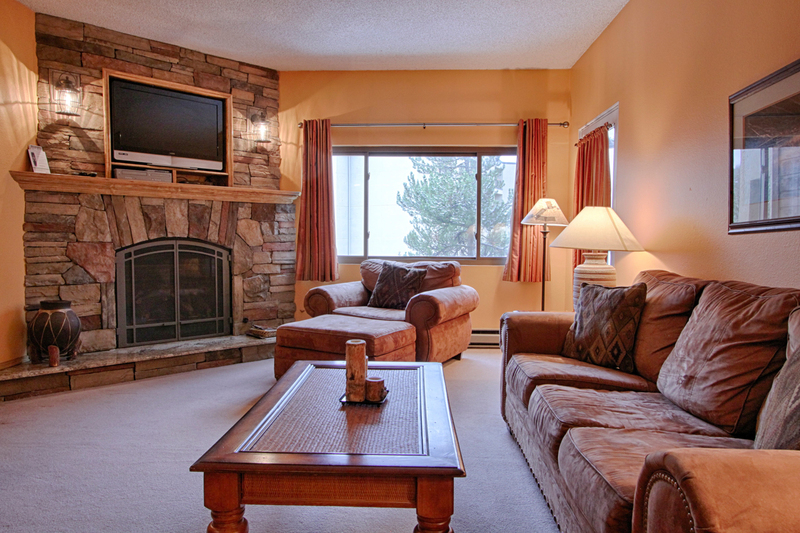 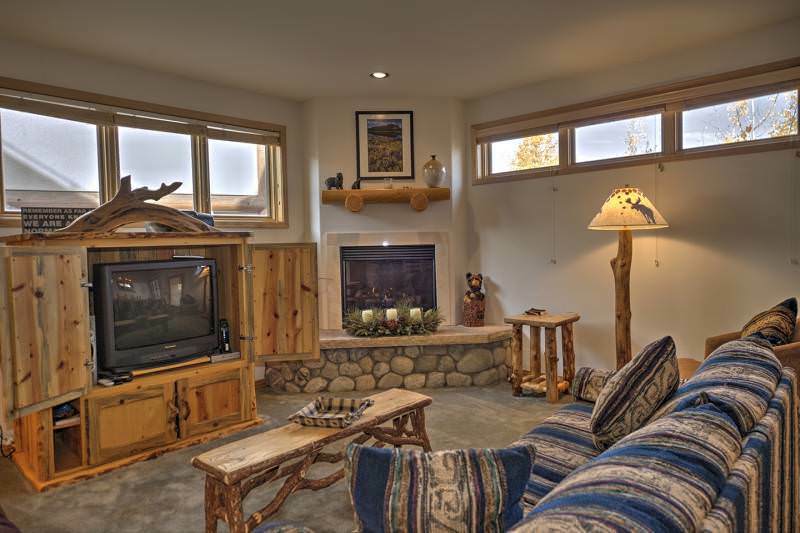 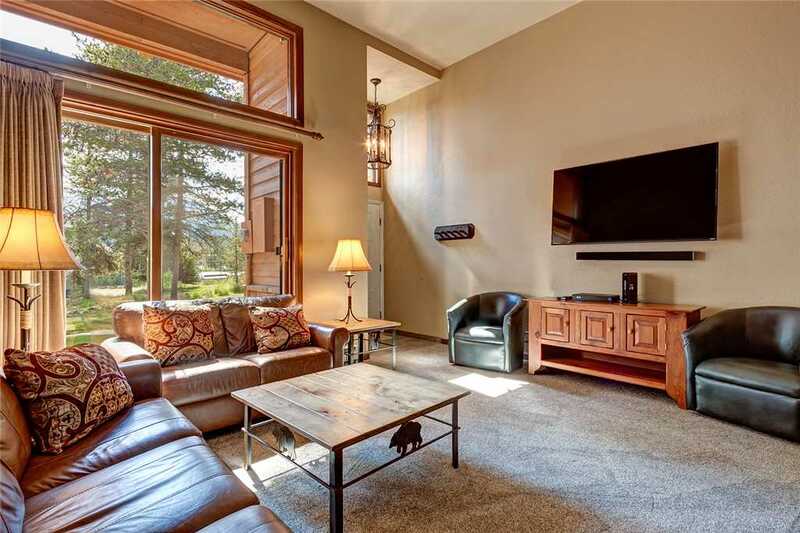 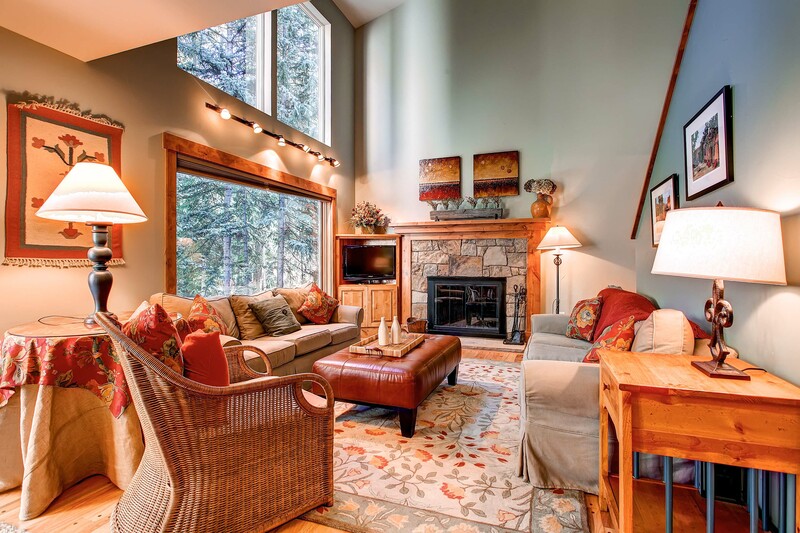 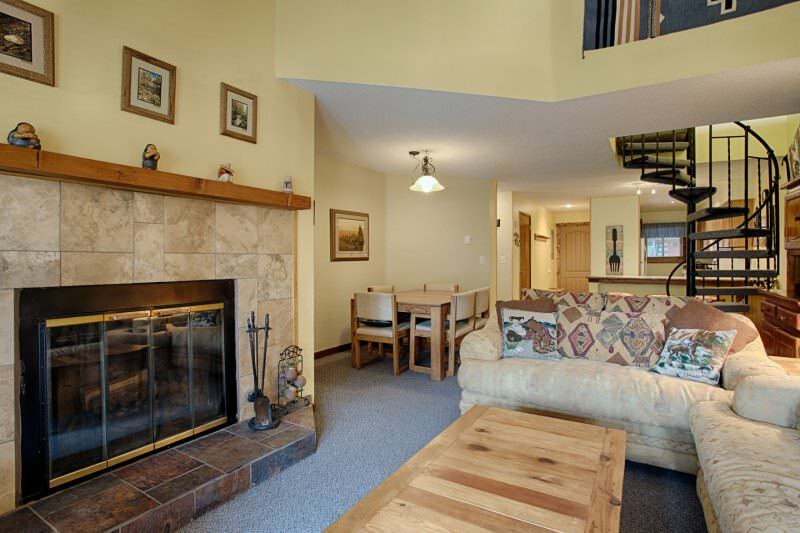 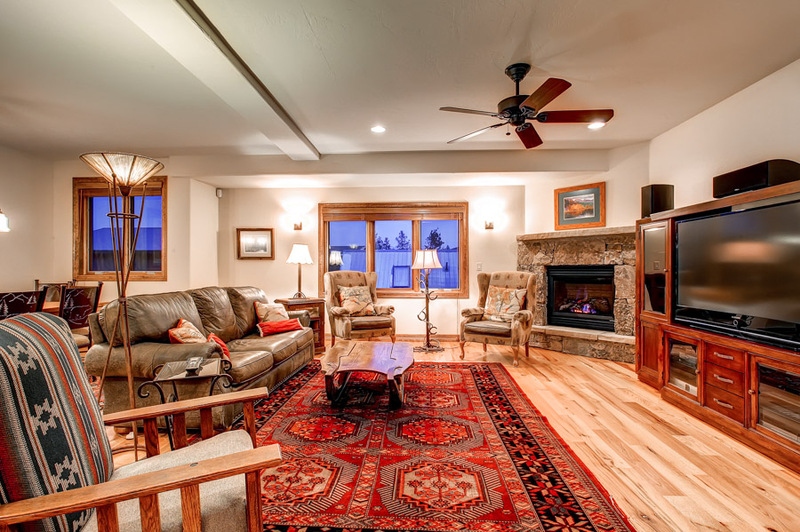 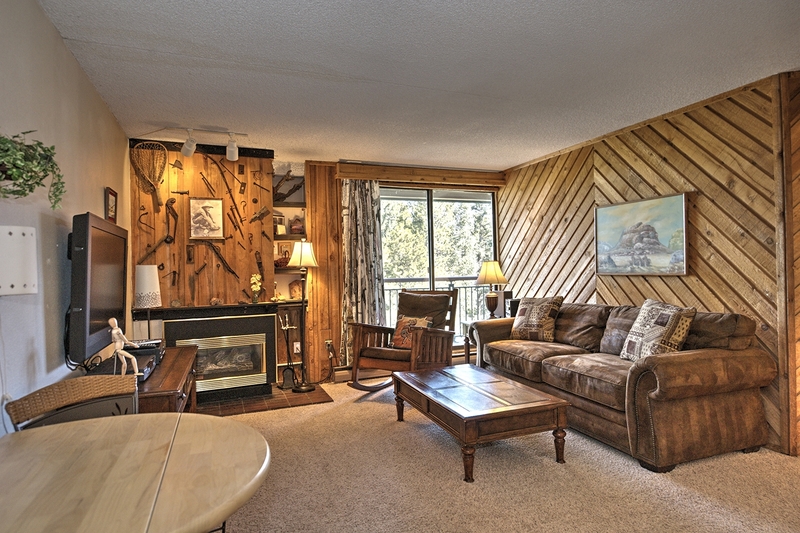 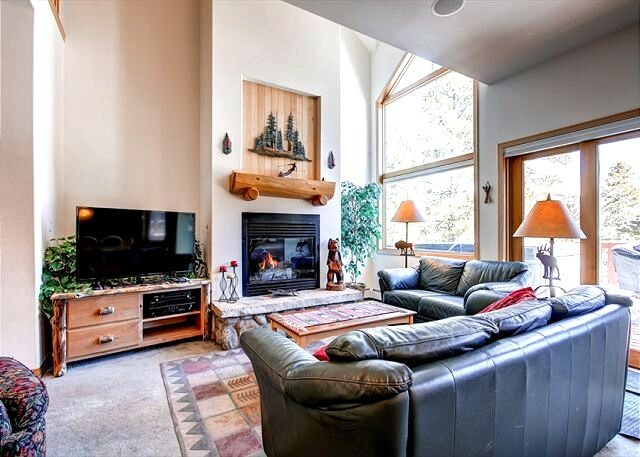 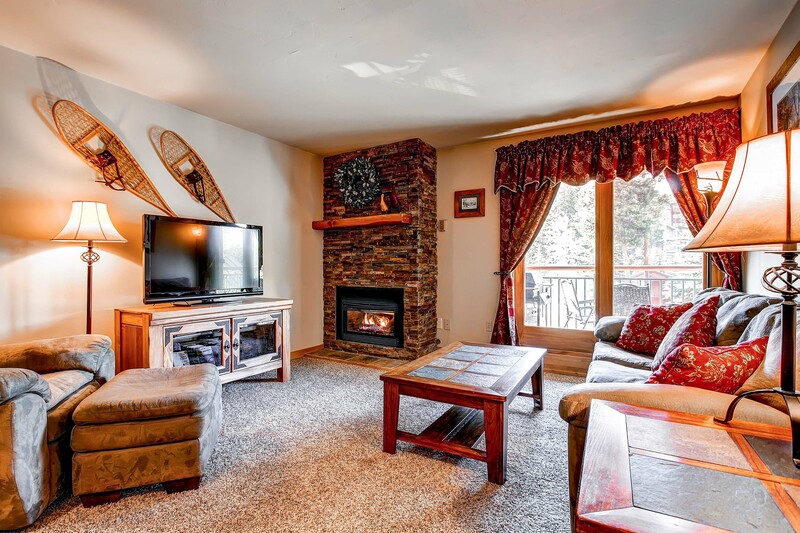 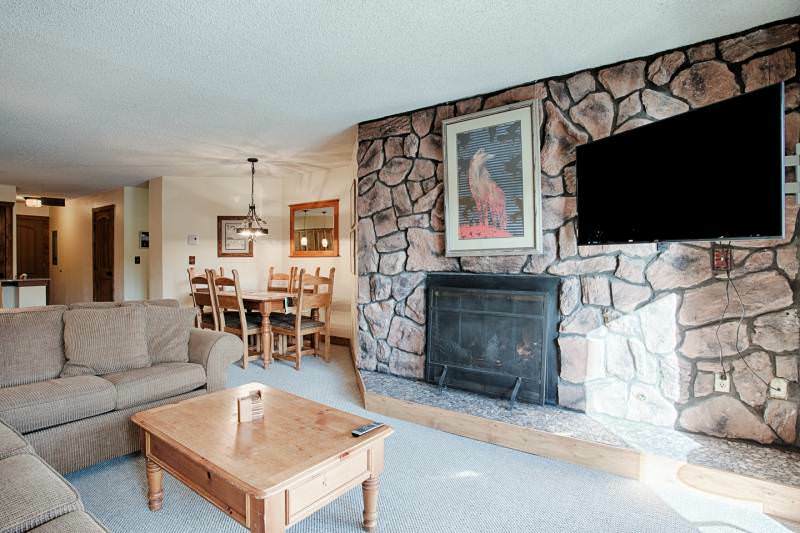 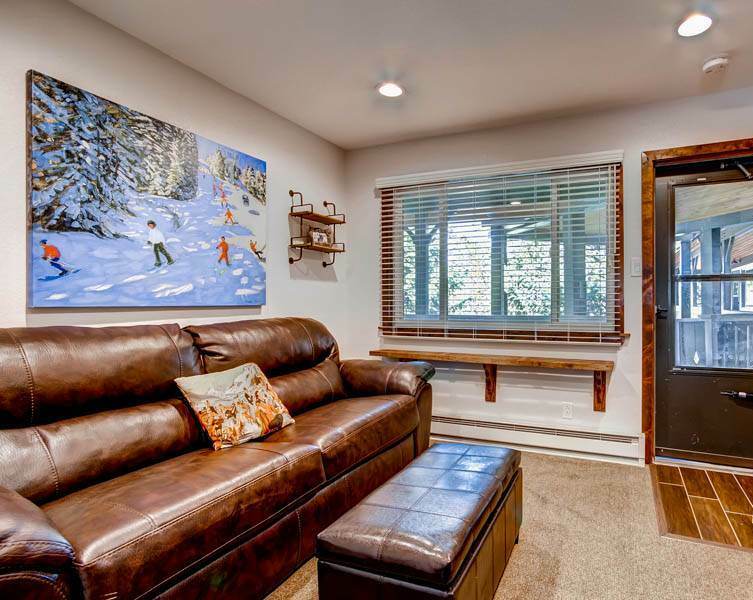 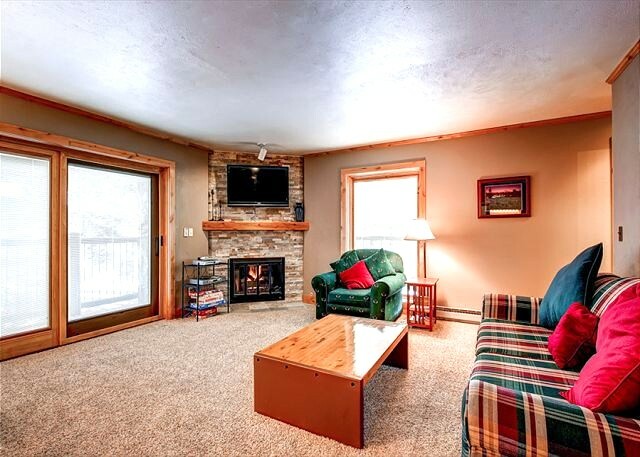 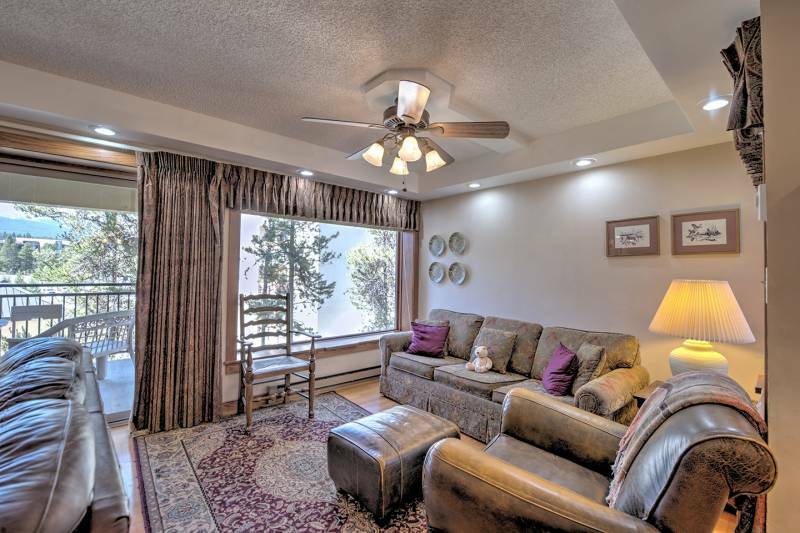 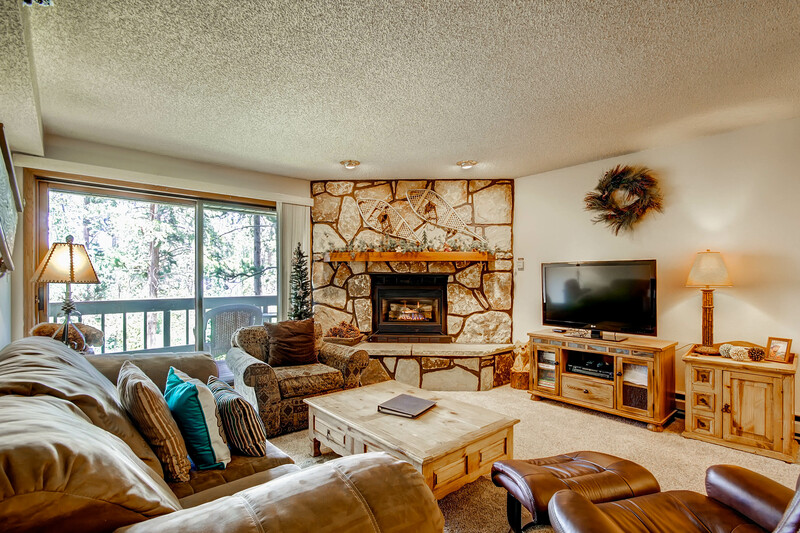 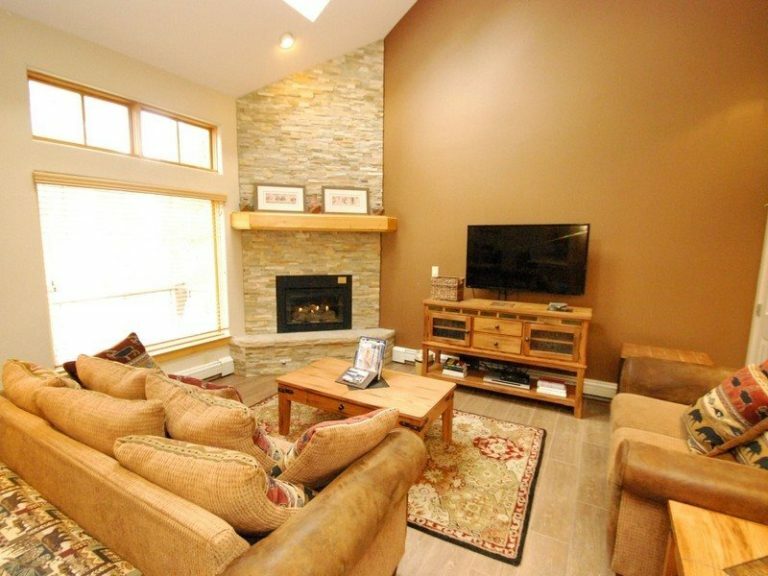 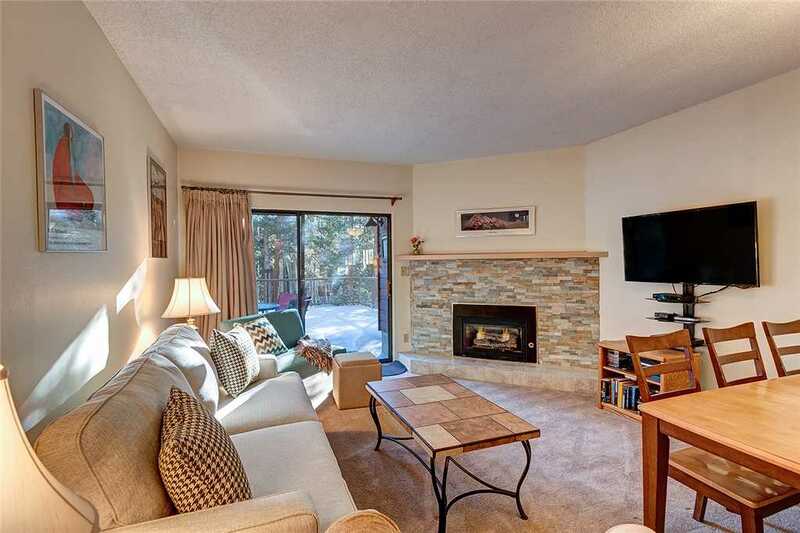 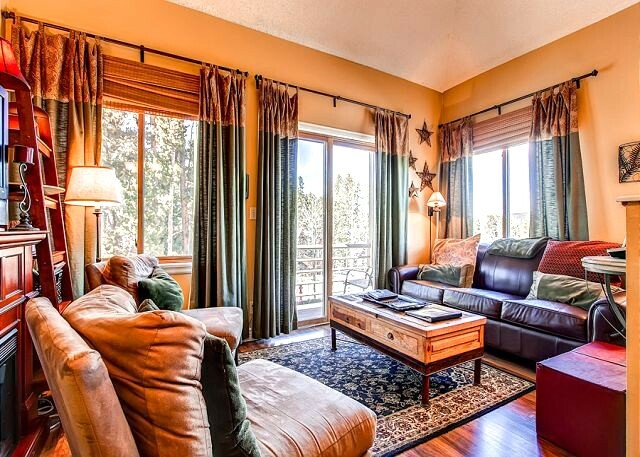 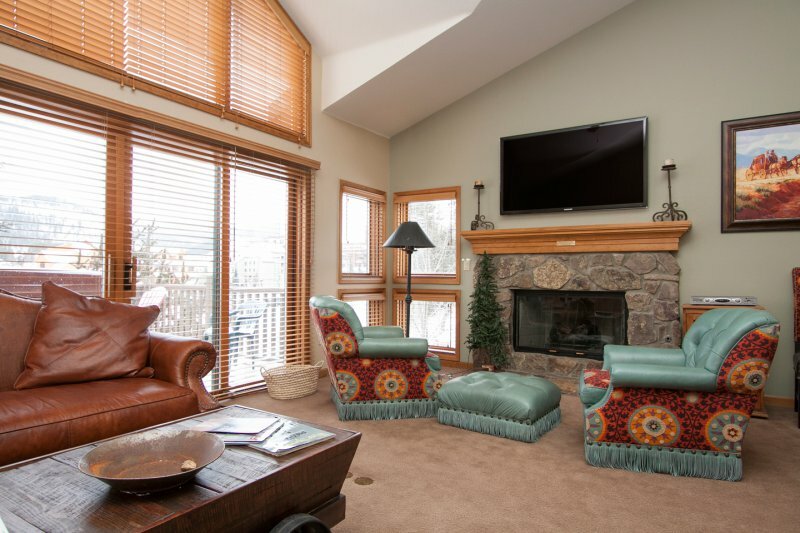 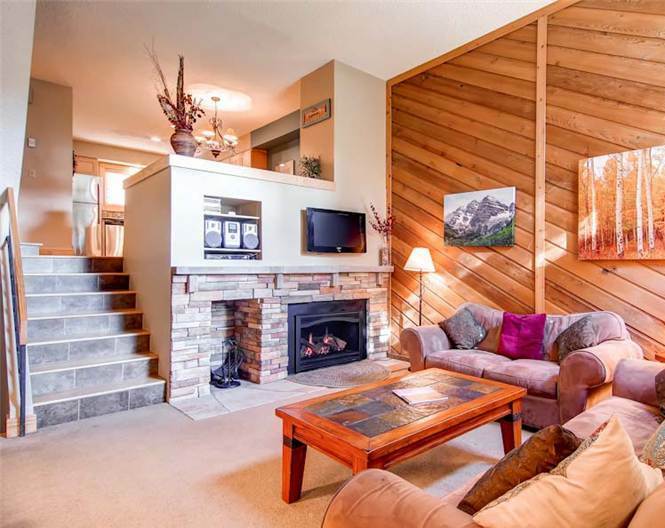 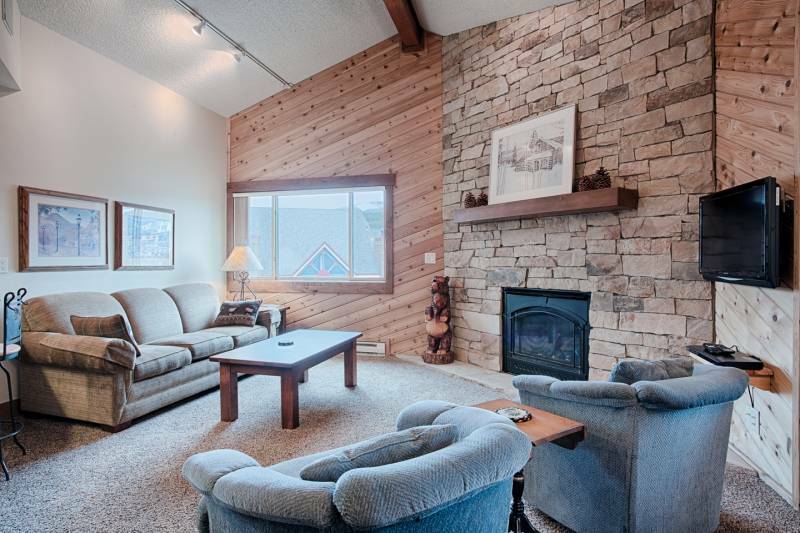 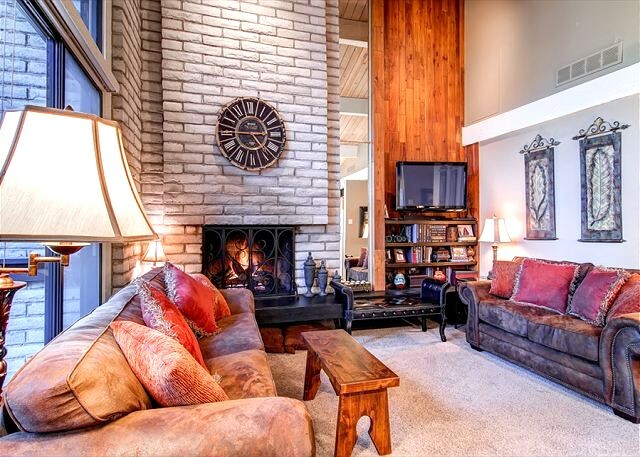 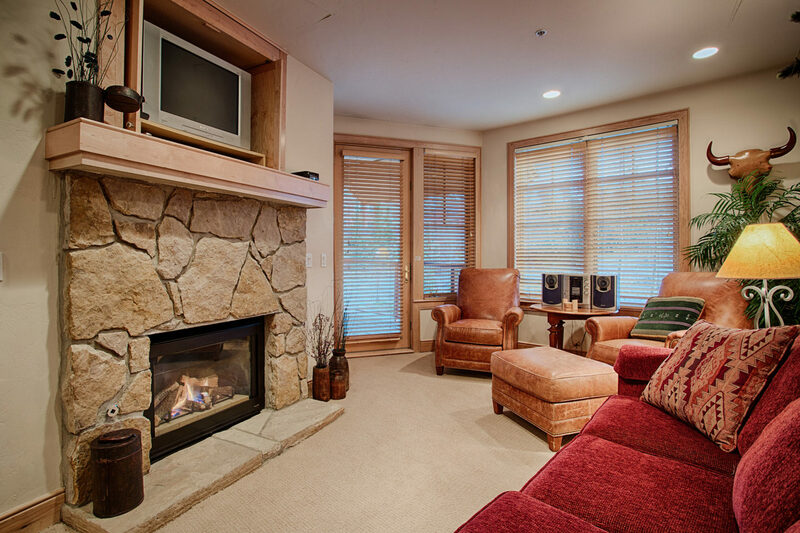 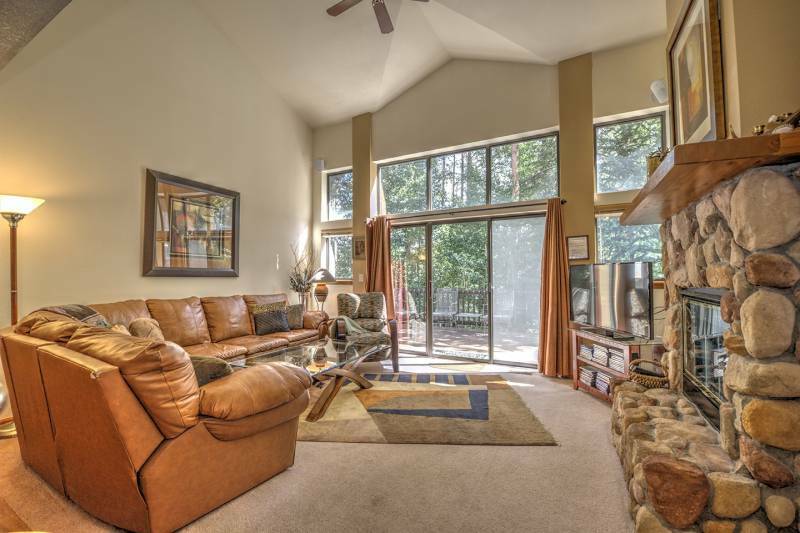 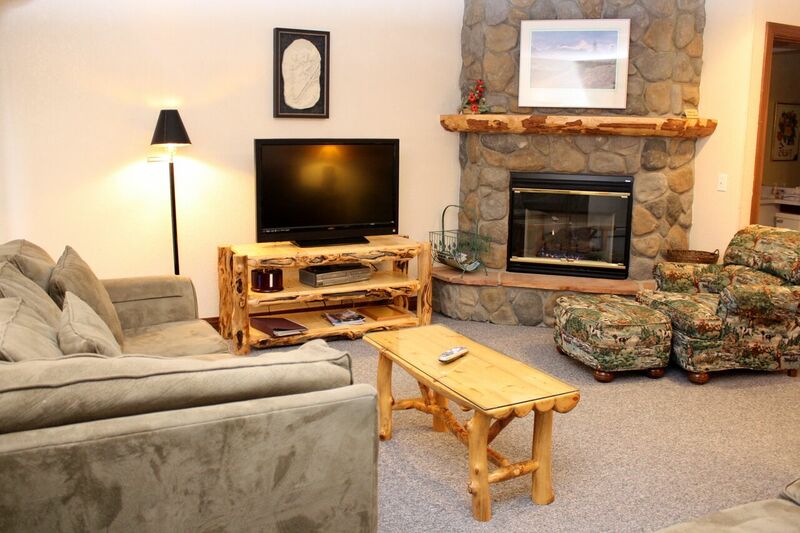 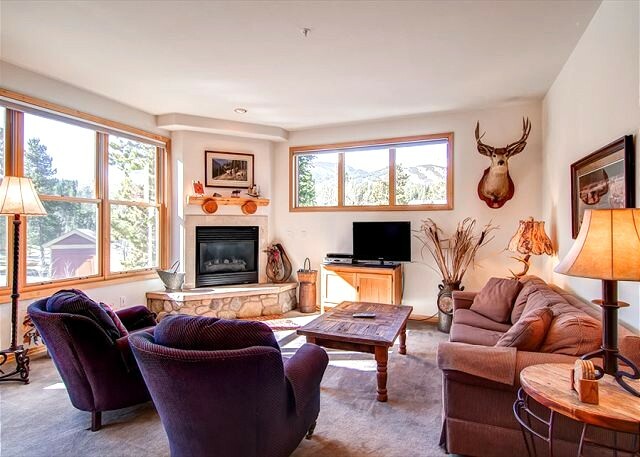 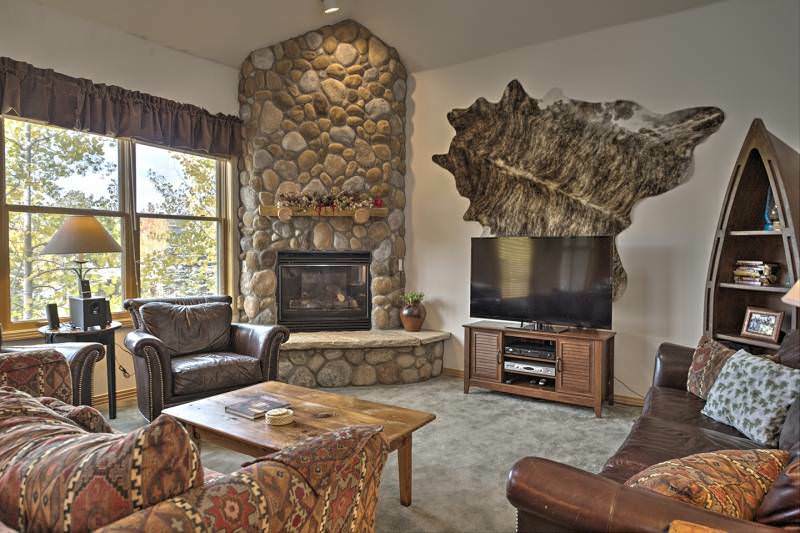 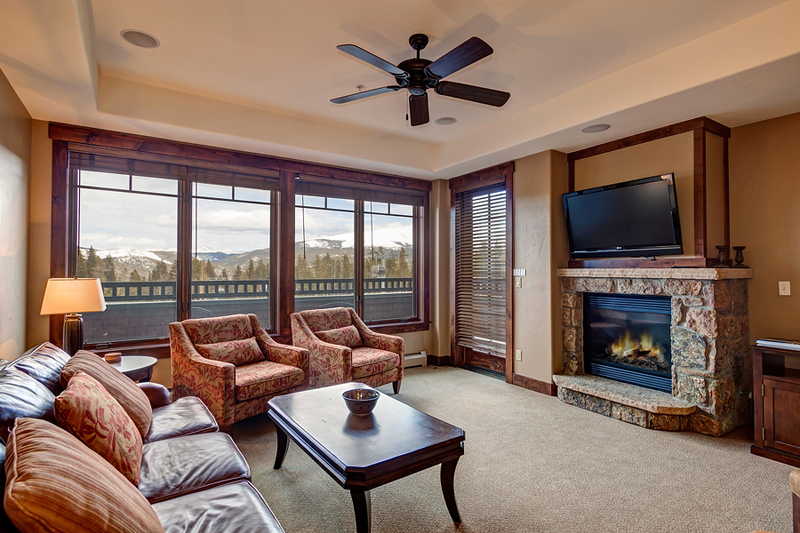 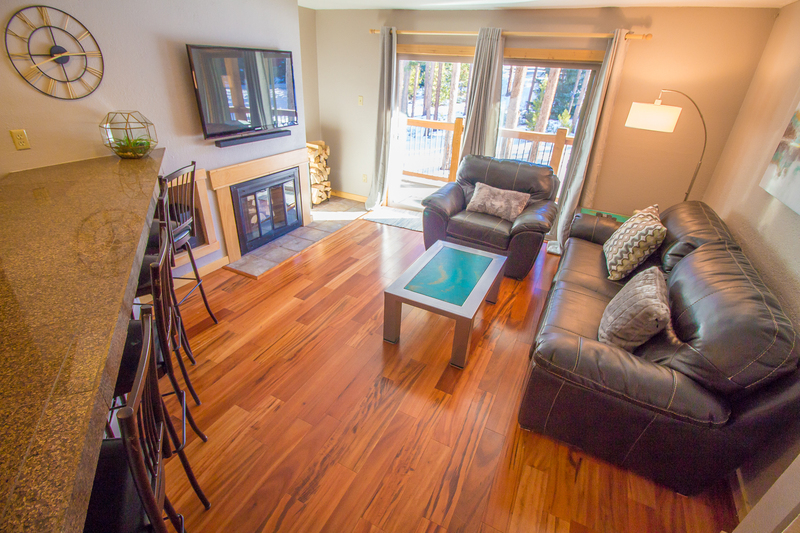 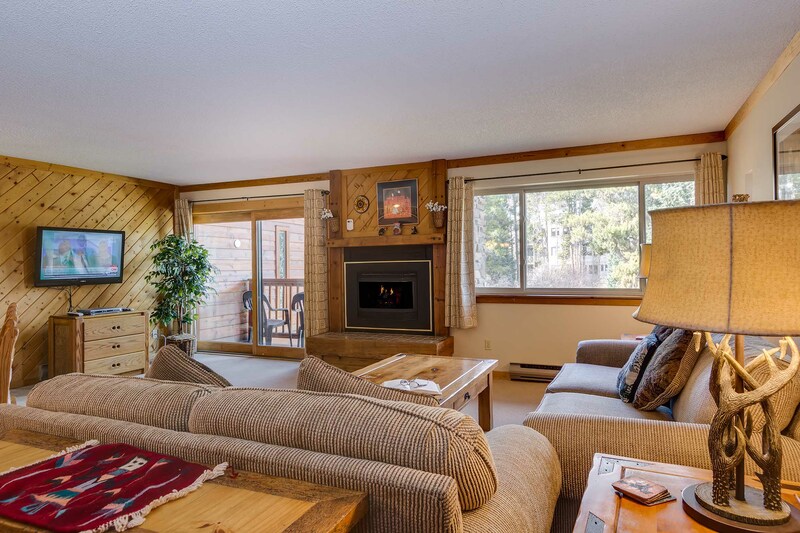 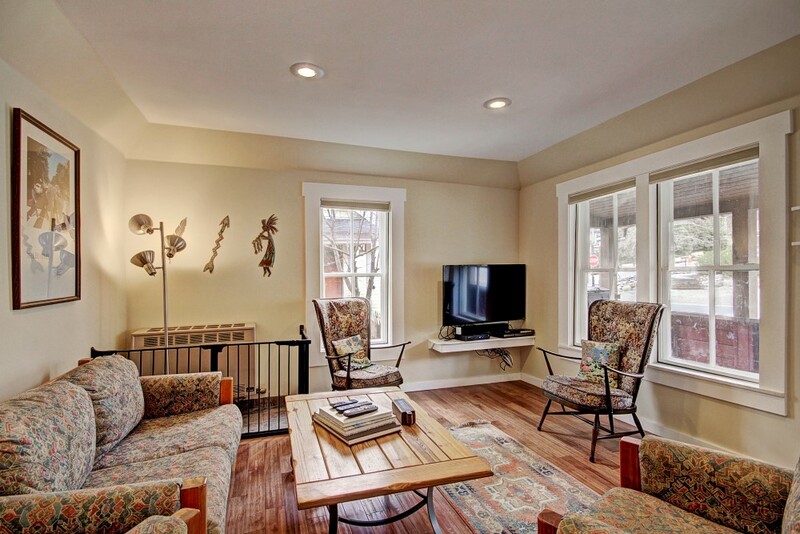 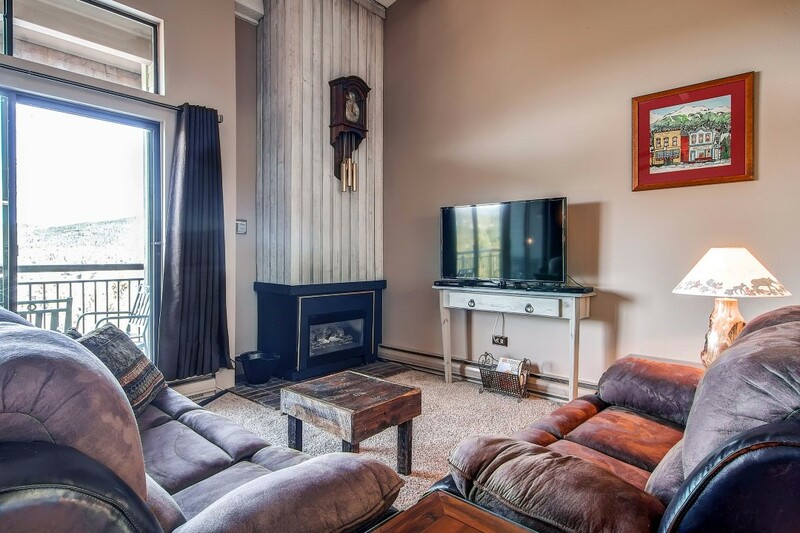 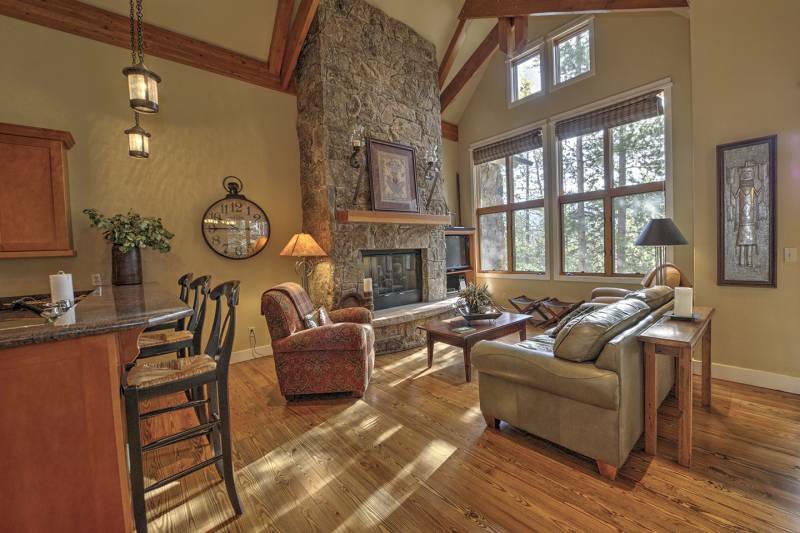 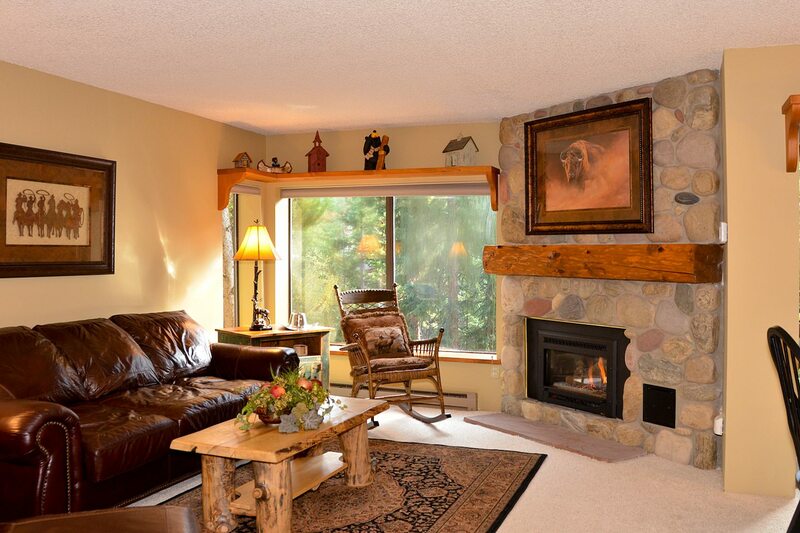 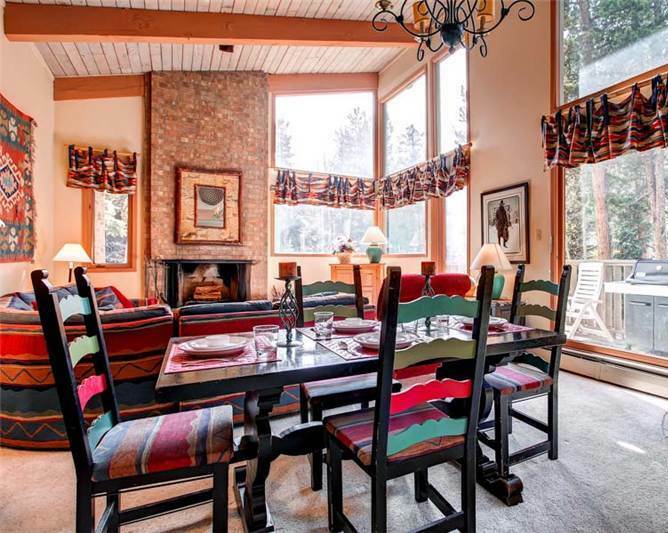 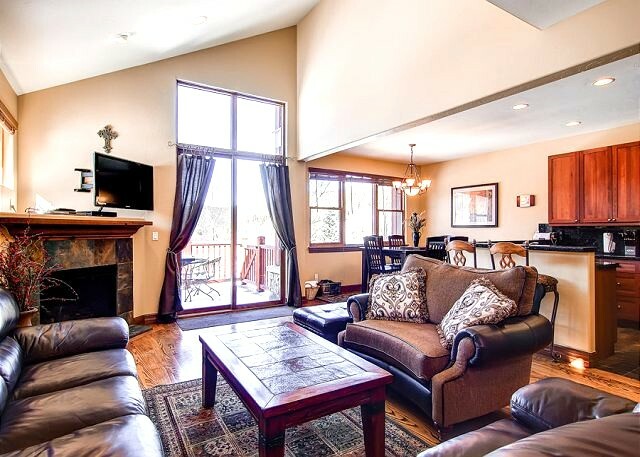 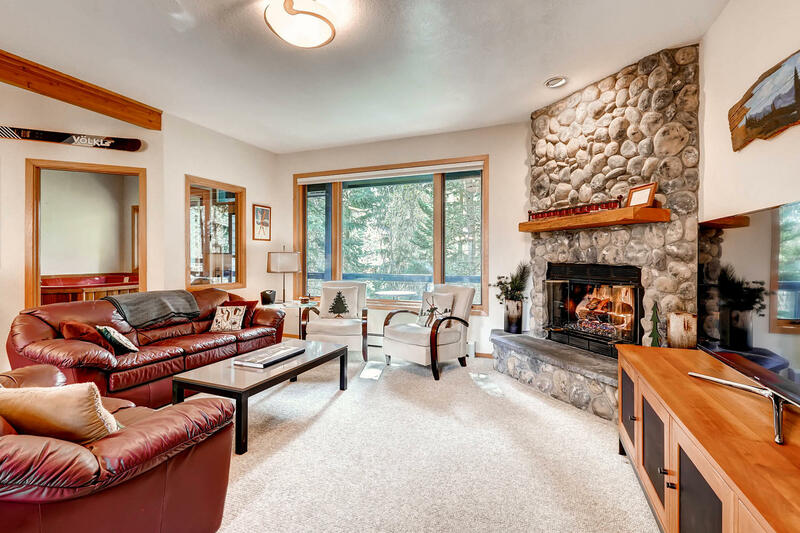 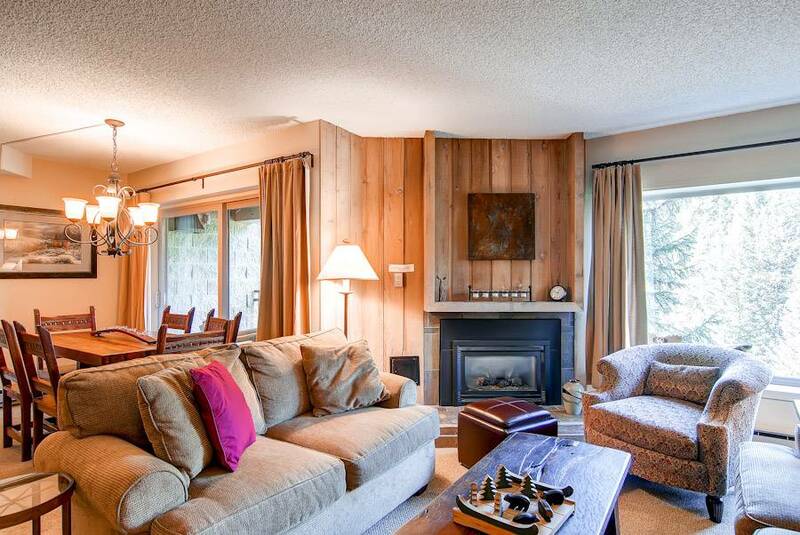 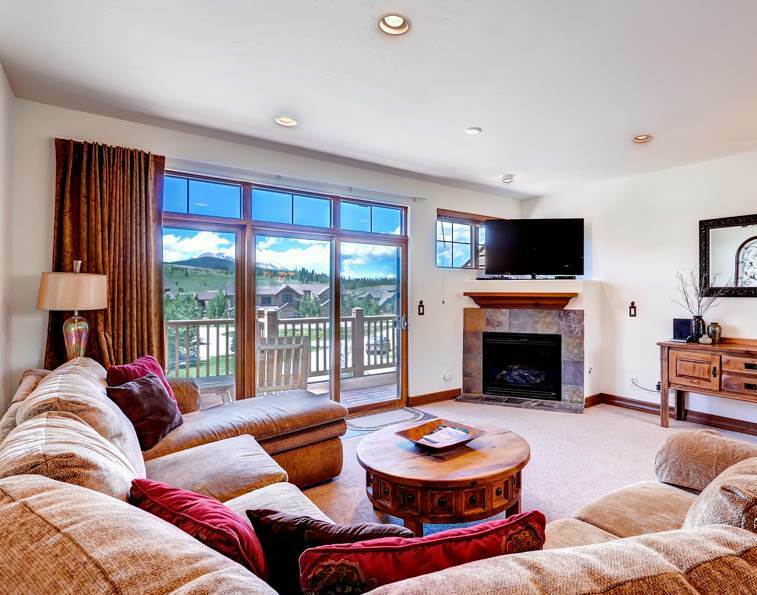 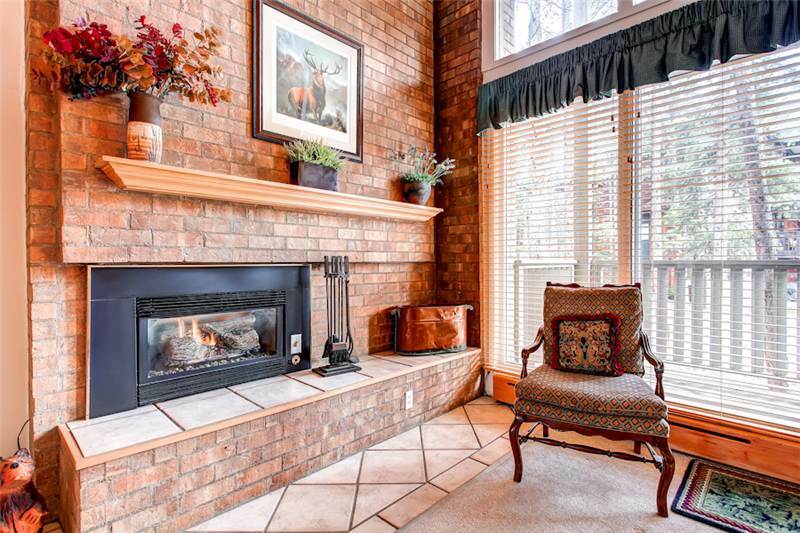 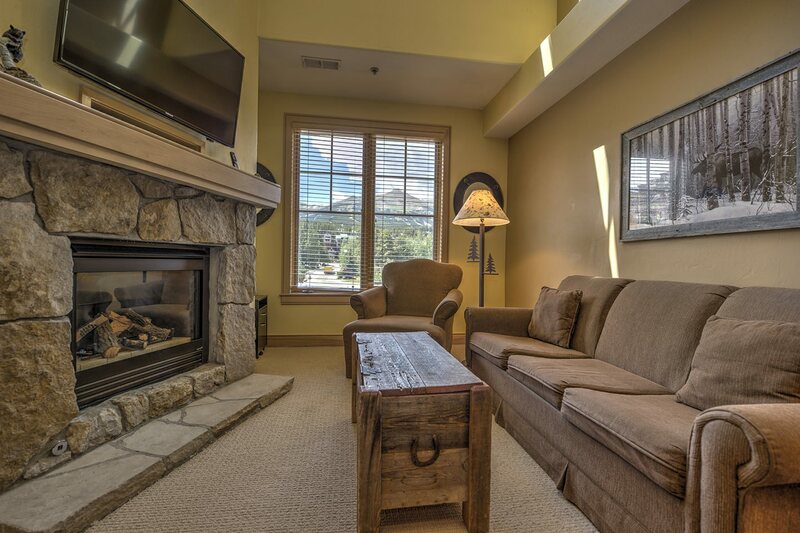 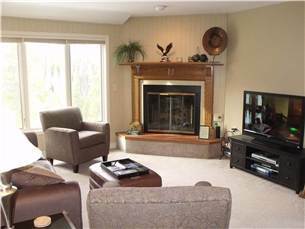 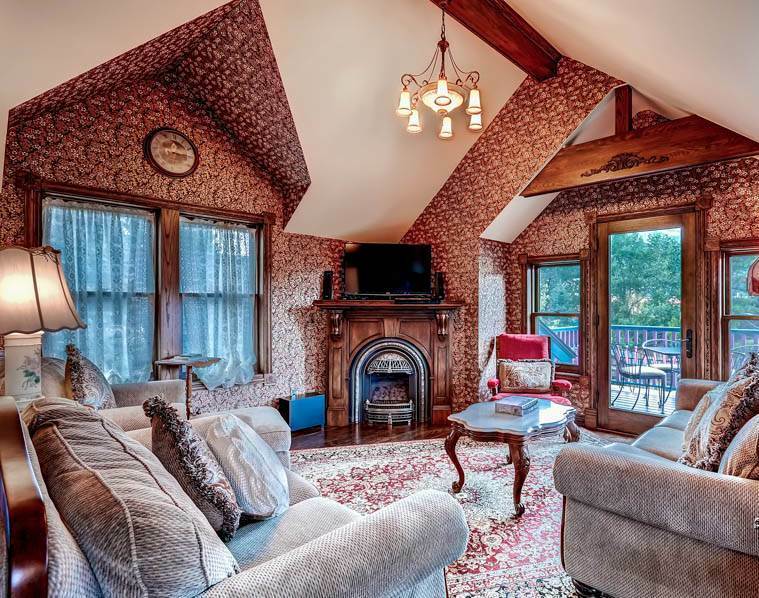 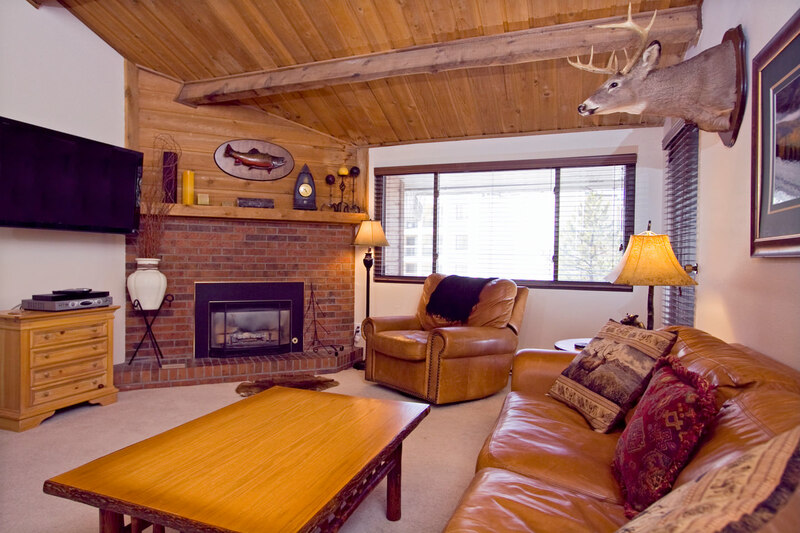 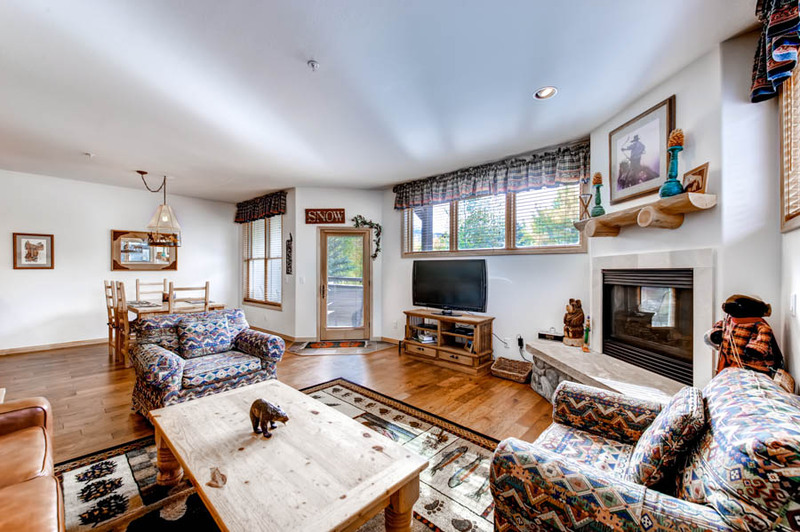 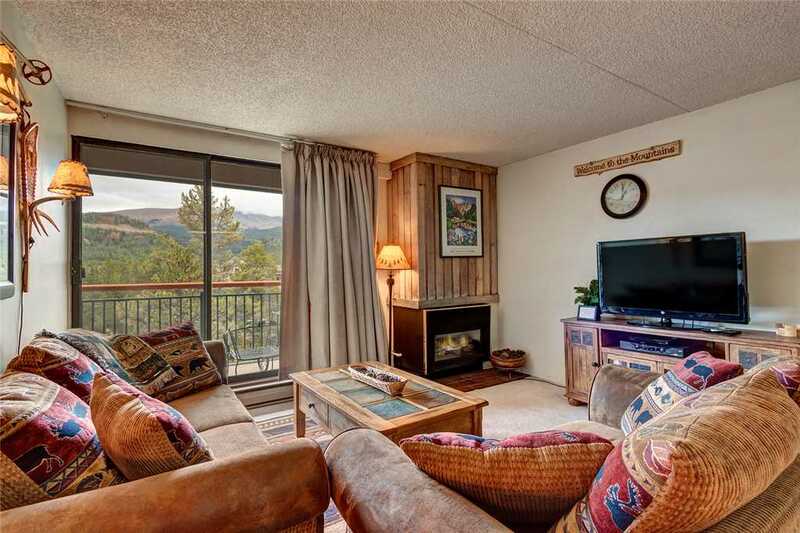 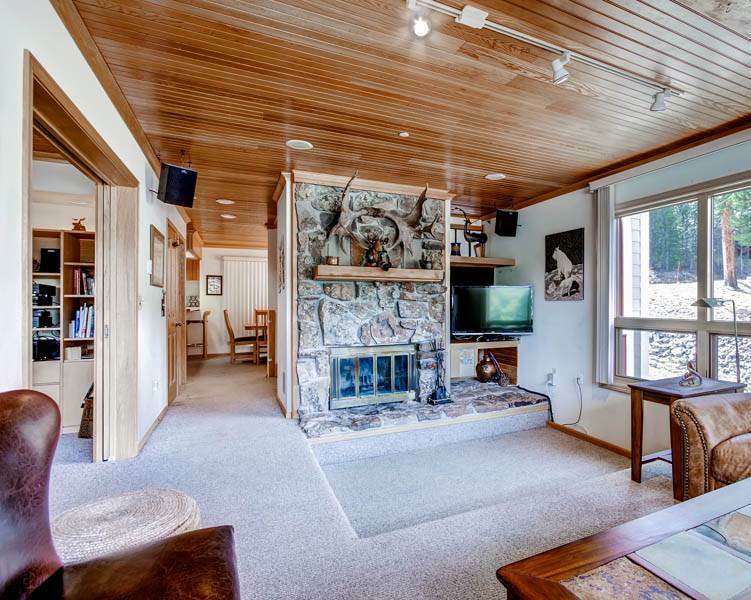 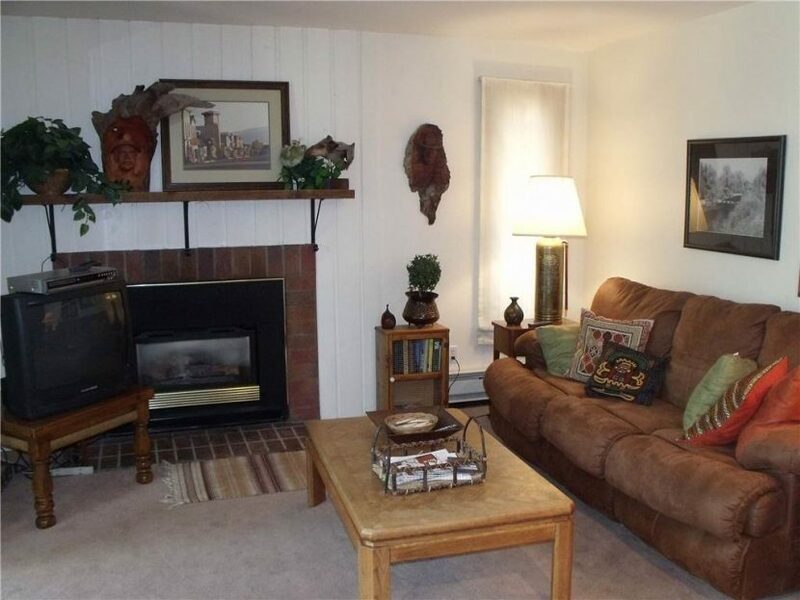 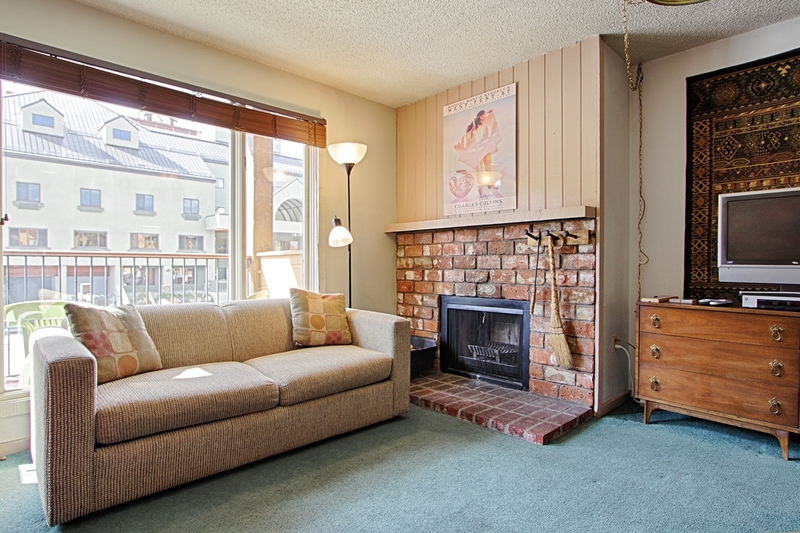 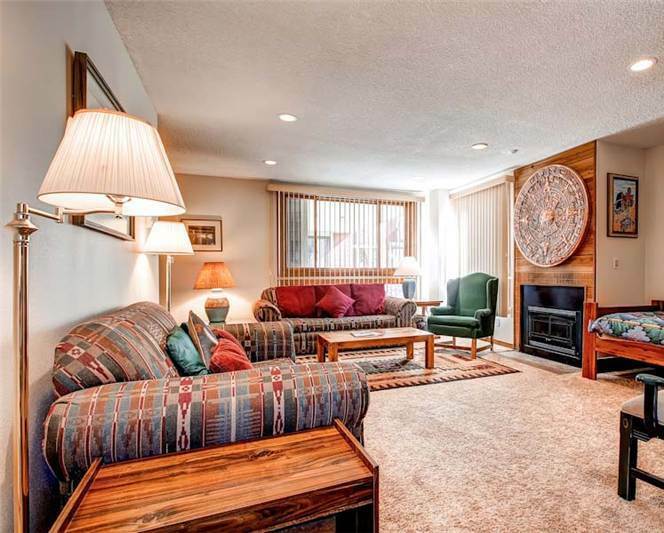 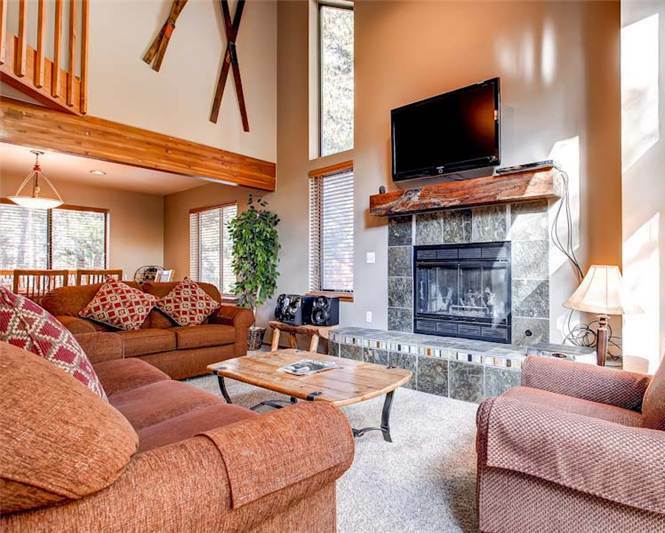 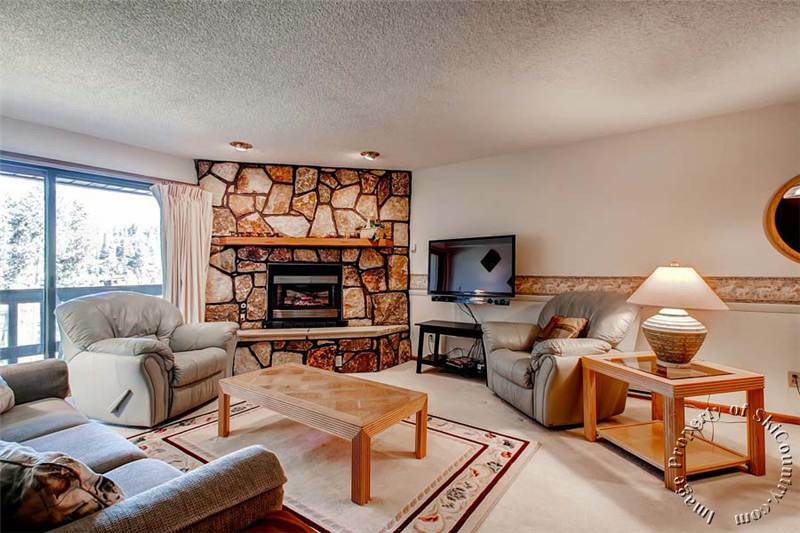 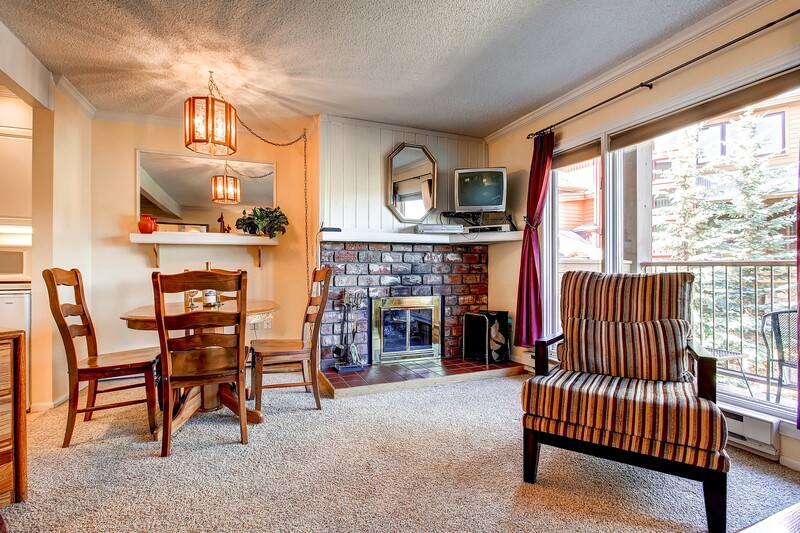 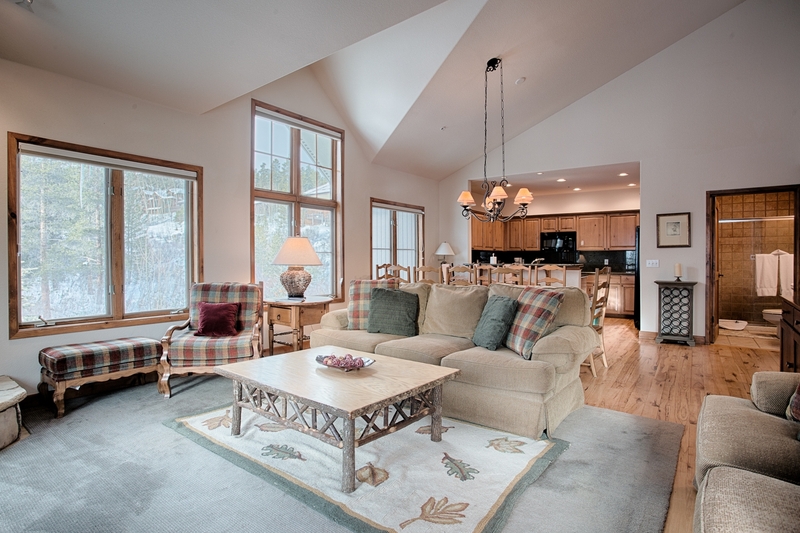 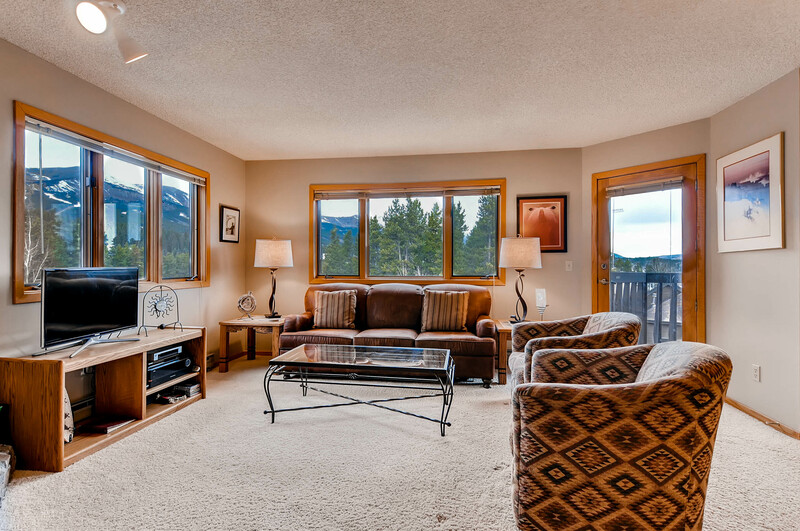 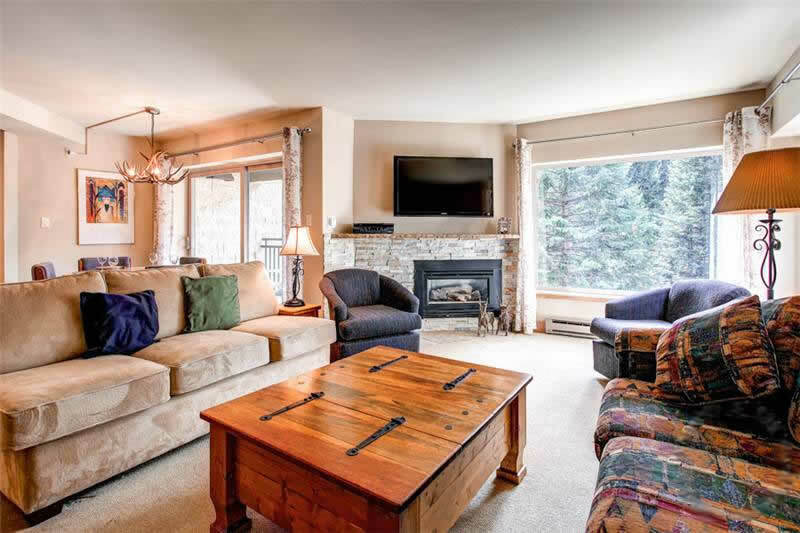 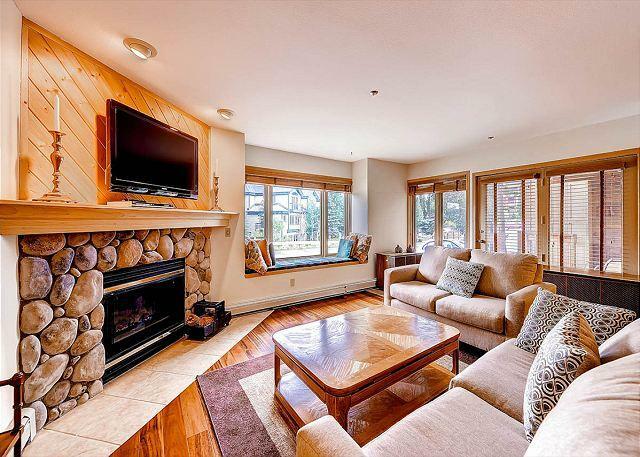 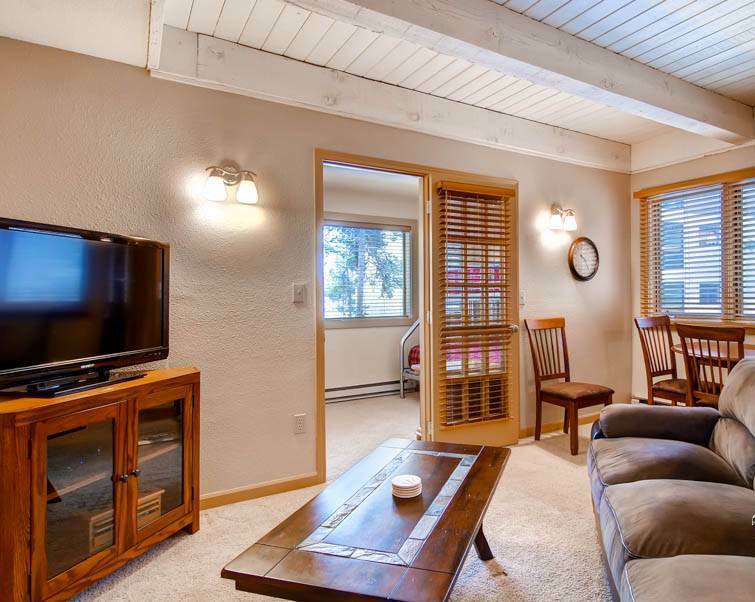 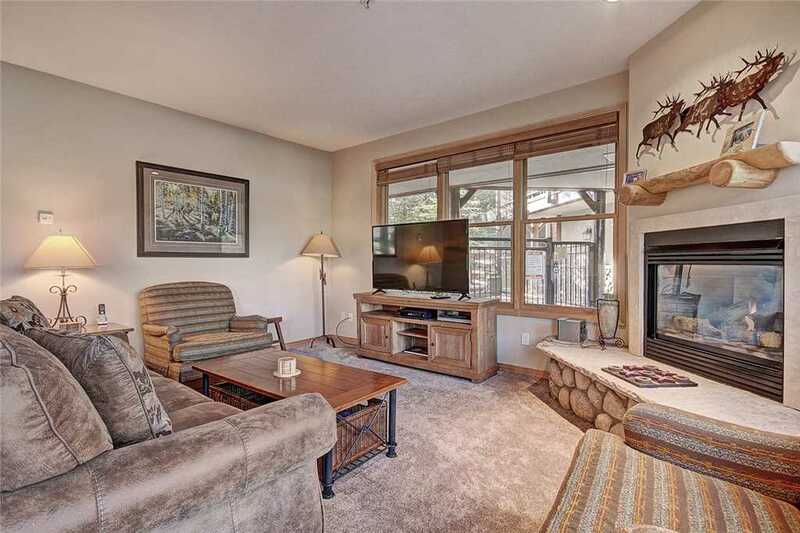 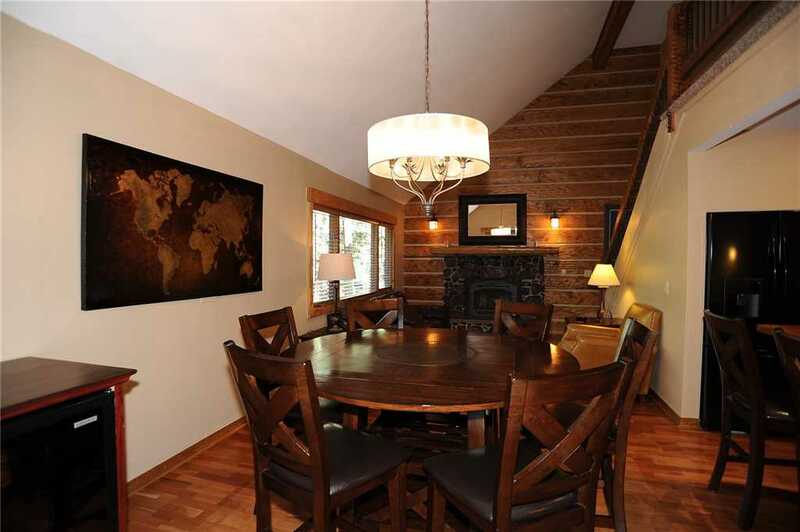 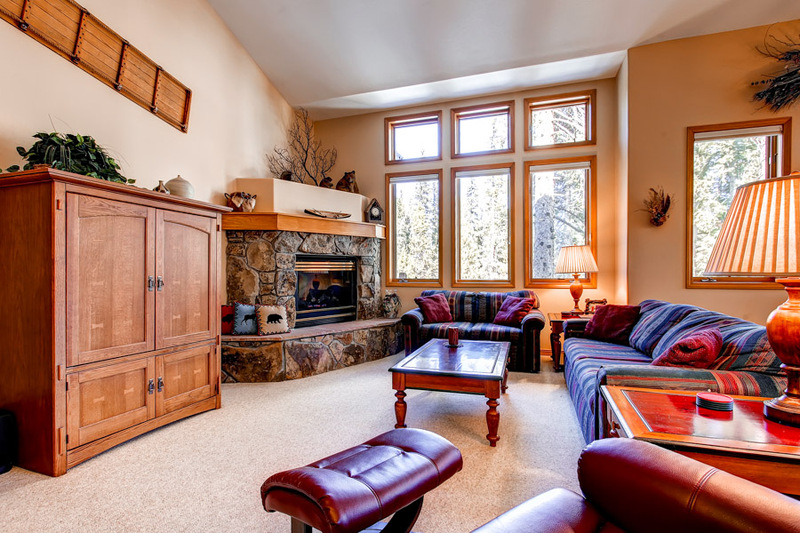 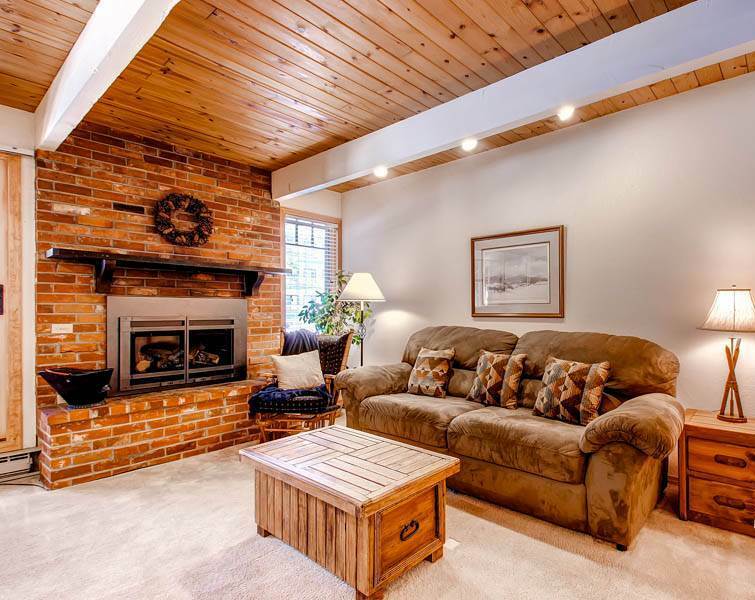 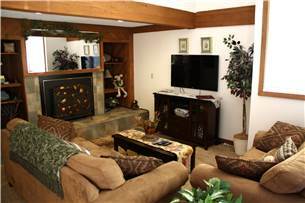 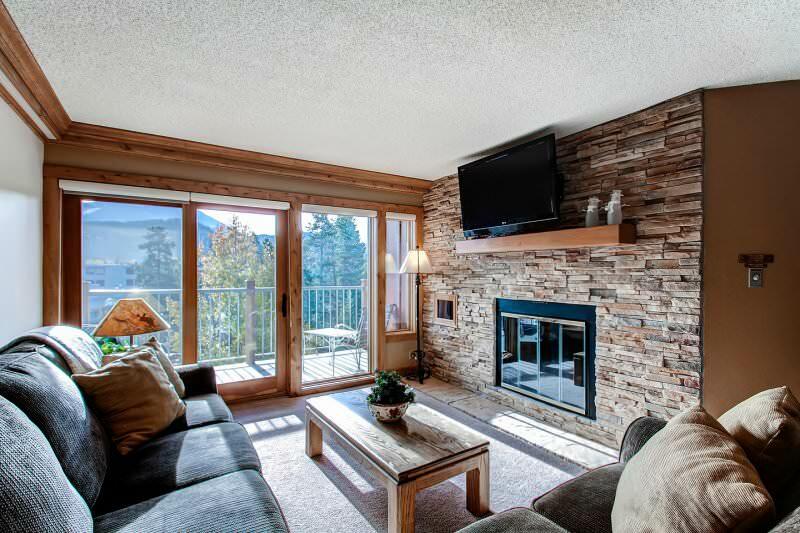 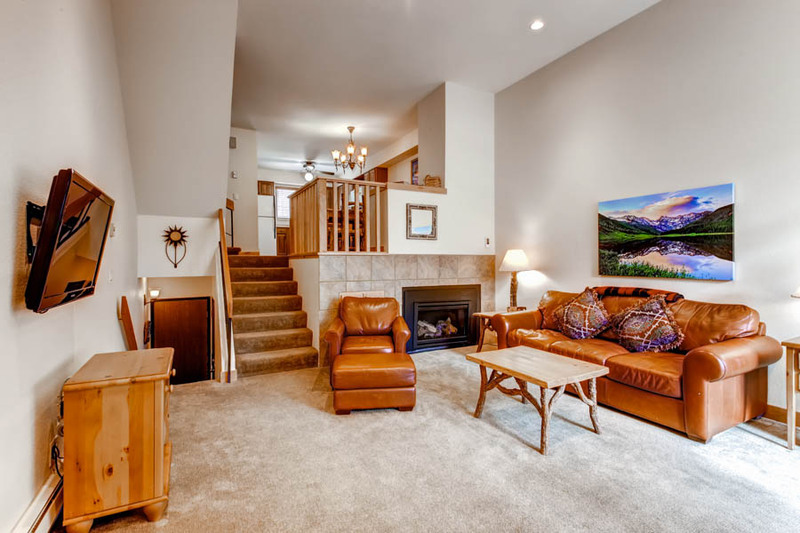 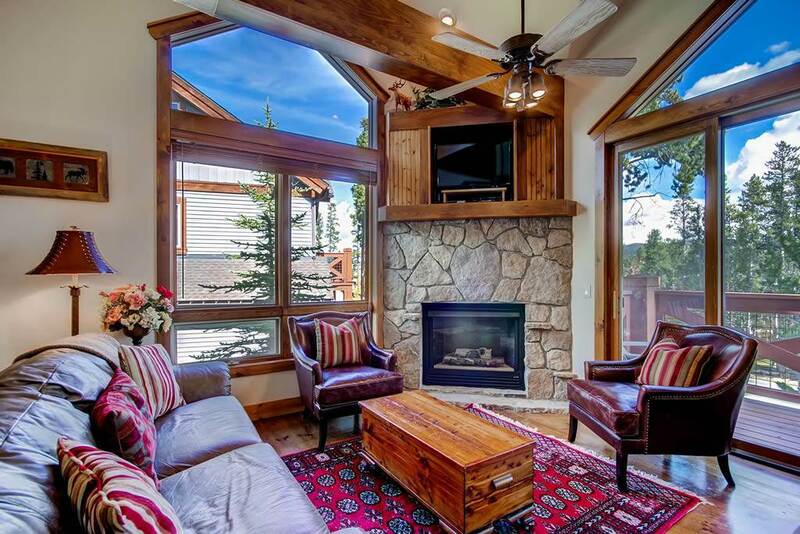 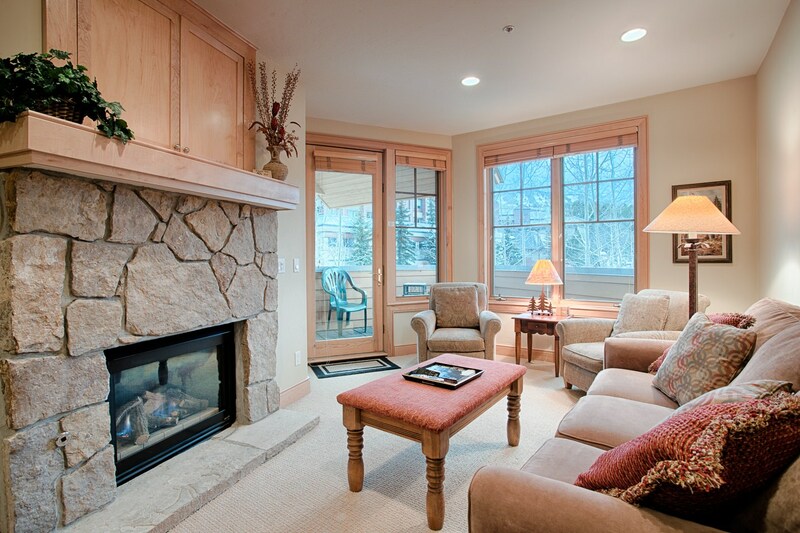 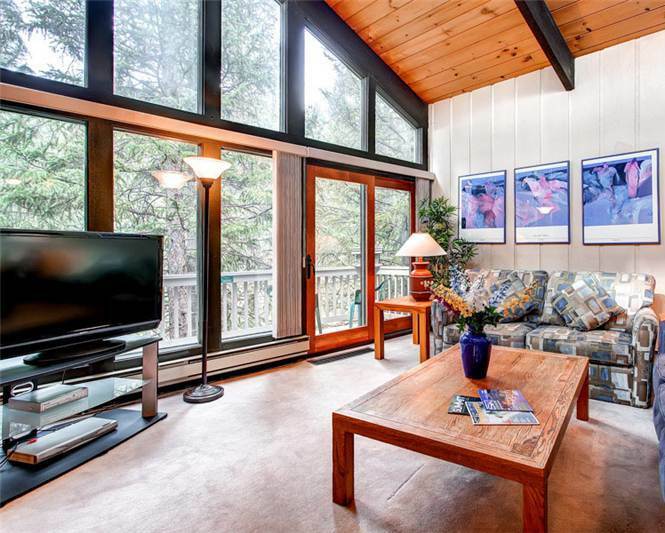 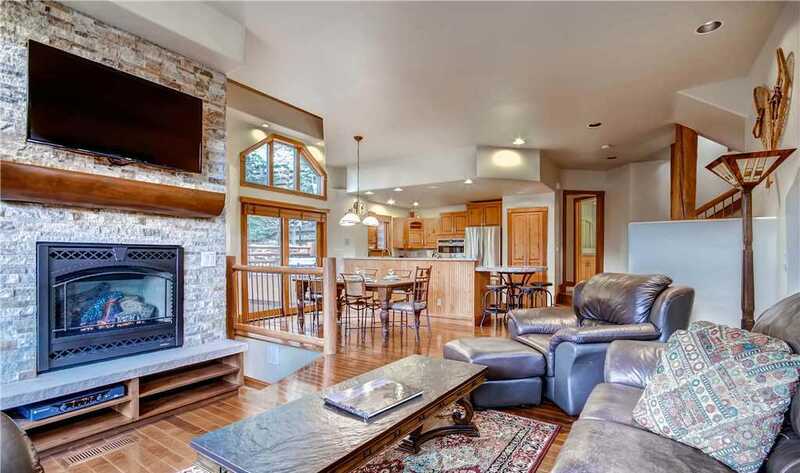 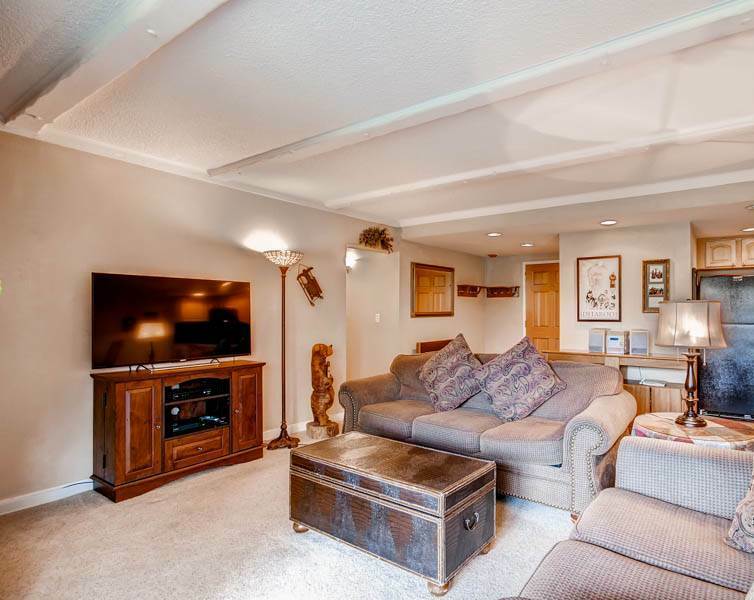 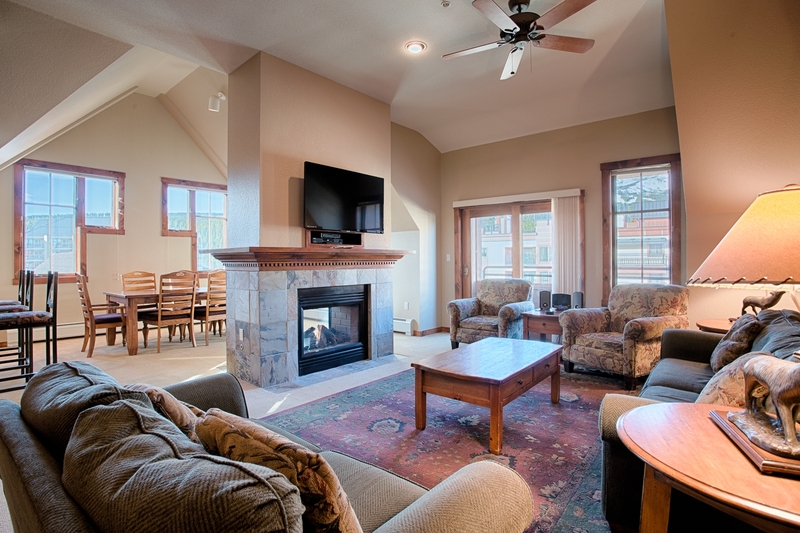 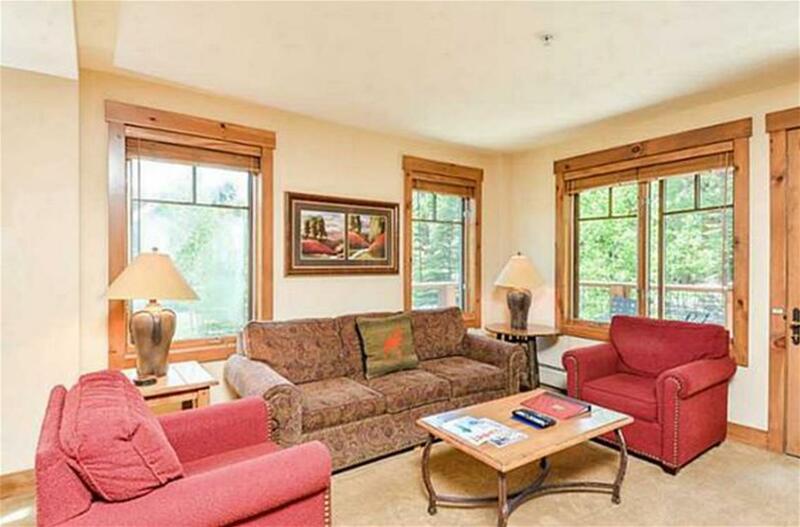 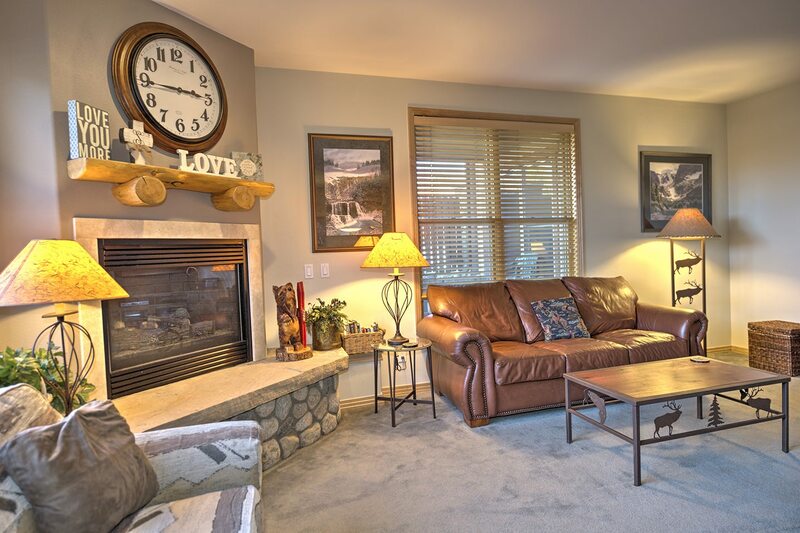 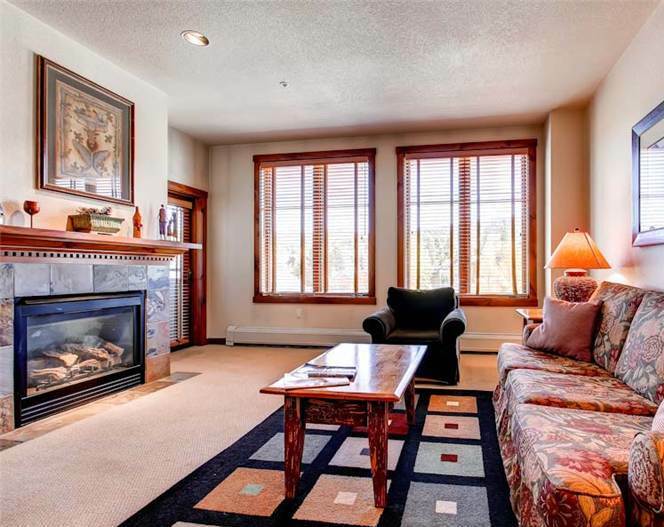 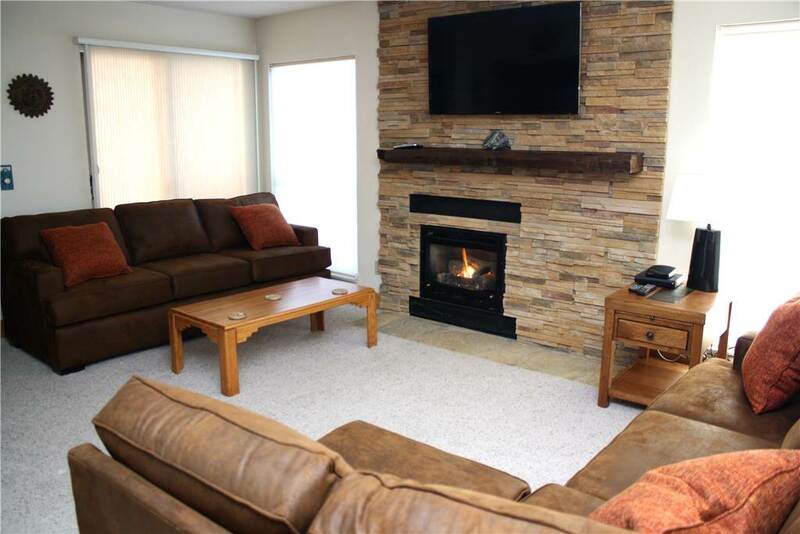 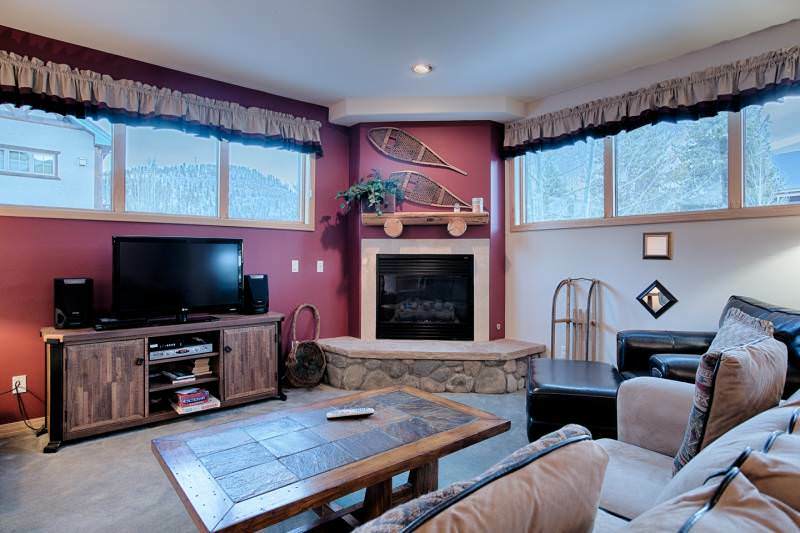 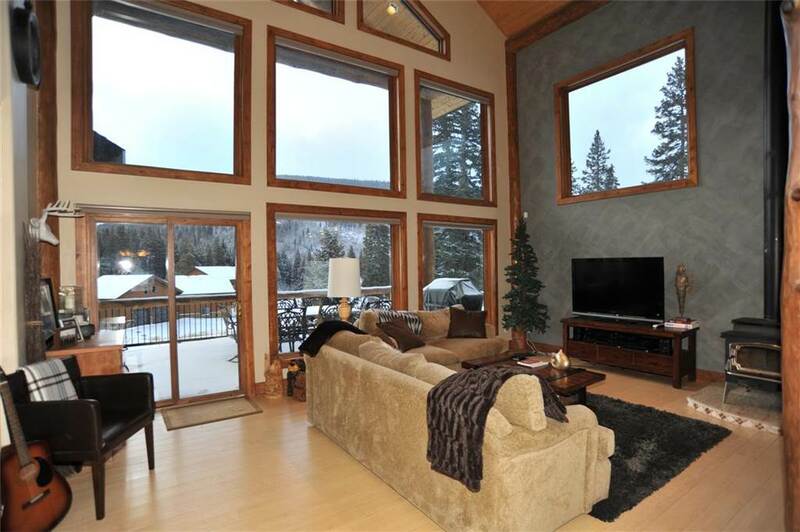 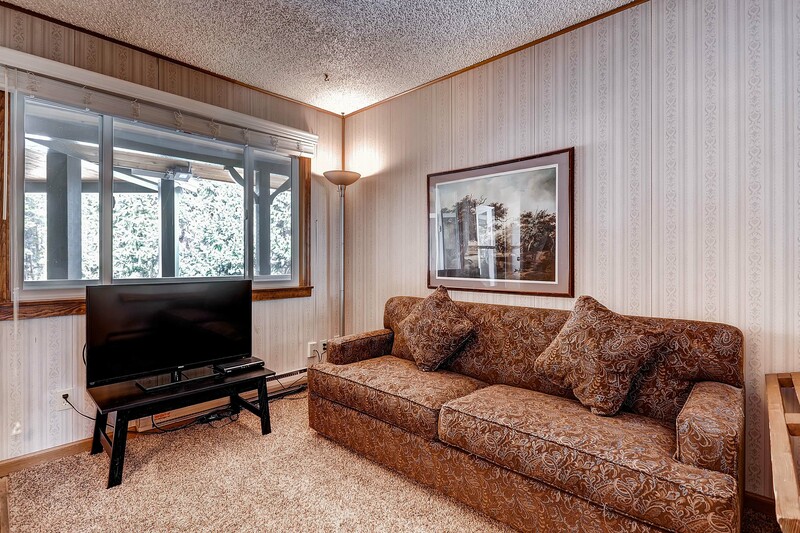 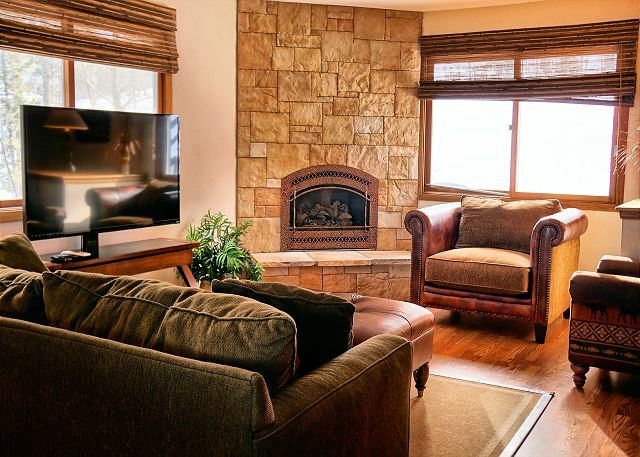 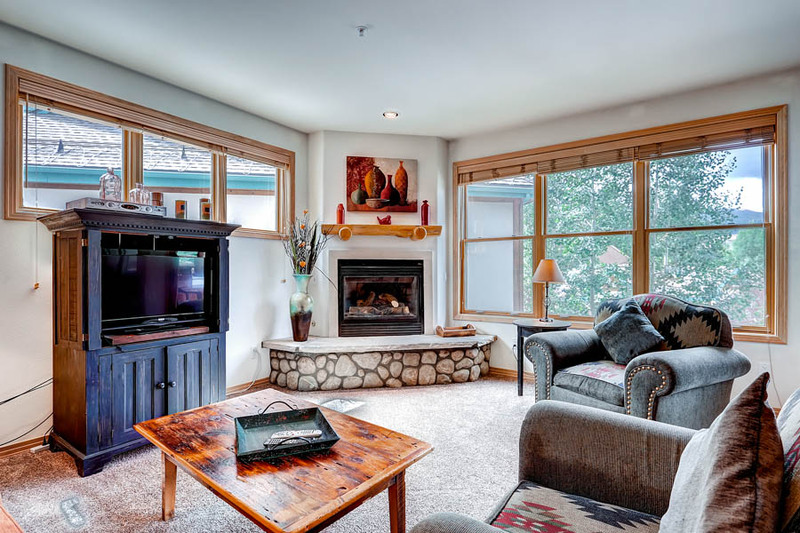 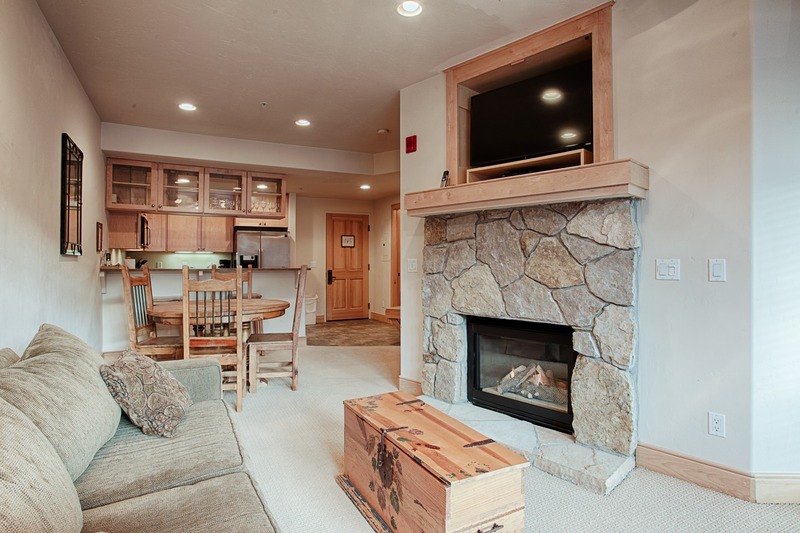 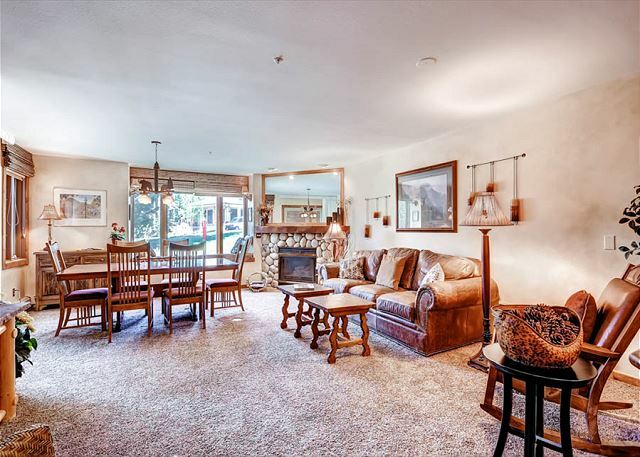 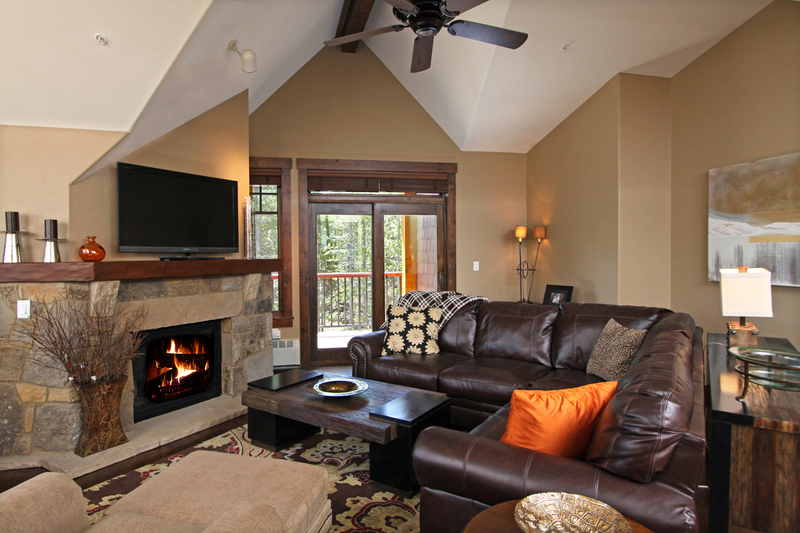 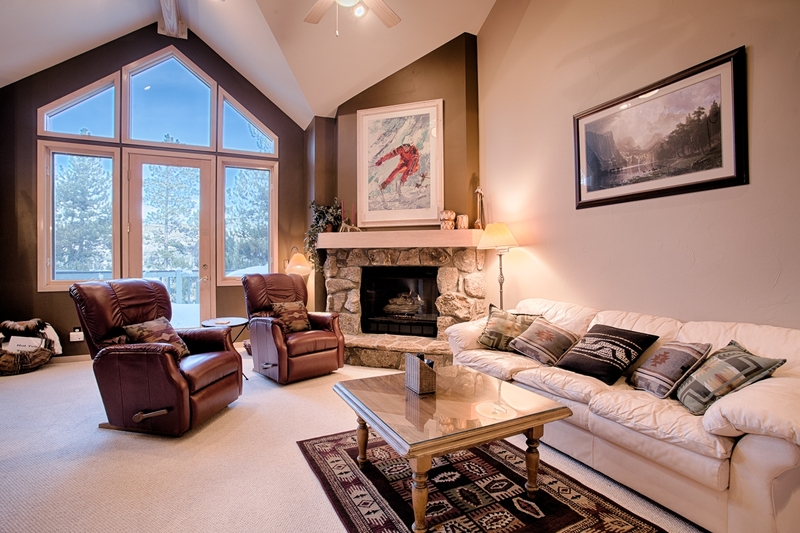 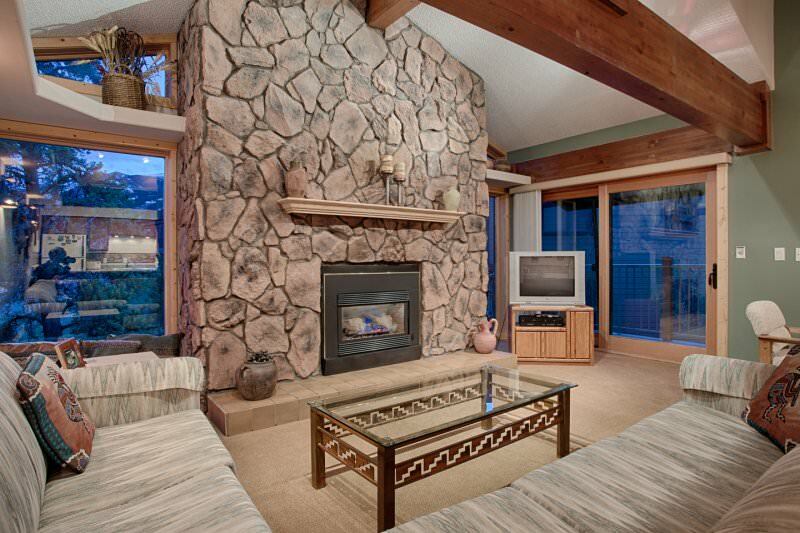 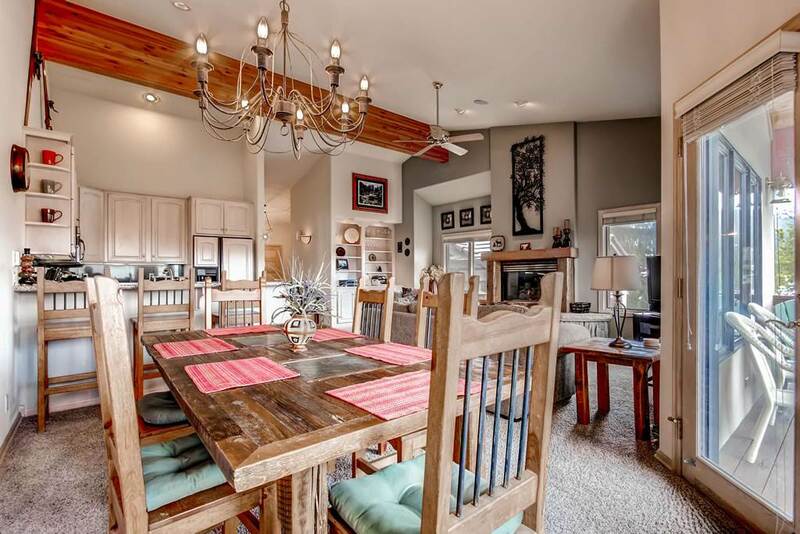 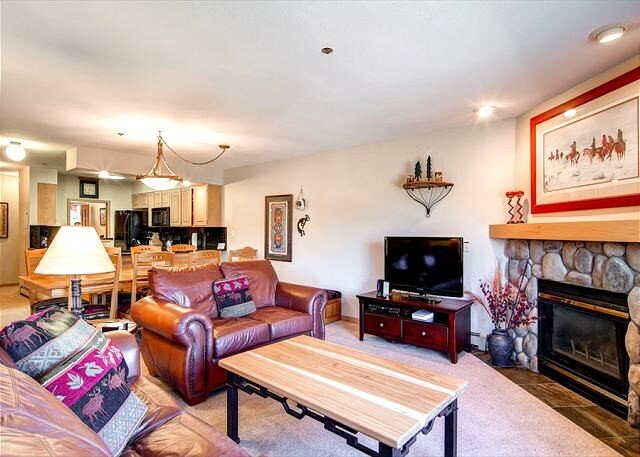 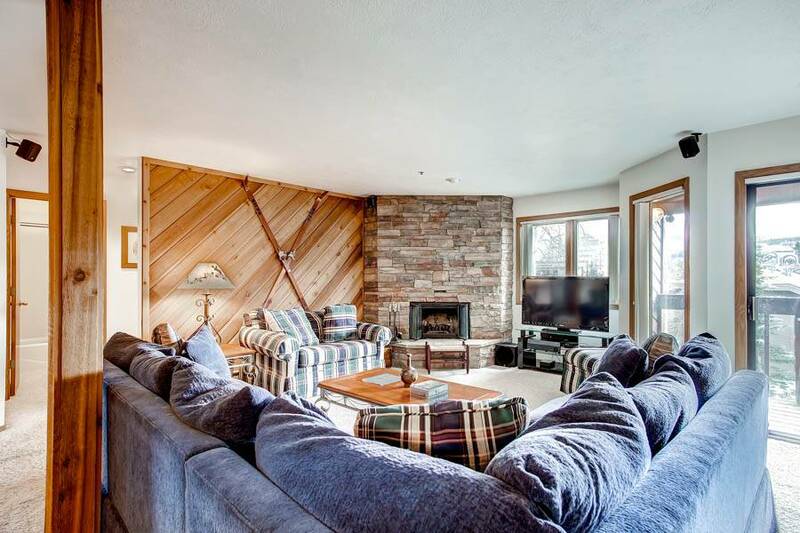 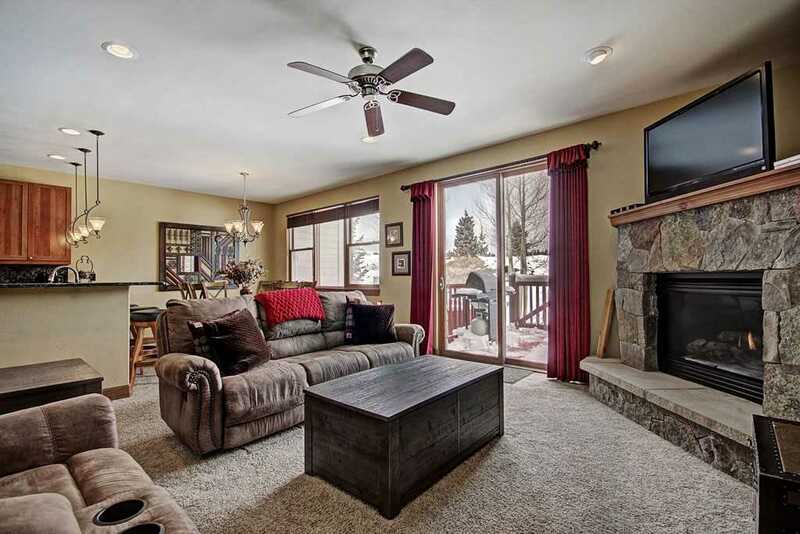 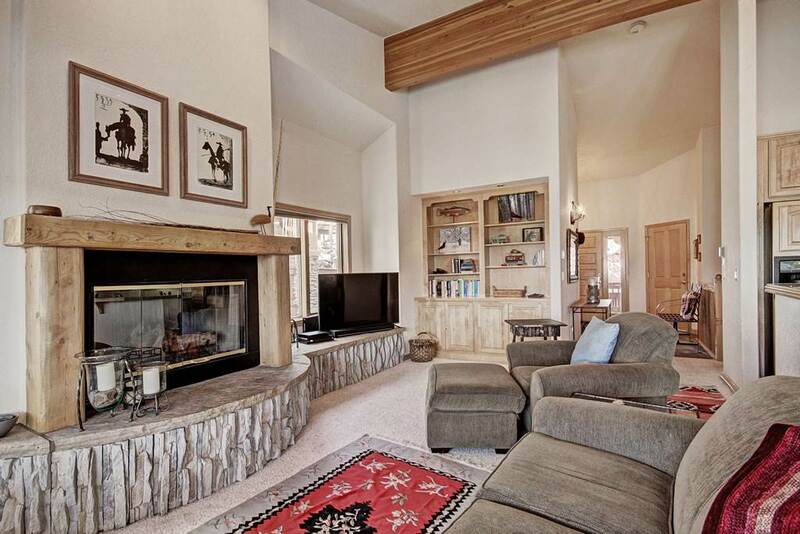 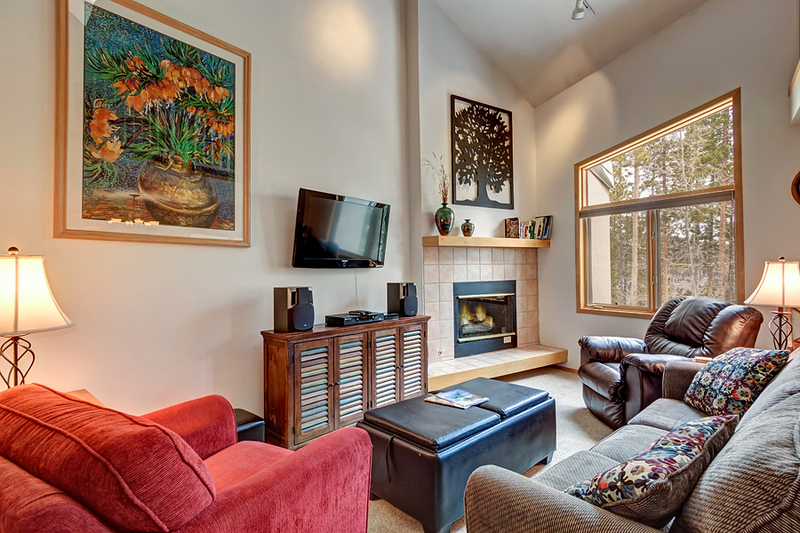 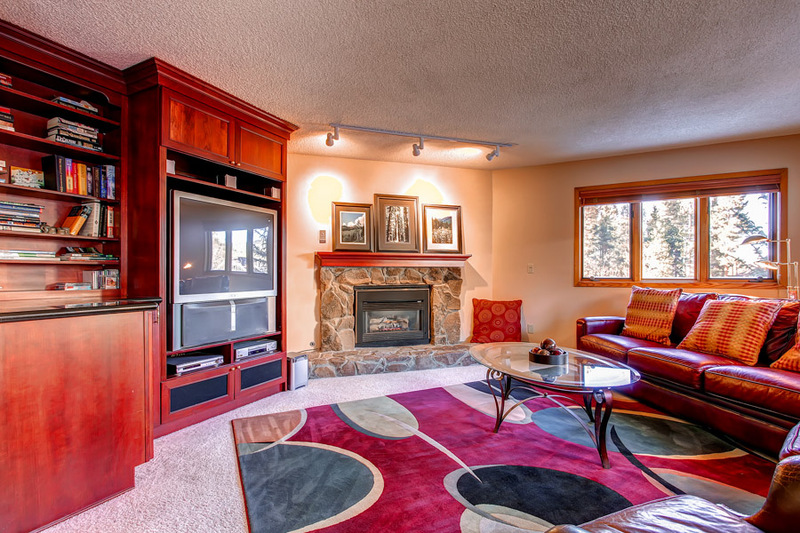 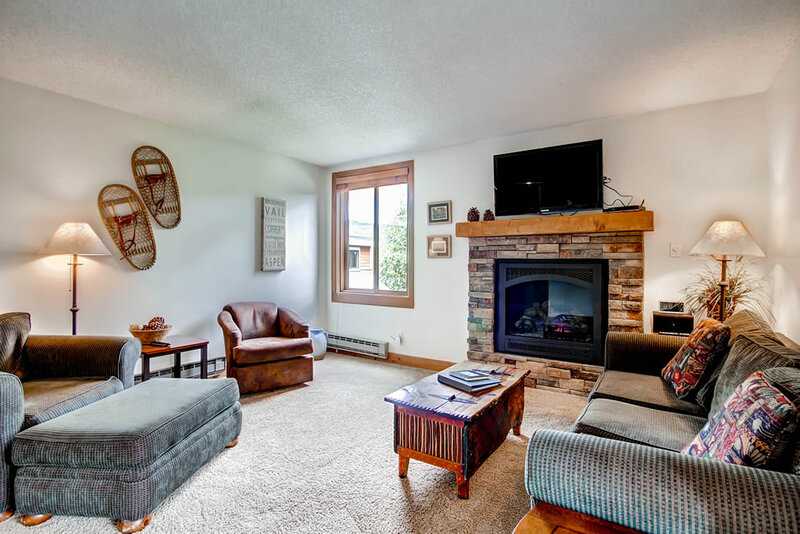 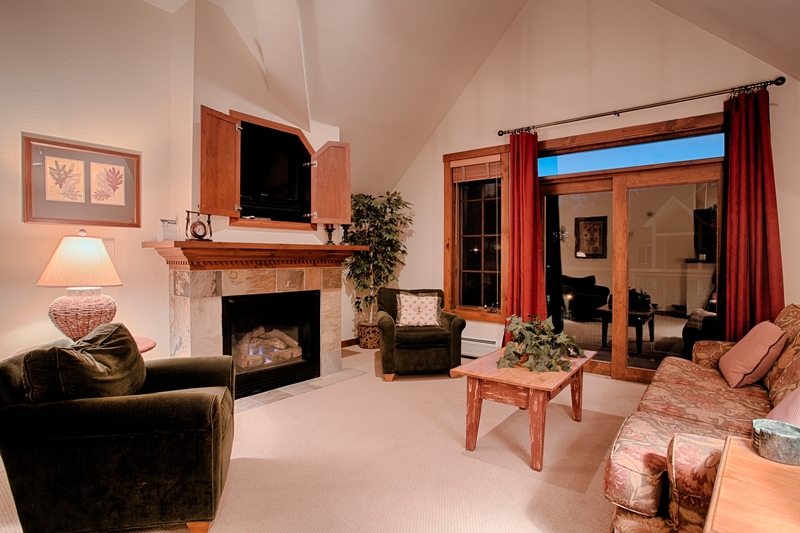 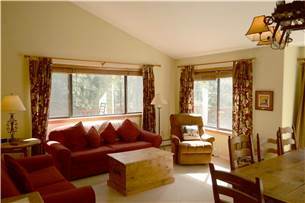 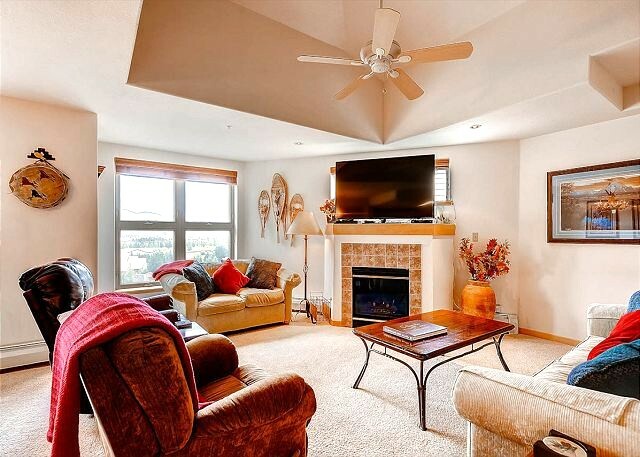 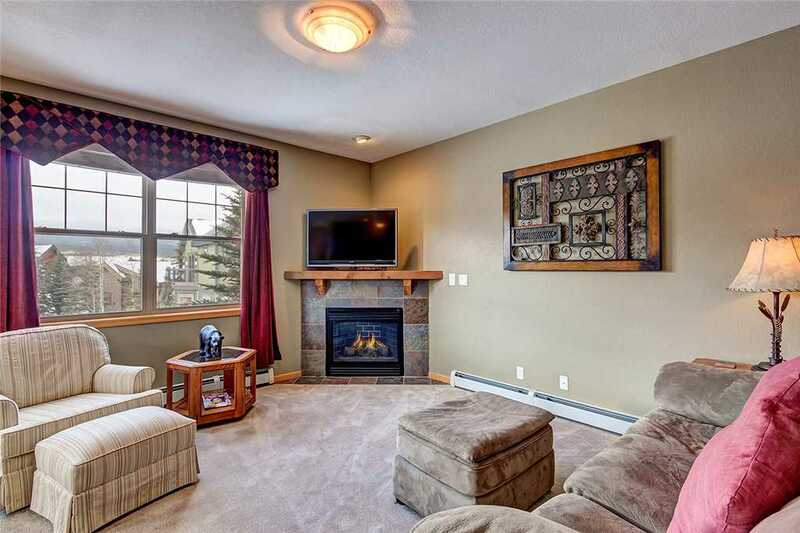 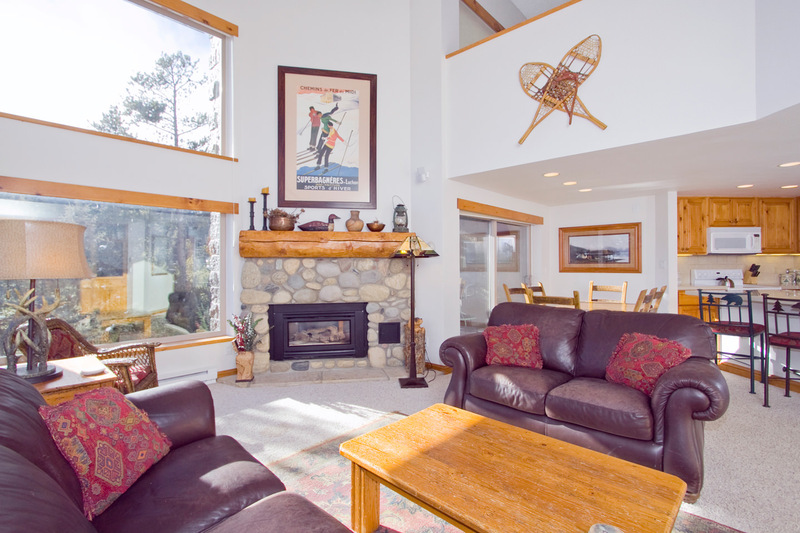 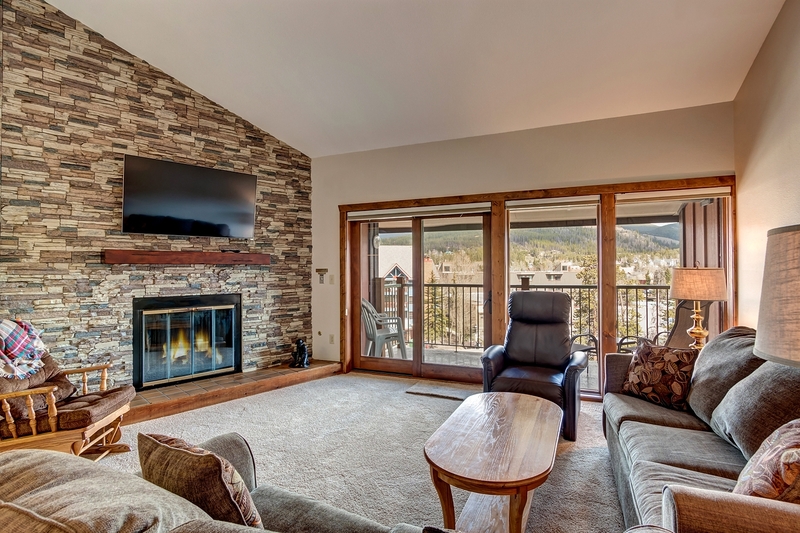 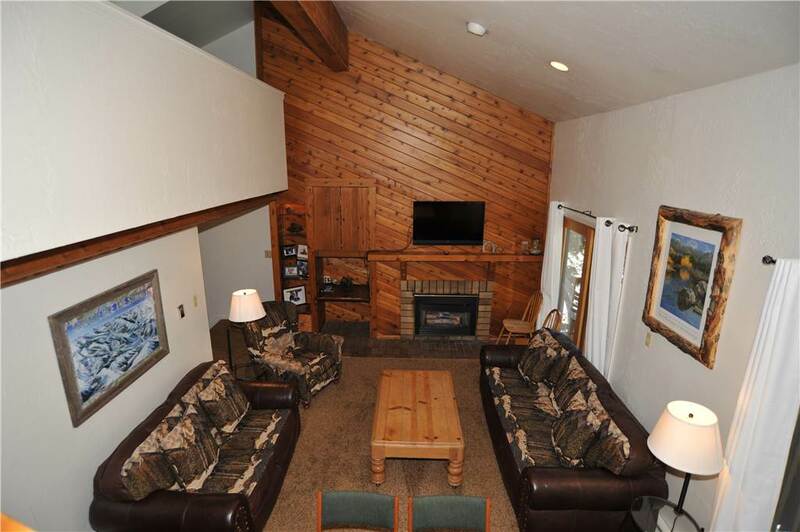 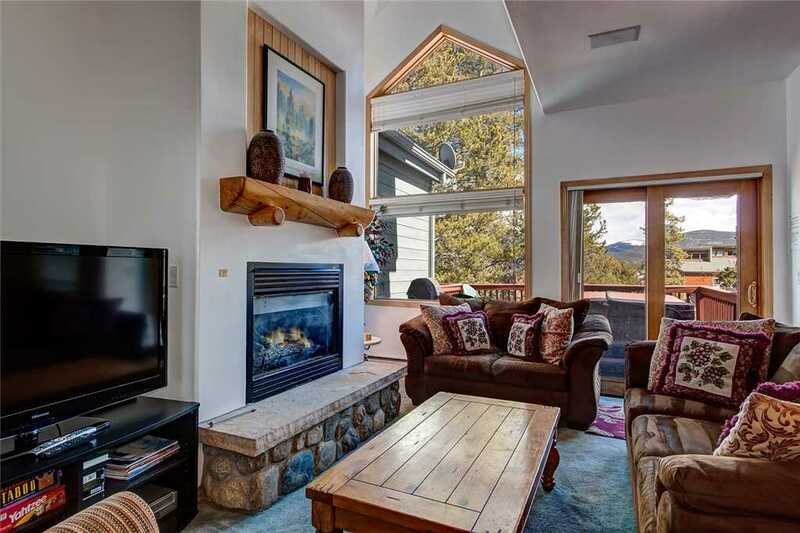 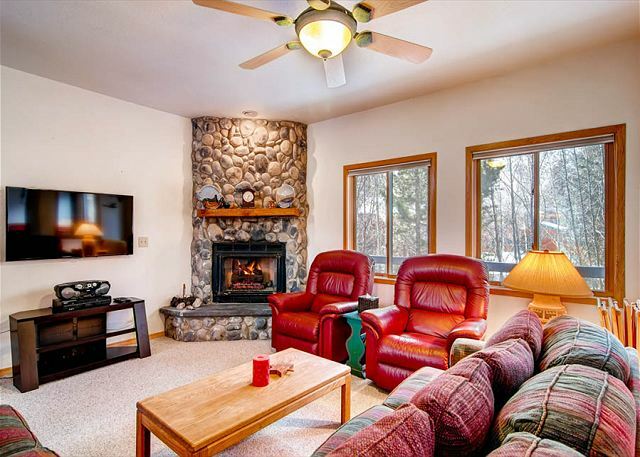 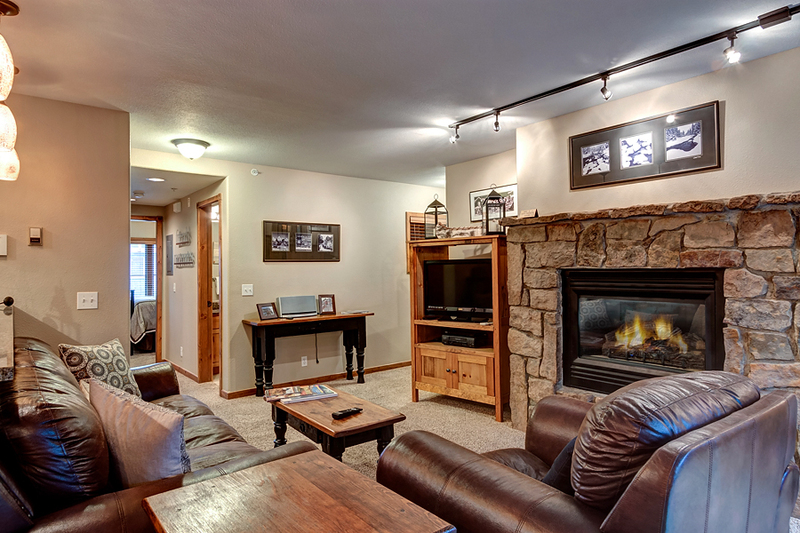 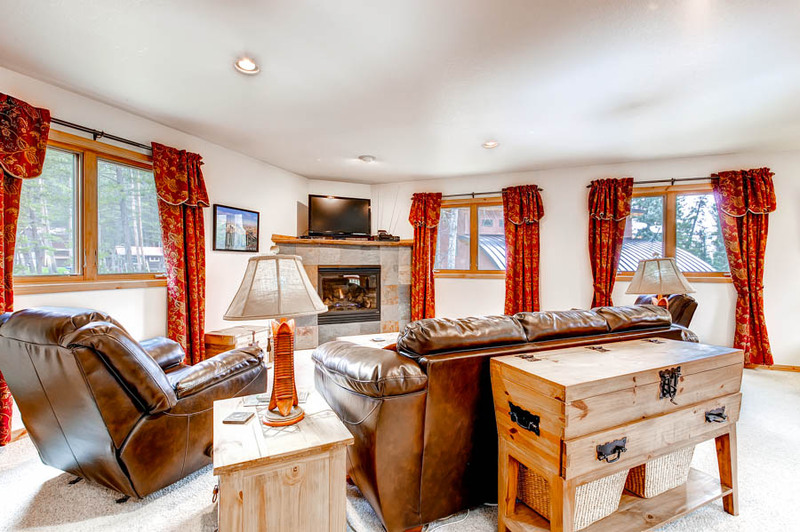 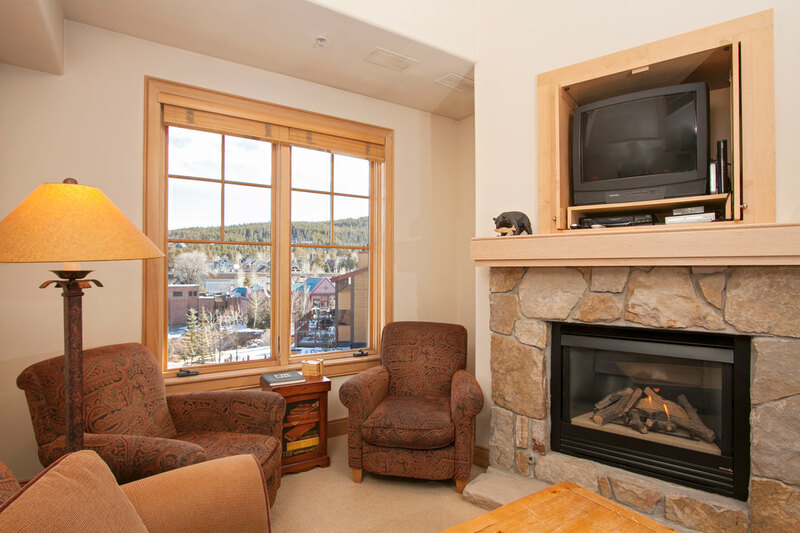 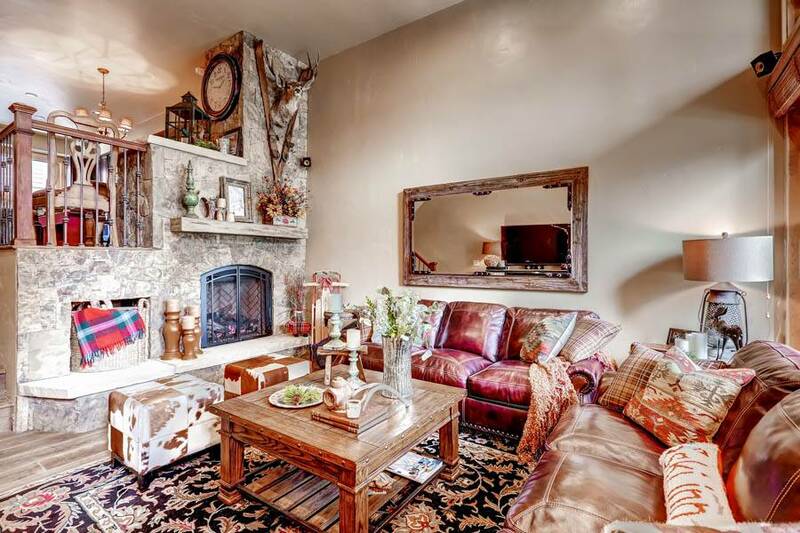 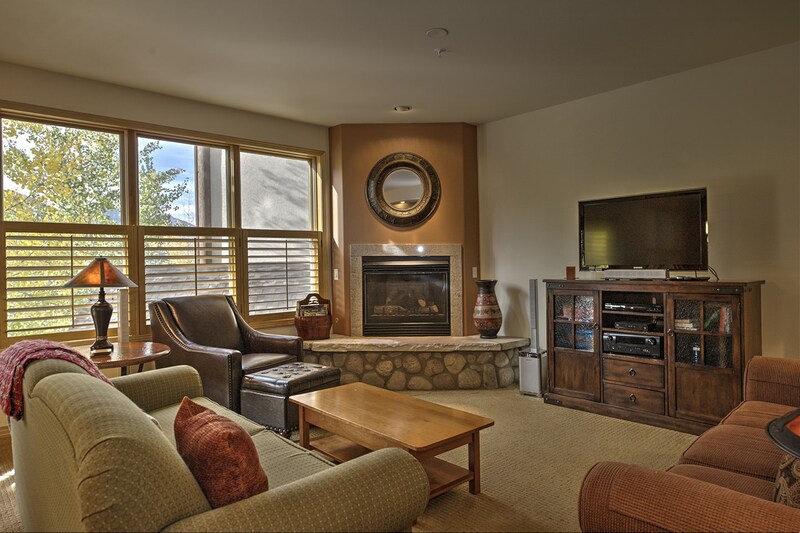 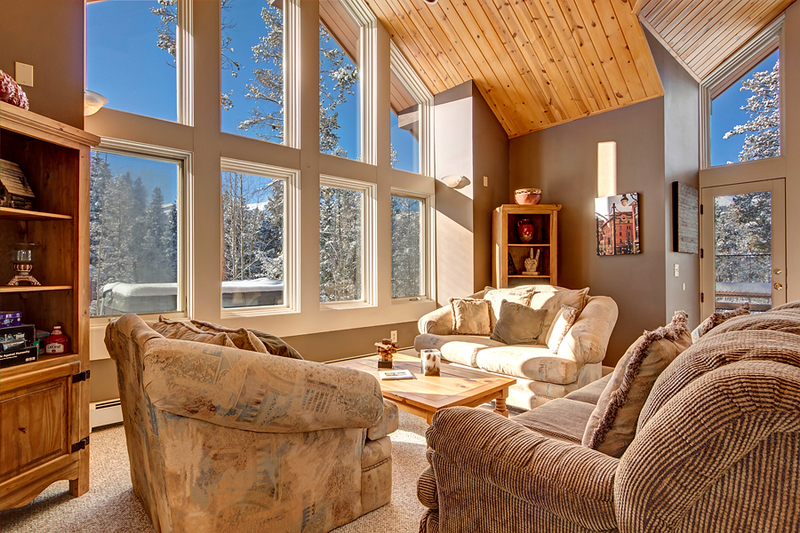 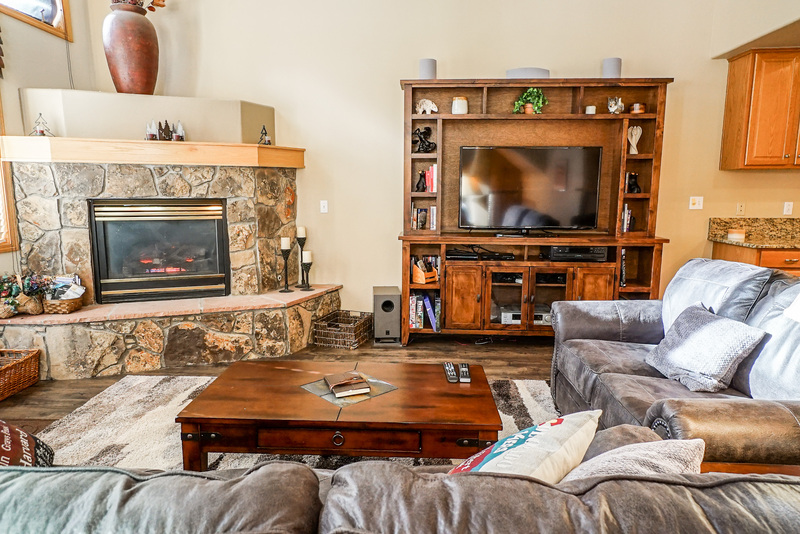 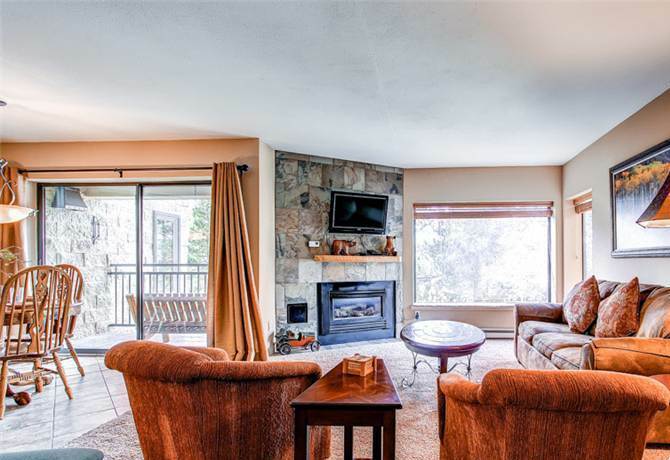 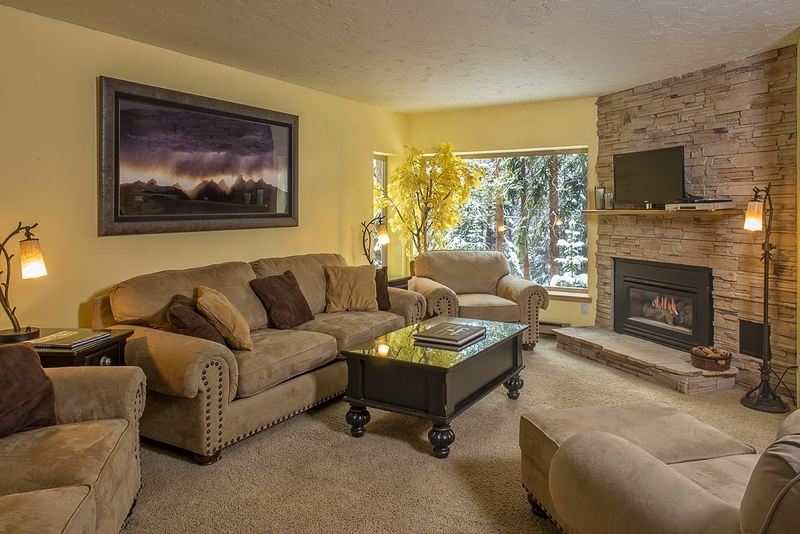 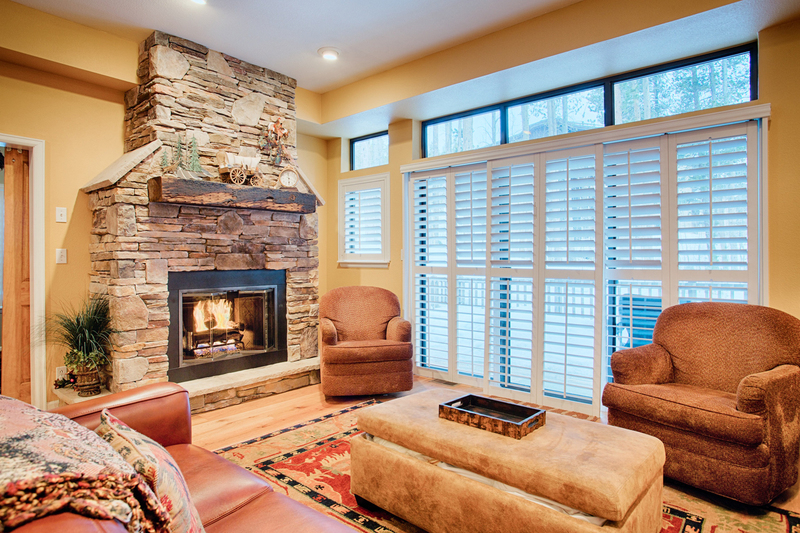 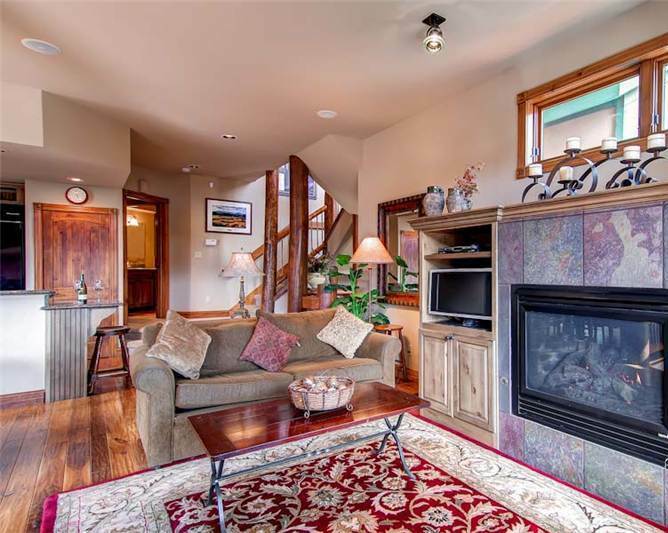 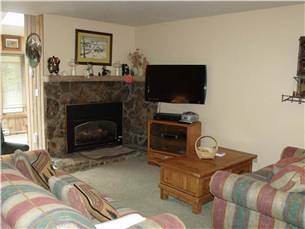 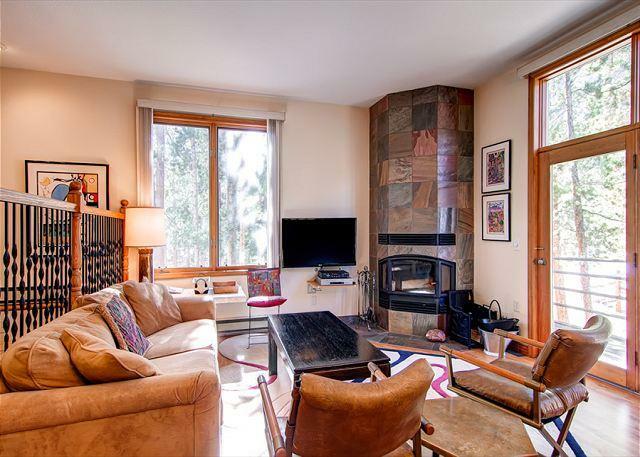 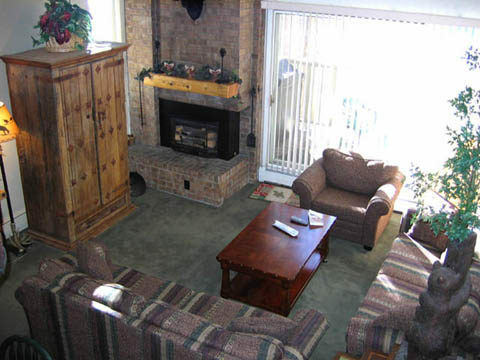 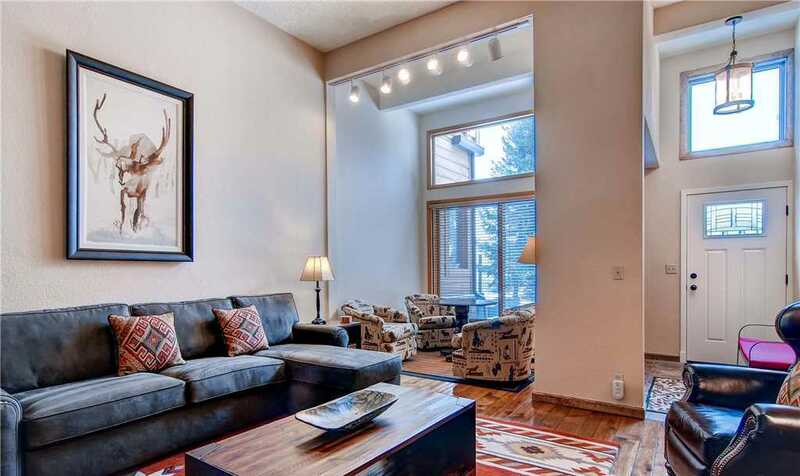 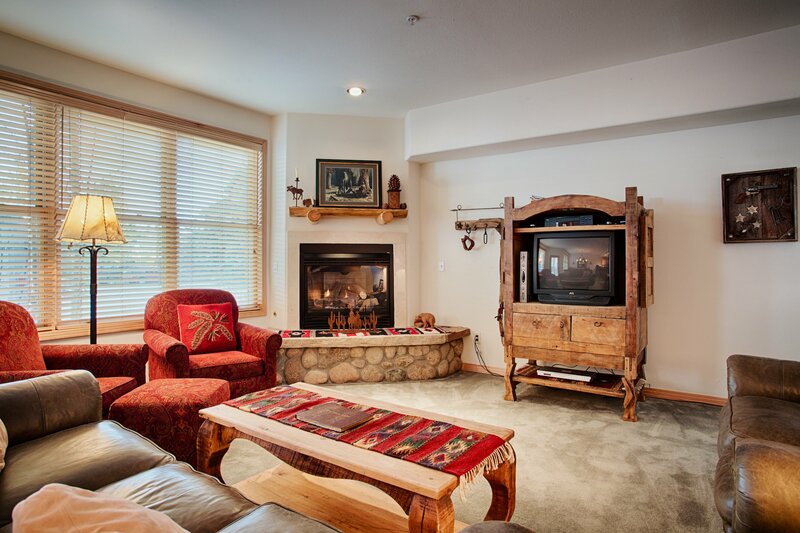 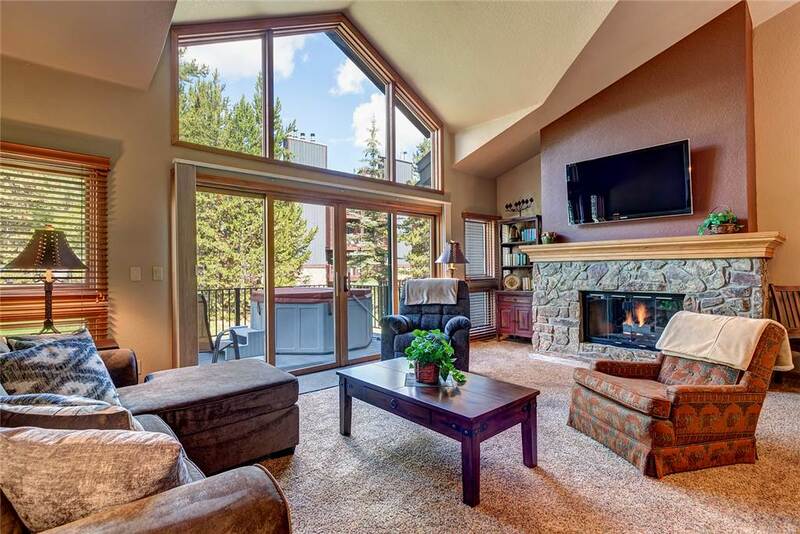 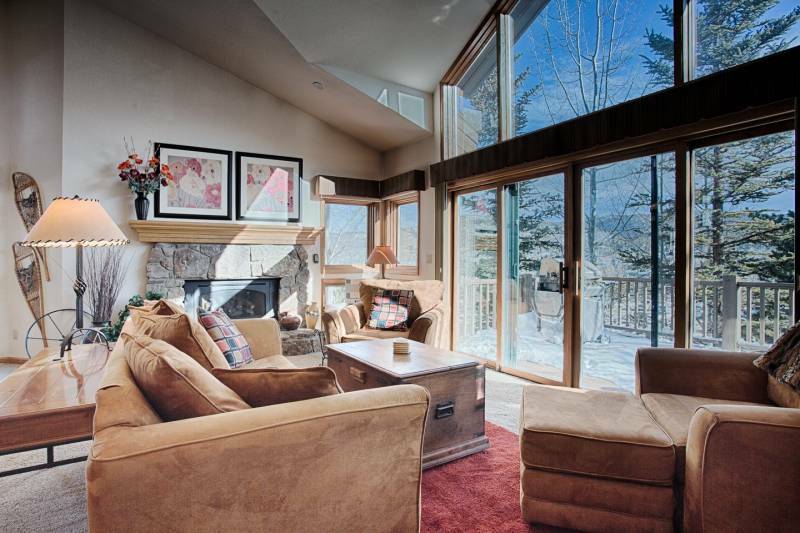 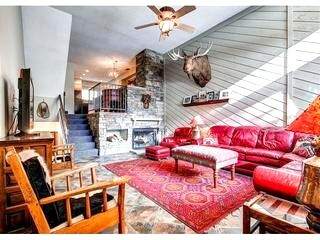 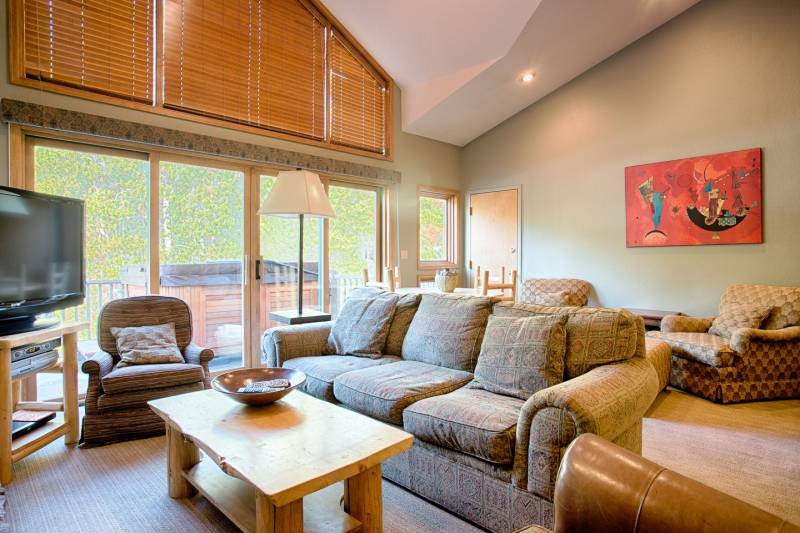 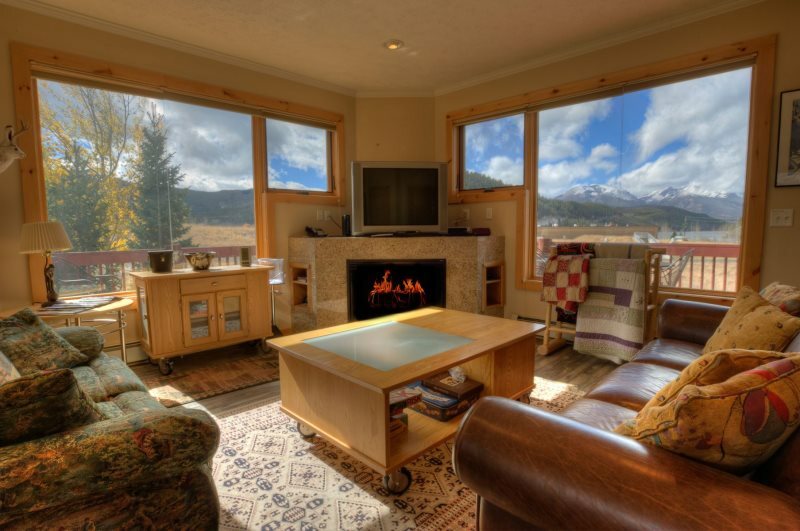 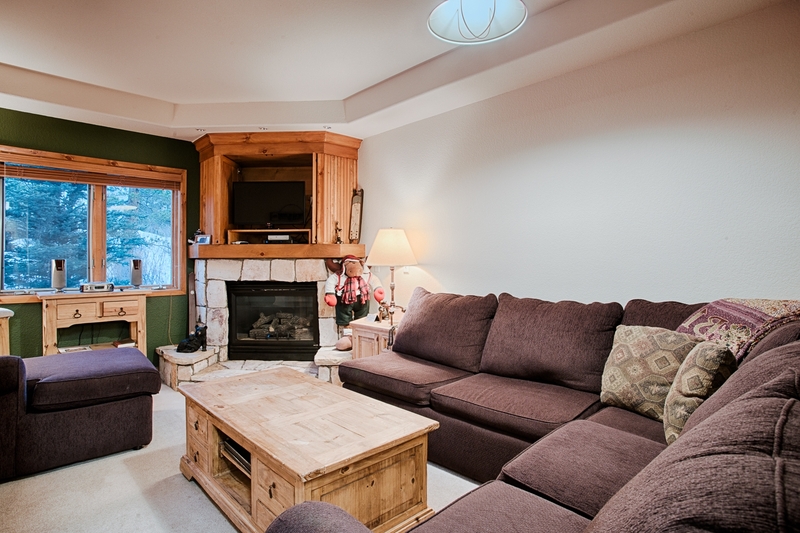 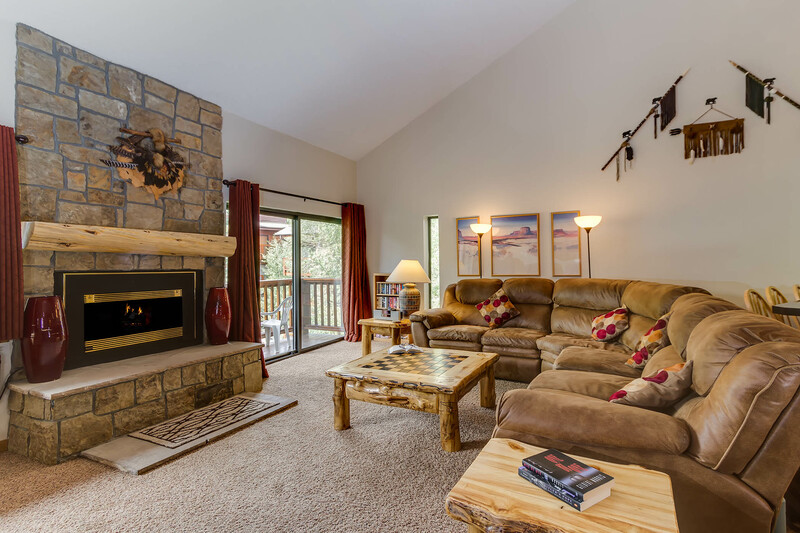 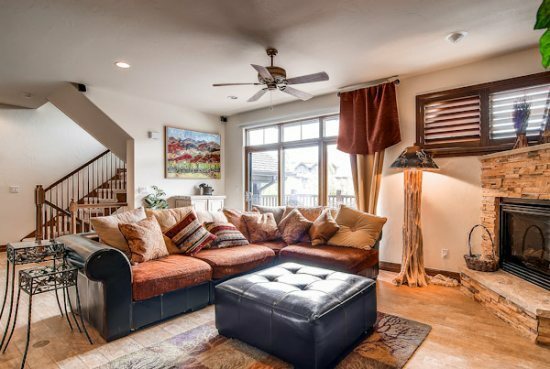 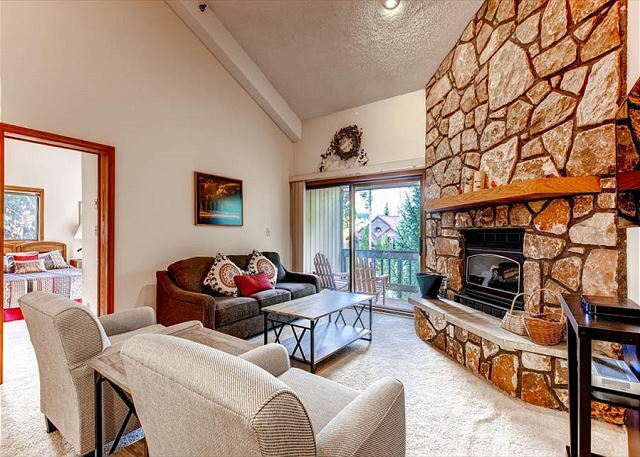 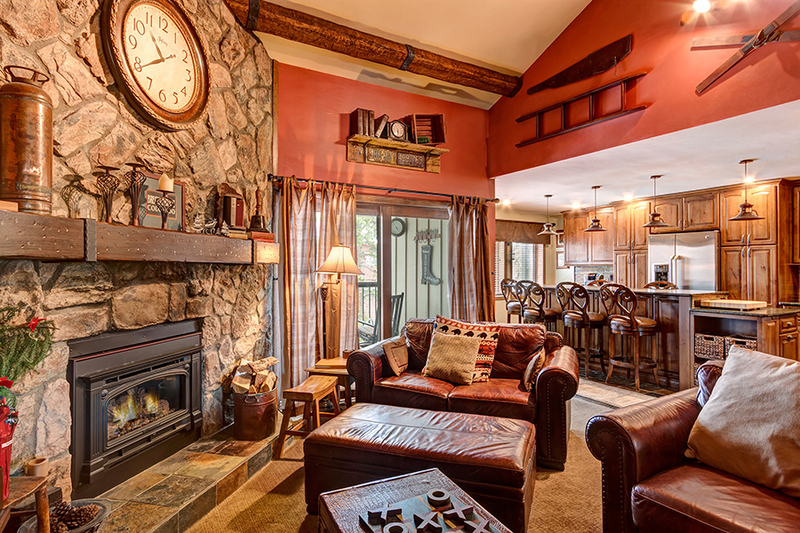 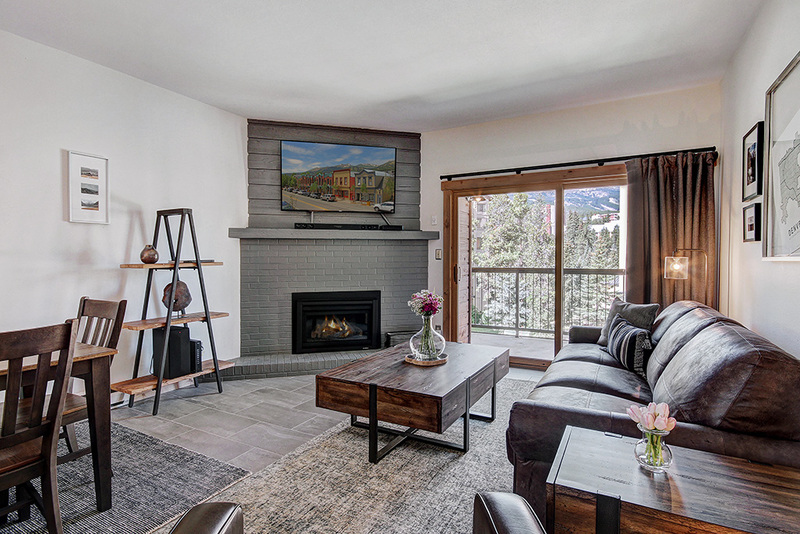 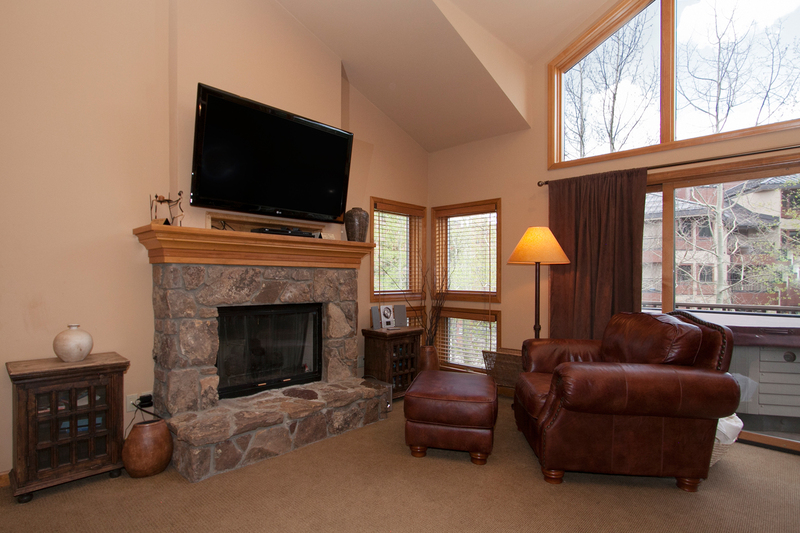 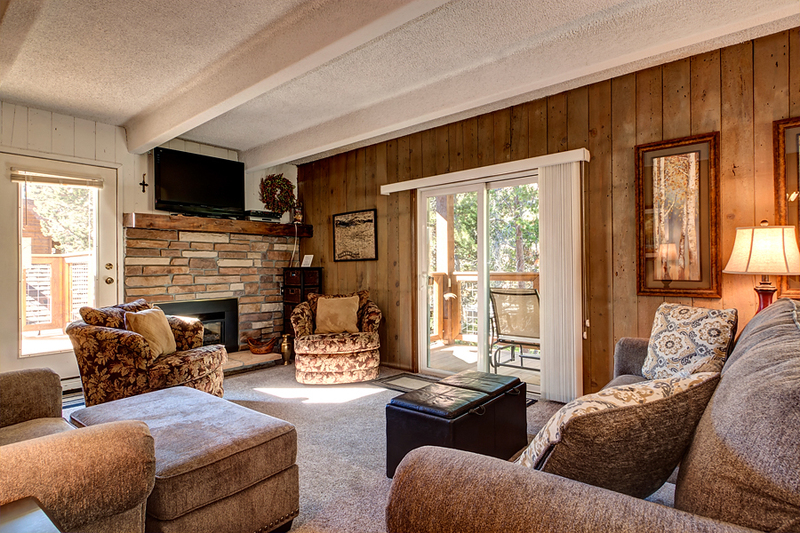 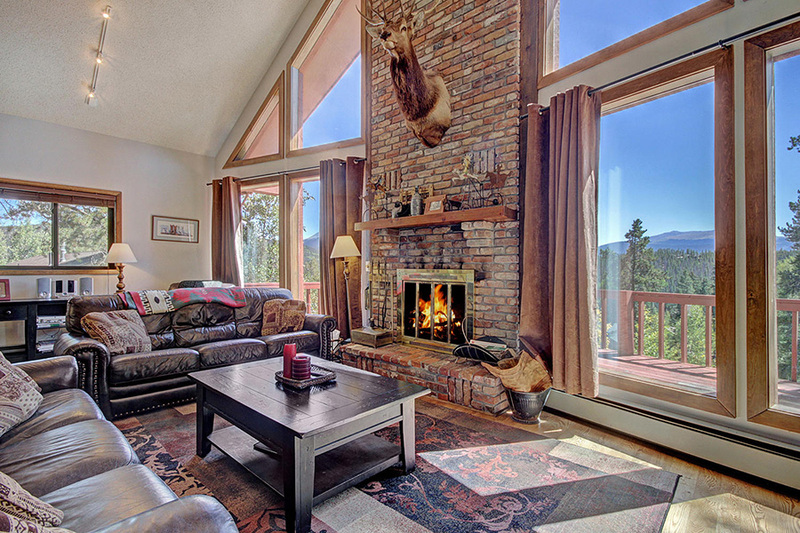 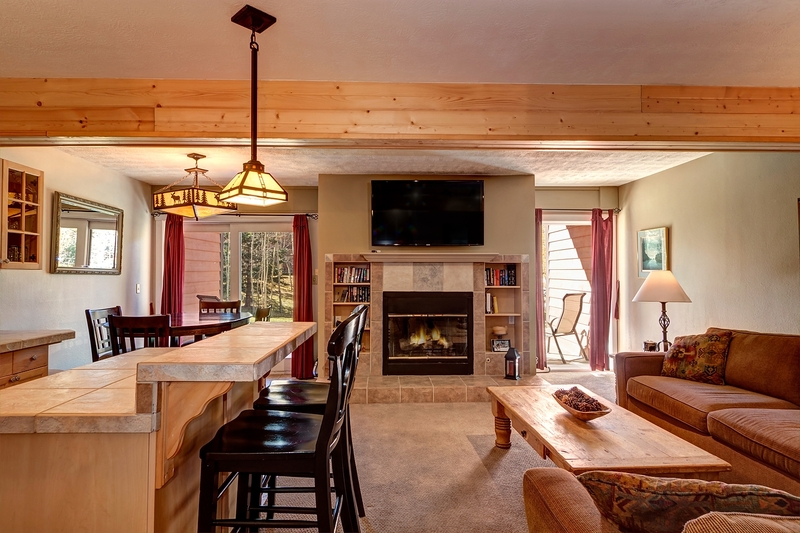 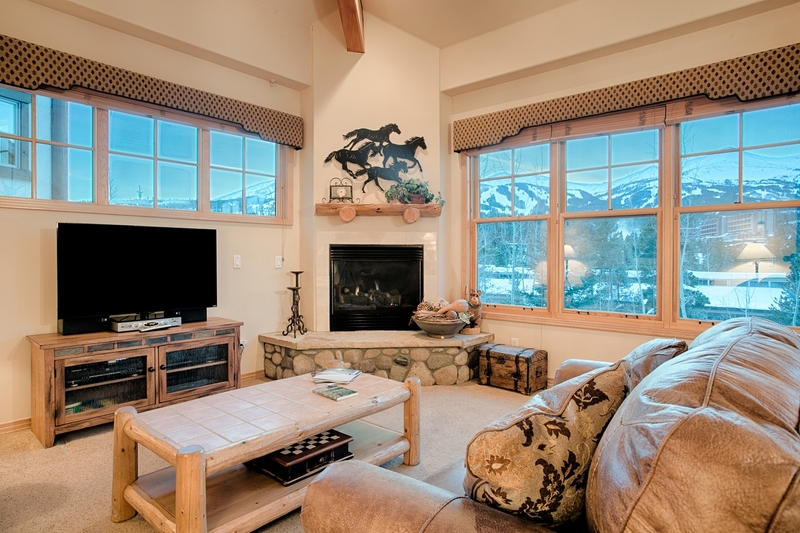 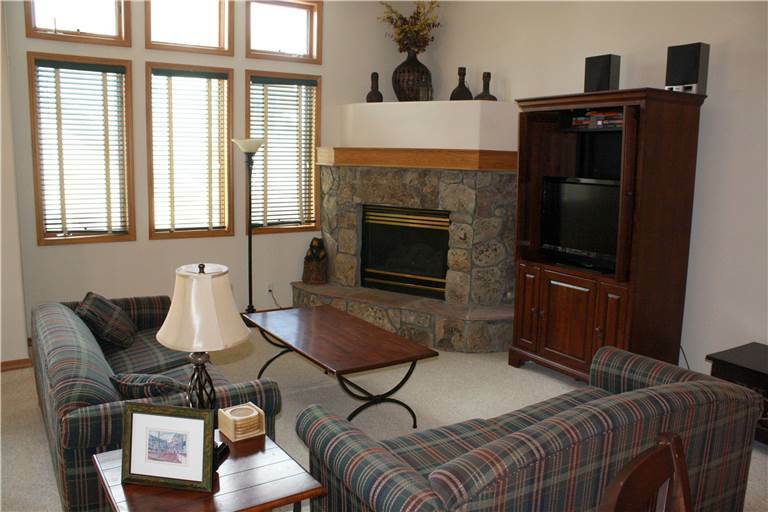 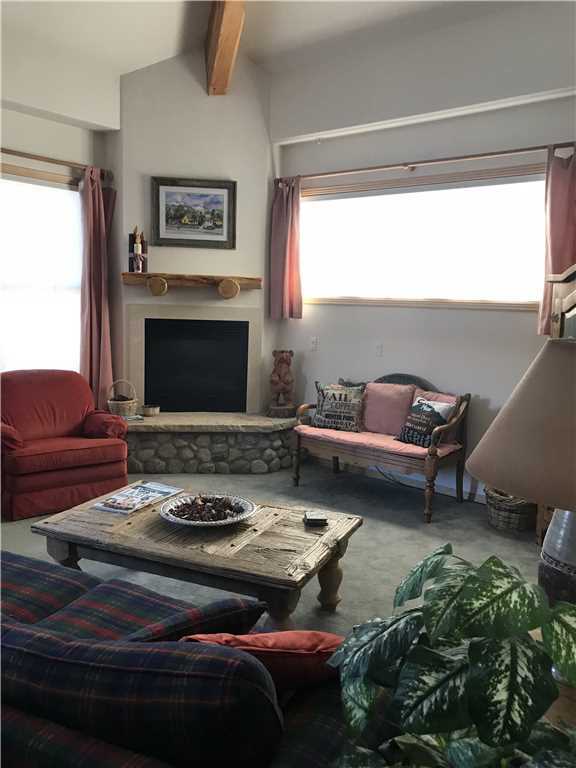 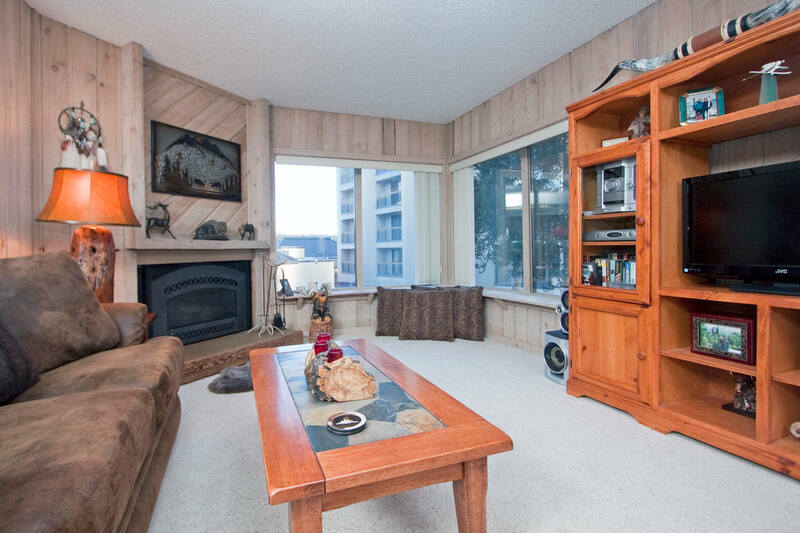 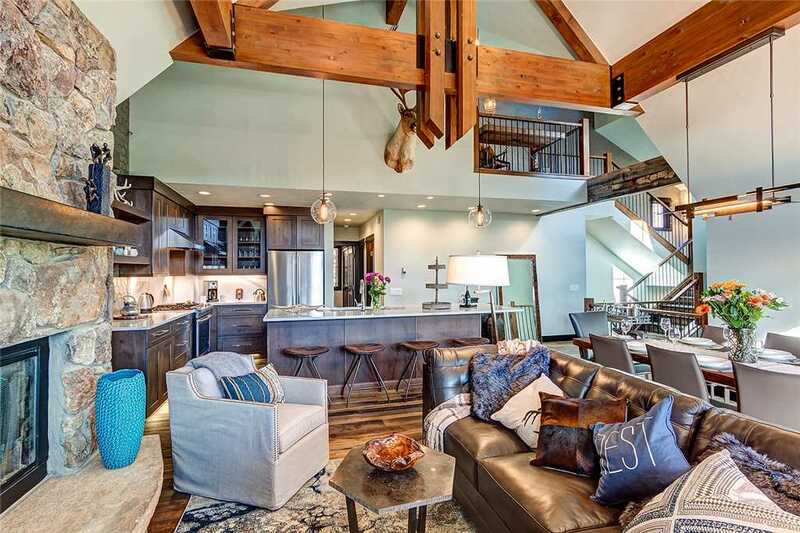 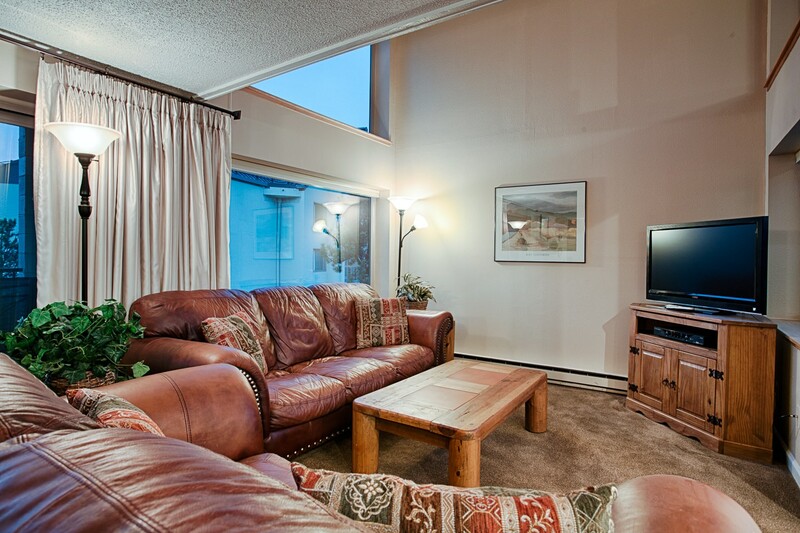 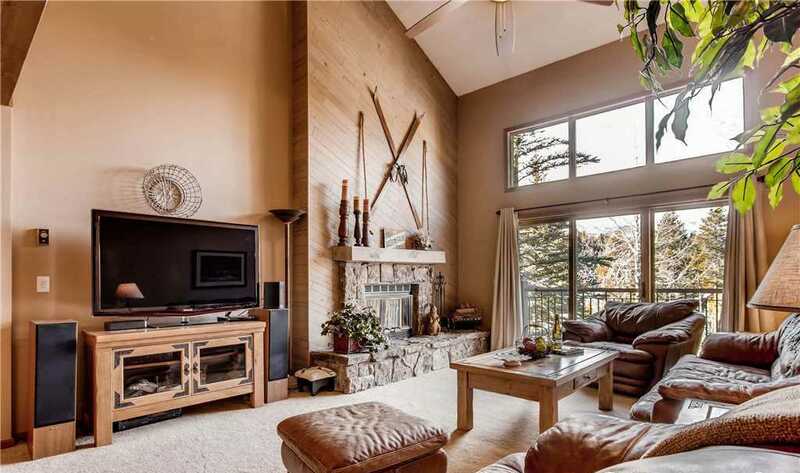 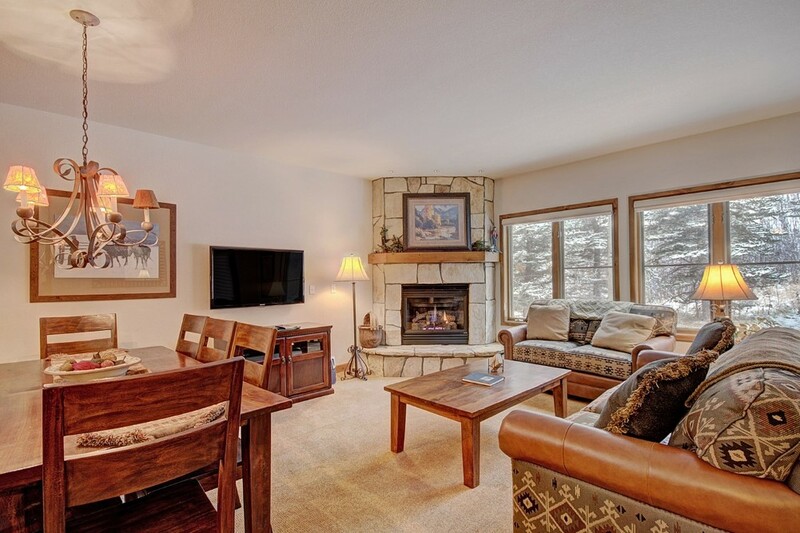 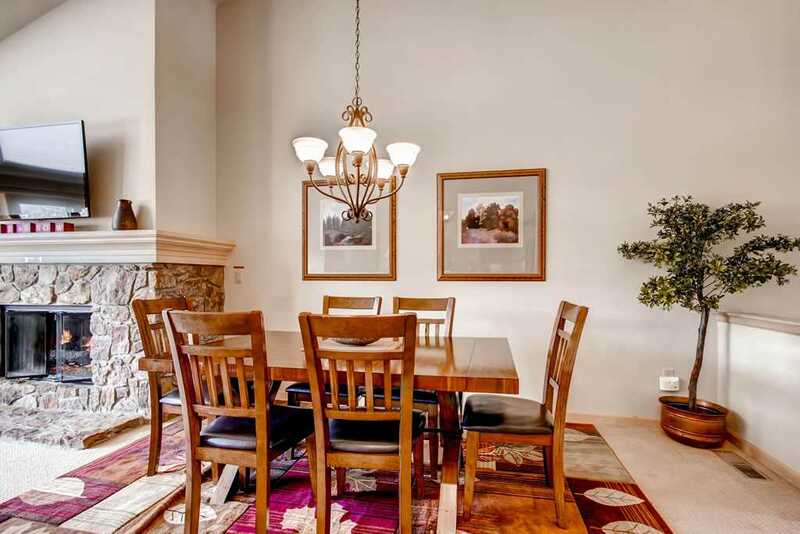 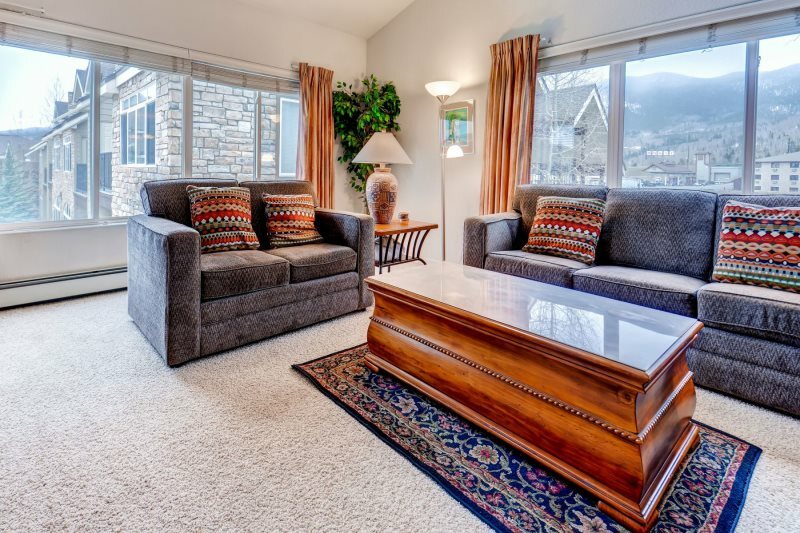 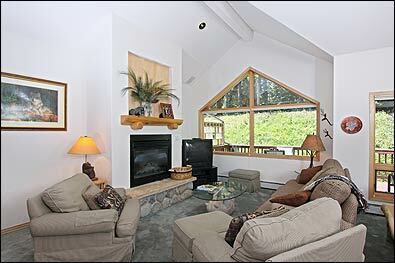 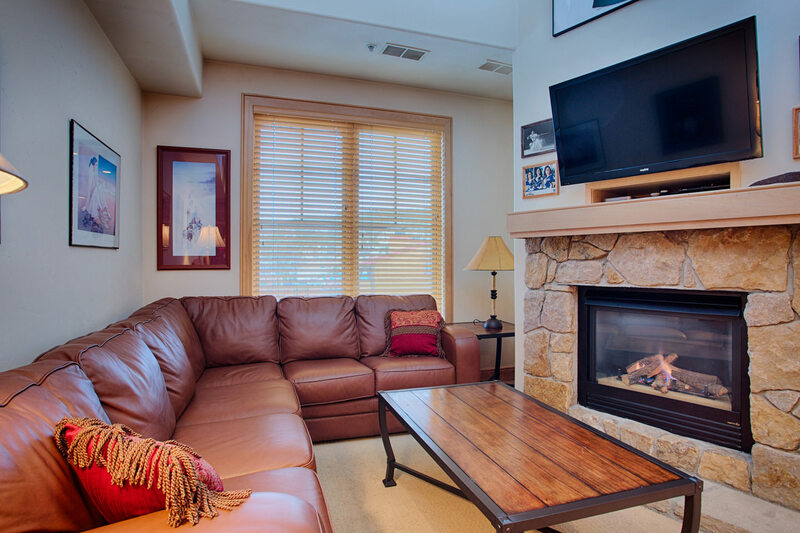 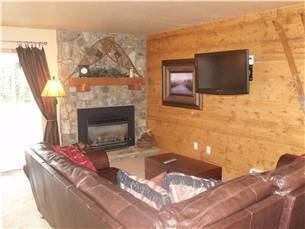 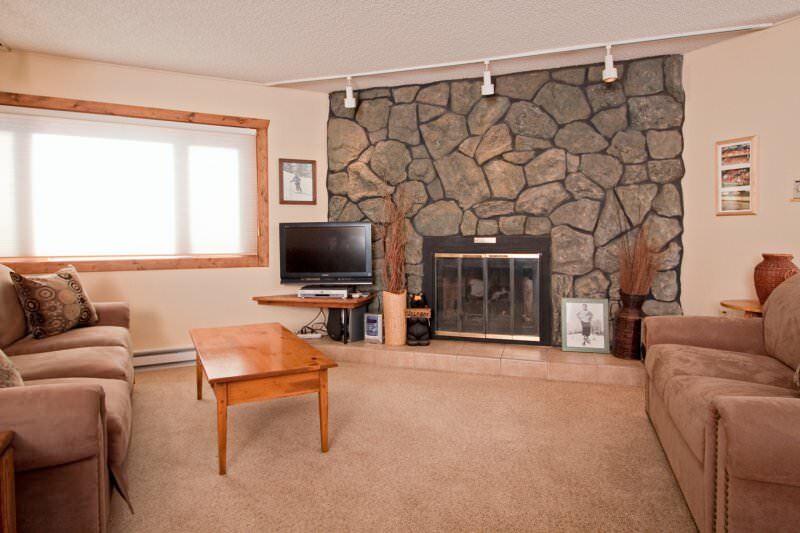 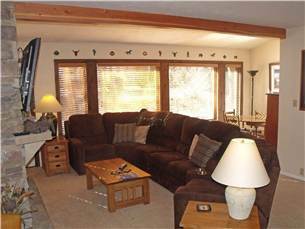 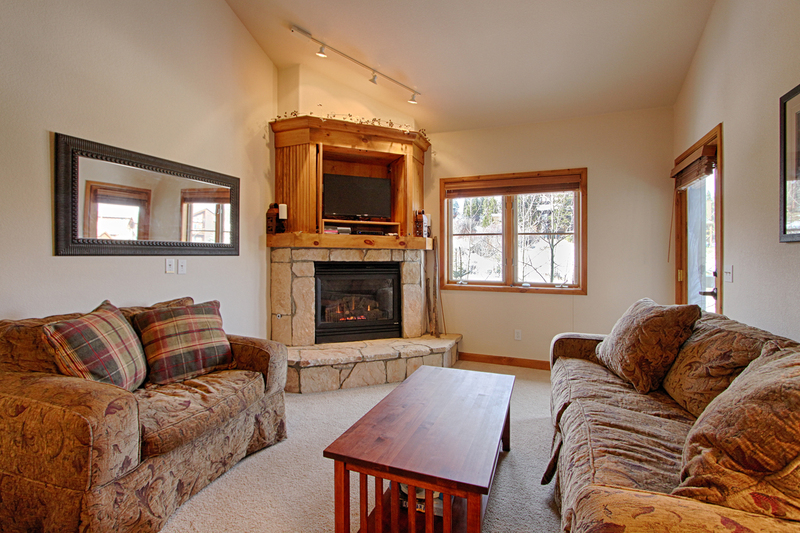 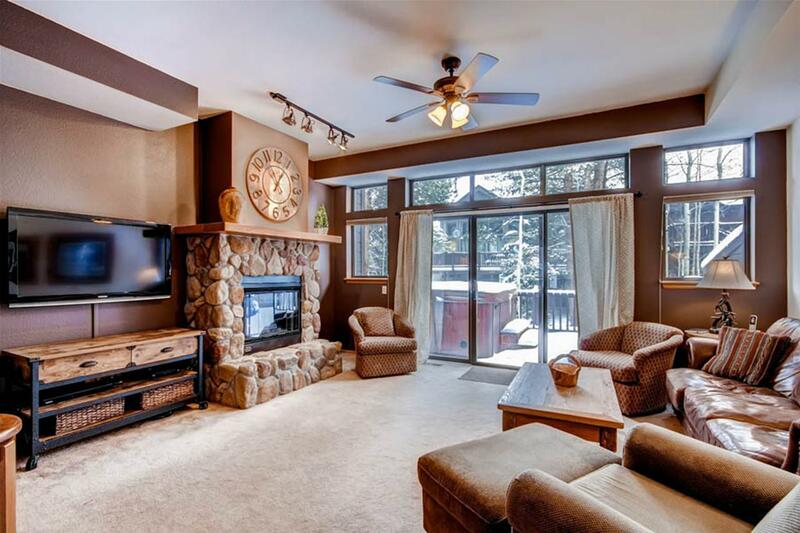 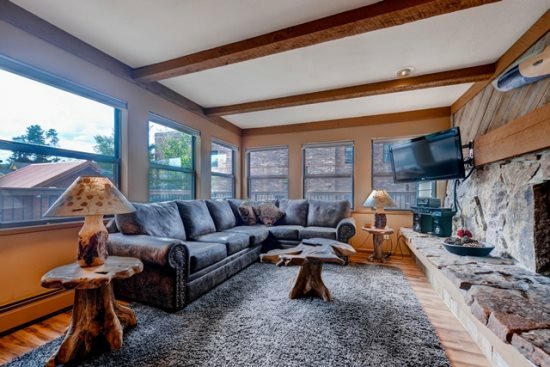 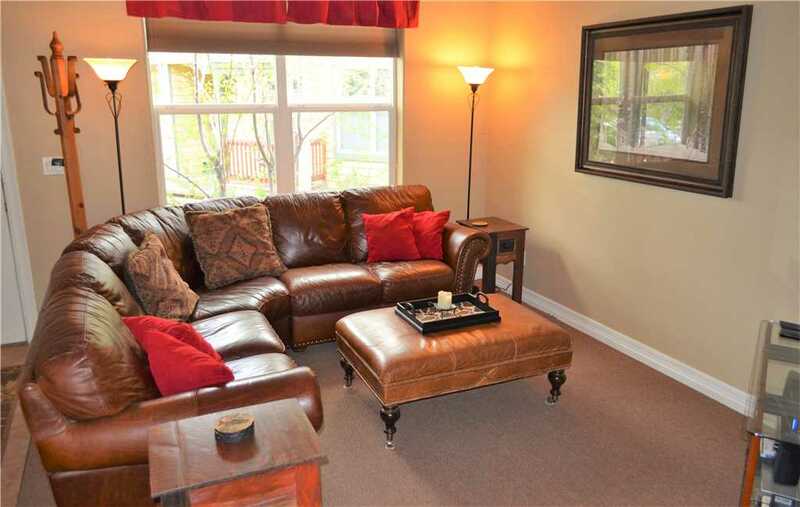 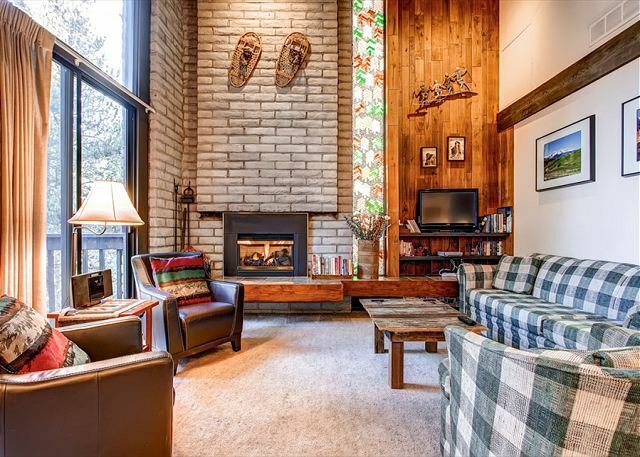 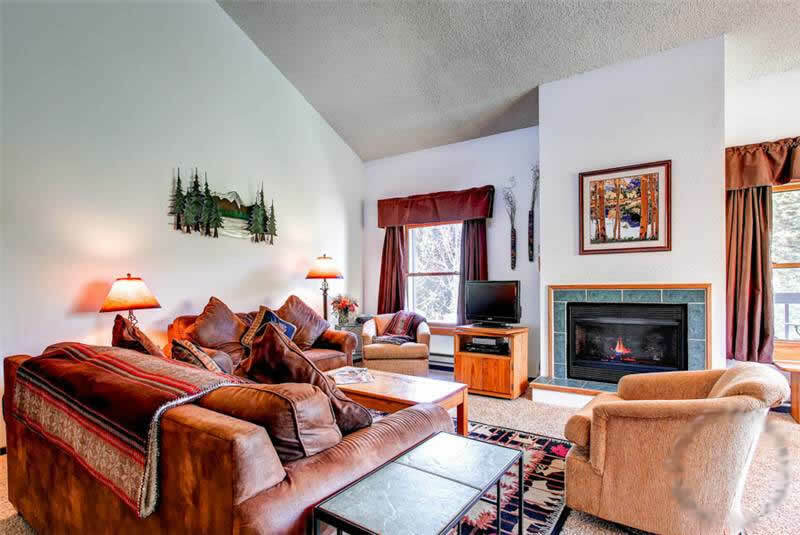 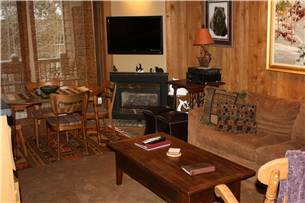 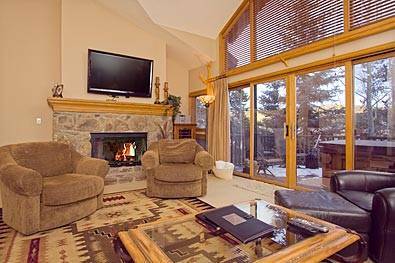 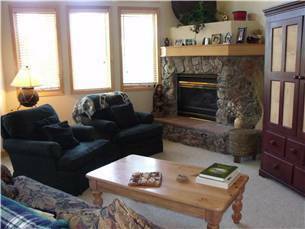 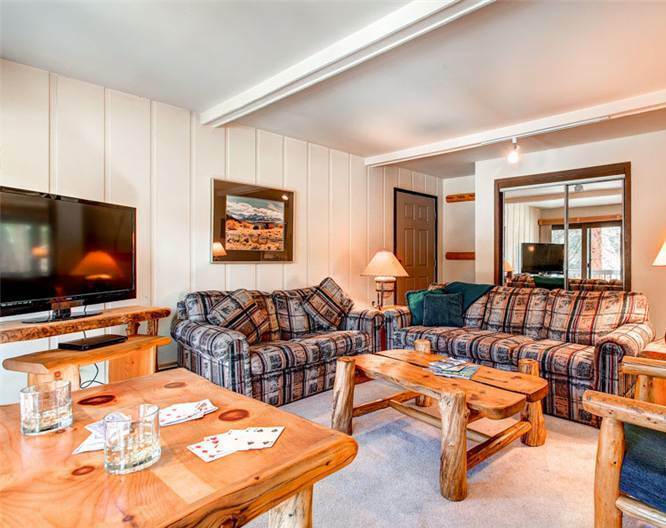 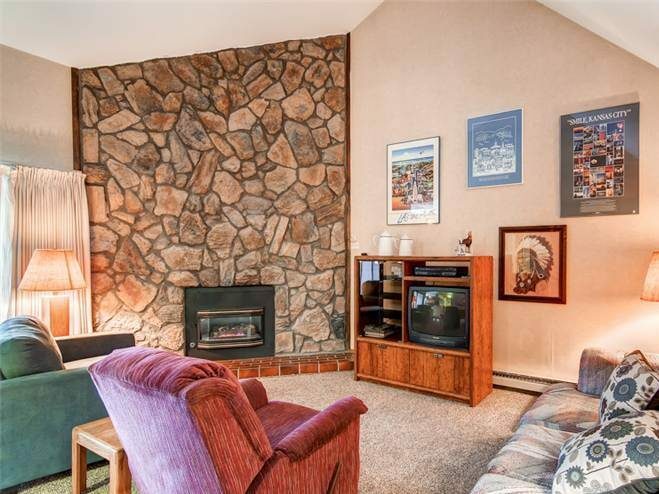 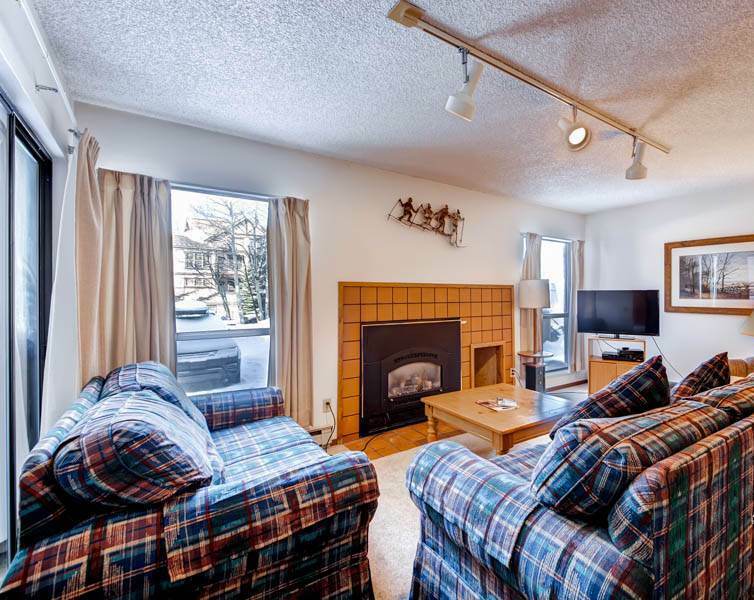 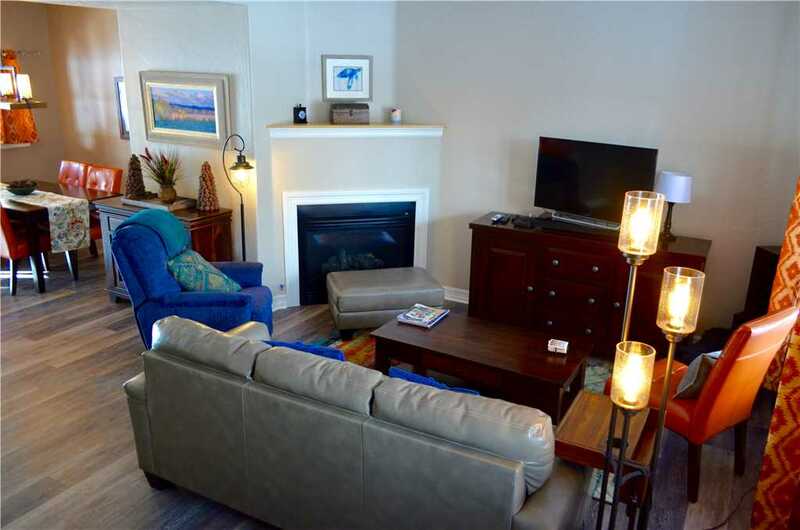 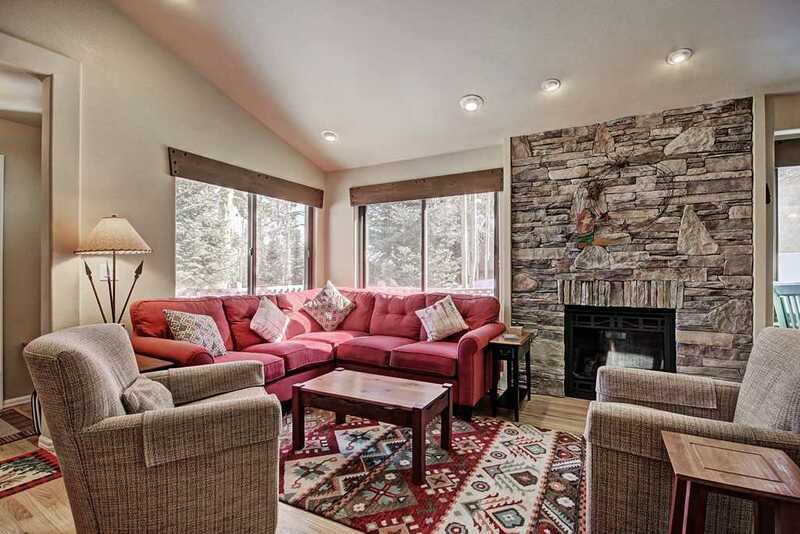 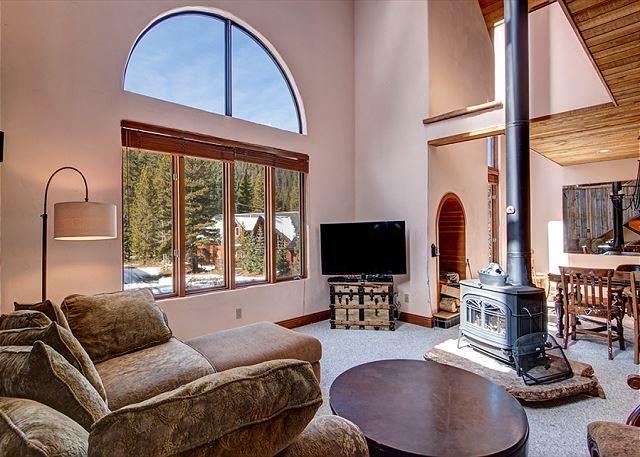 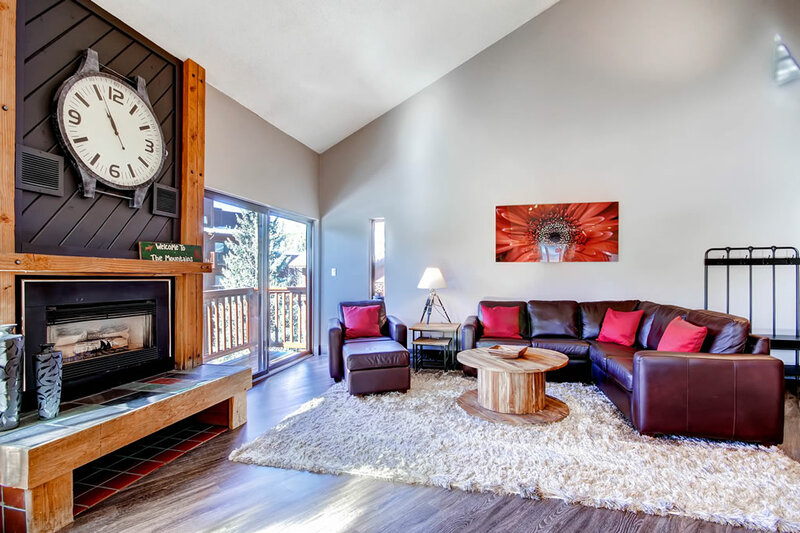 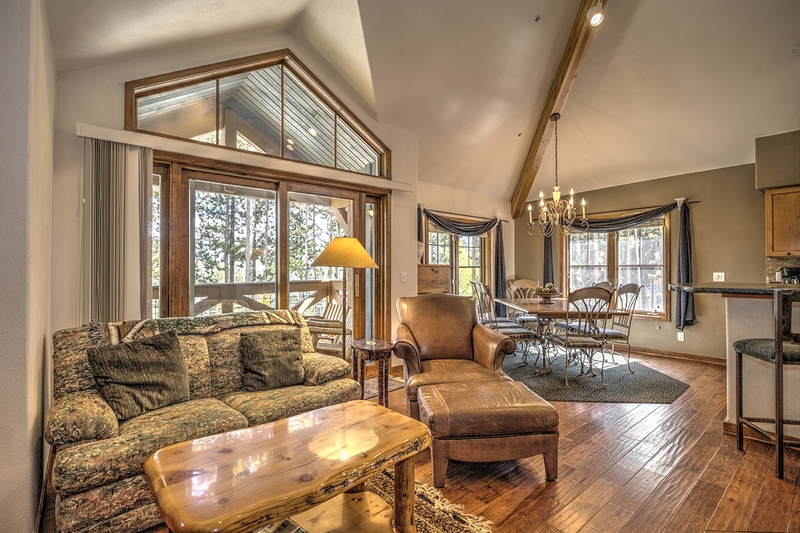 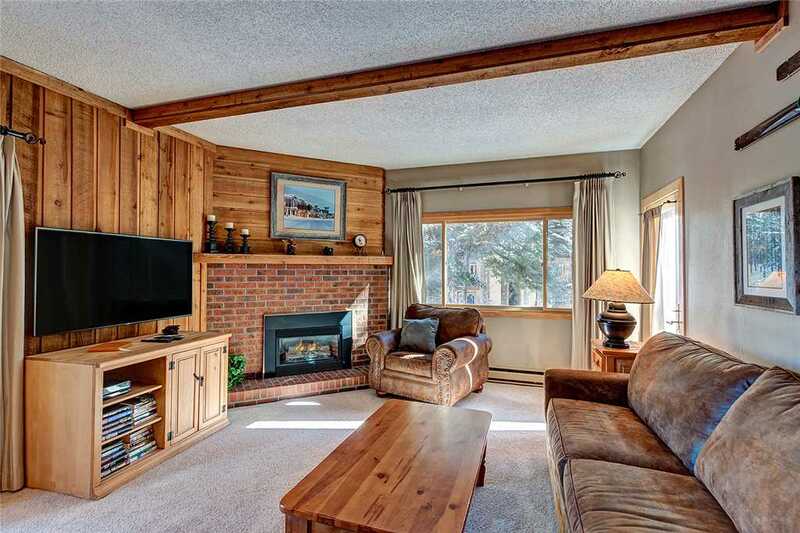 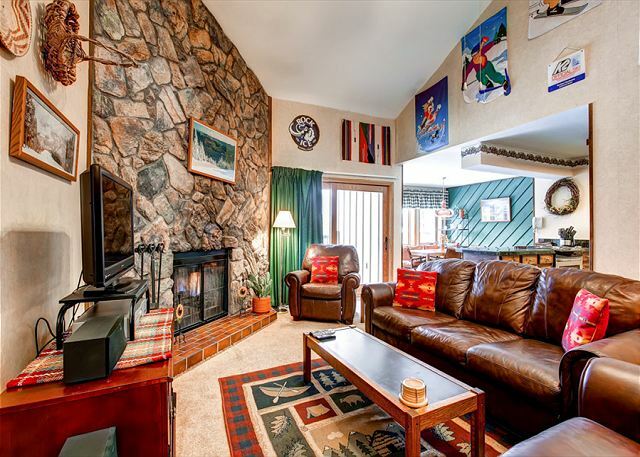 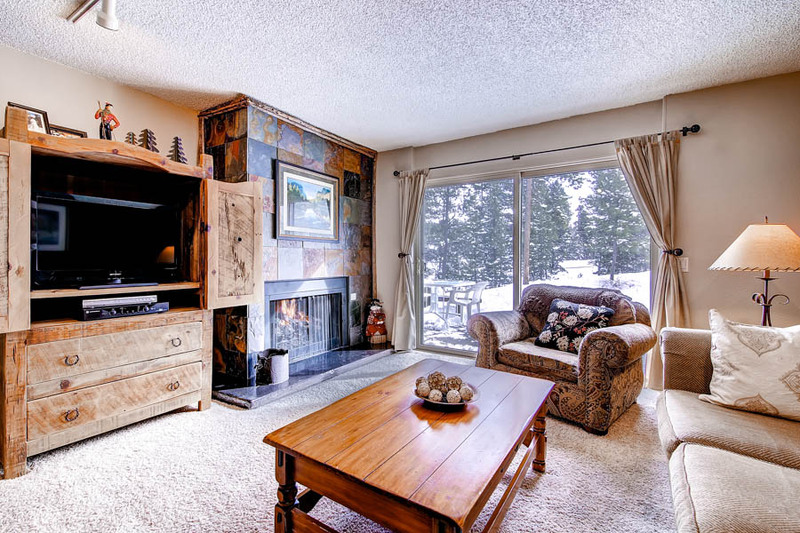 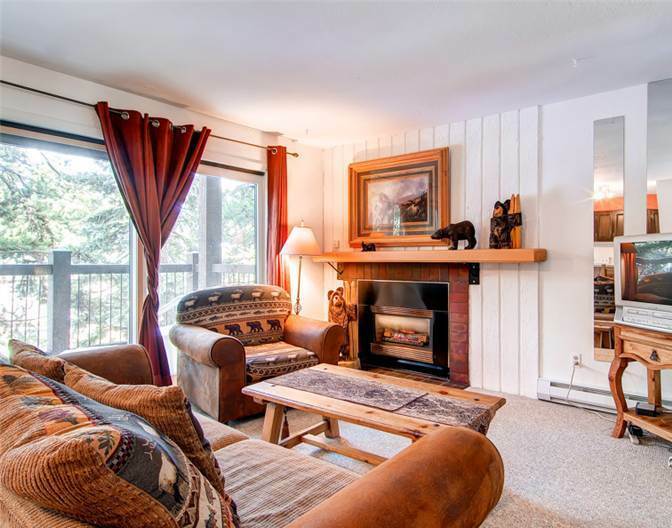 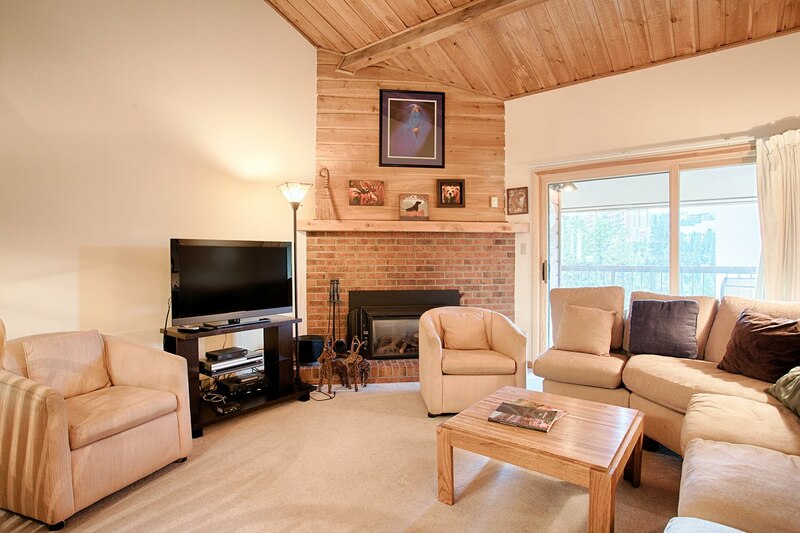 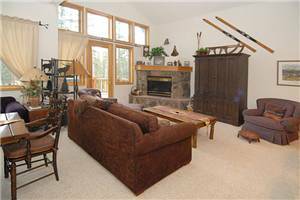 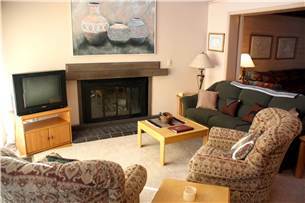 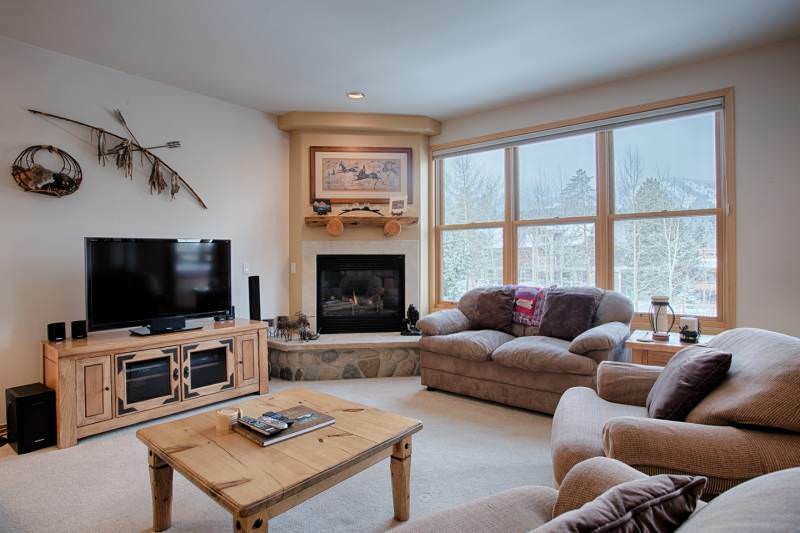 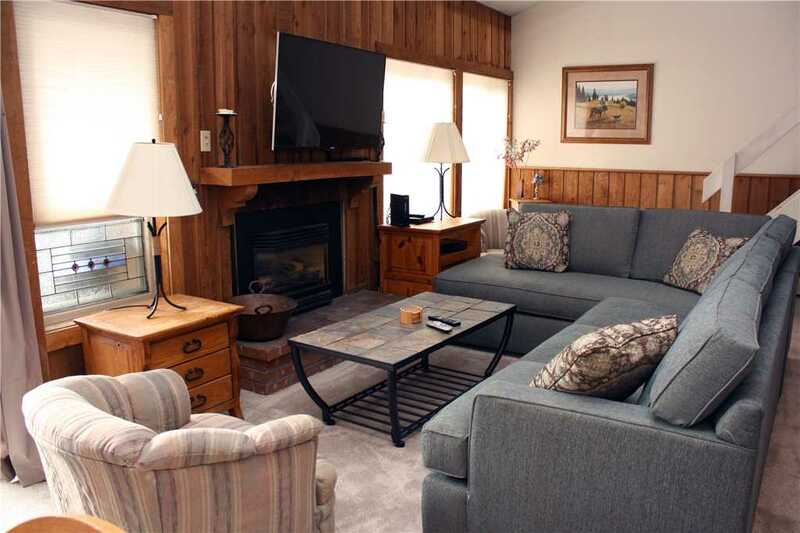 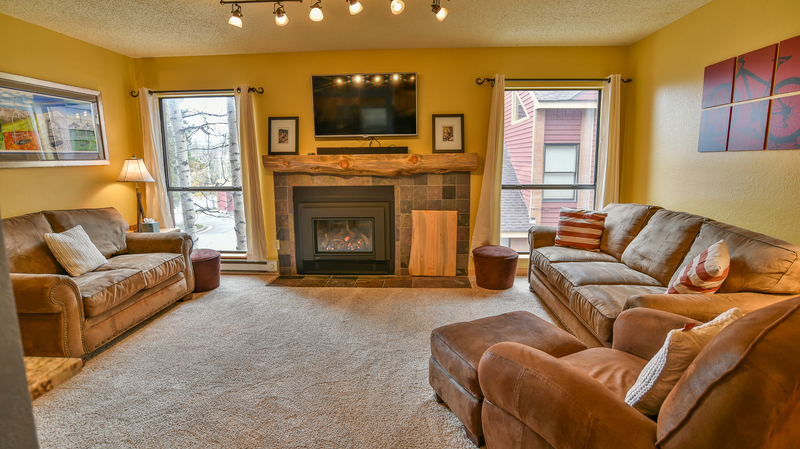 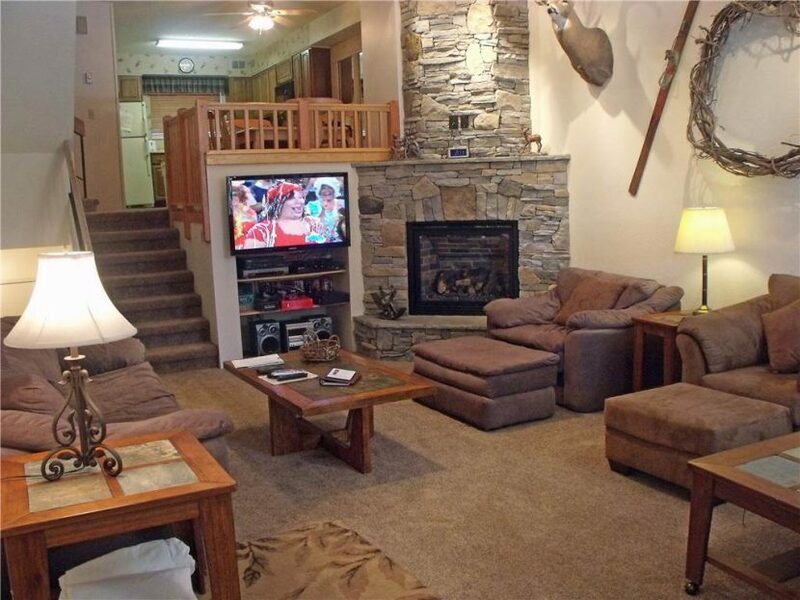 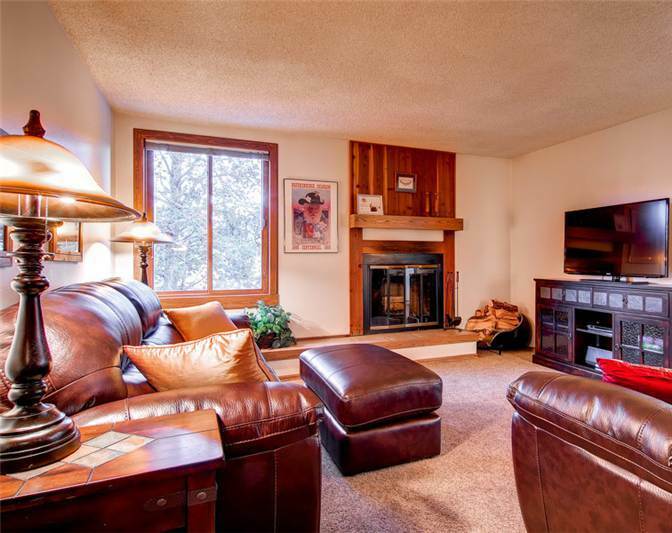 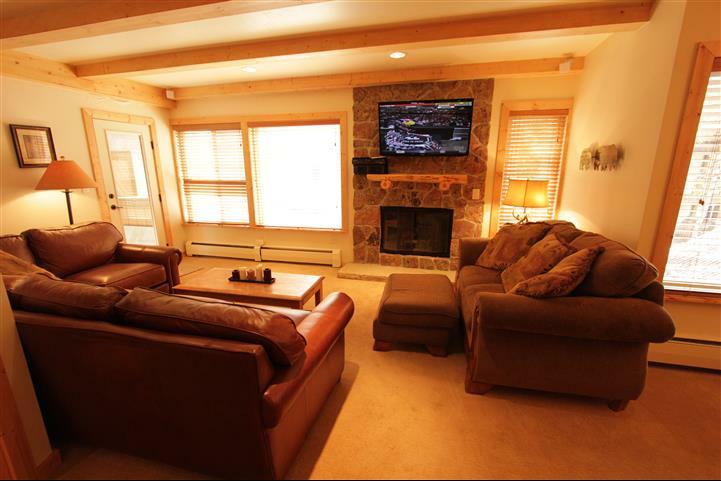 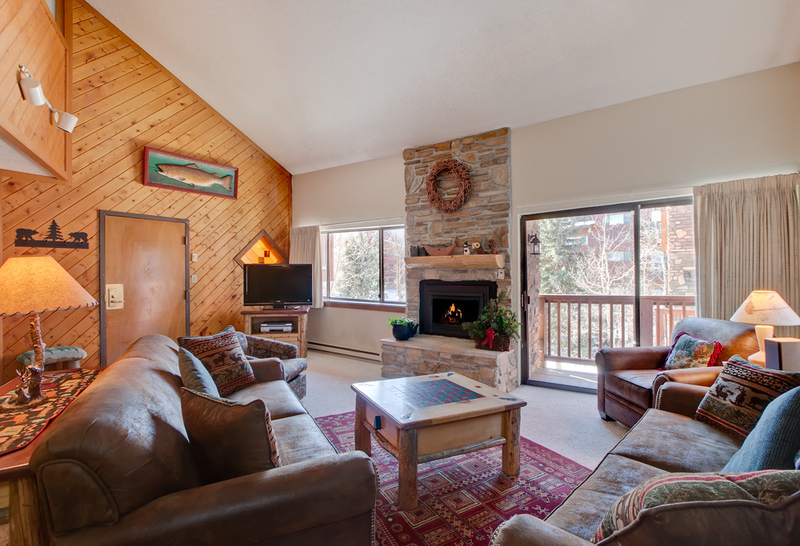 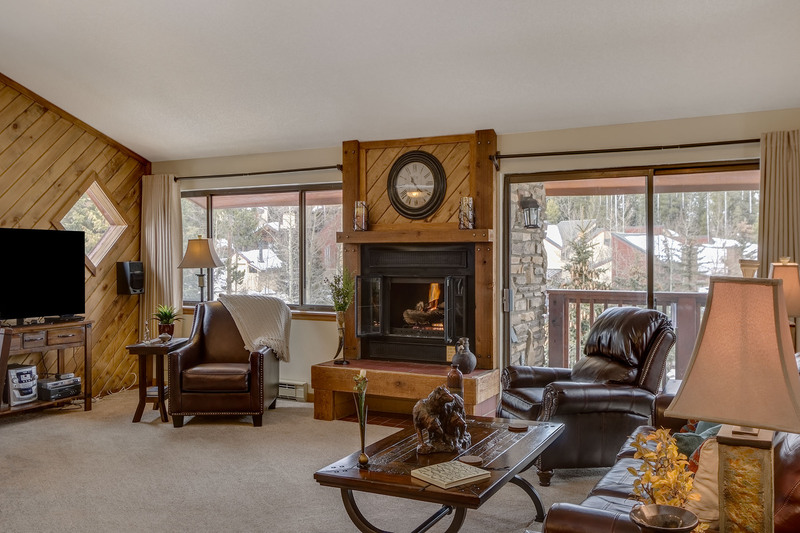 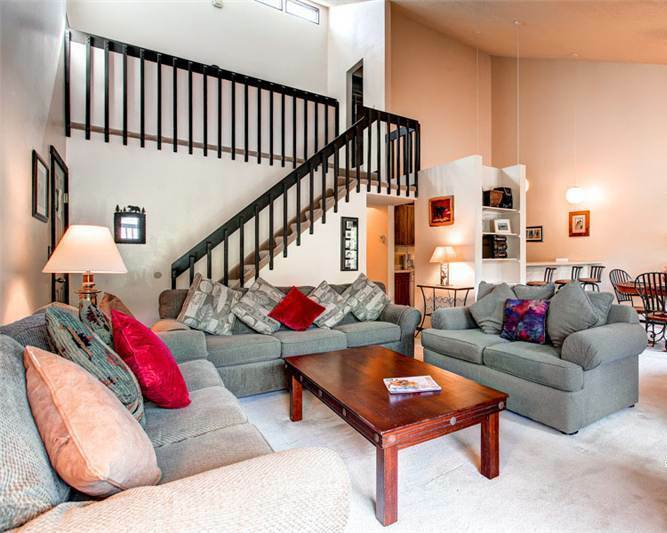 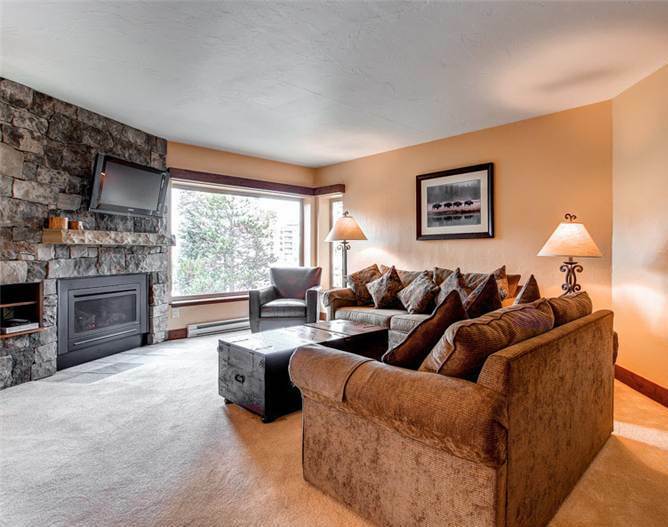 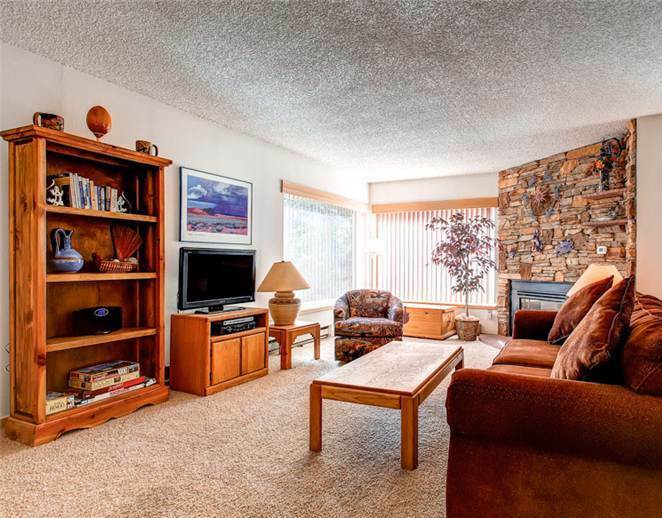 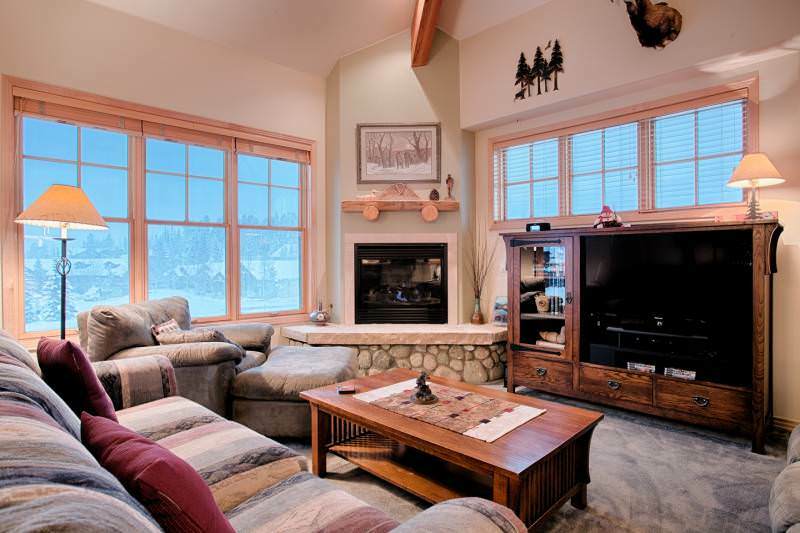 The living room has big, bright windows for great afternoon sun and a gas log fireplace. 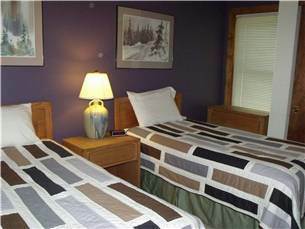 Blackout curtains keep out light and noise. 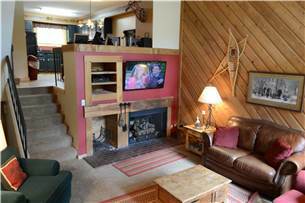 For entertainment, catch up on some movies on the flatscreen TV with DVD. 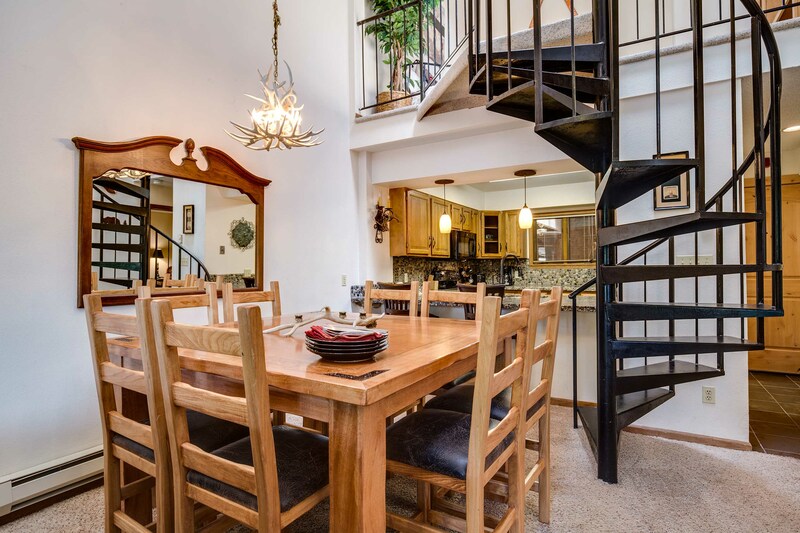 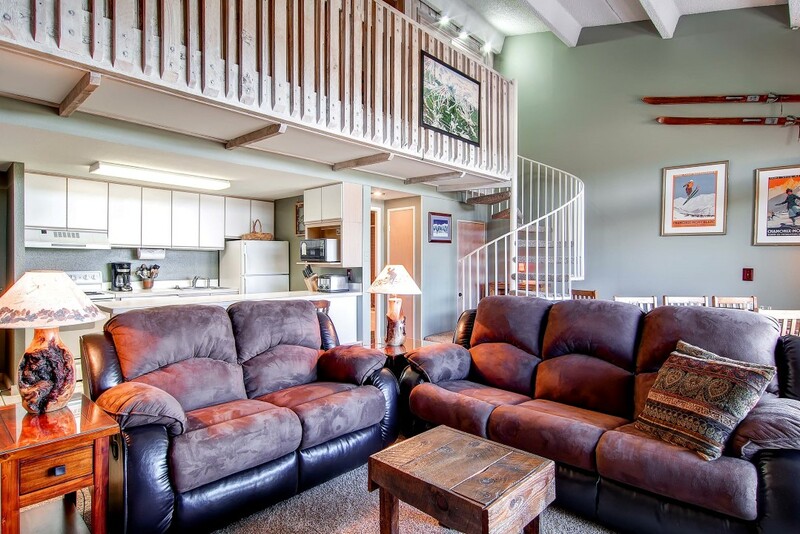 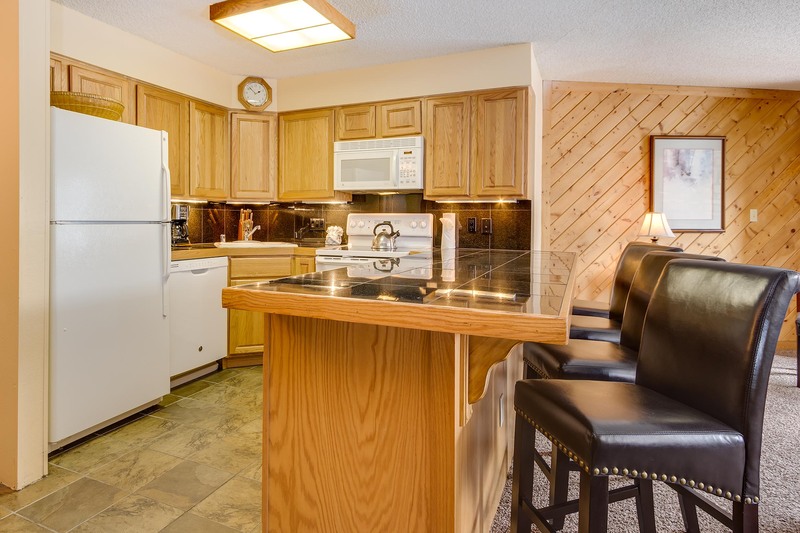 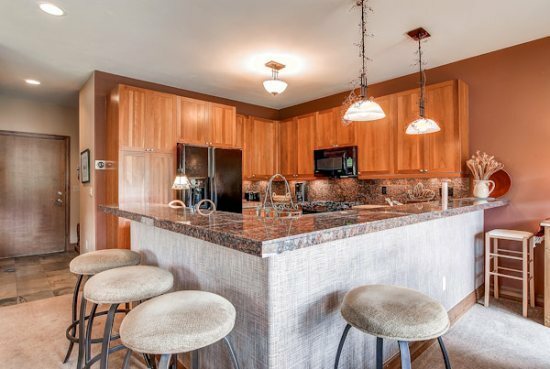 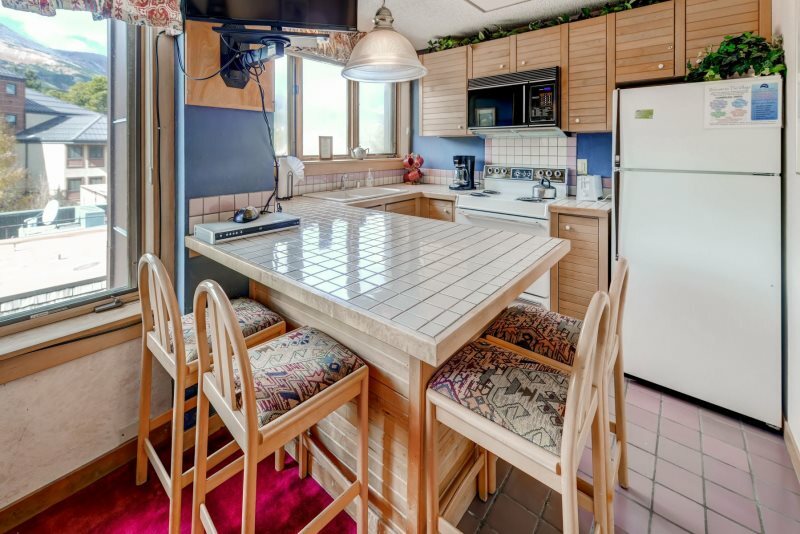 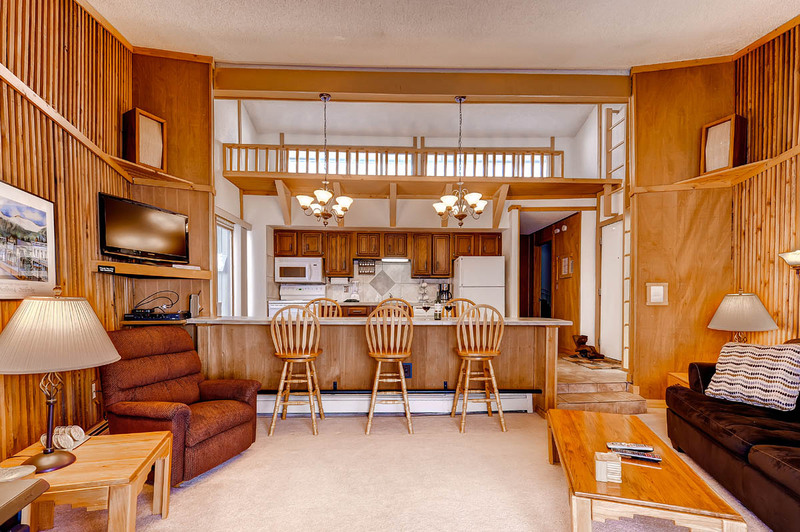 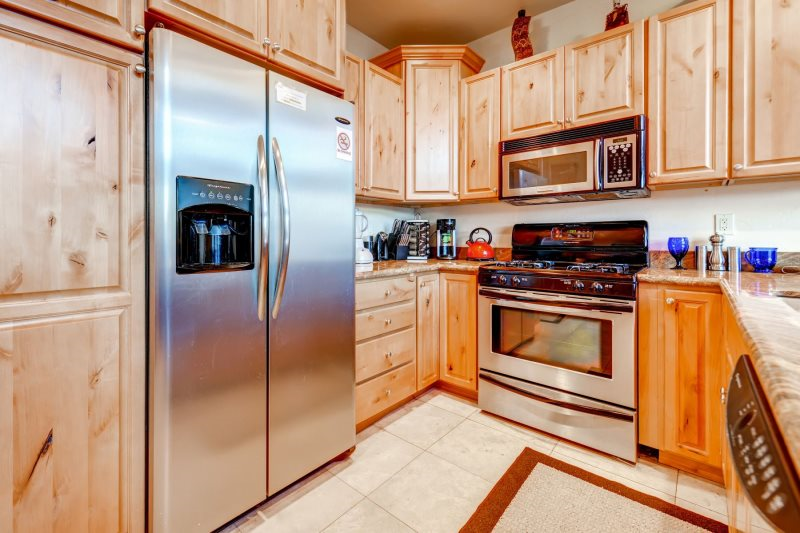 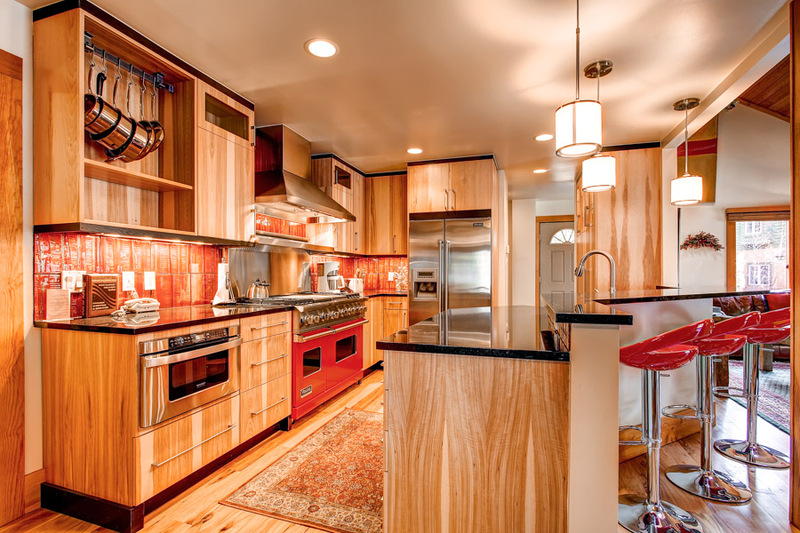 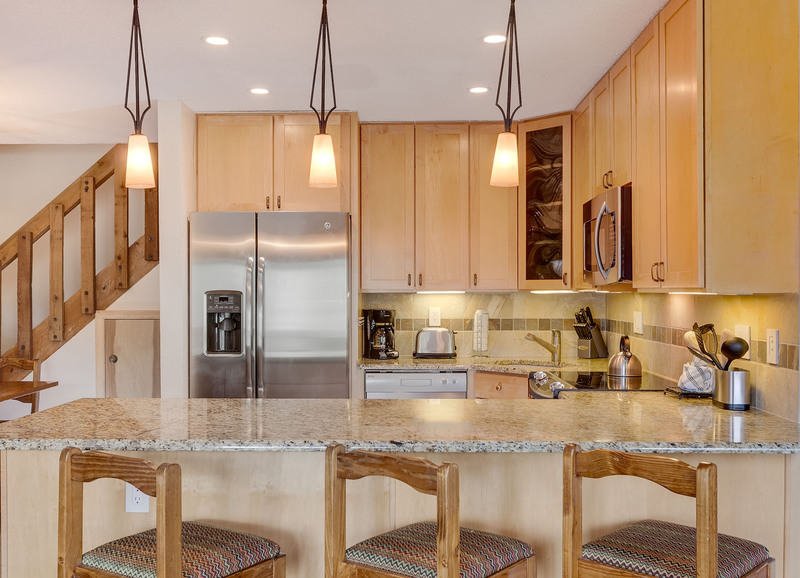 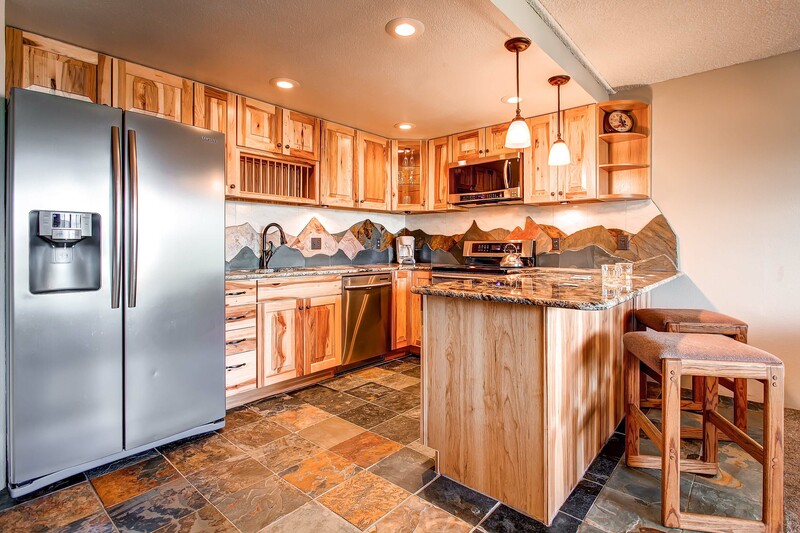 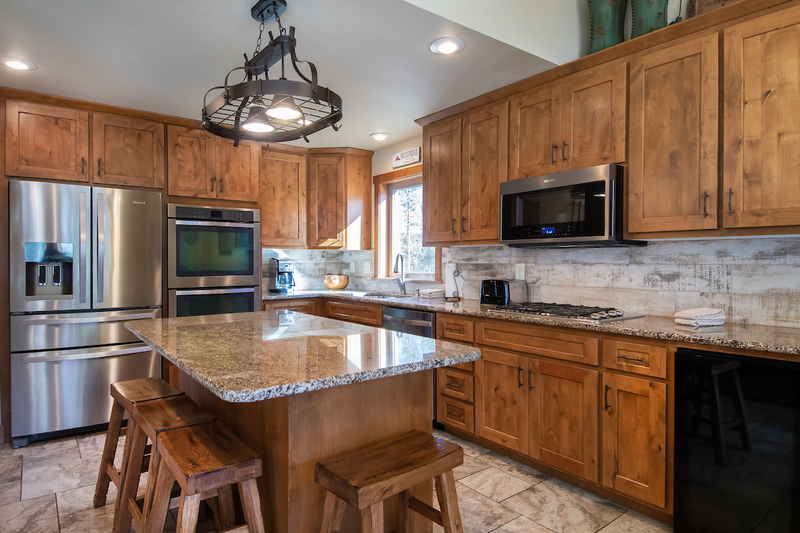 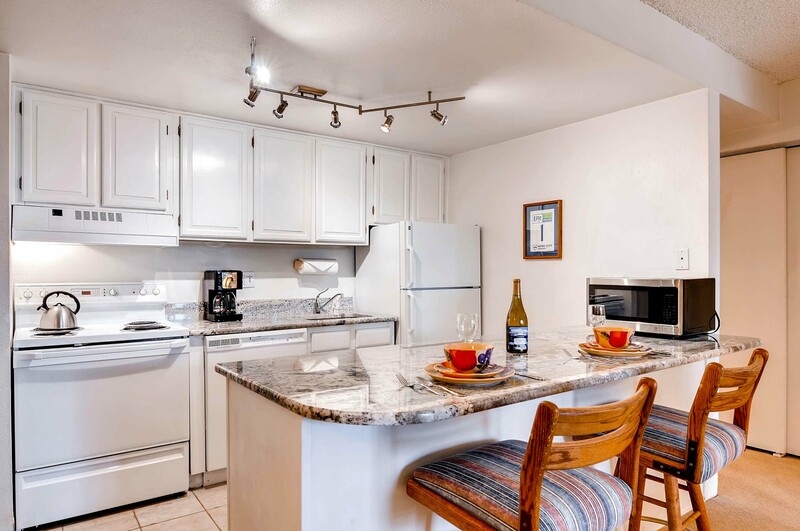 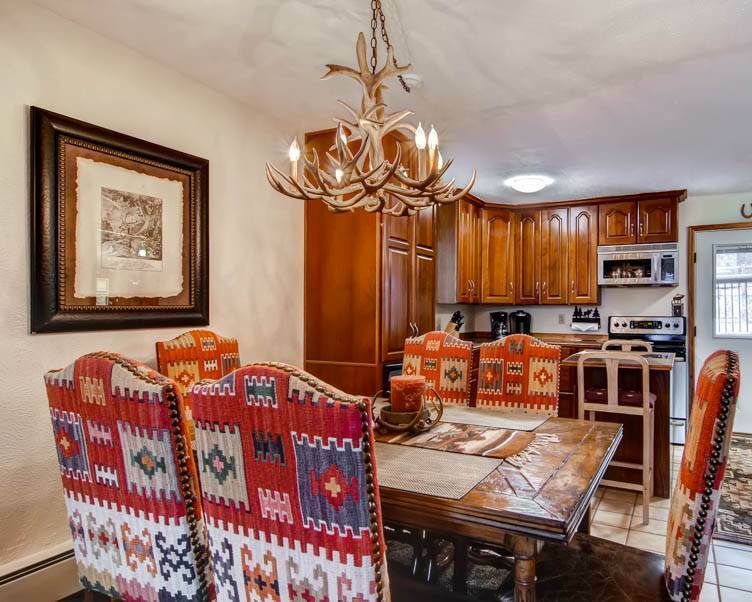 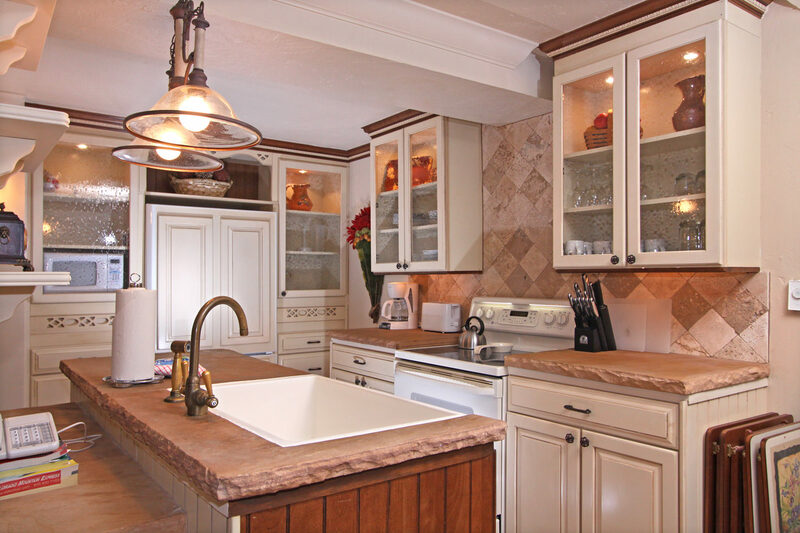 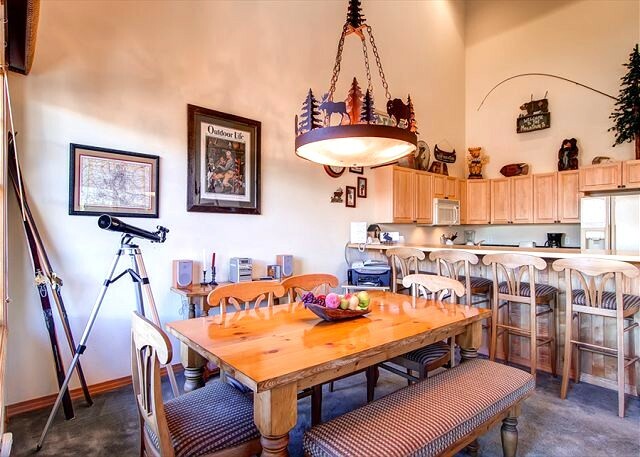 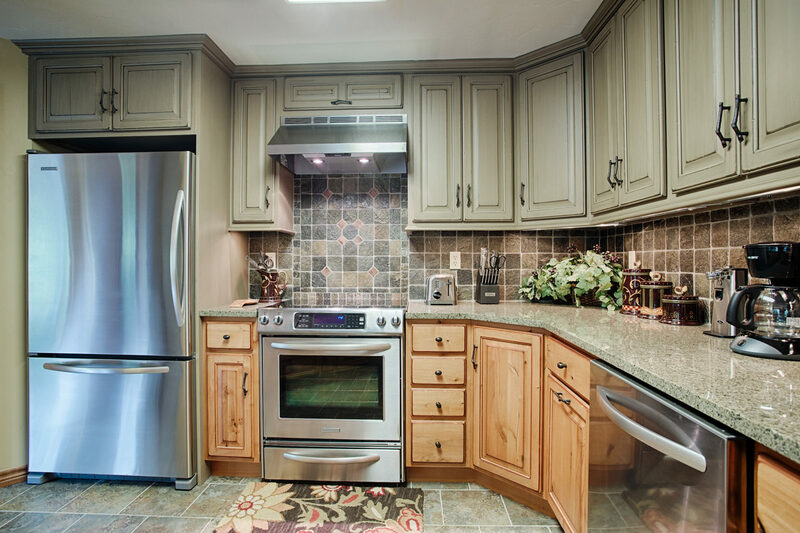 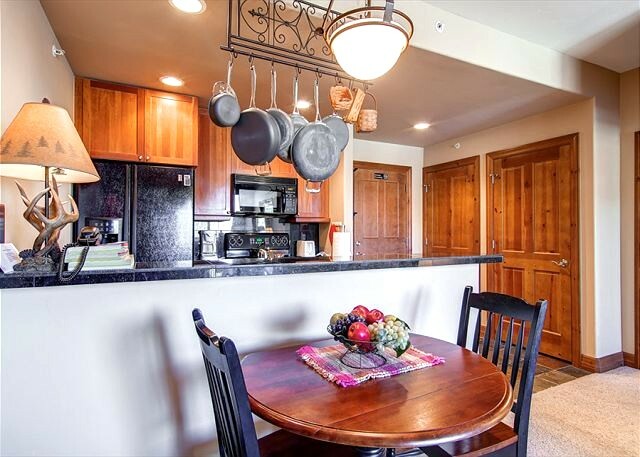 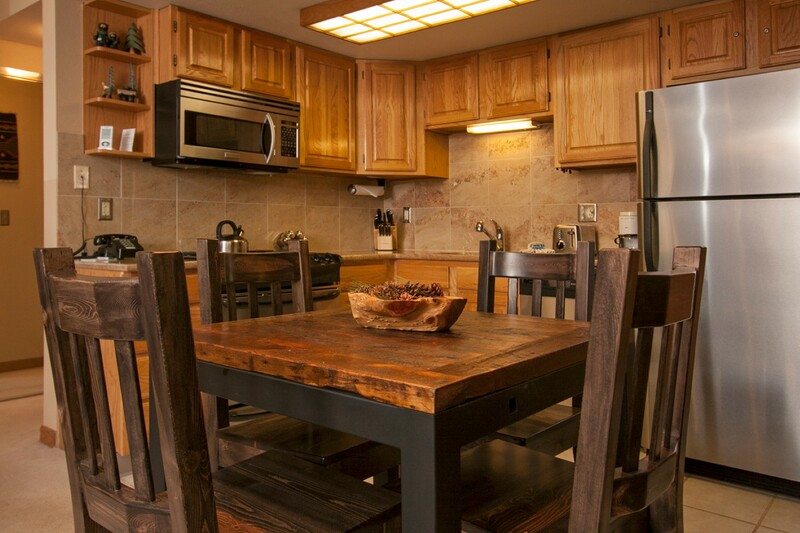 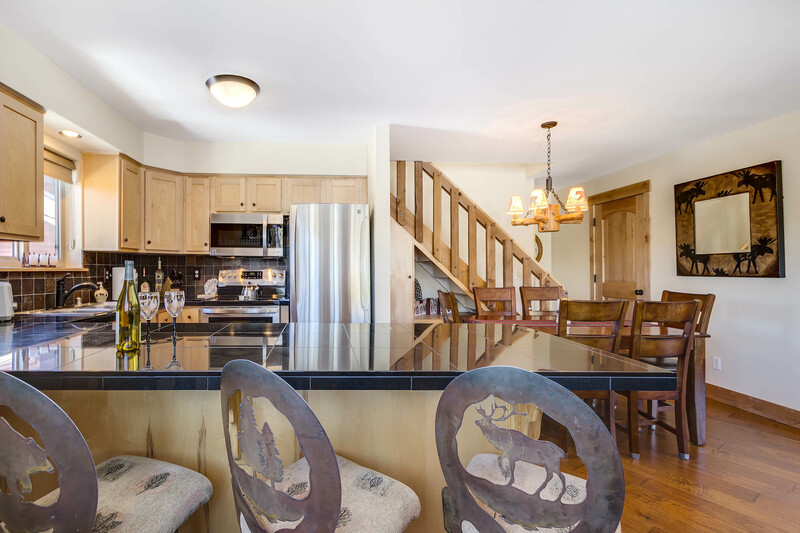 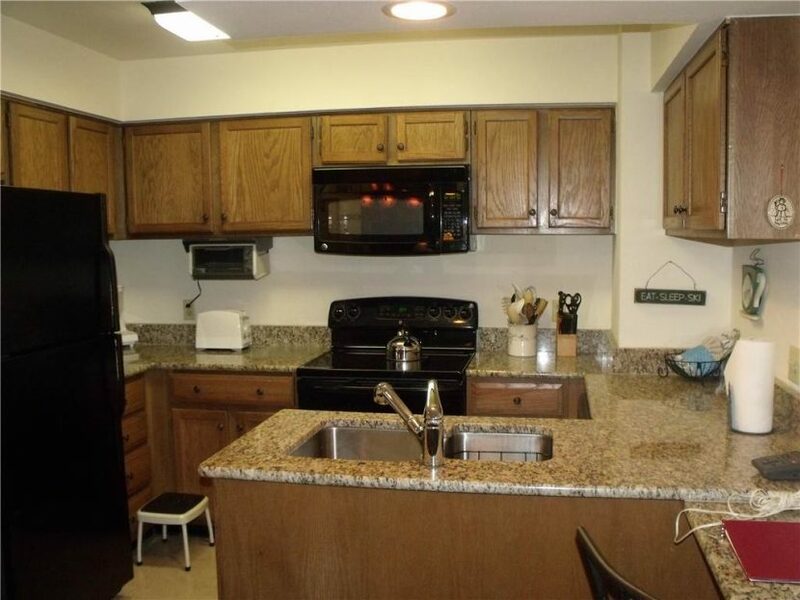 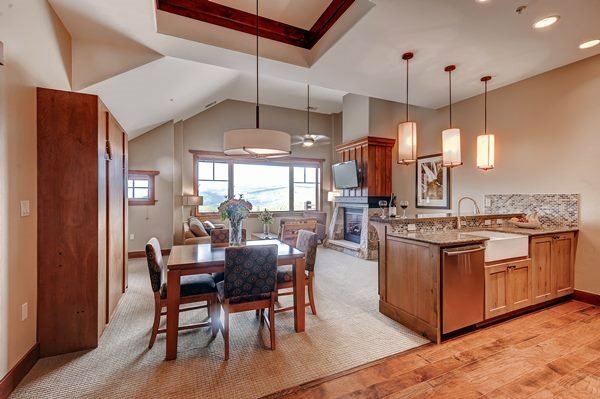 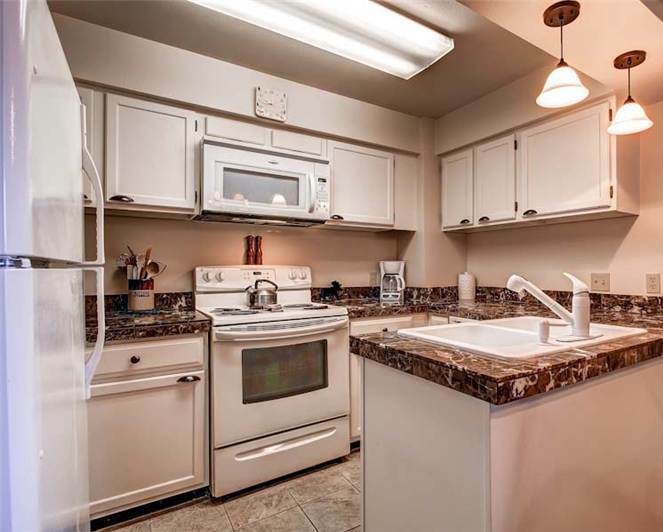 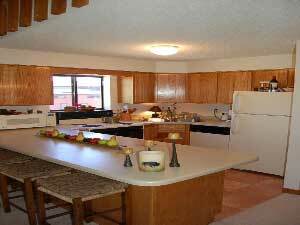 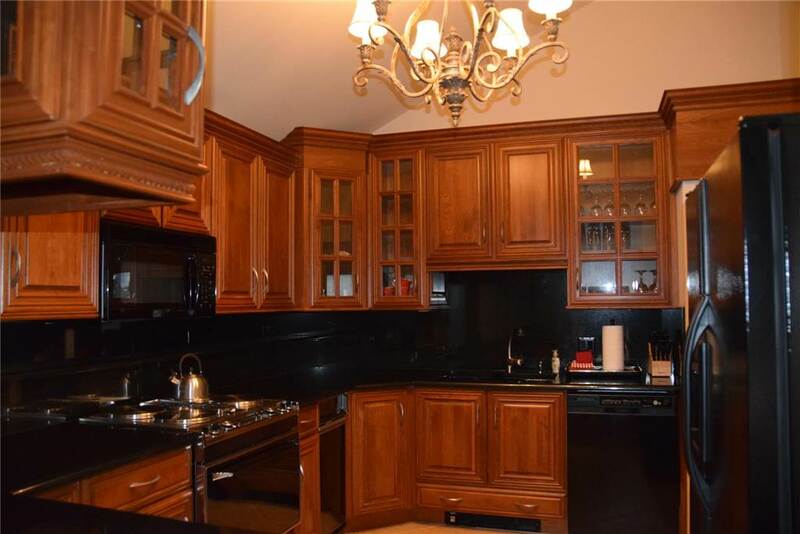 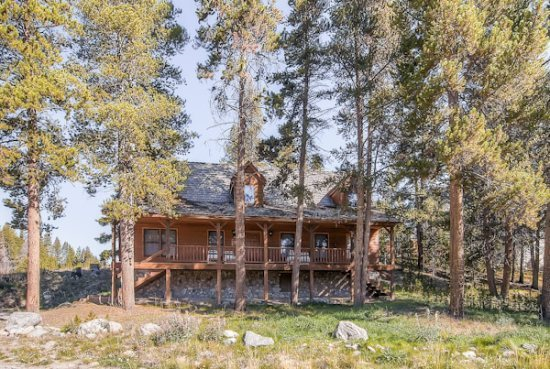 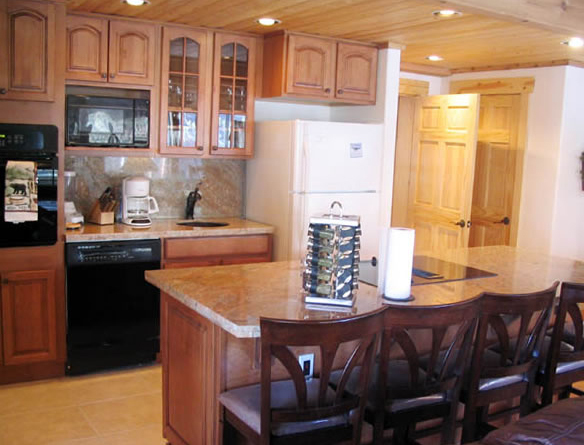 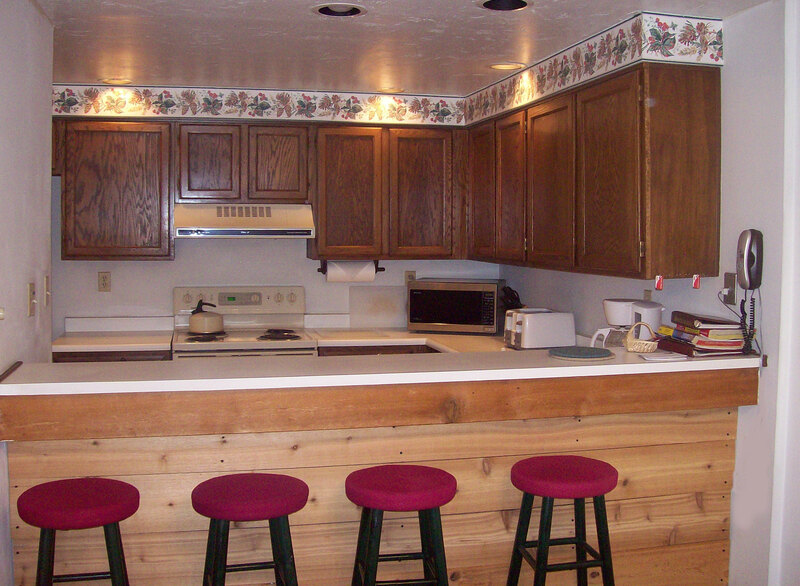 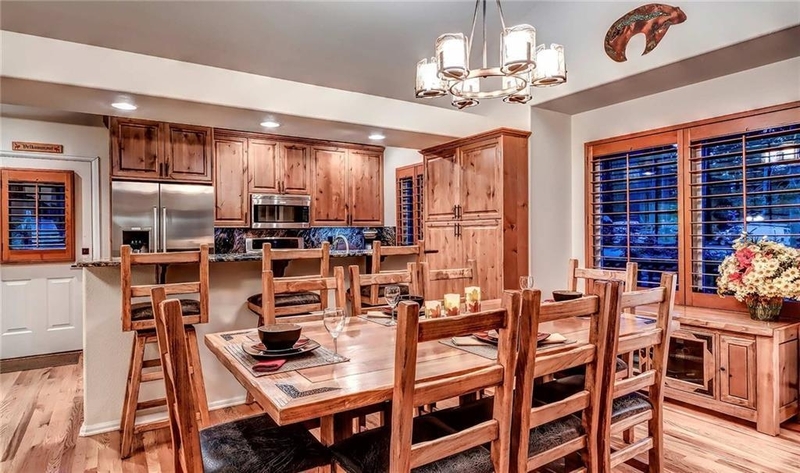 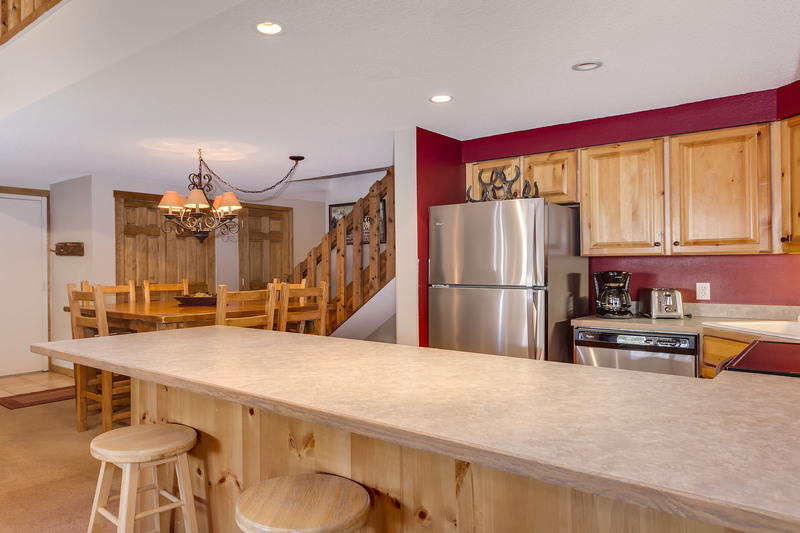 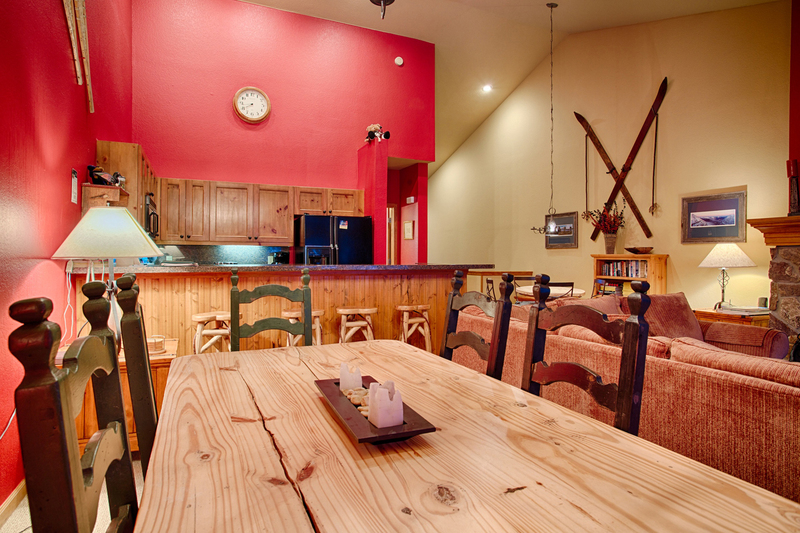 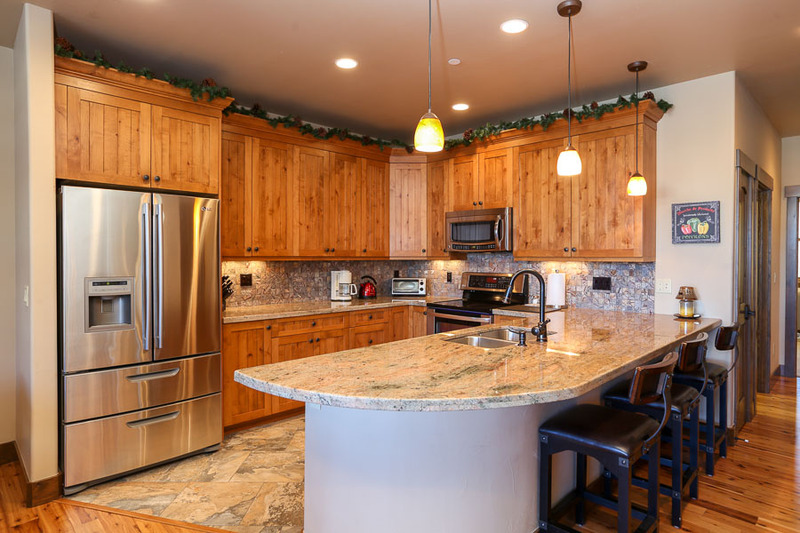 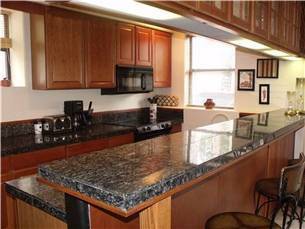 Plan to cook in during the stay with a fully equipped kitchen, dining area with seating for 6 people and a huge breakfast bar with seating for 3 more people. 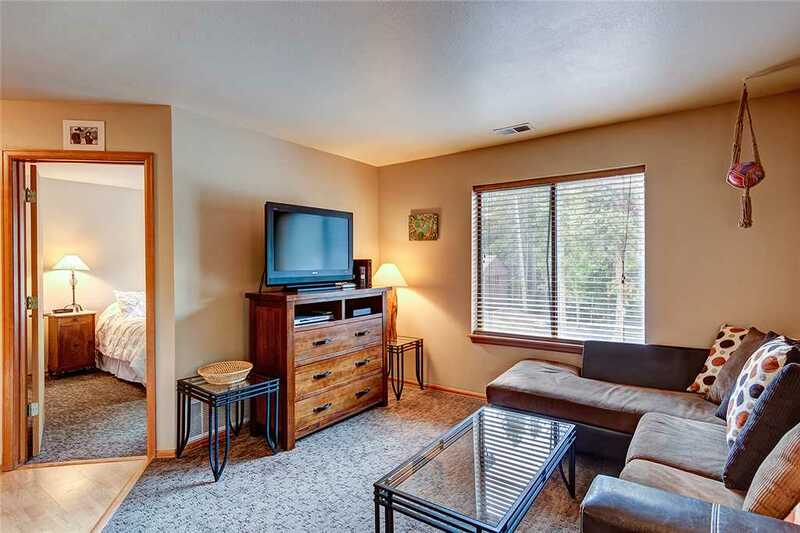 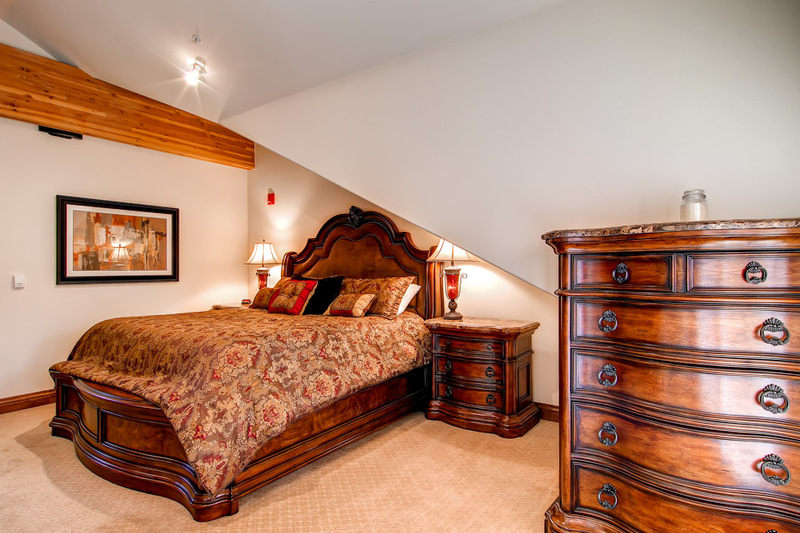 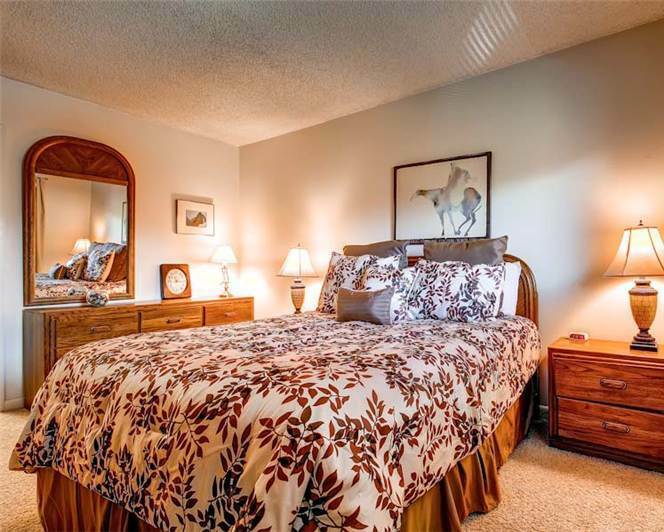 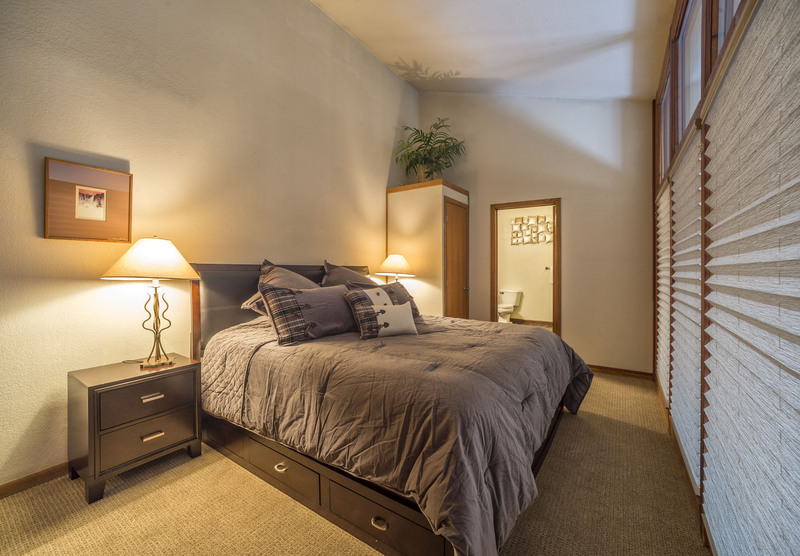 The master suite has a big King bed and a second TV.